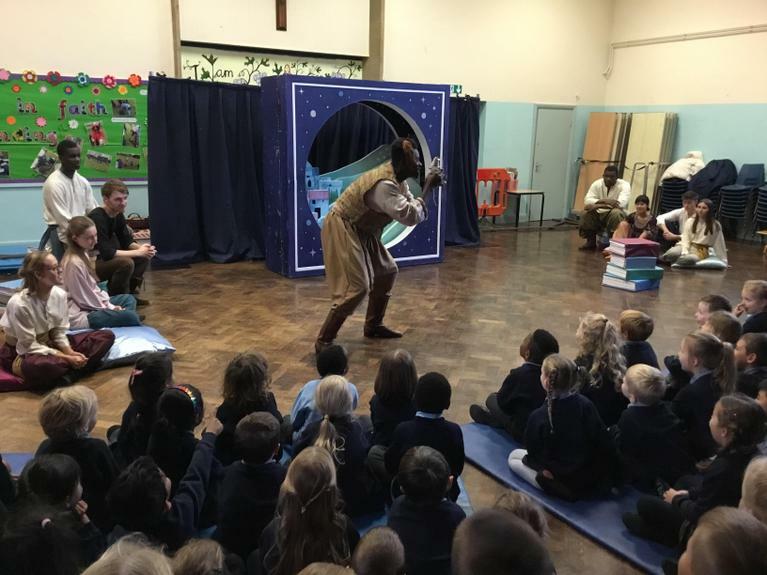 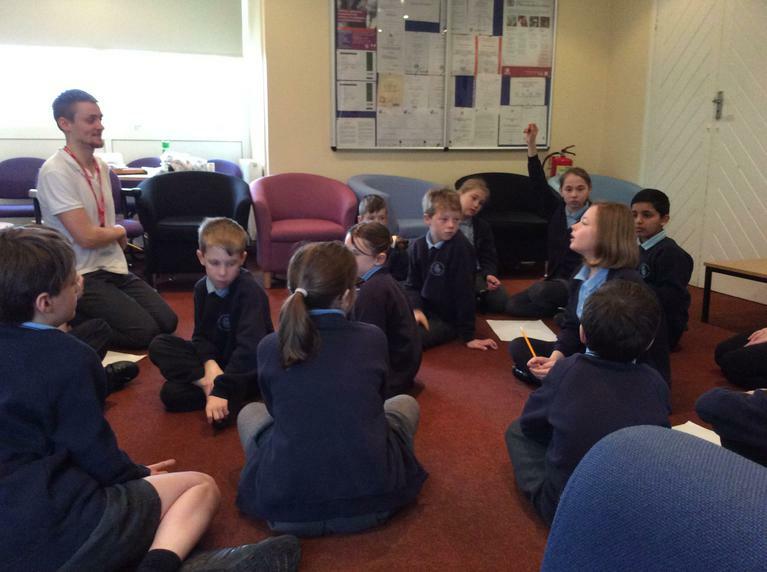 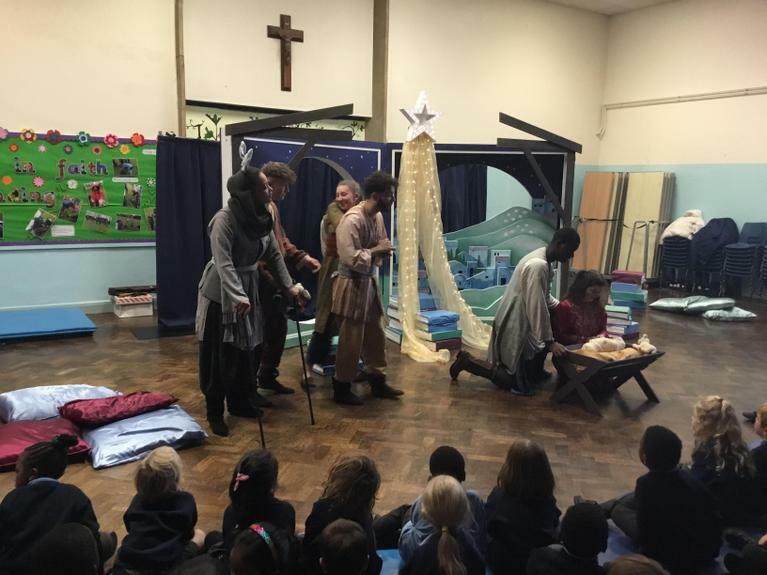 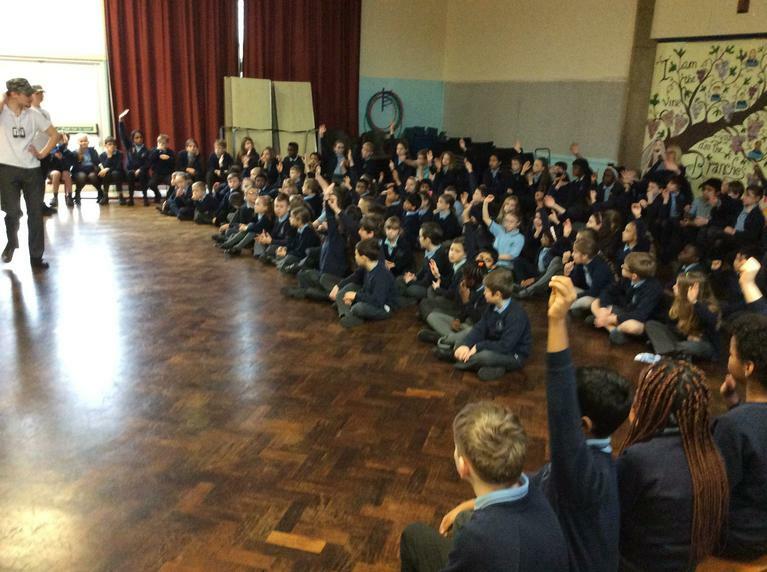 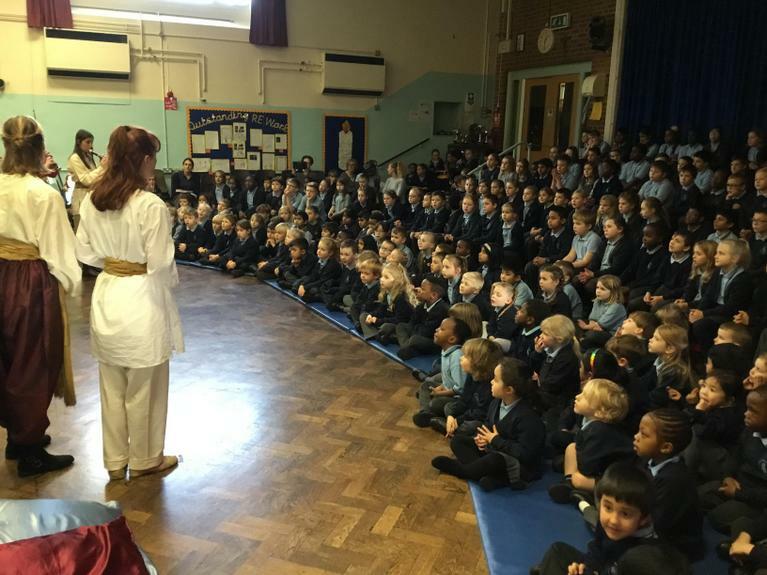 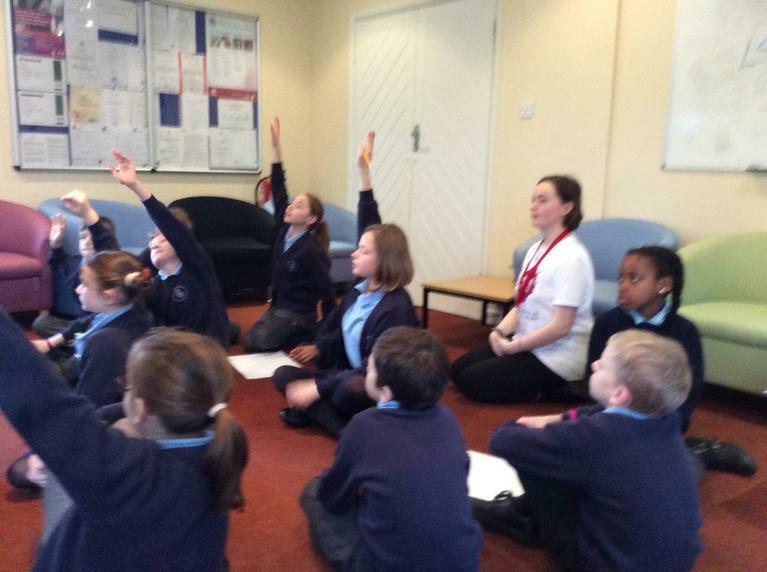 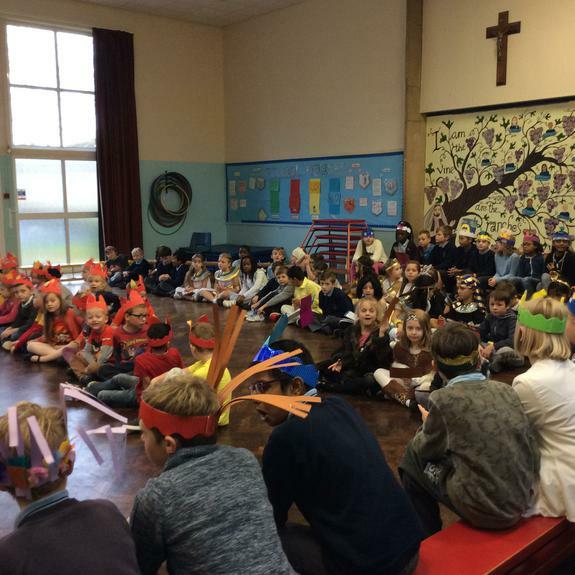 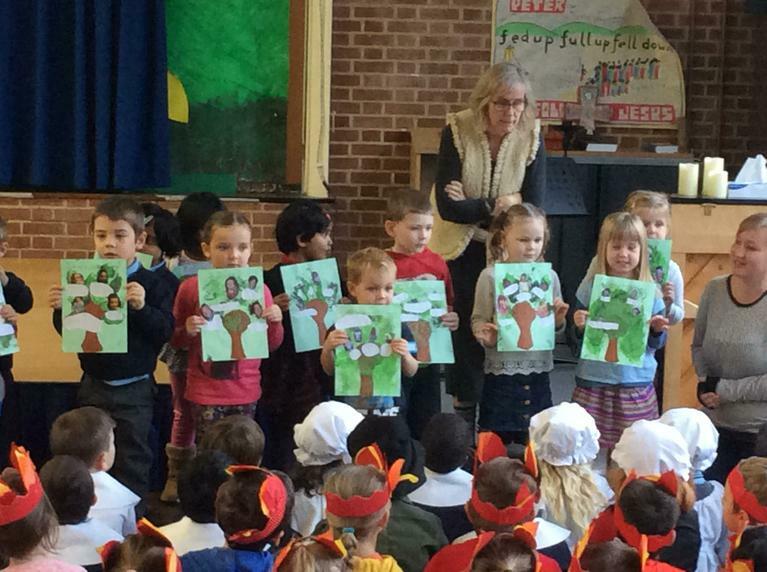 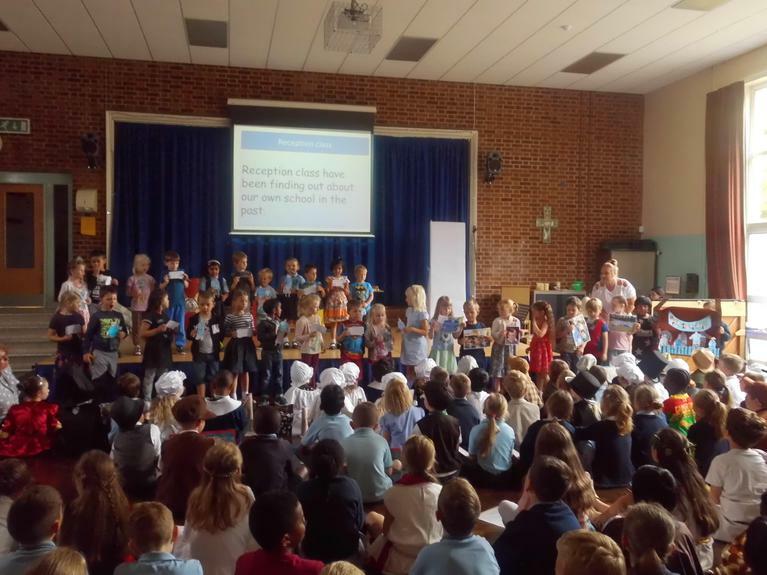 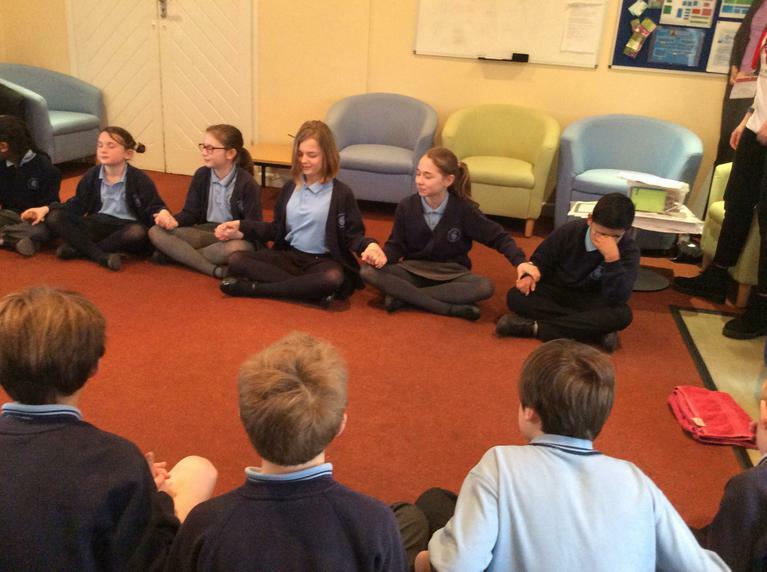 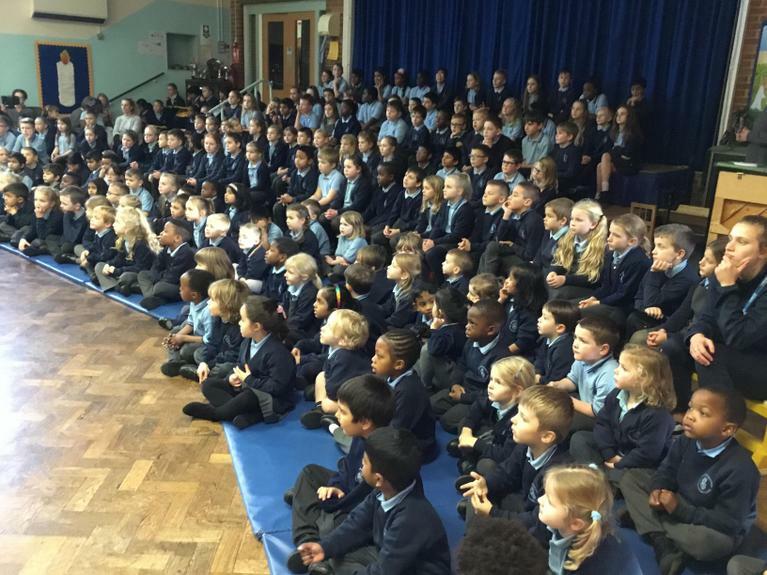 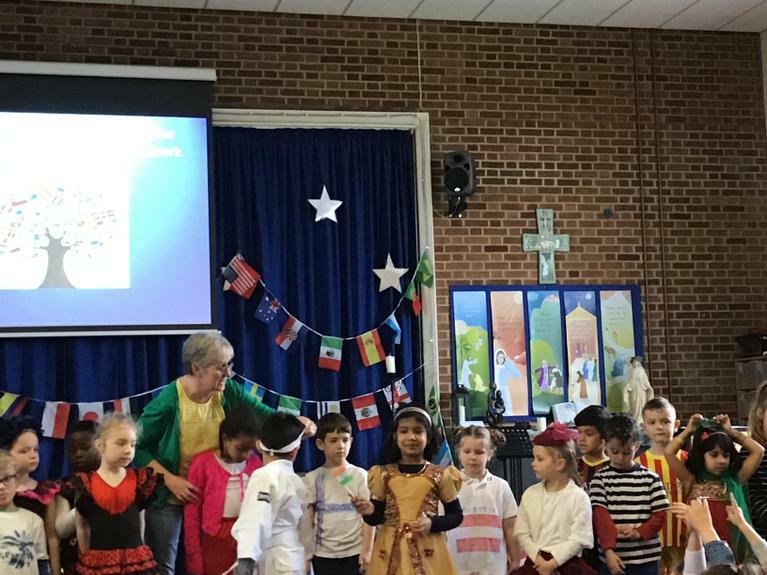 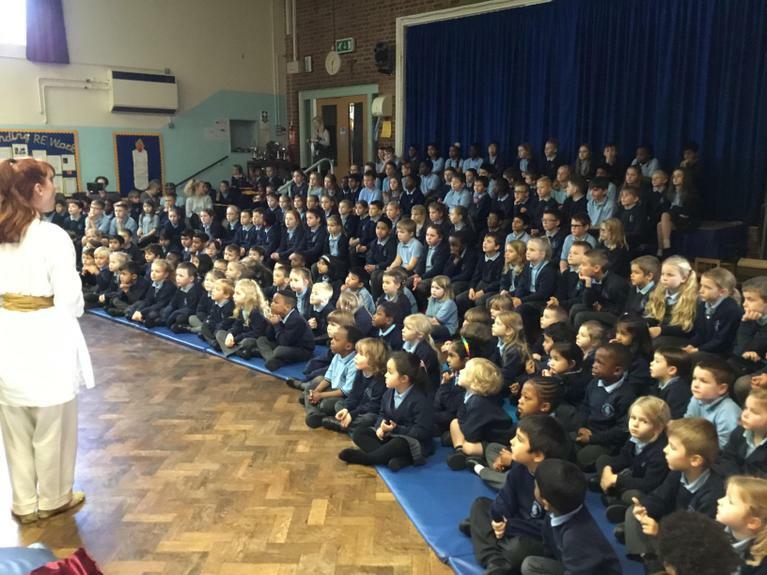 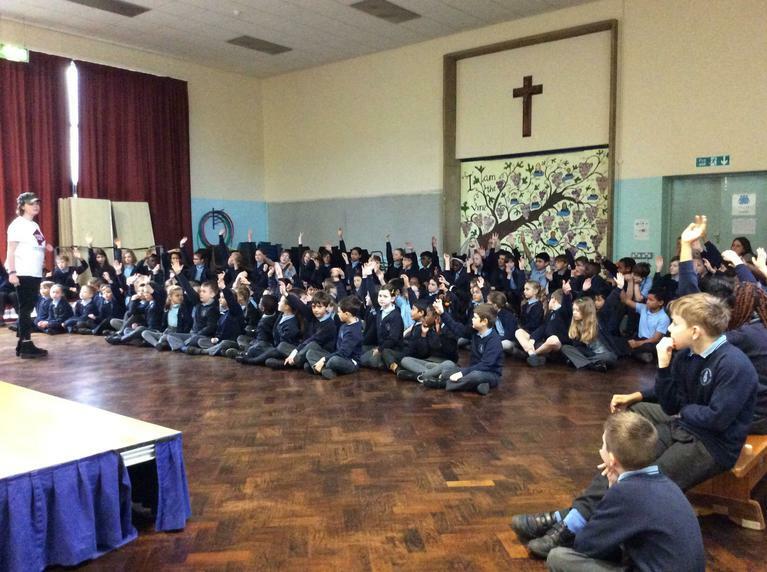 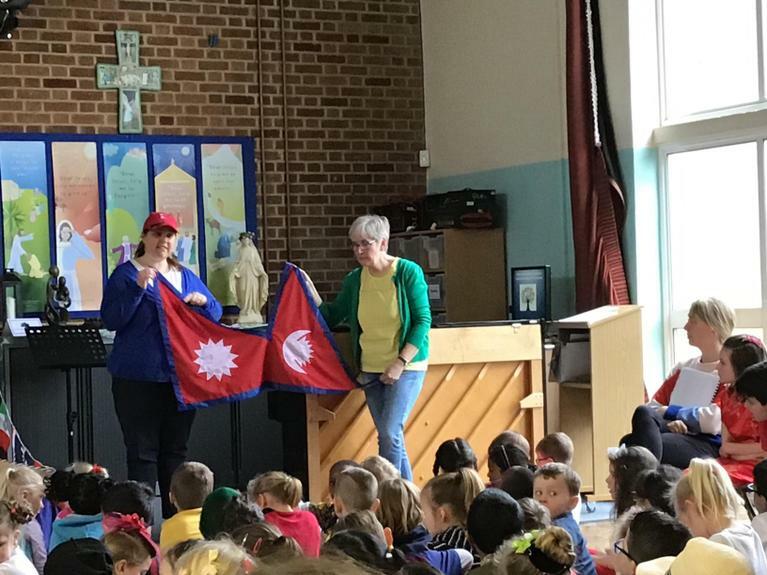 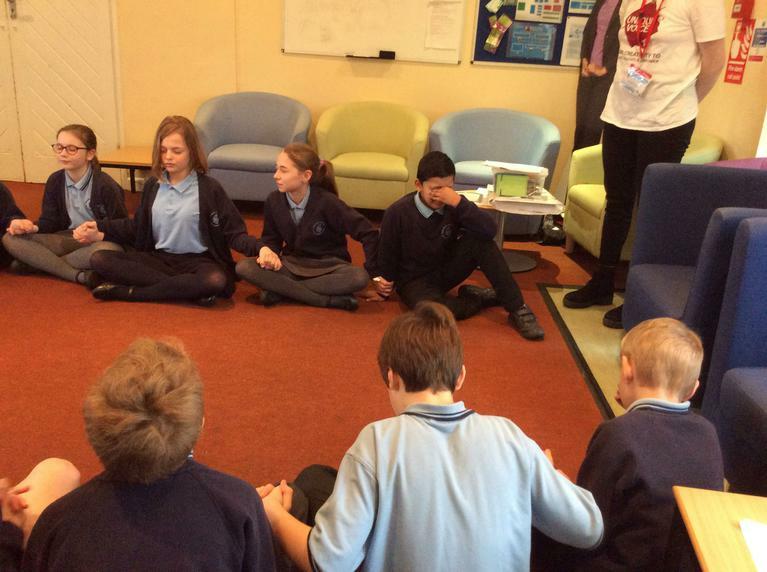 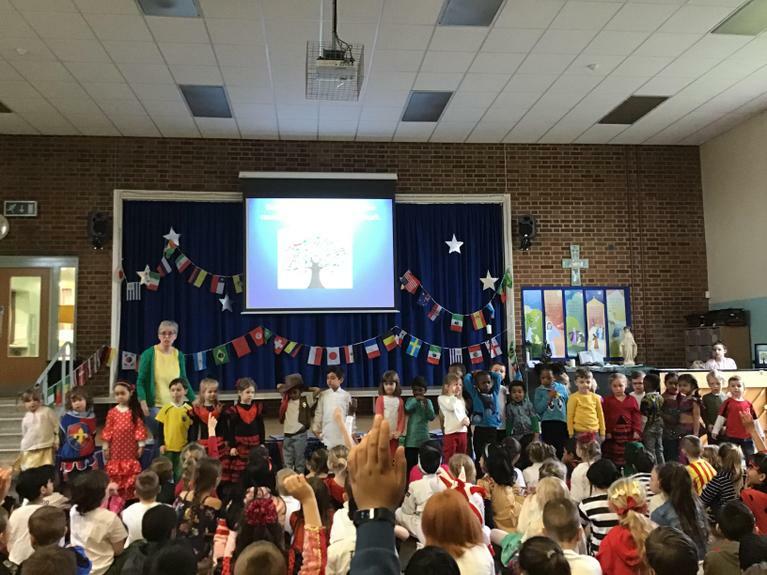 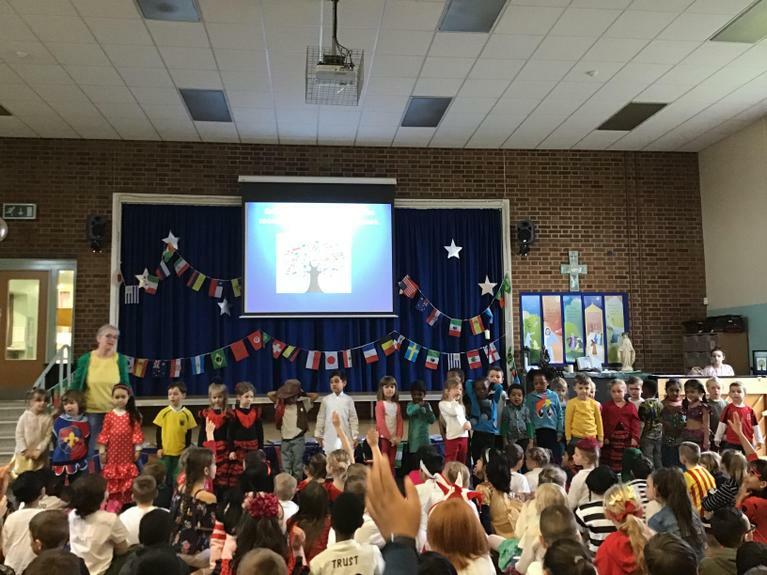 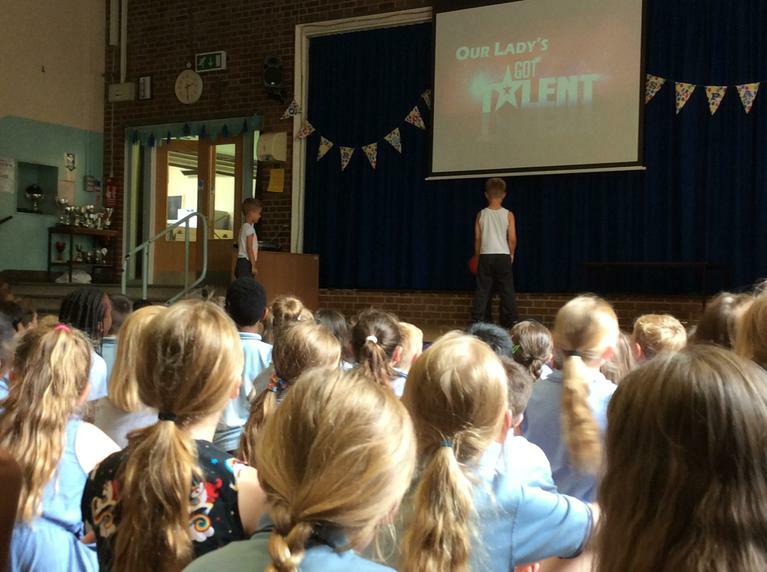 KS1 PSHE Collective Worship On Monday Mrs Arrowsmith led the Key Stage 1 PSHE collective worship. 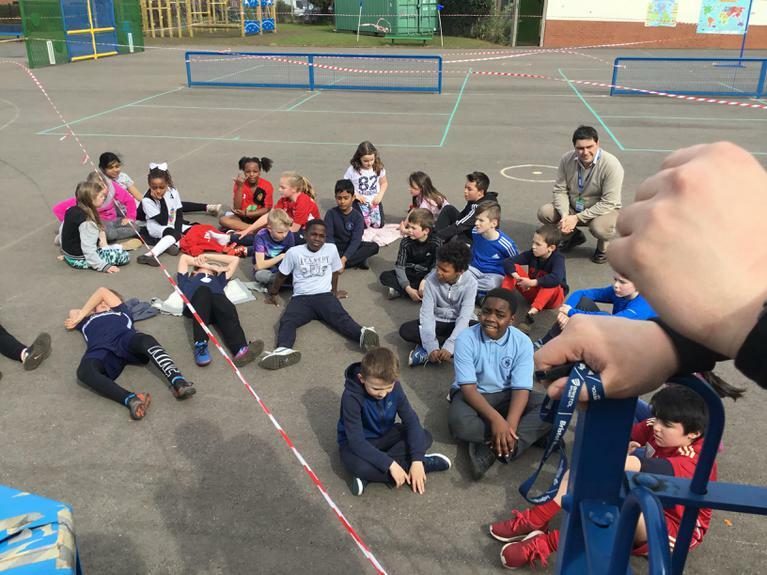 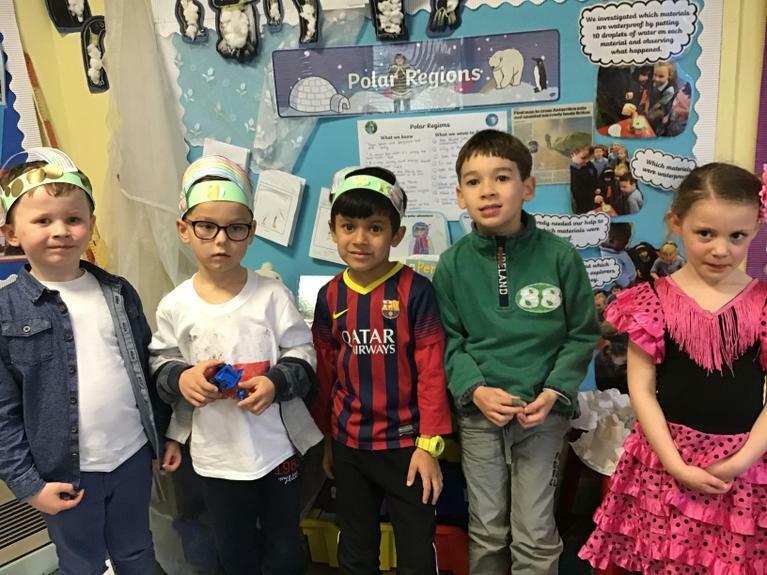 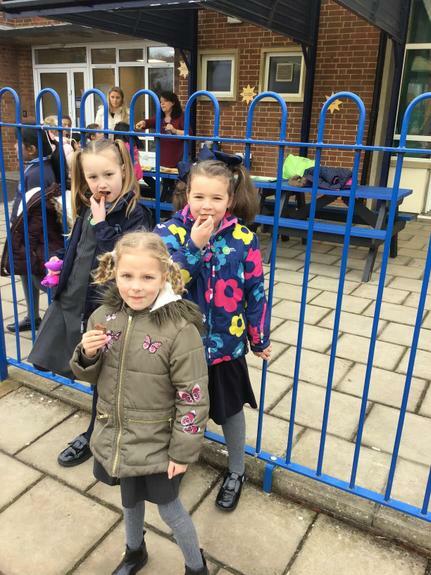 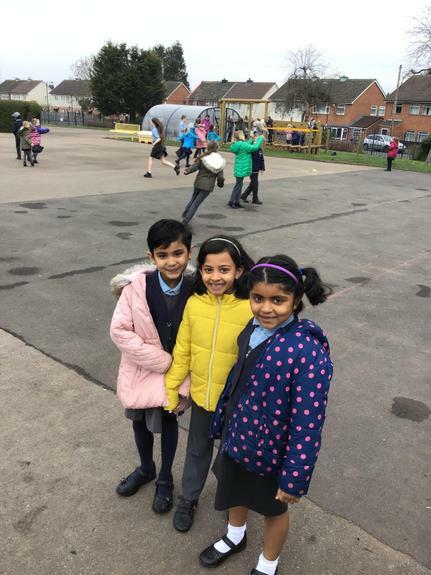 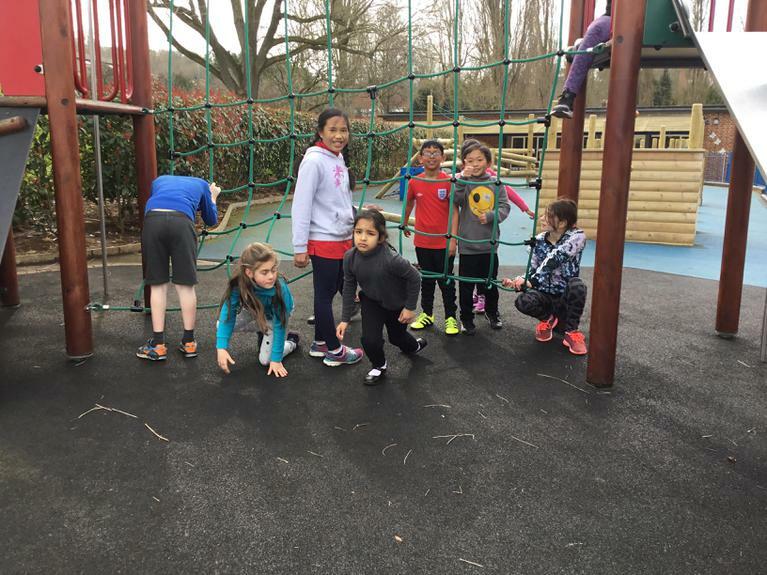 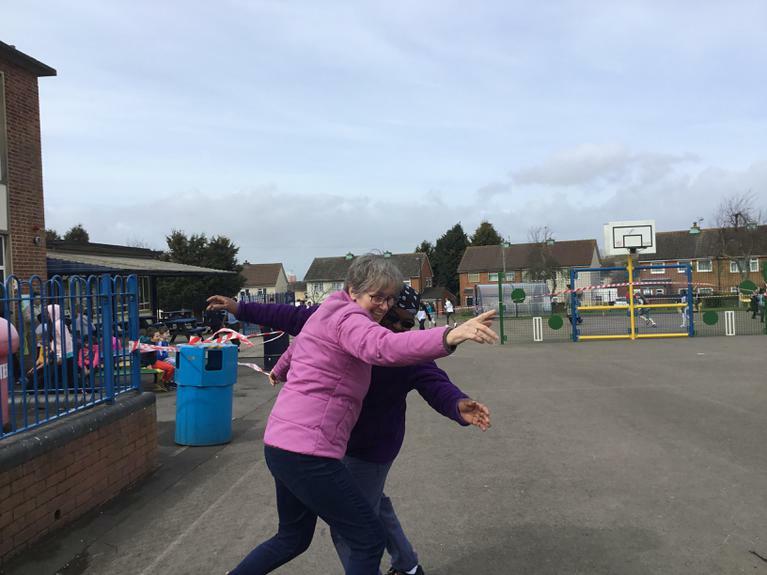 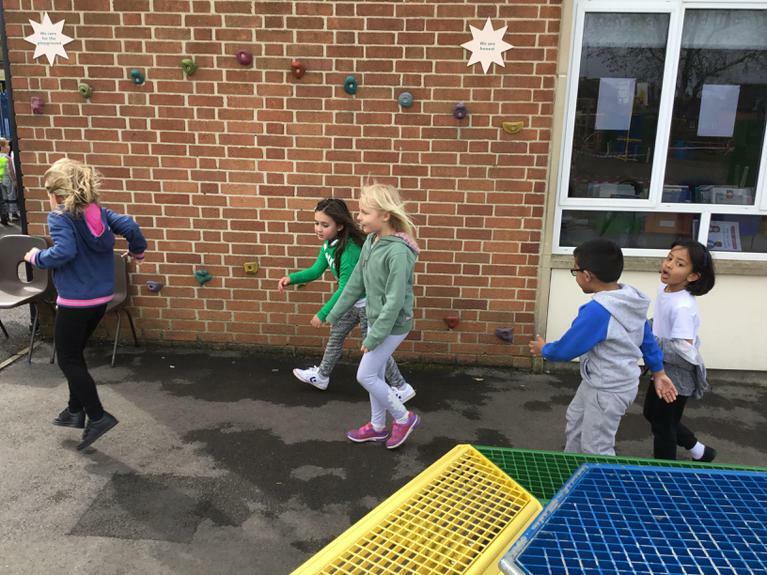 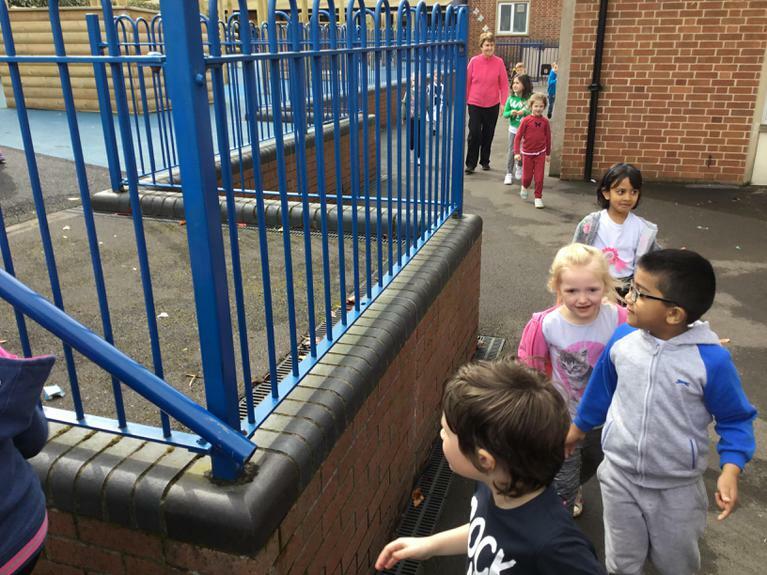 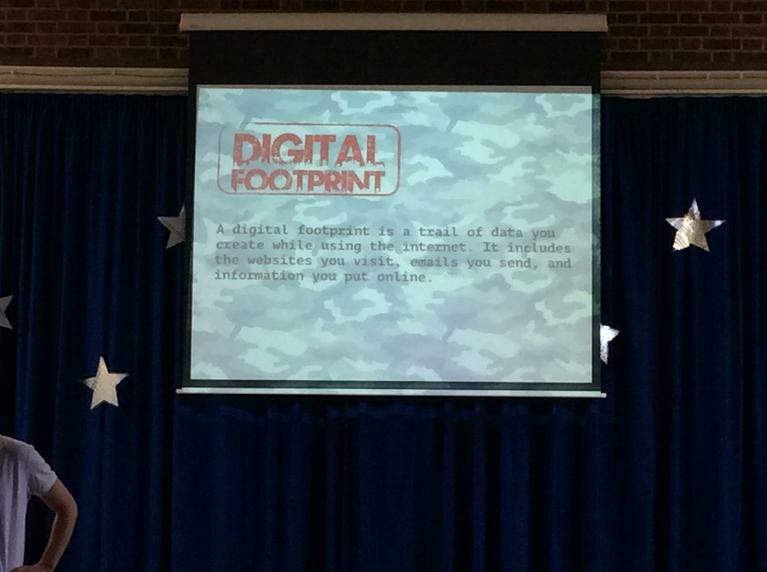 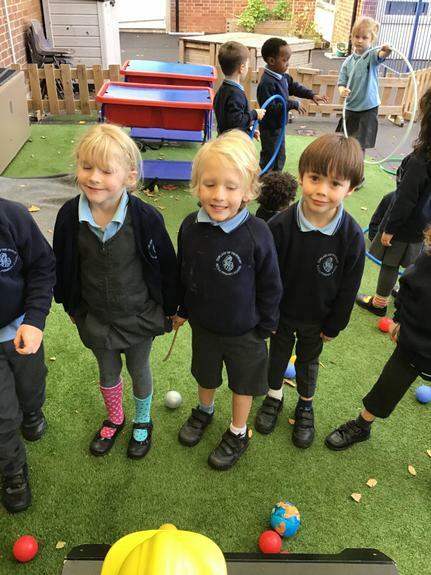 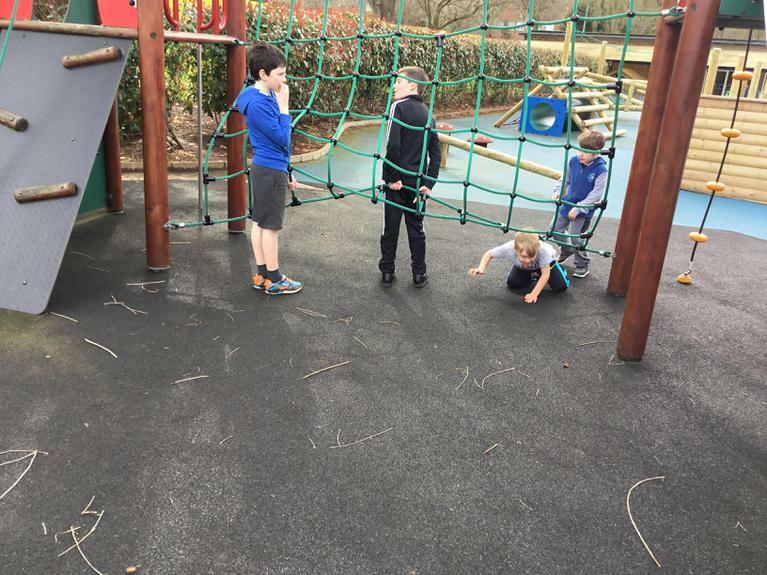 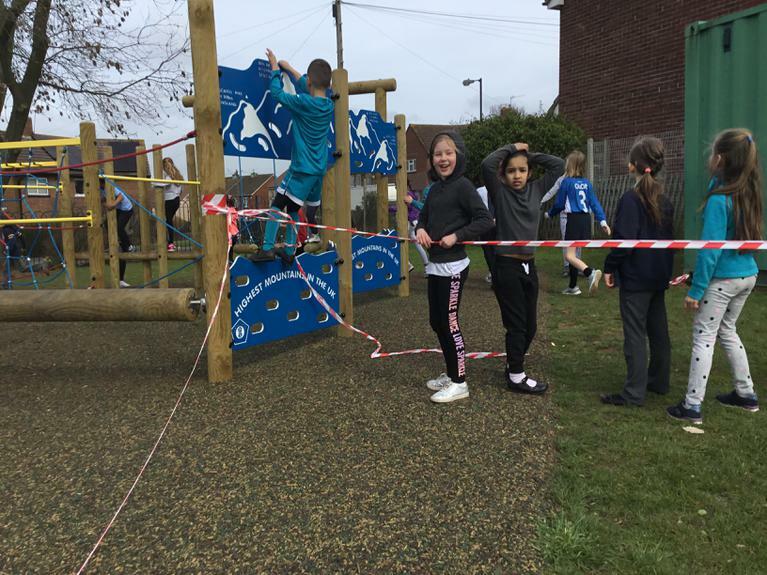 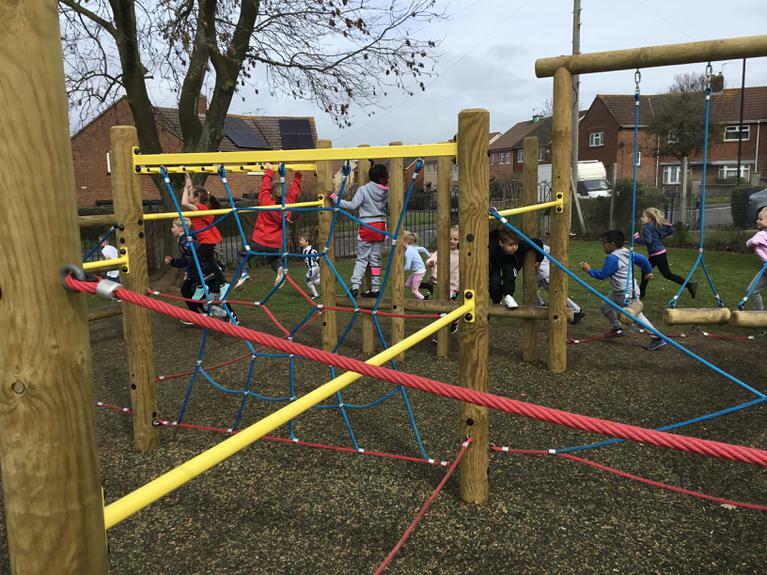 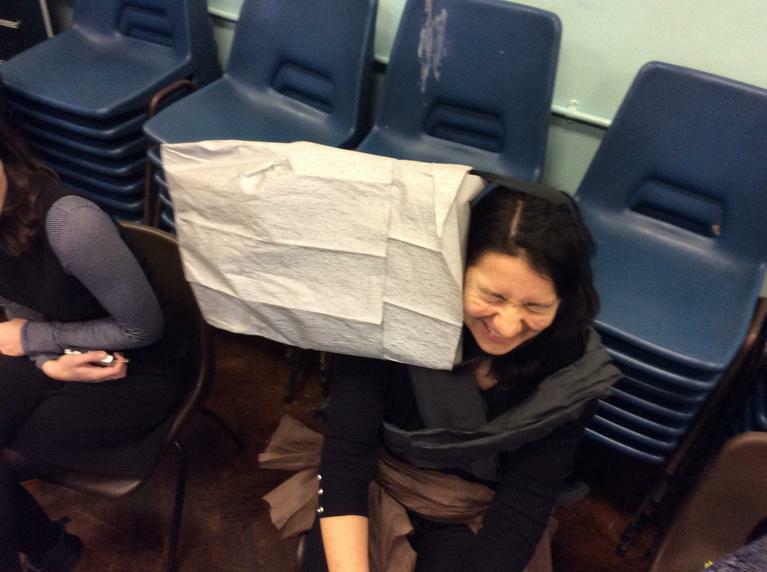 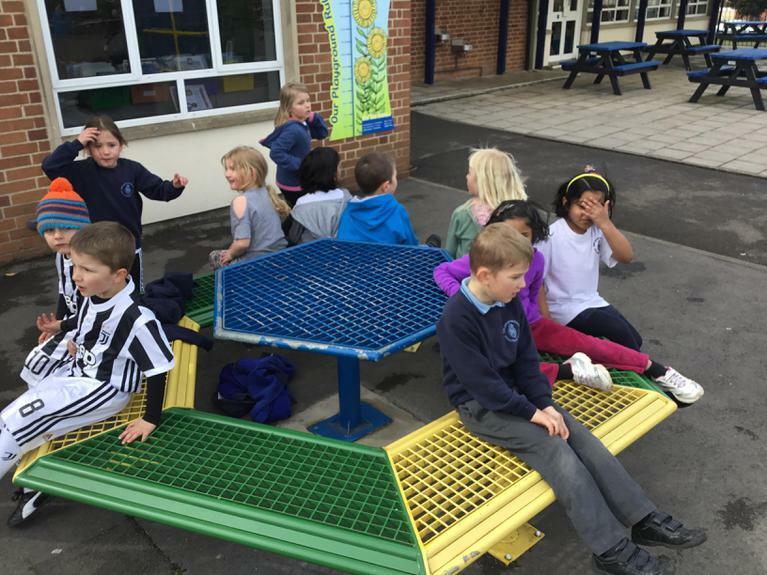 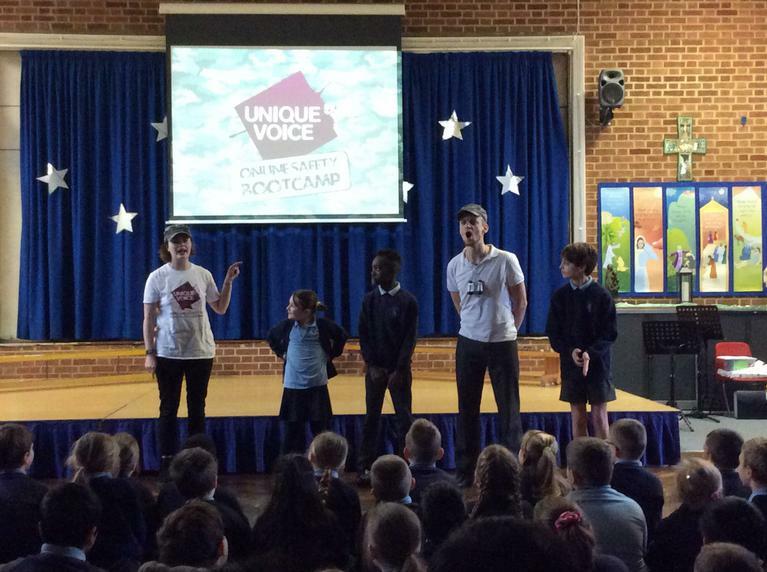 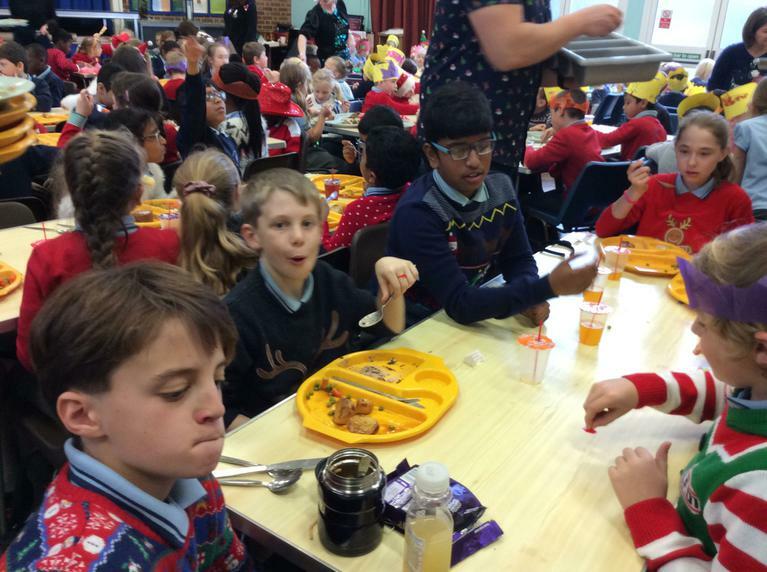 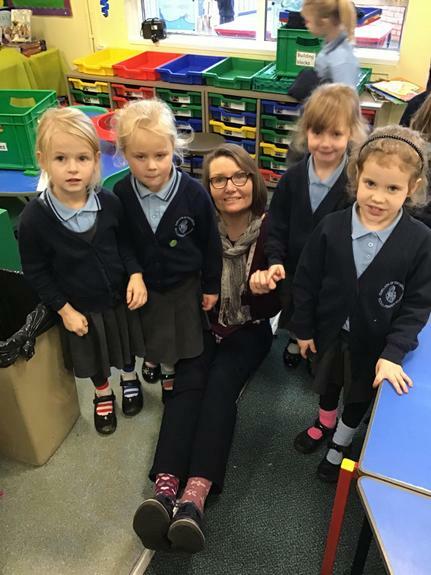 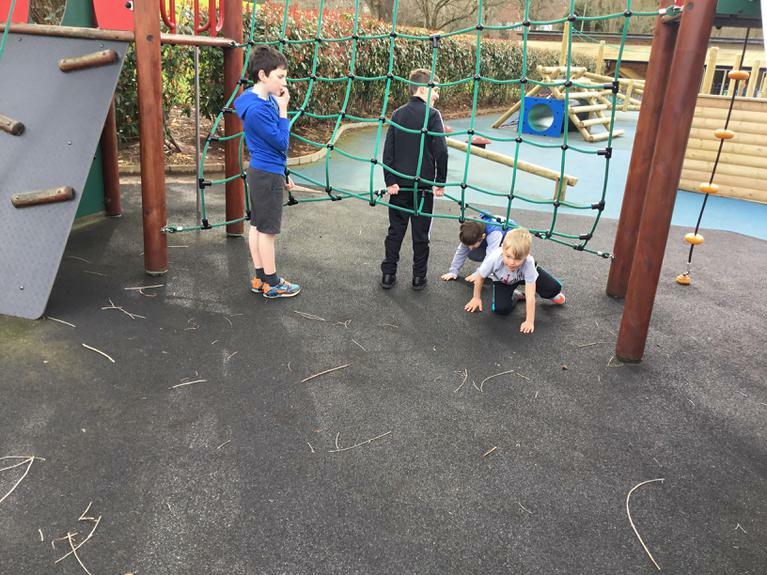 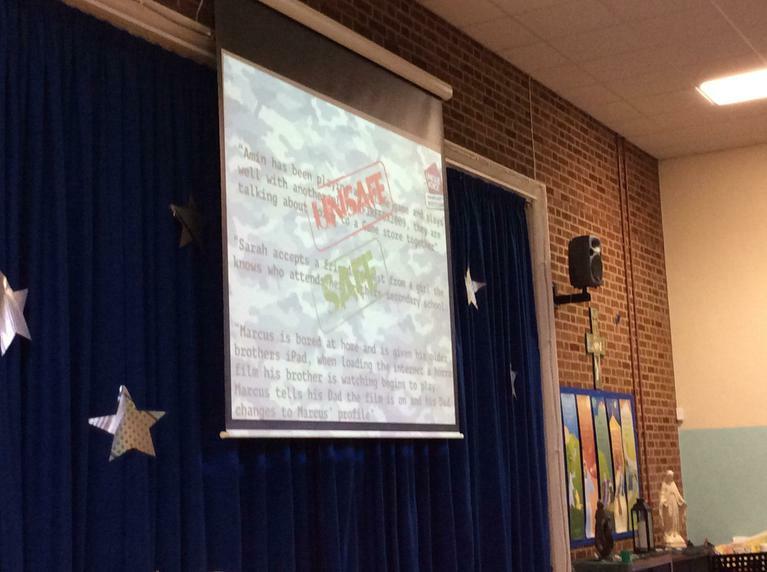 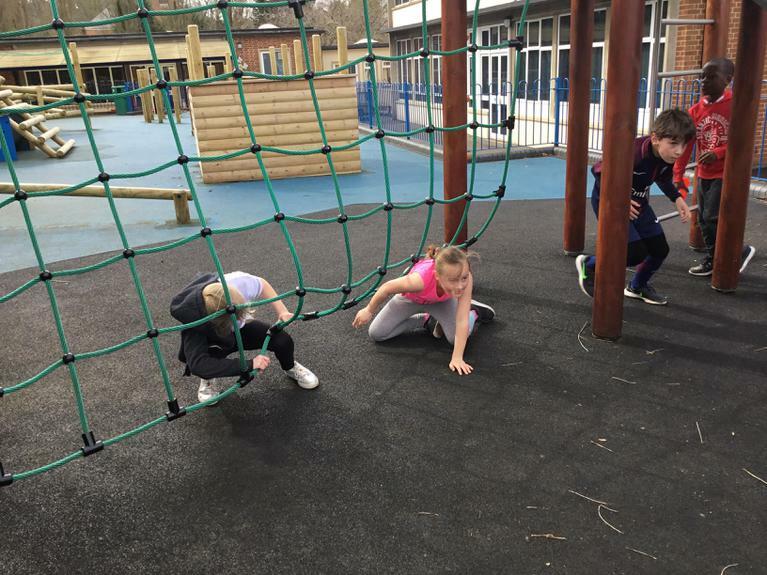 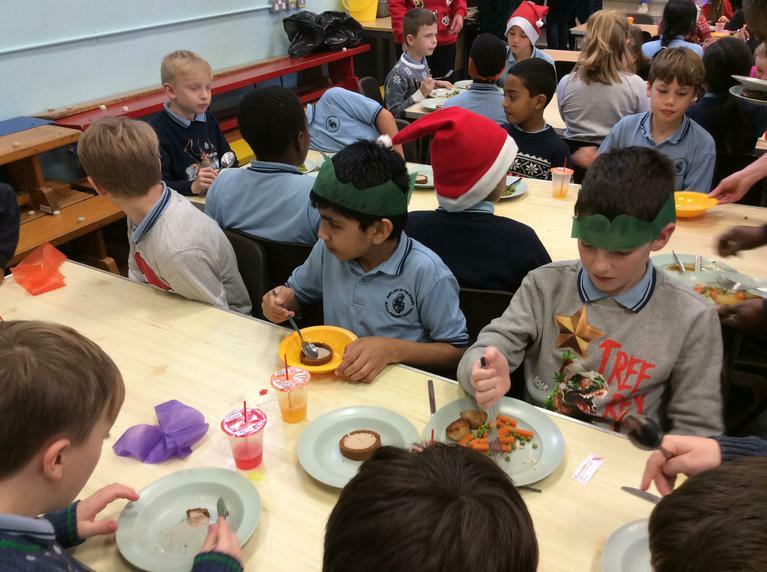 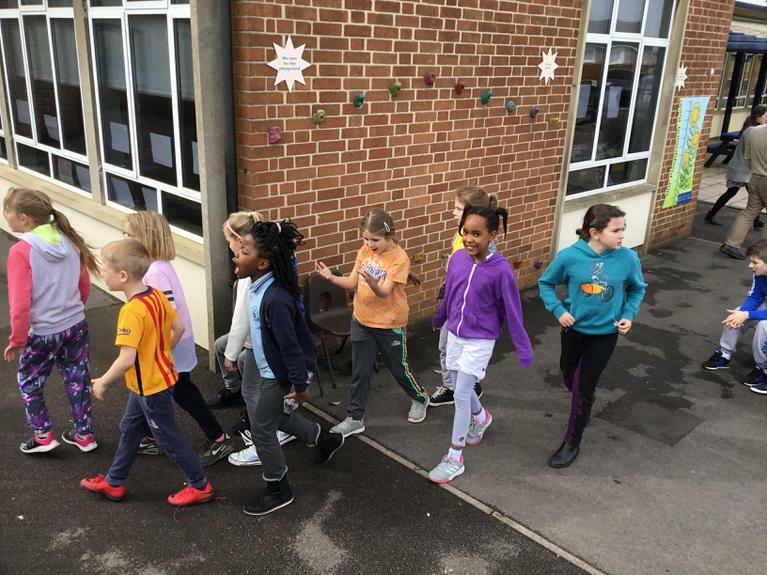 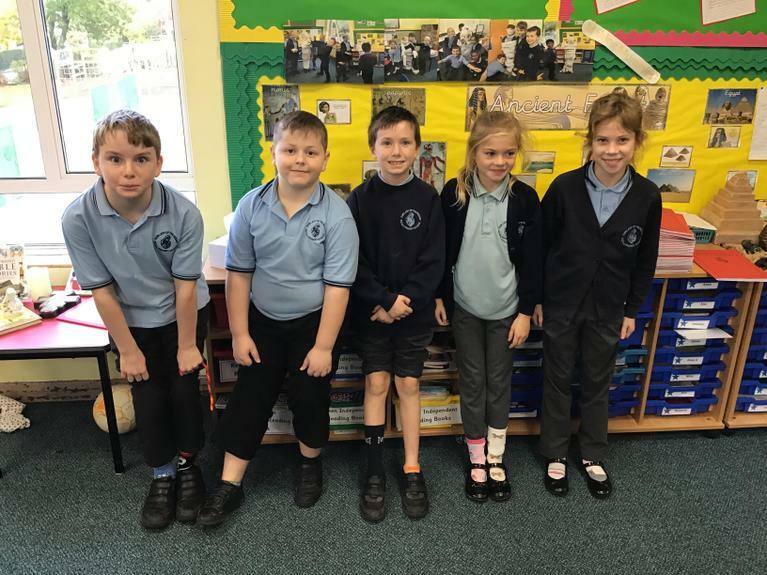 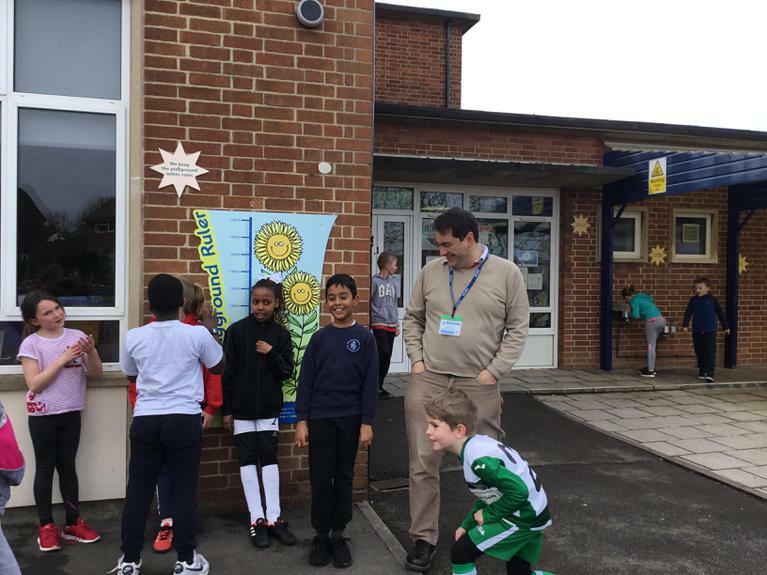 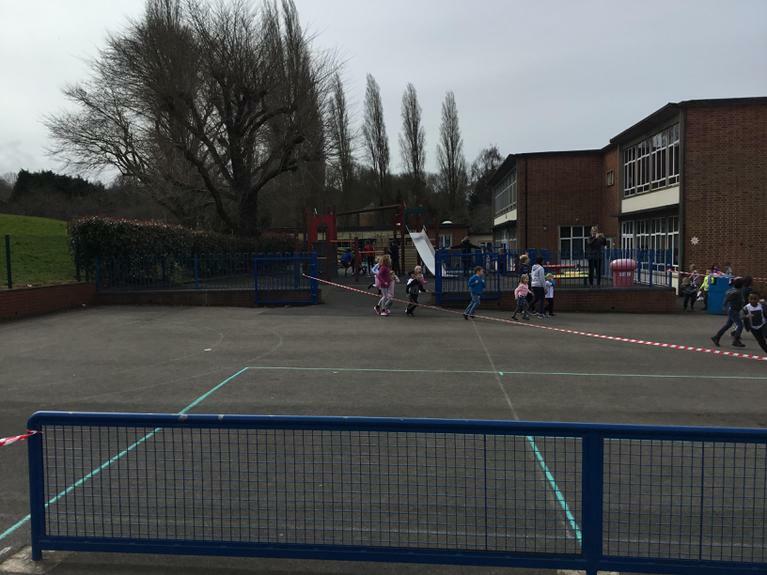 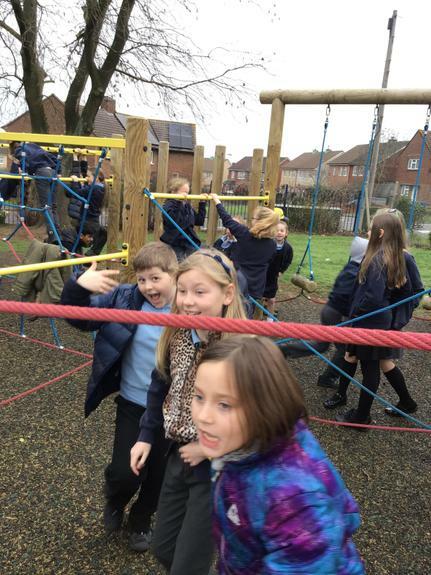 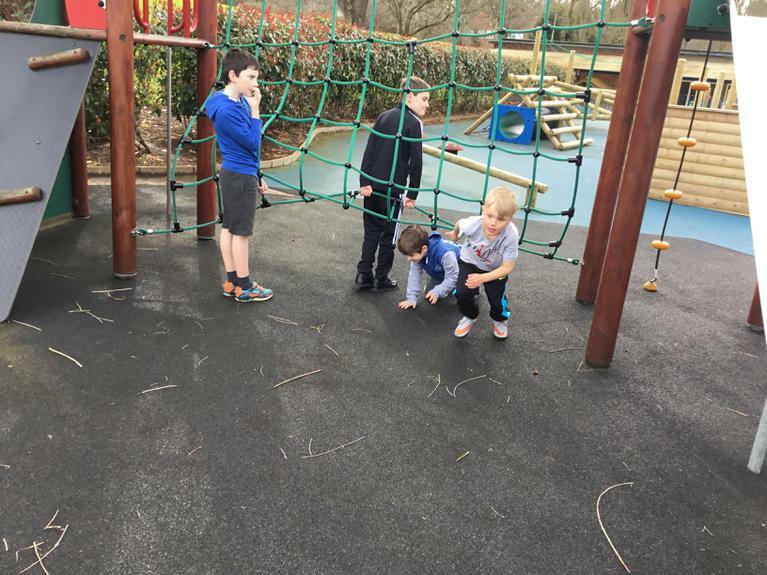 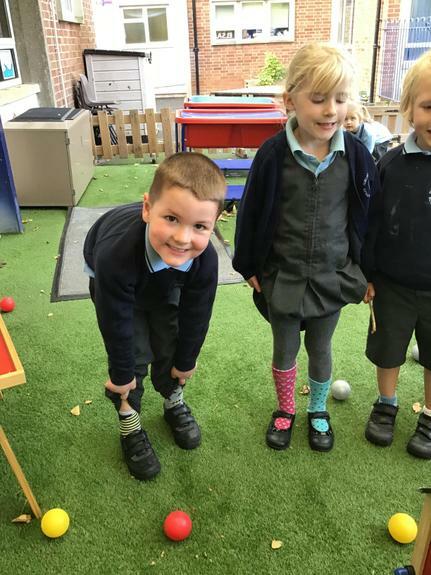 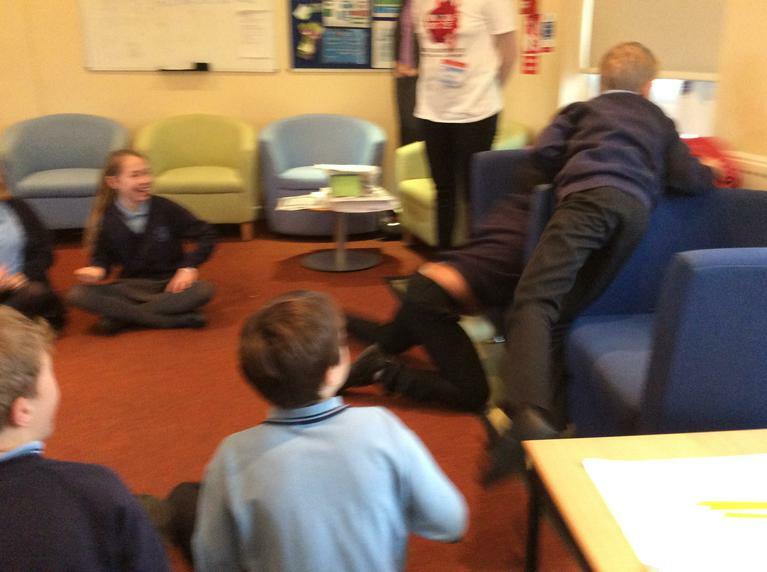 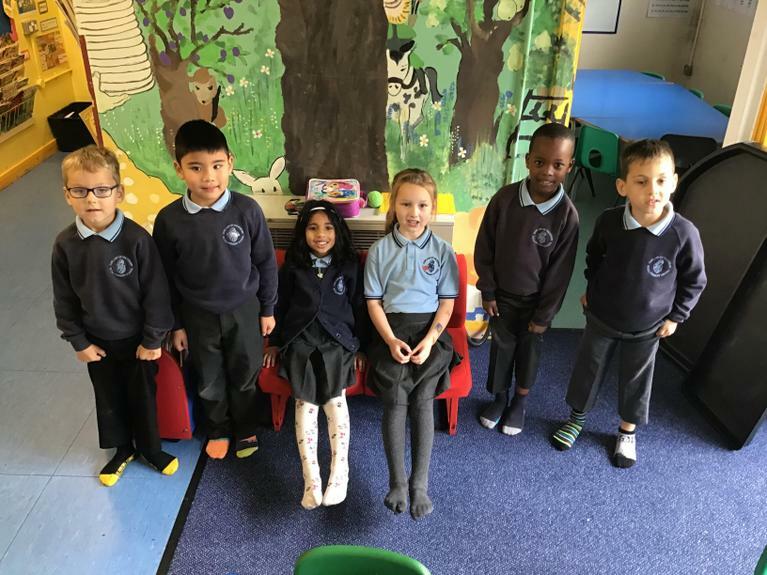 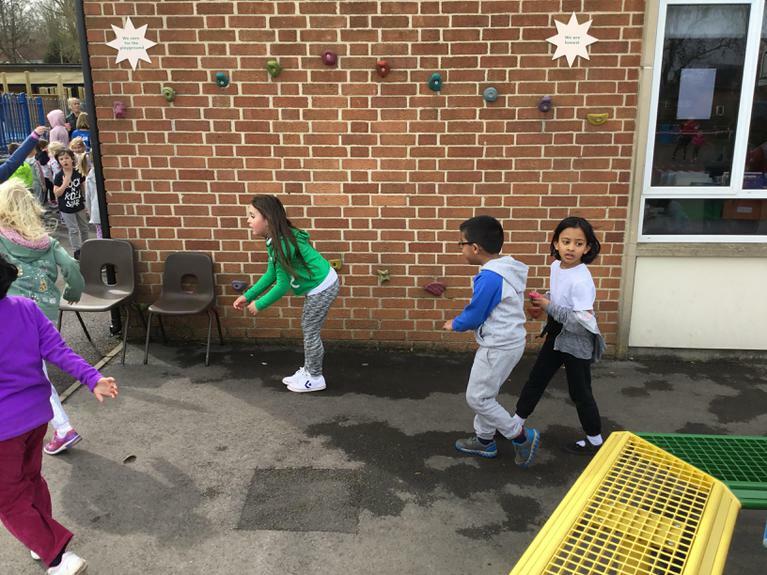 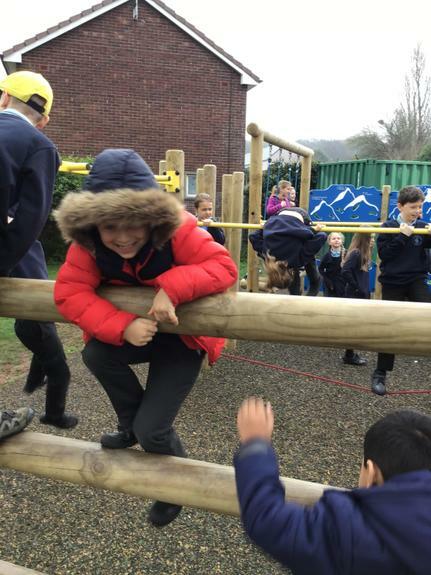 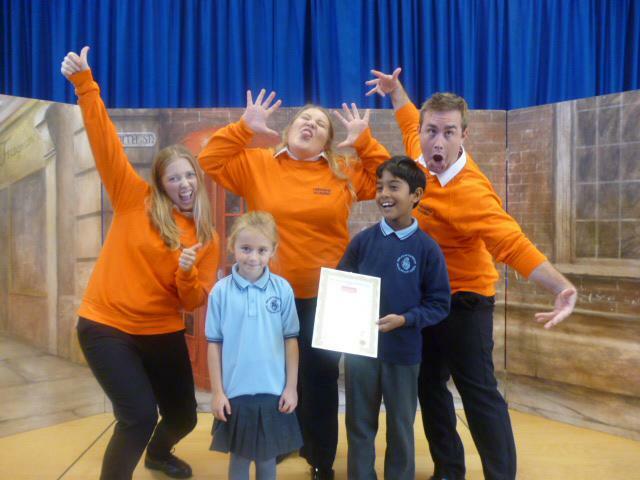 The theme was keeping ourselves safe and we explored the NSPCC PANTS guide. 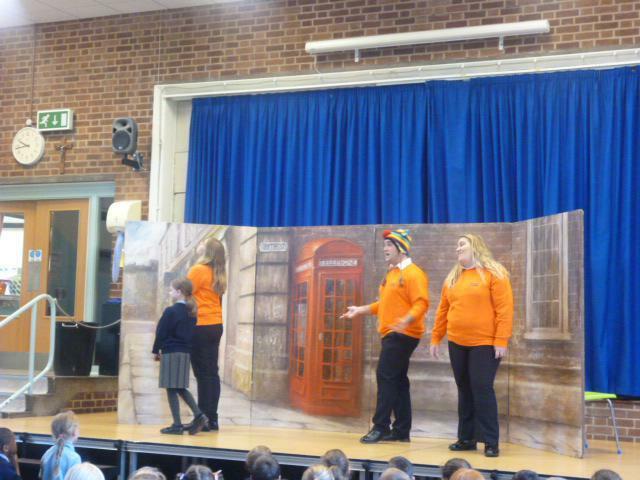 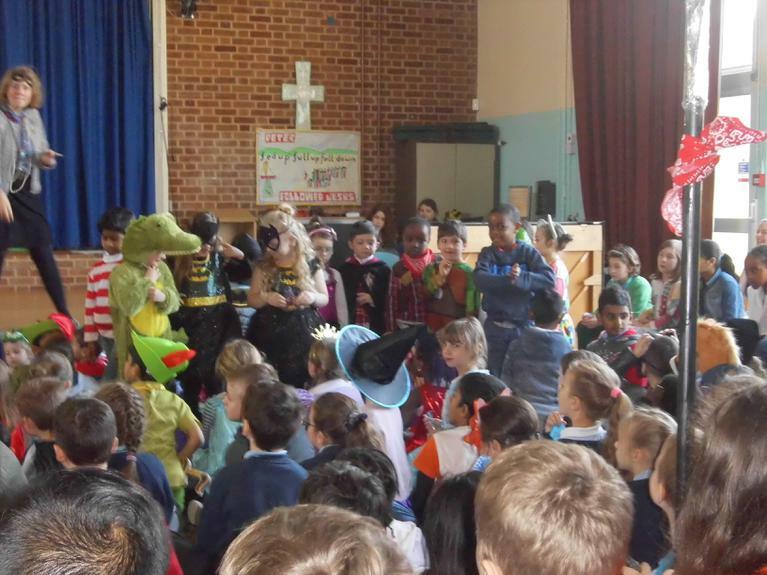 We also watched Pantosaurus’ song which can be found on www.nspcc.org.uk. 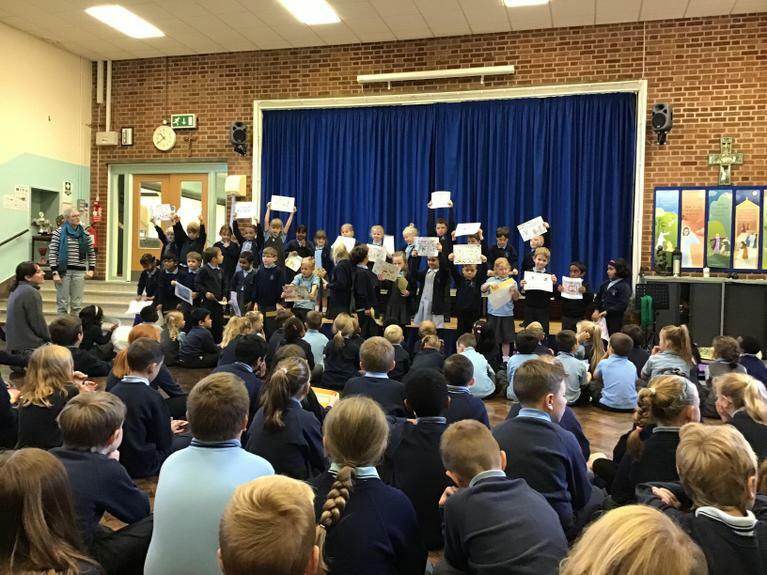 The theme of this year’s anti-bullying week was ‘choose respect’ which encouraged us to think about the affect our words can have on others. 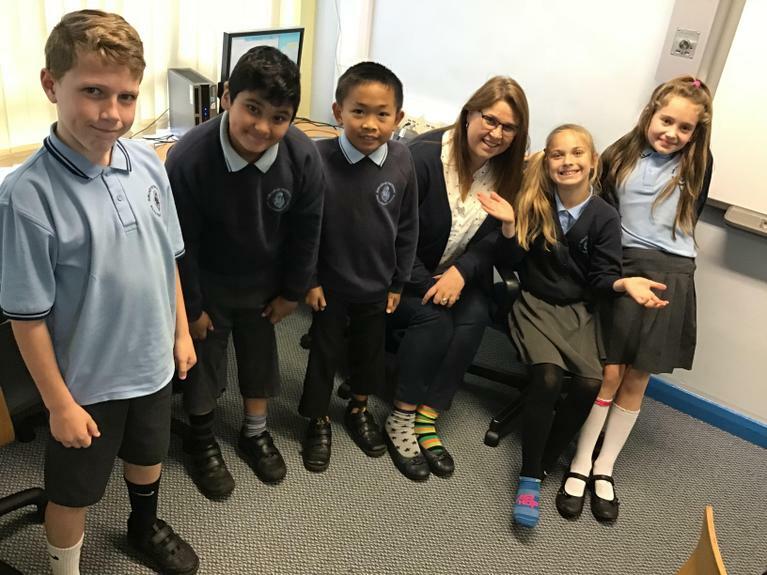 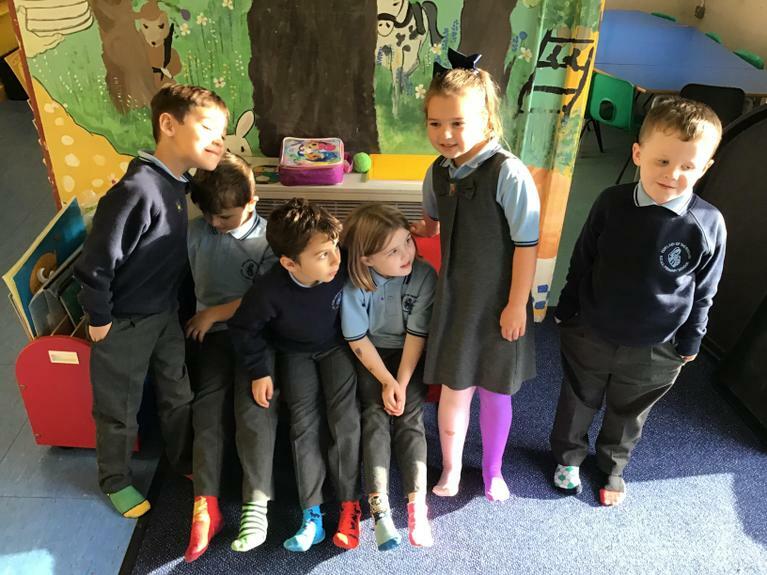 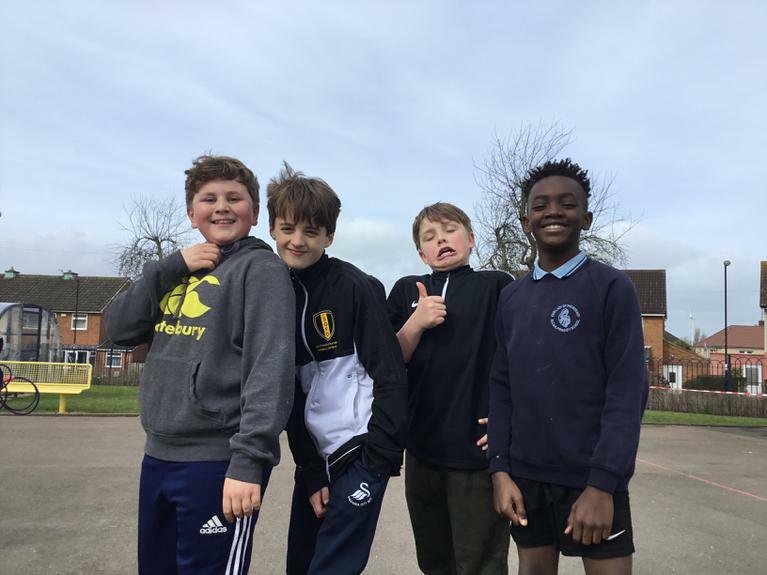 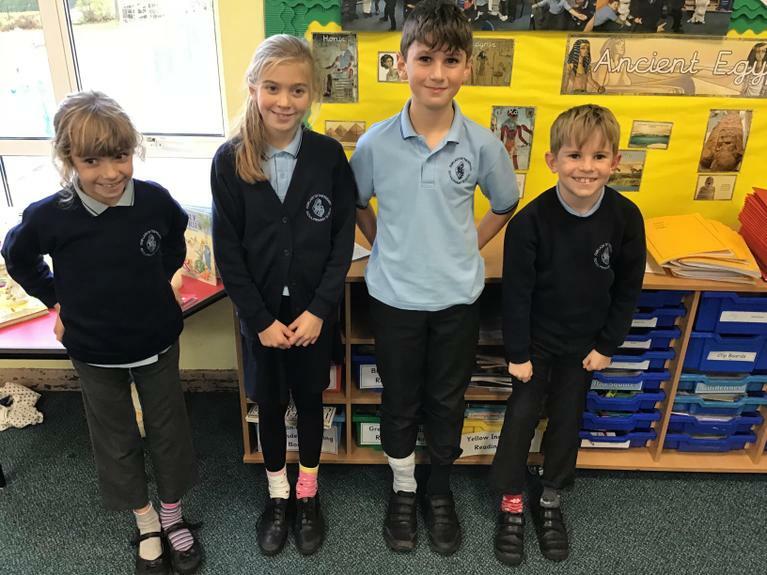 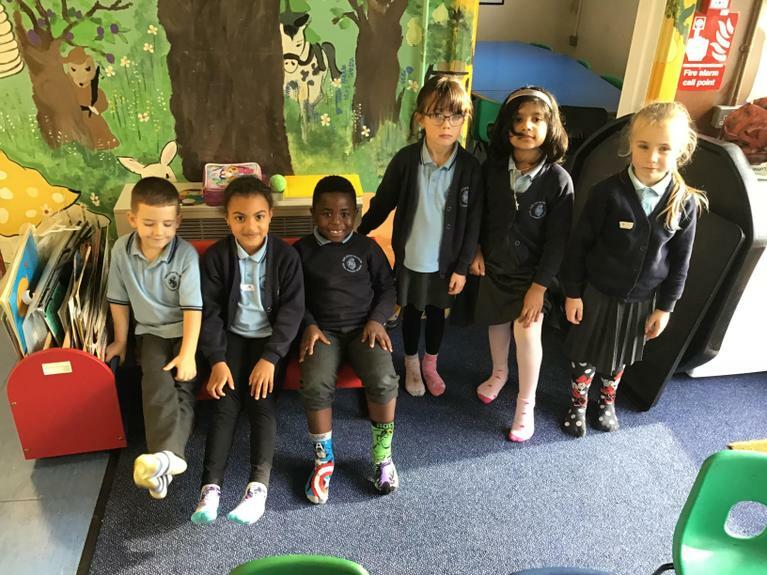 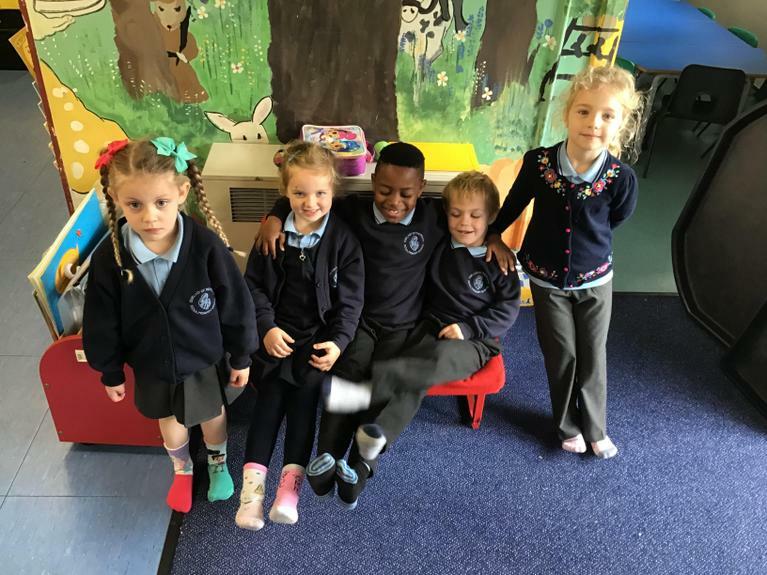 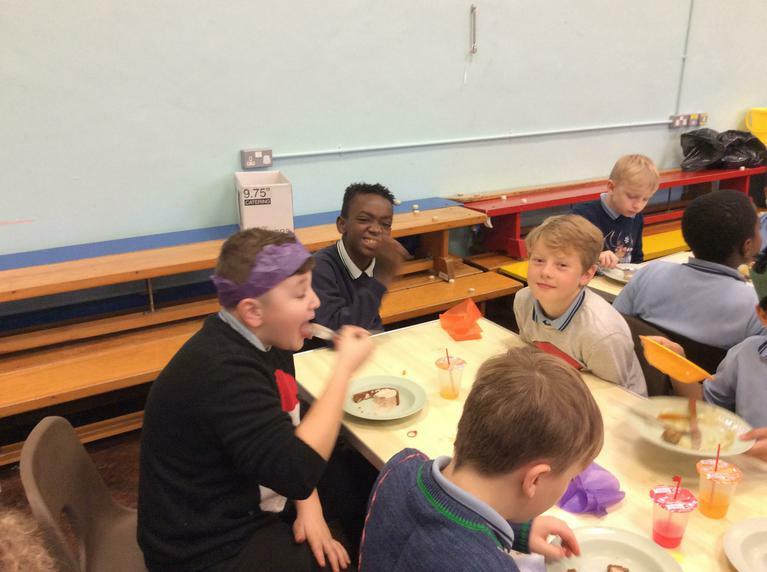 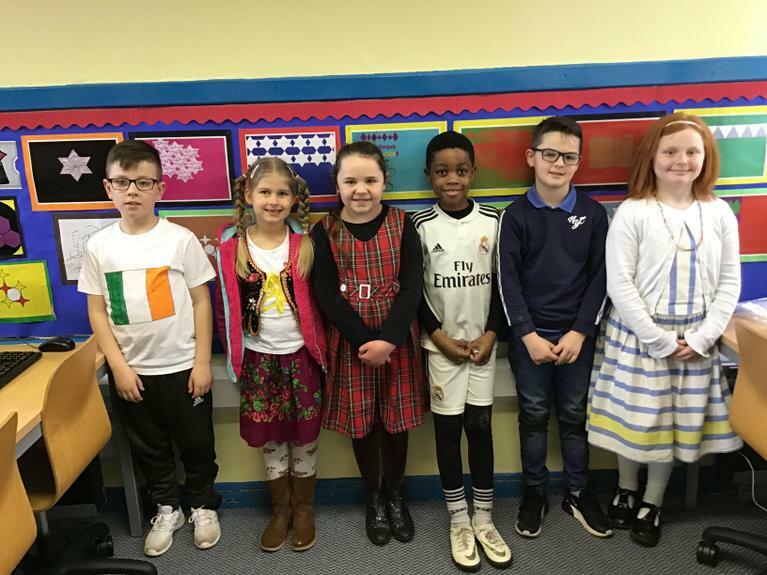 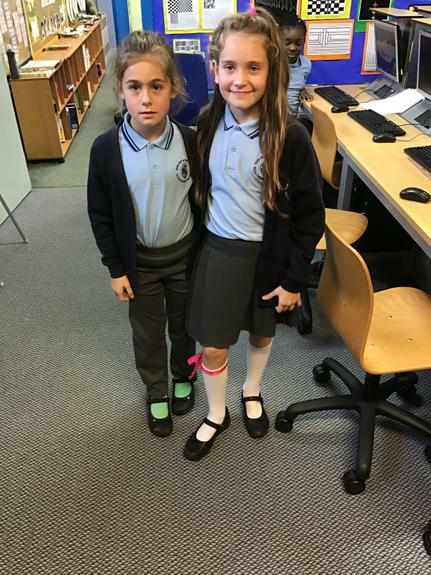 On Tuesday, we raised awareness of this by encouraging everyone to wear a pair of odd socks to show how differenct we all are. 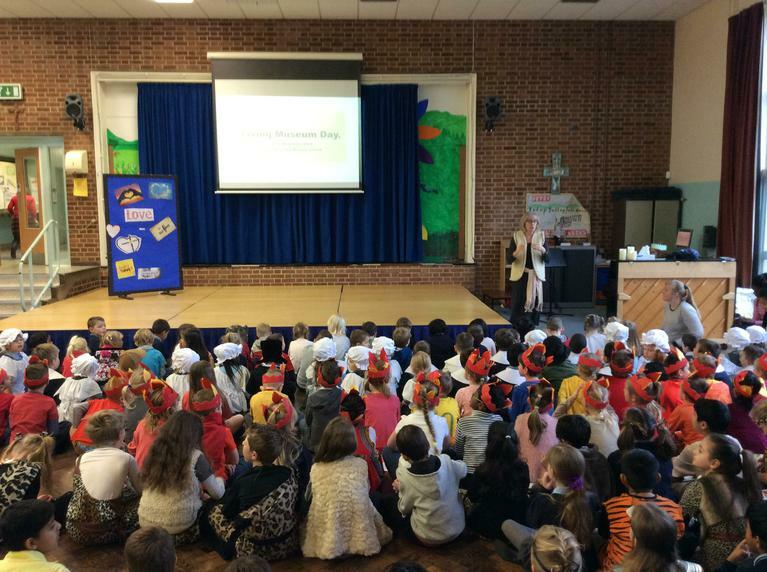 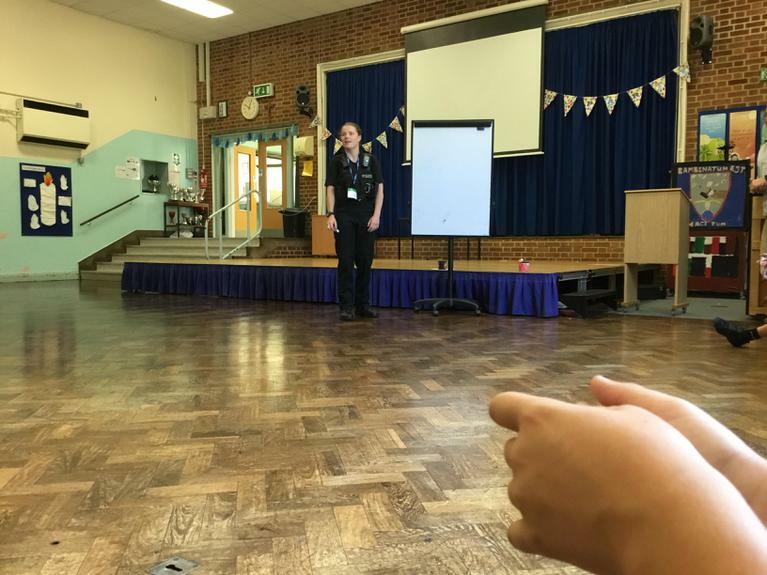 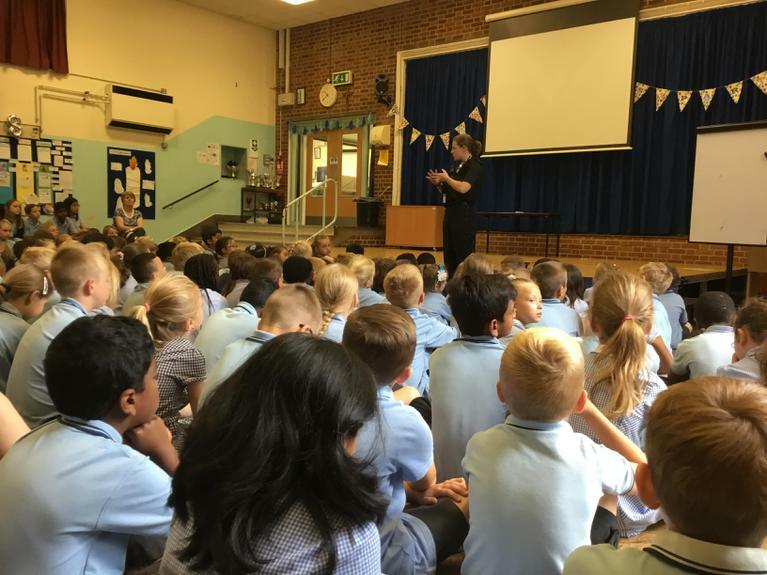 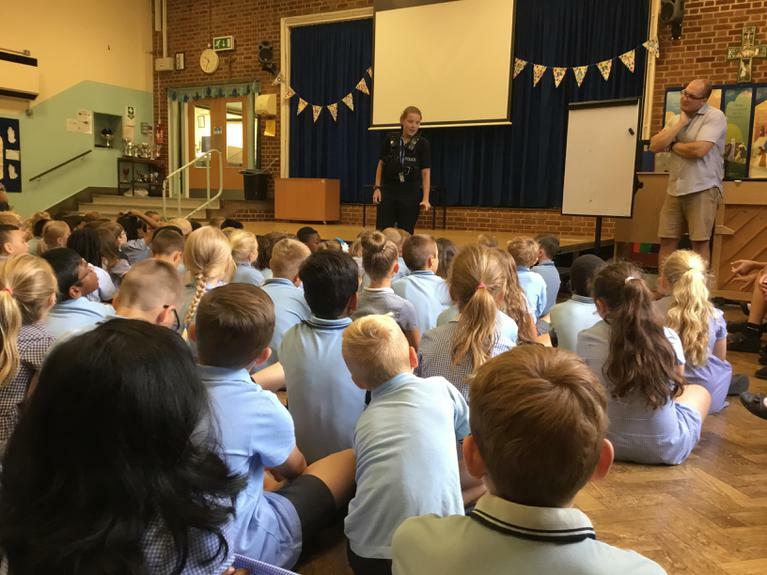 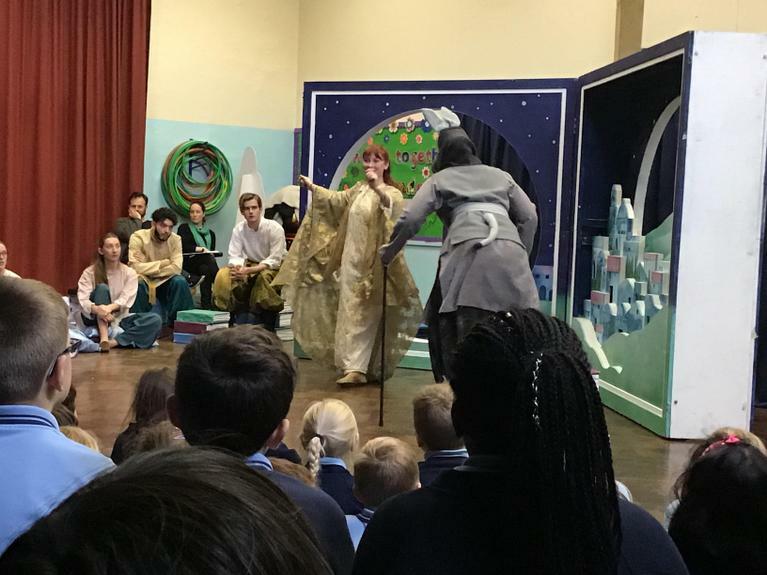 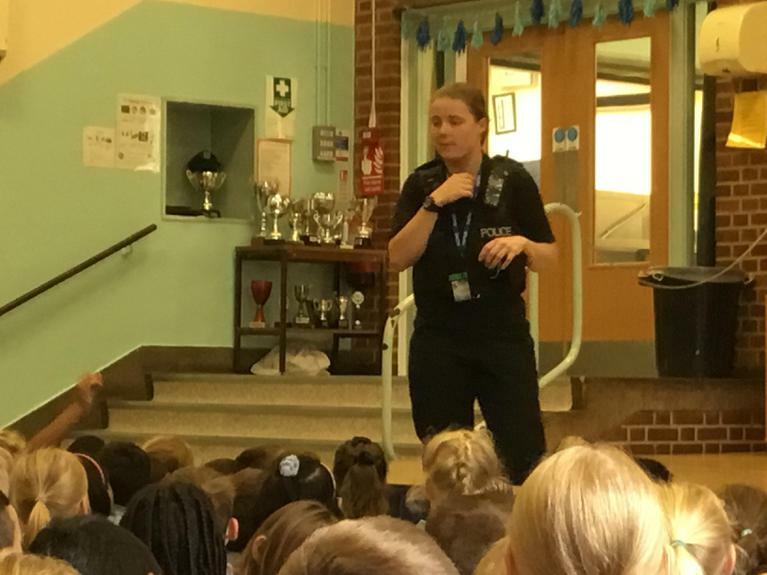 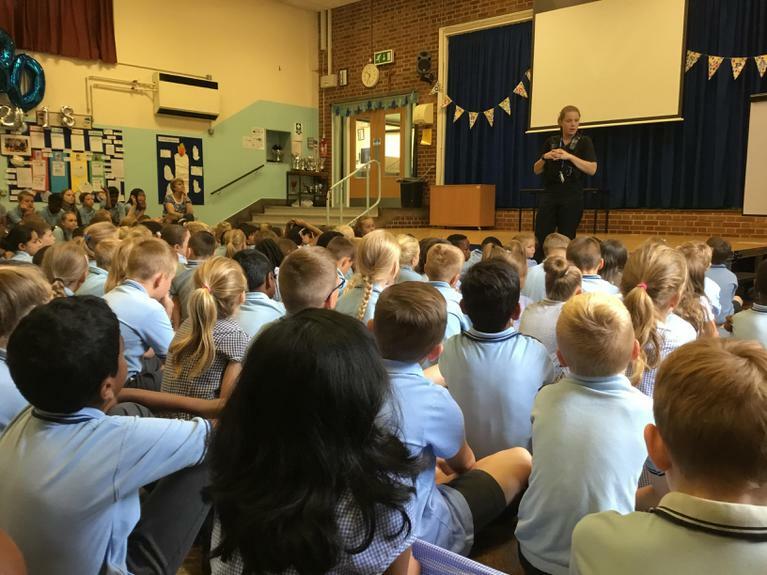 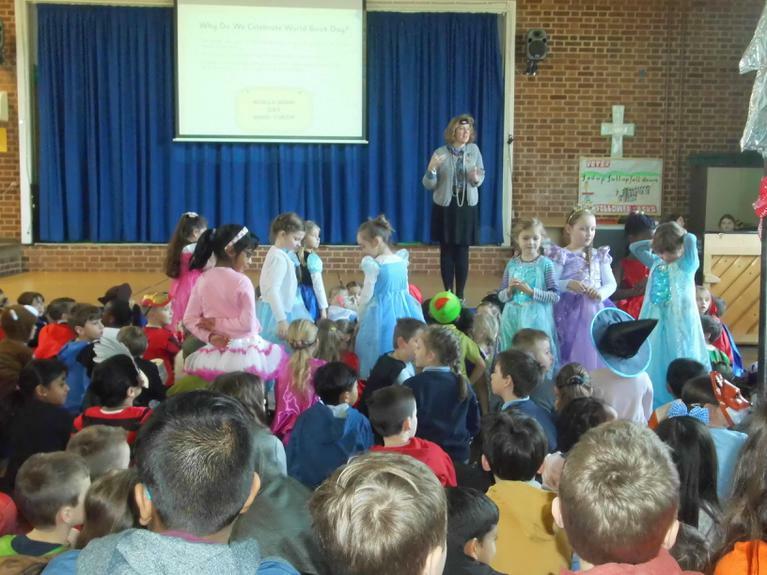 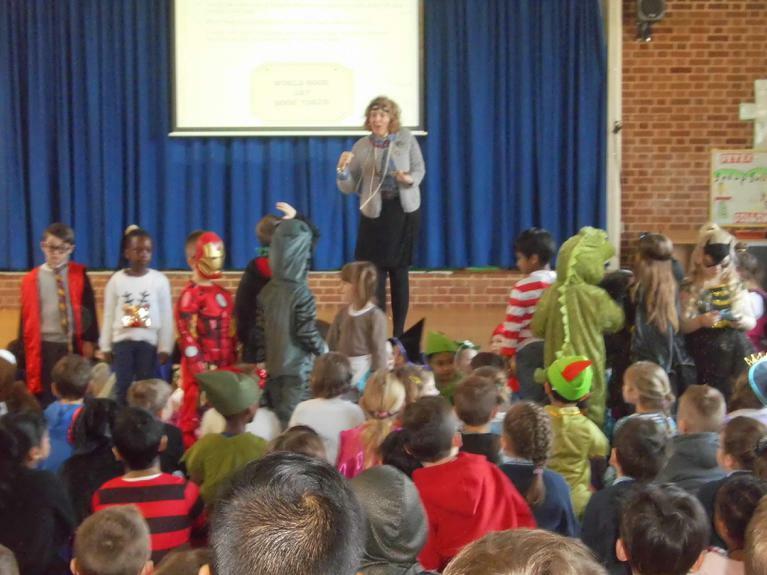 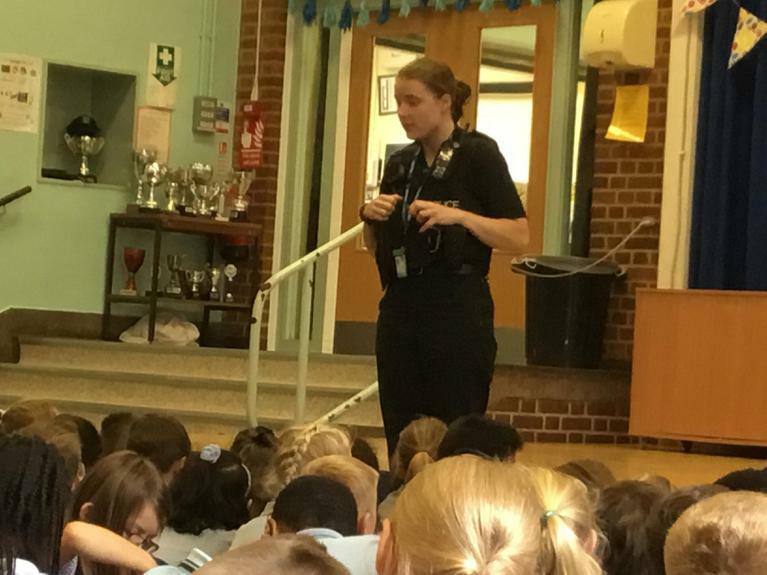 Mrs Arrowsmith led Key Stage 1 and Key Stage 2 assemblies to explore what respect means and understand our behaviour choices. 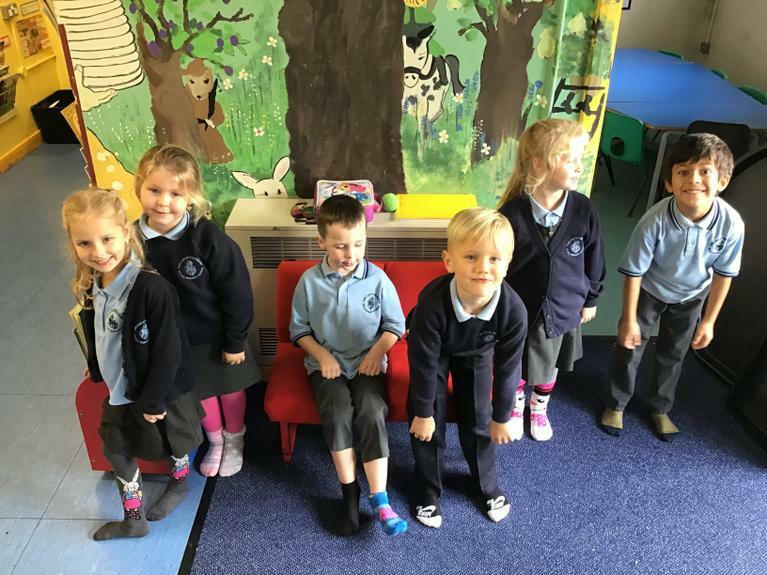 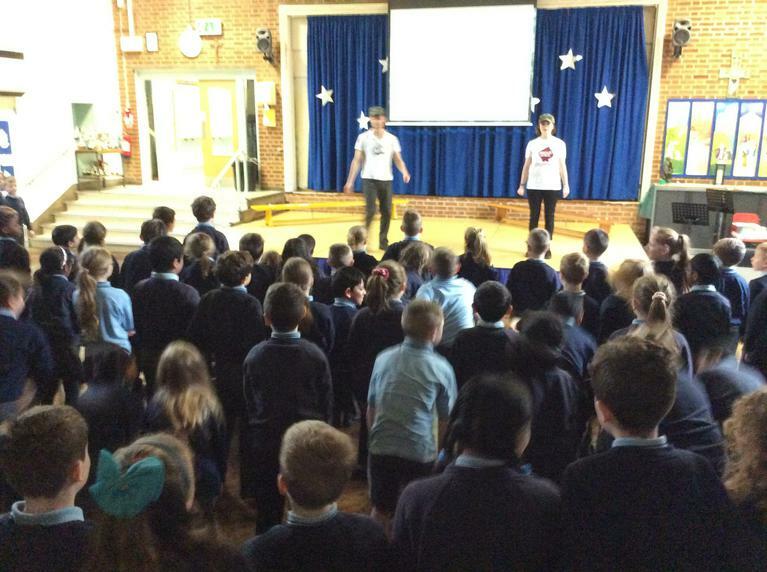 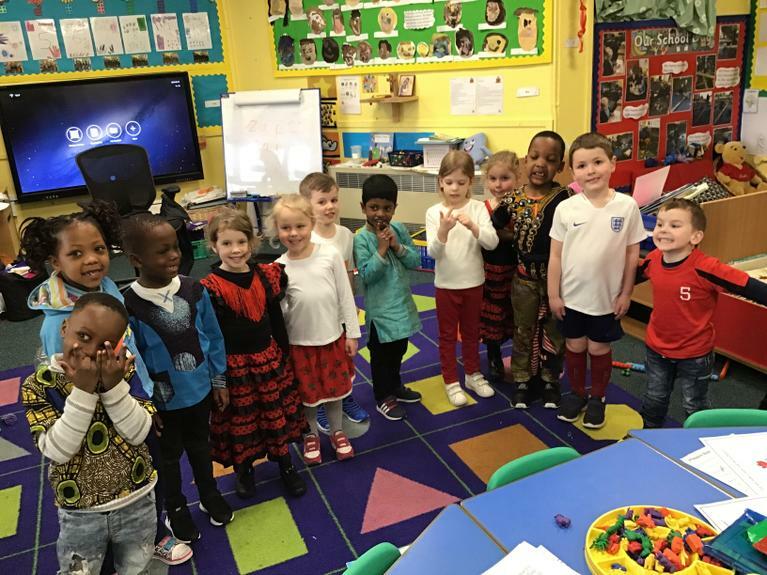 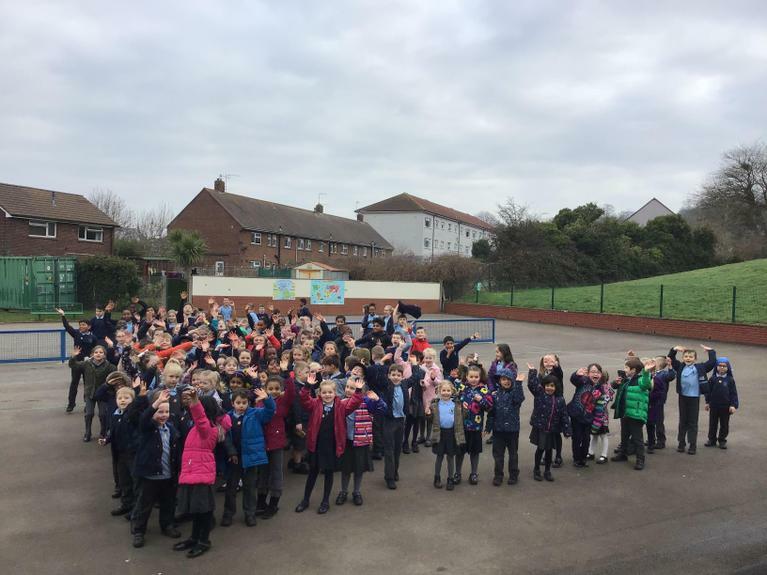 We listened to Andy Day (CBeebies) and the Odd Socks songs ‘Unique’ and ‘Choose Respect’ The message of the song is simple: be proud of who you are and accepting of one another. 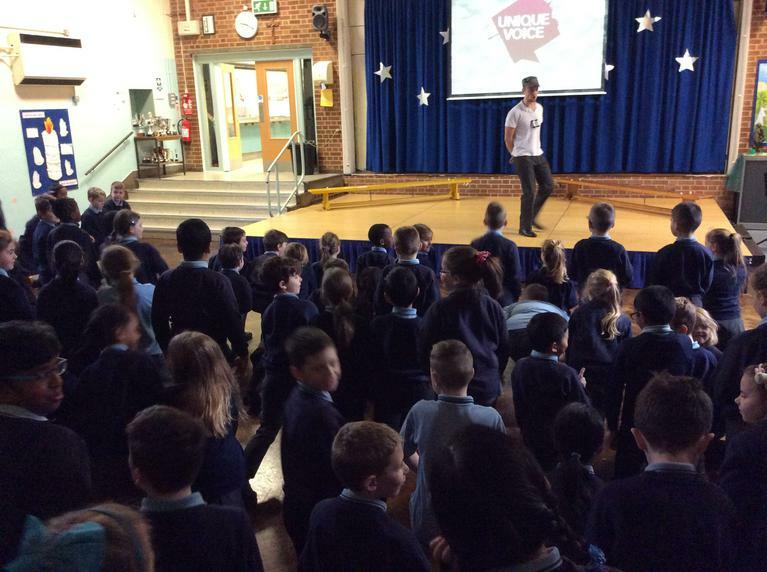 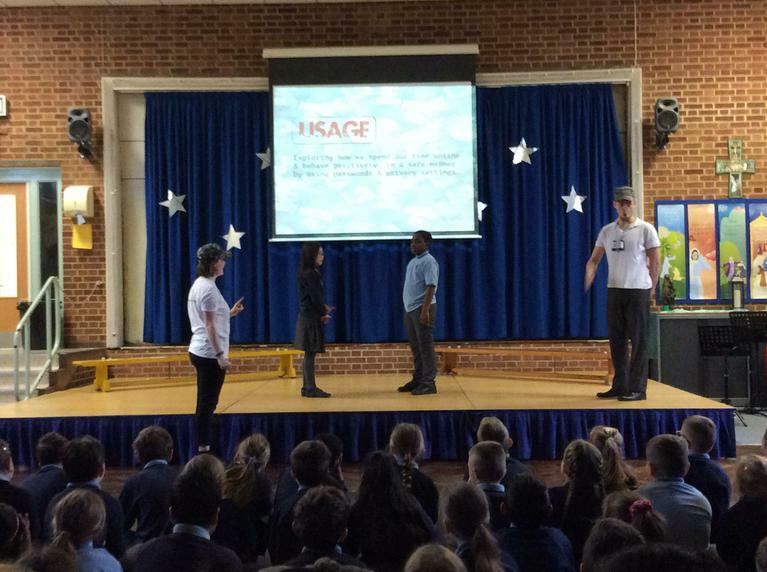 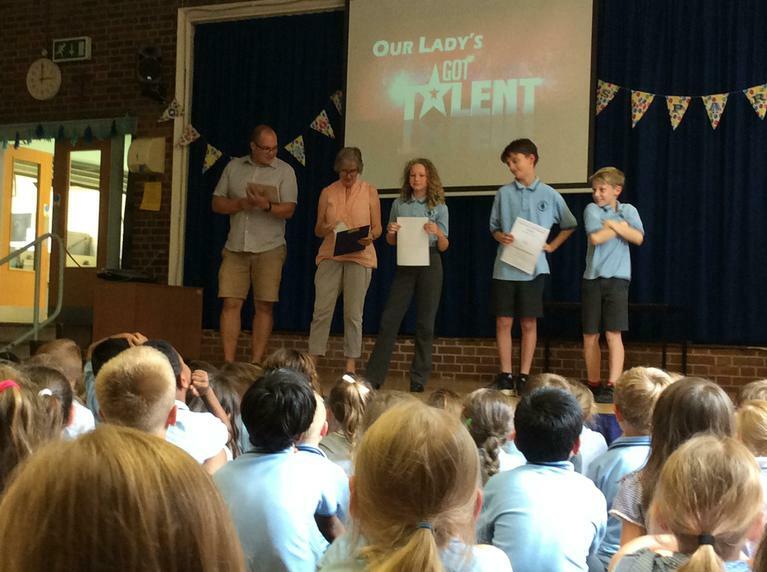 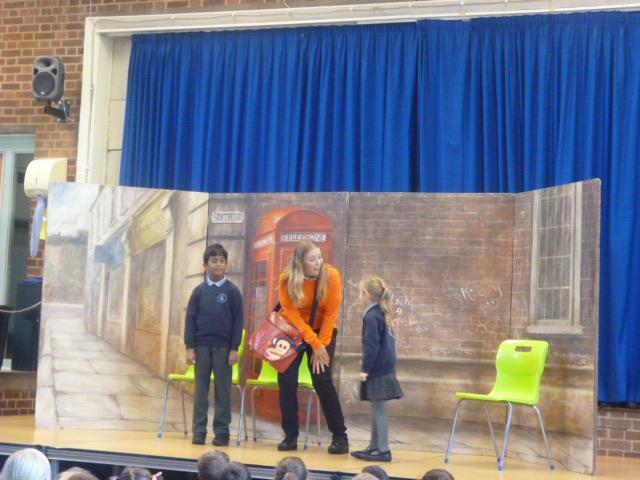 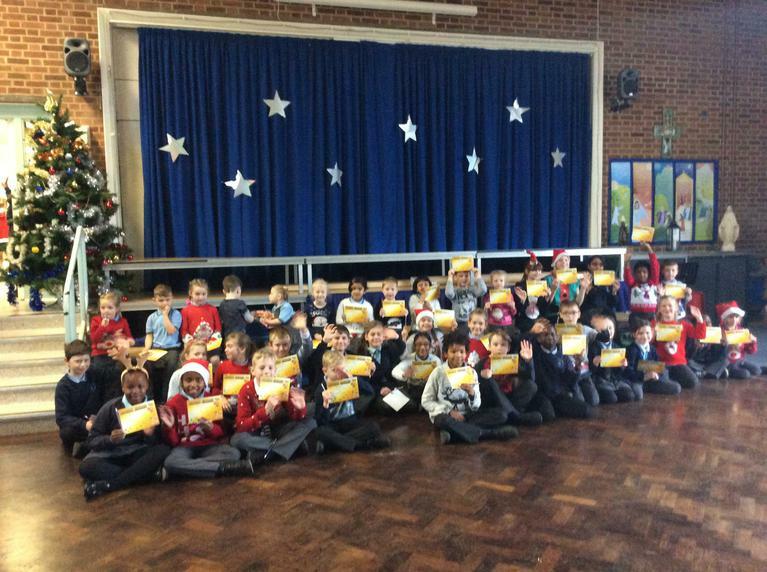 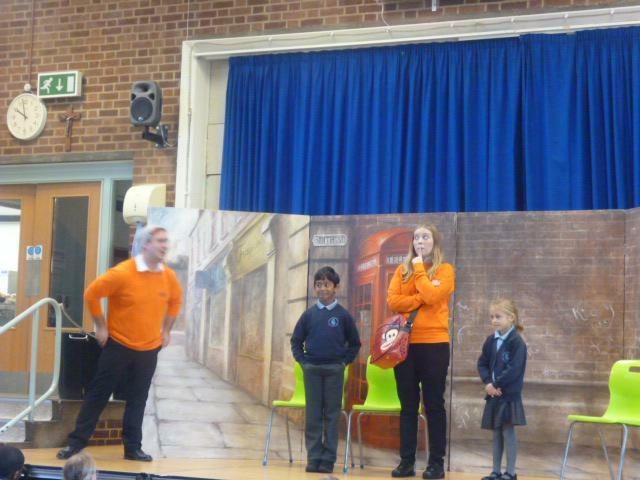 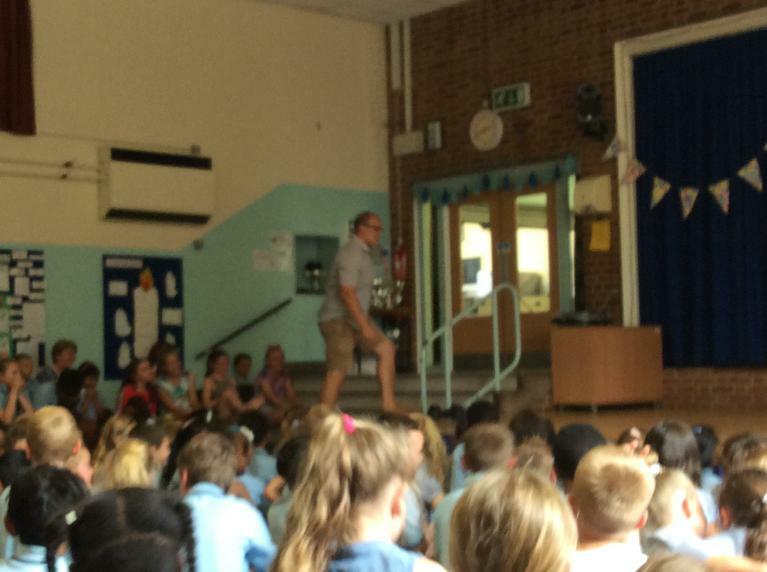 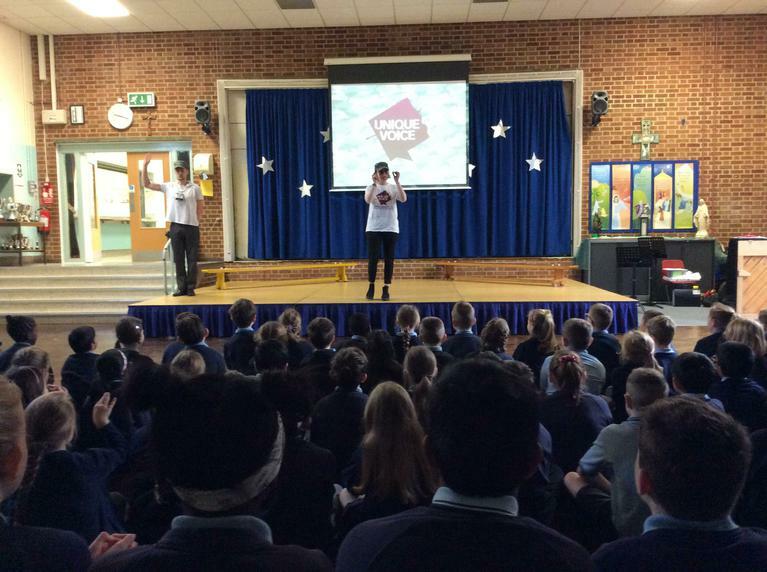 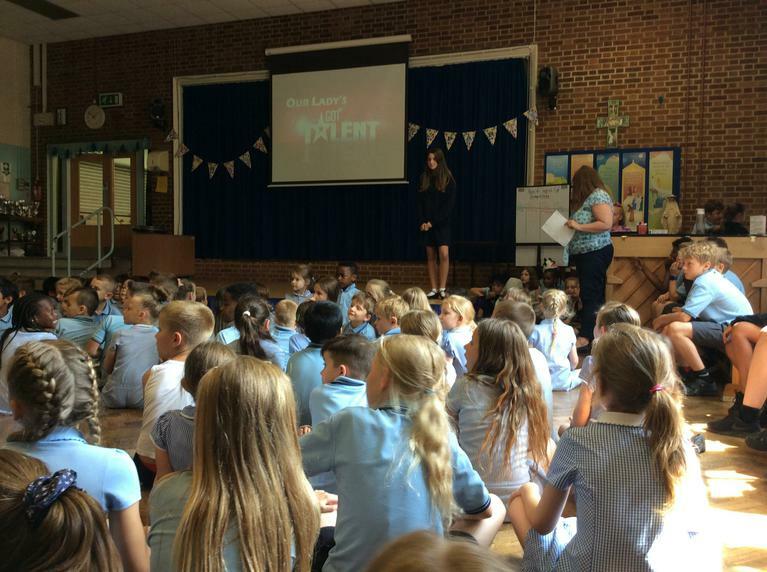 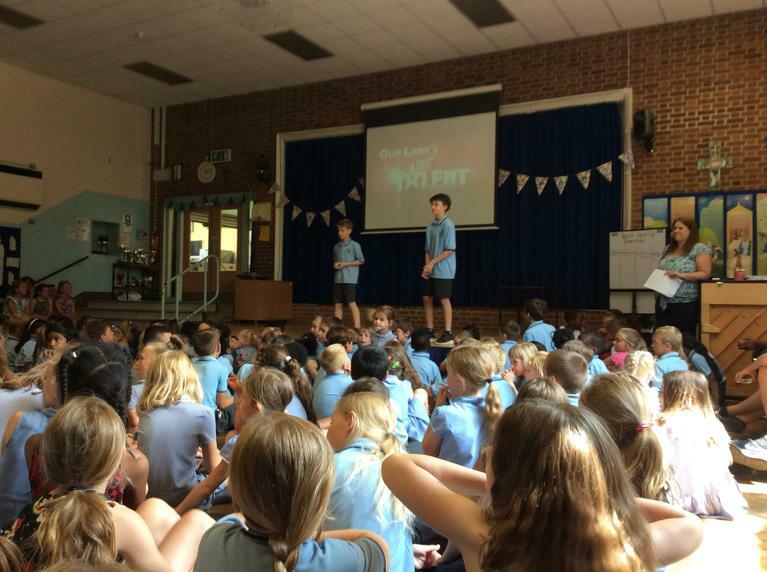 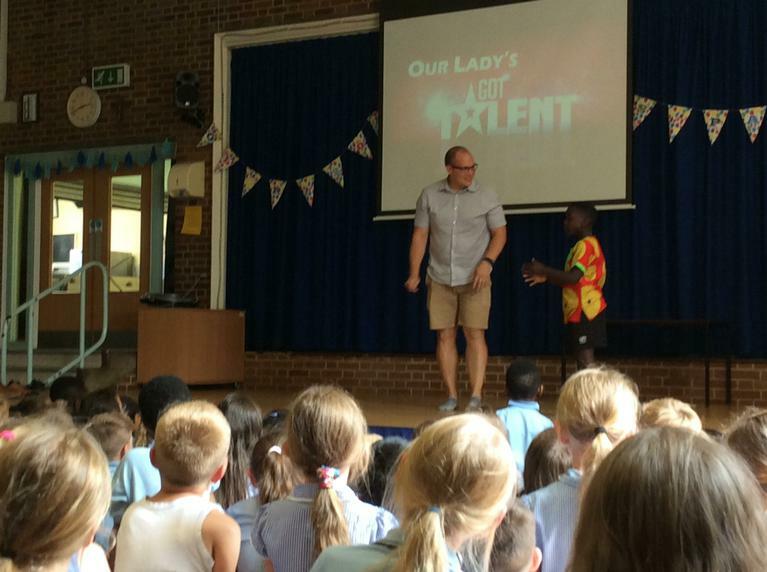 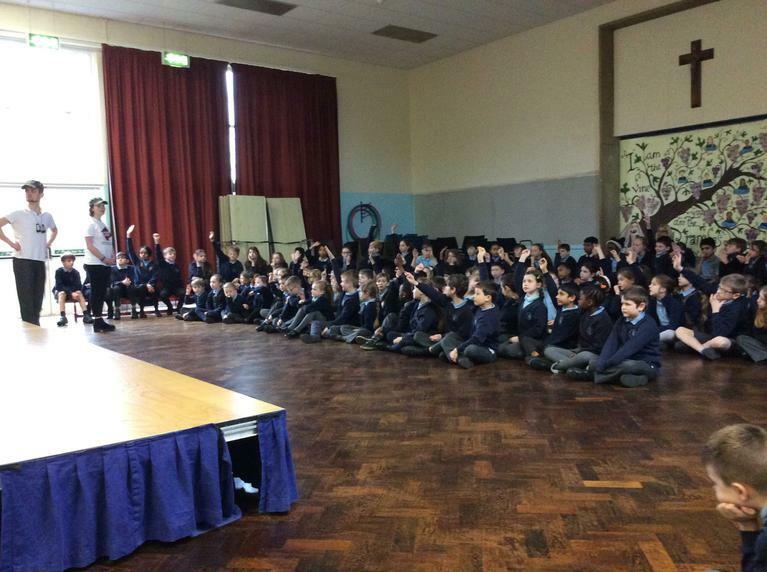 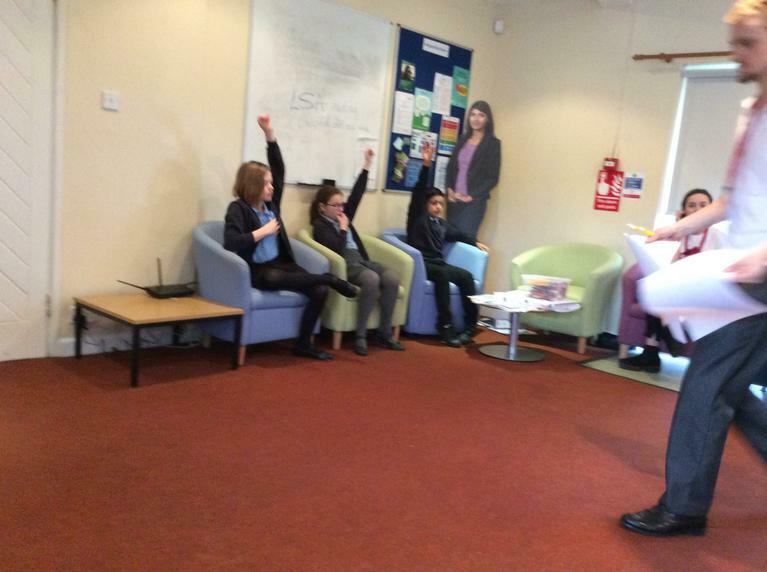 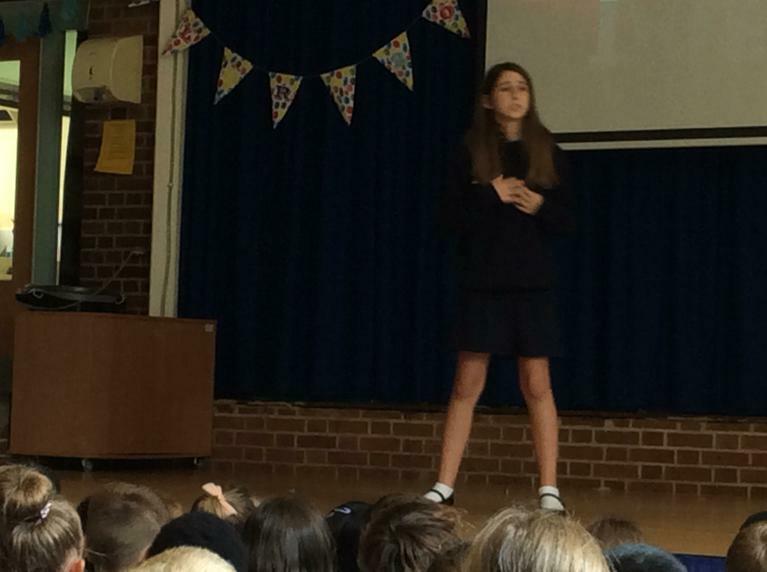 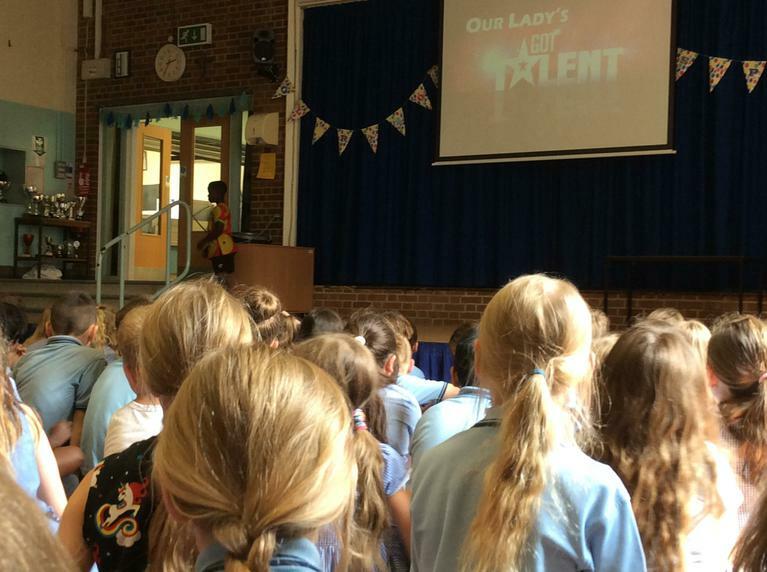 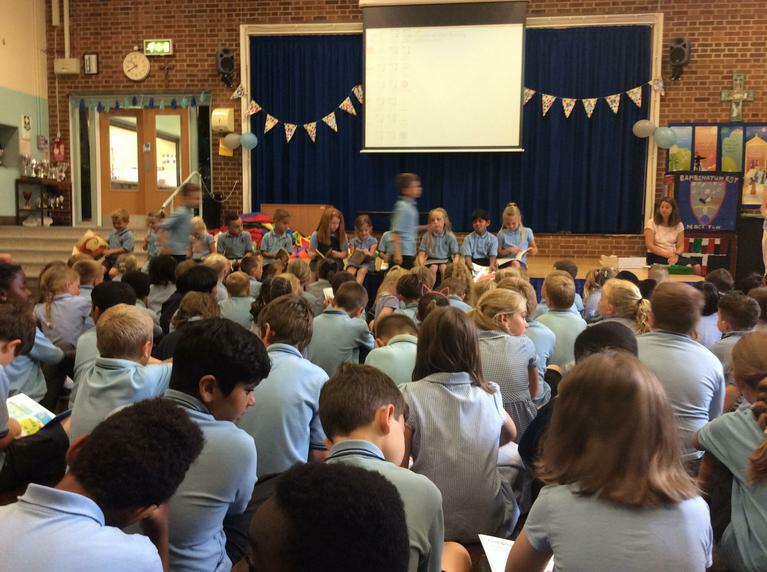 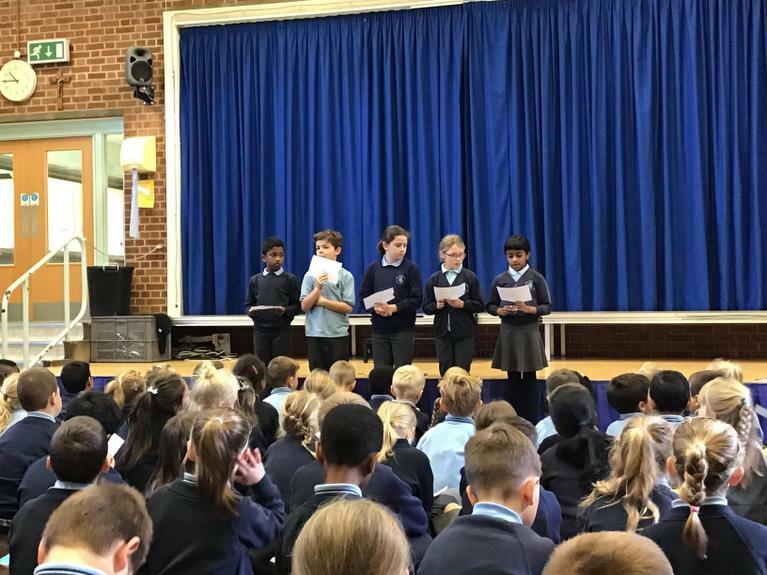 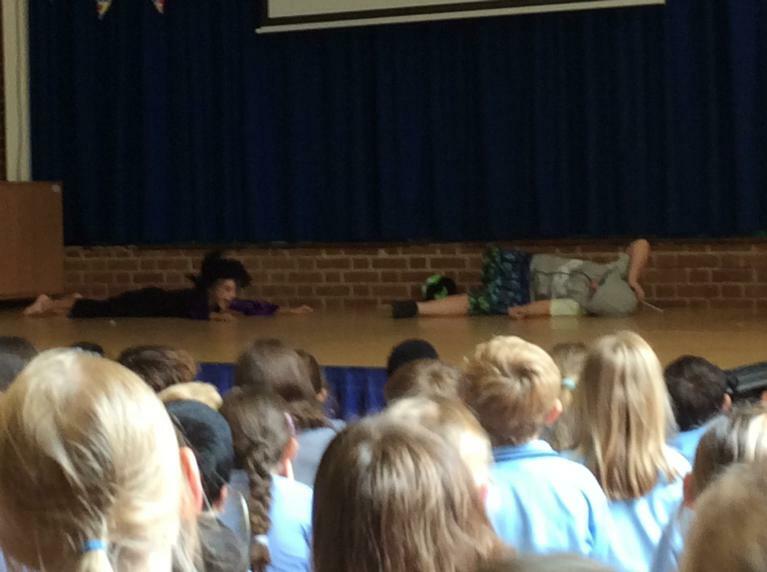 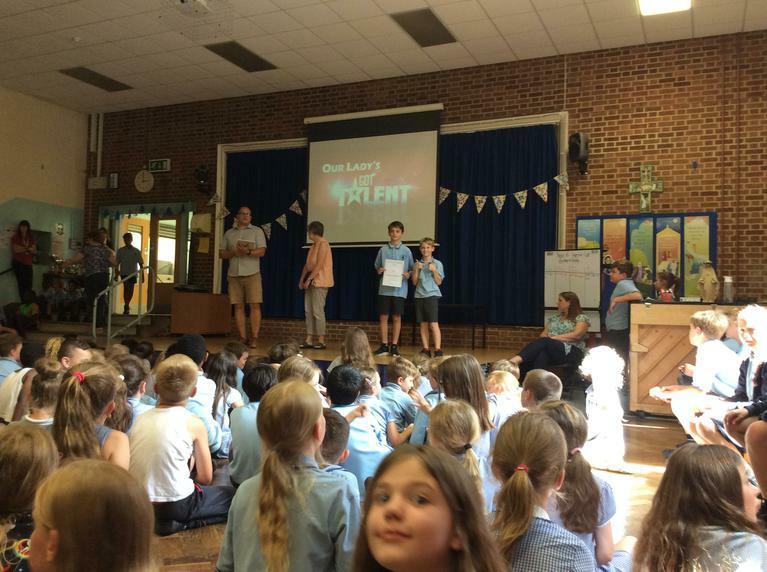 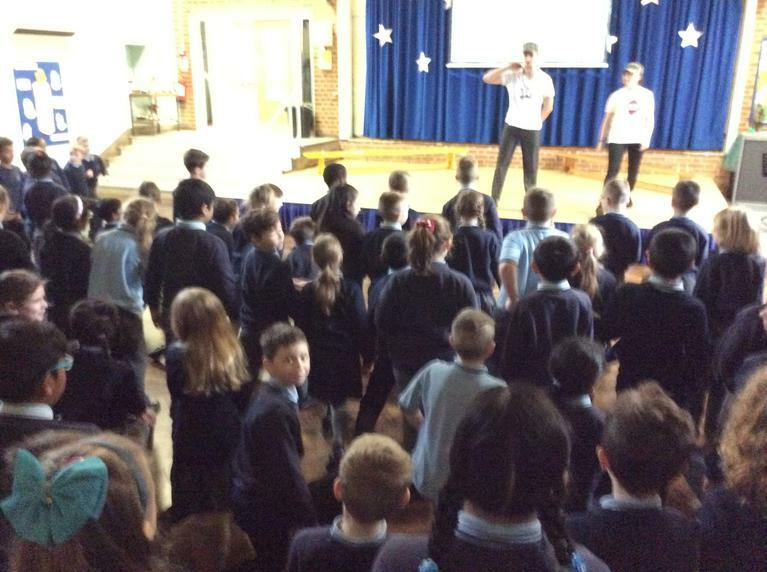 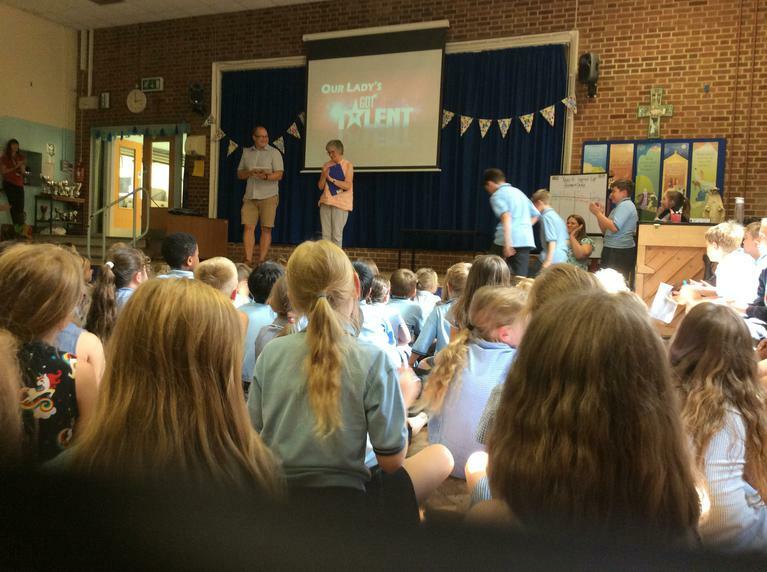 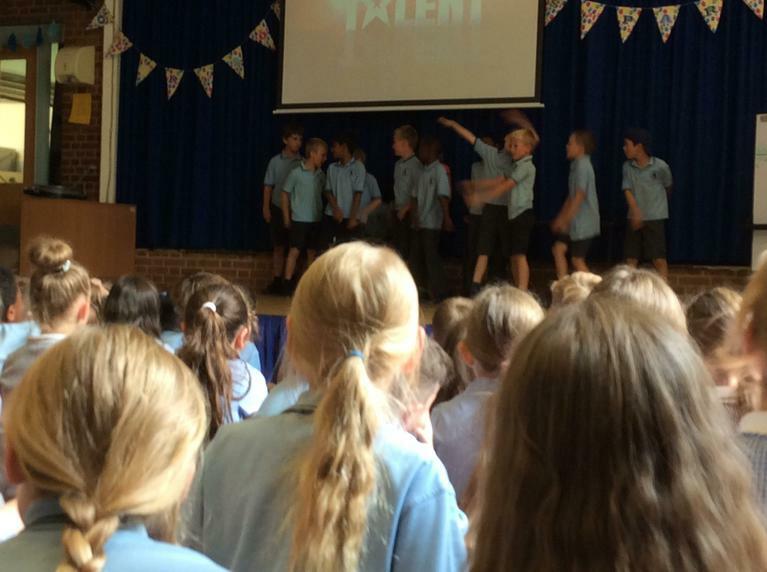 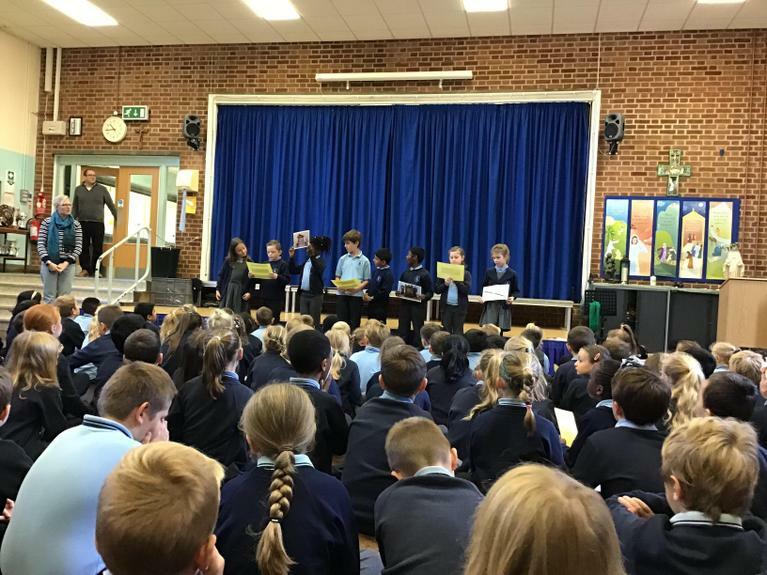 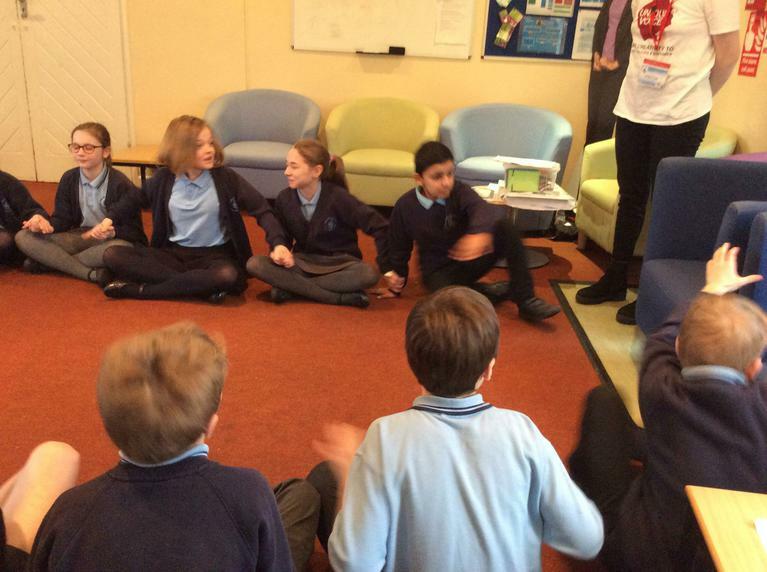 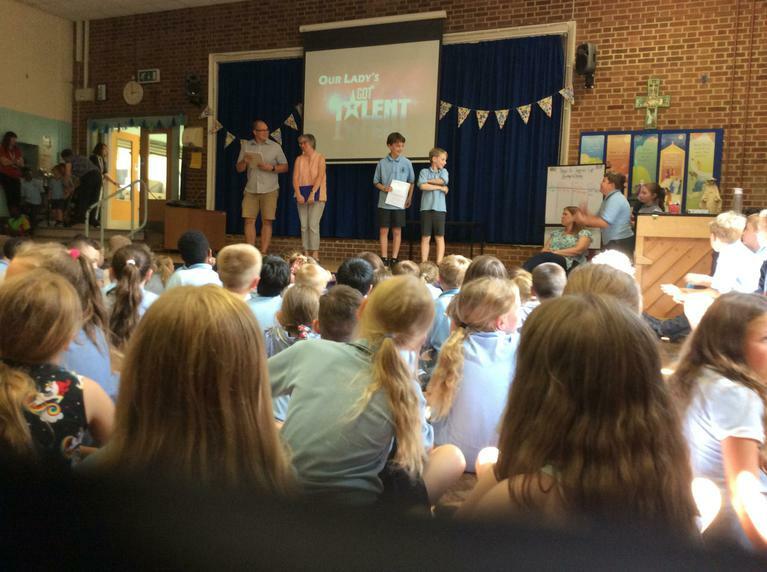 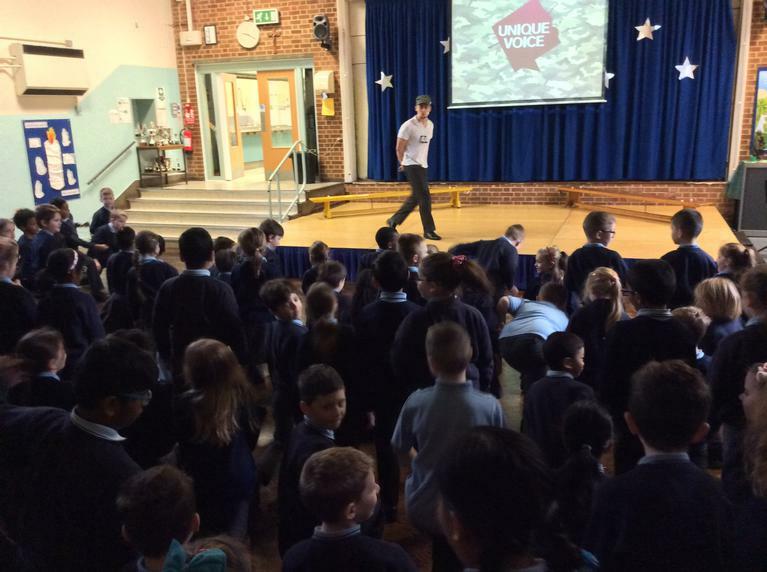 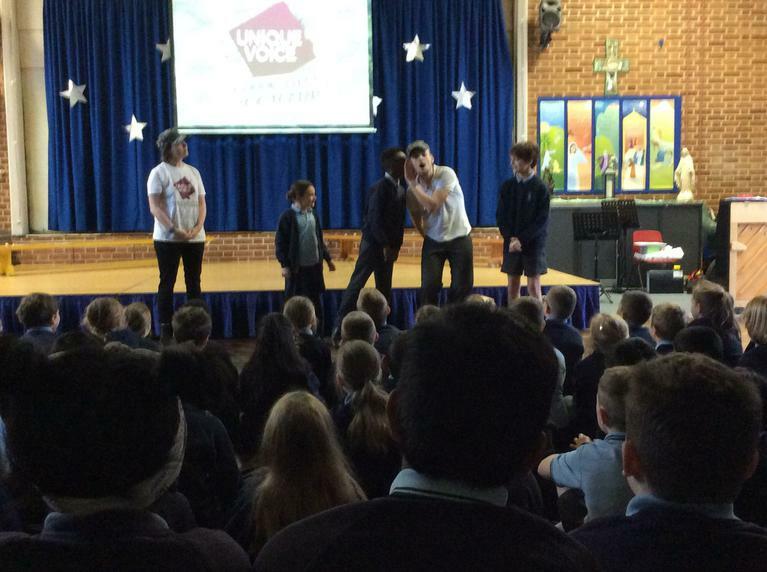 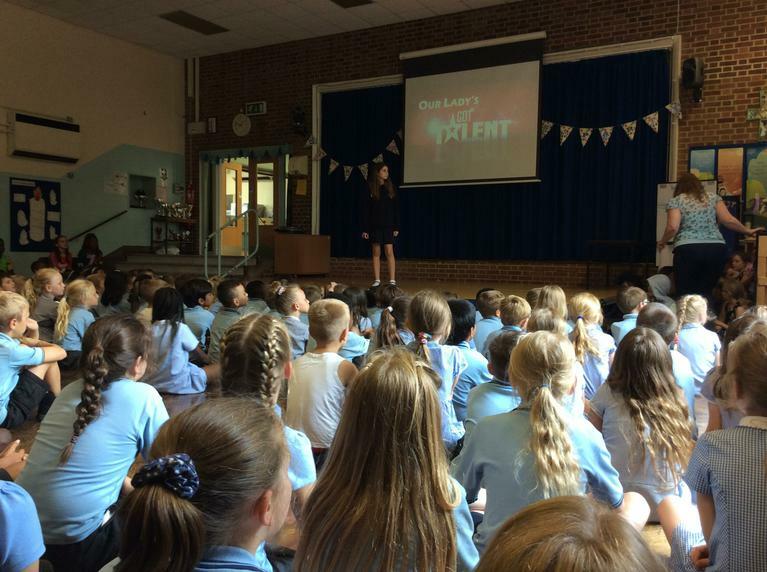 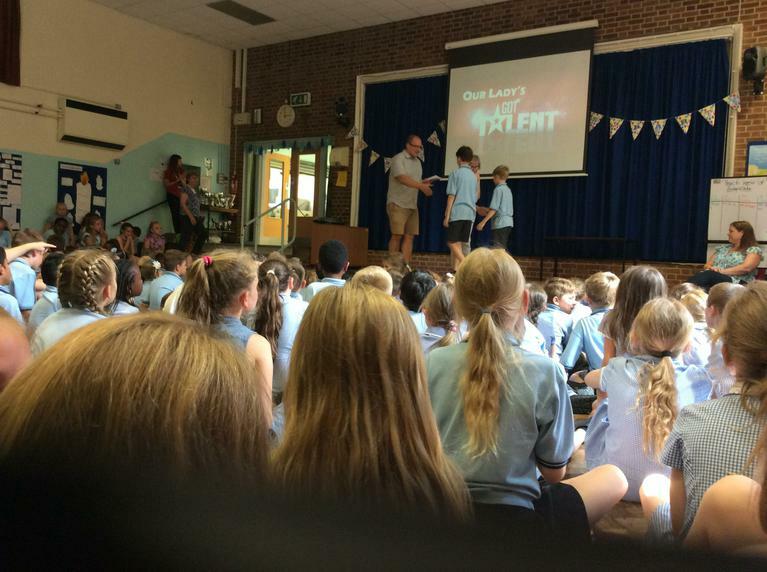 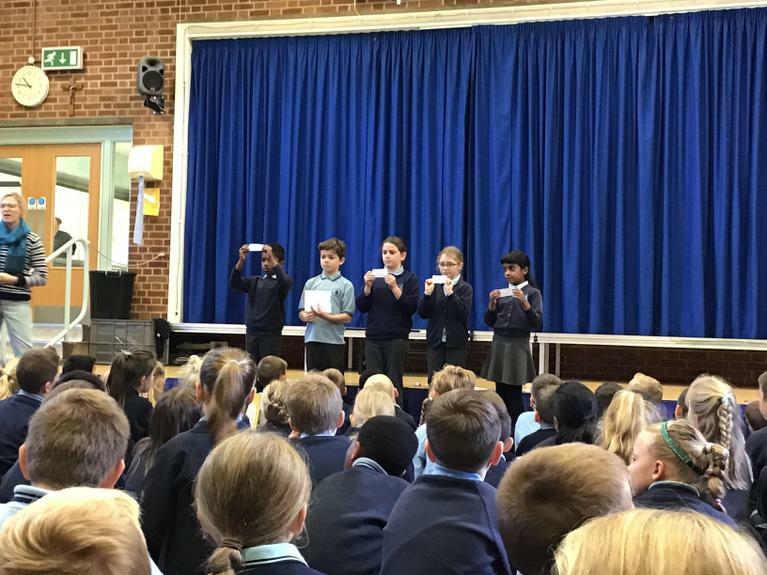 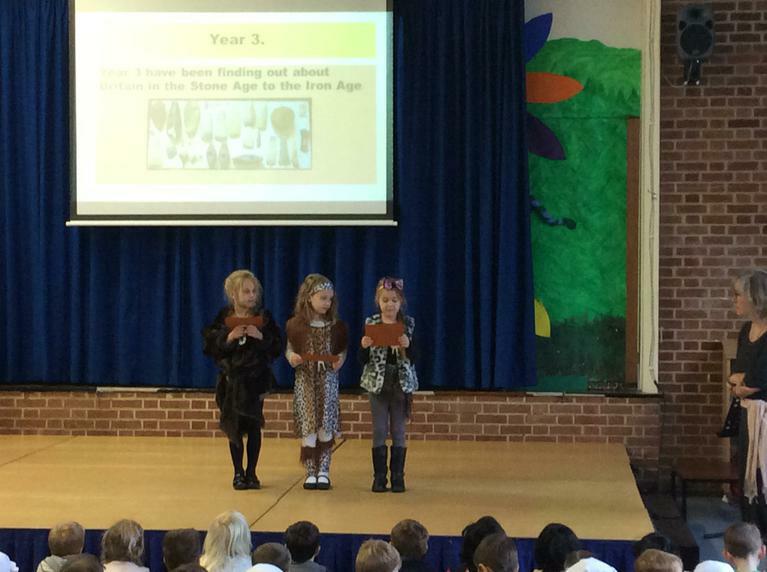 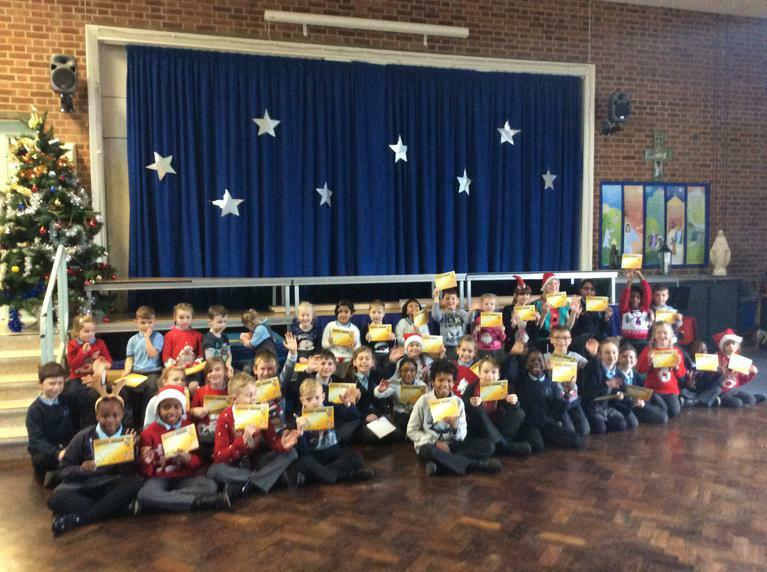 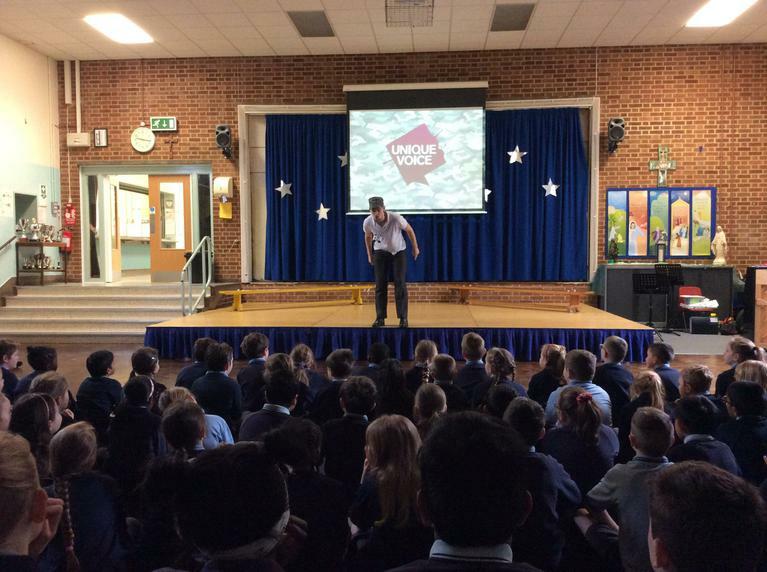 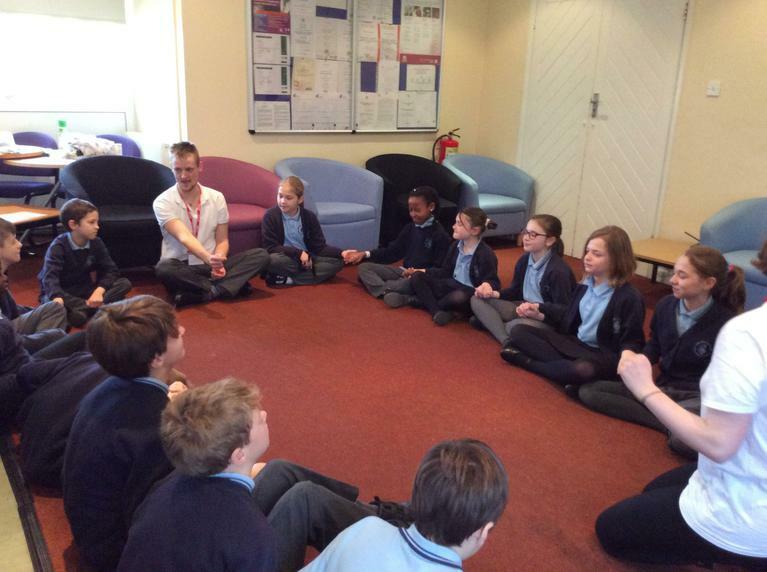 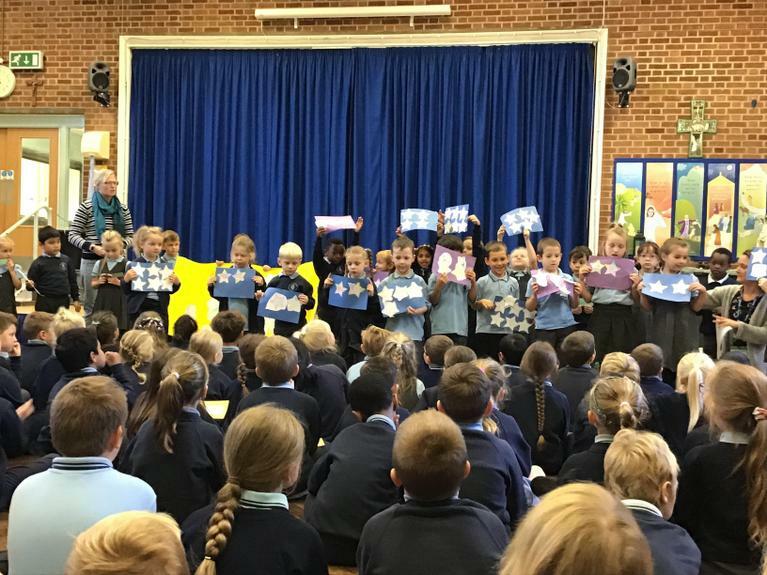 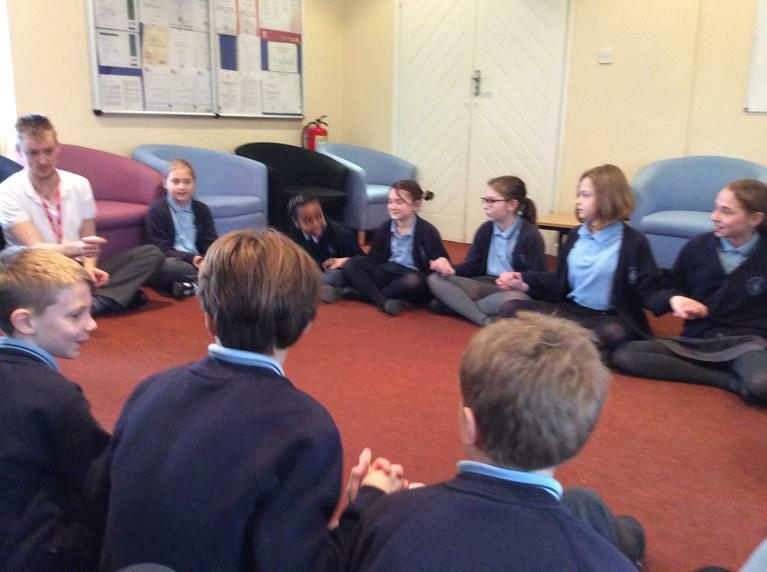 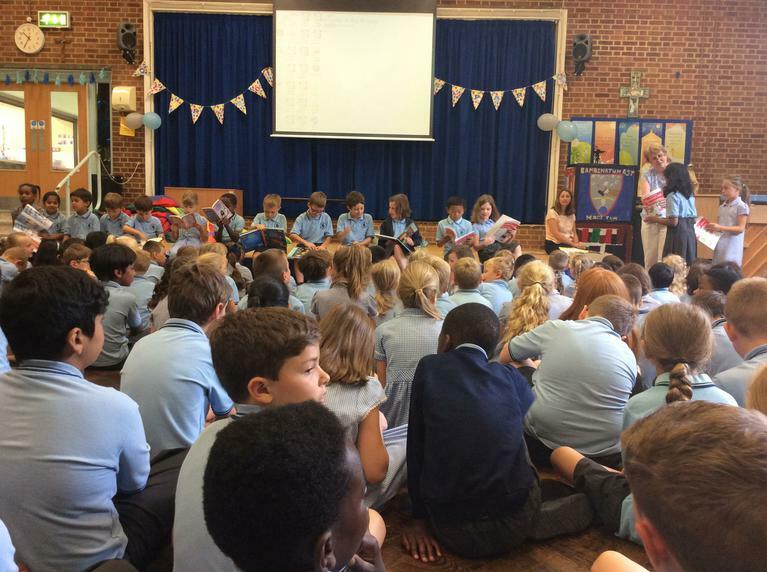 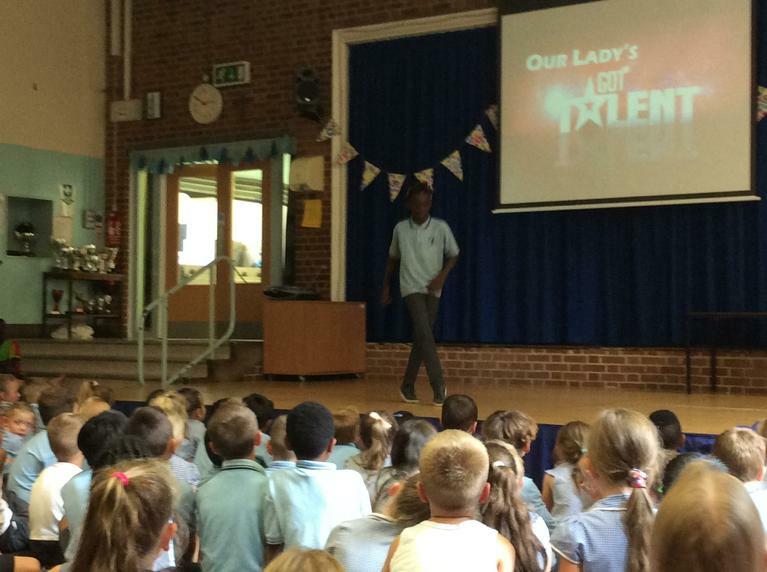 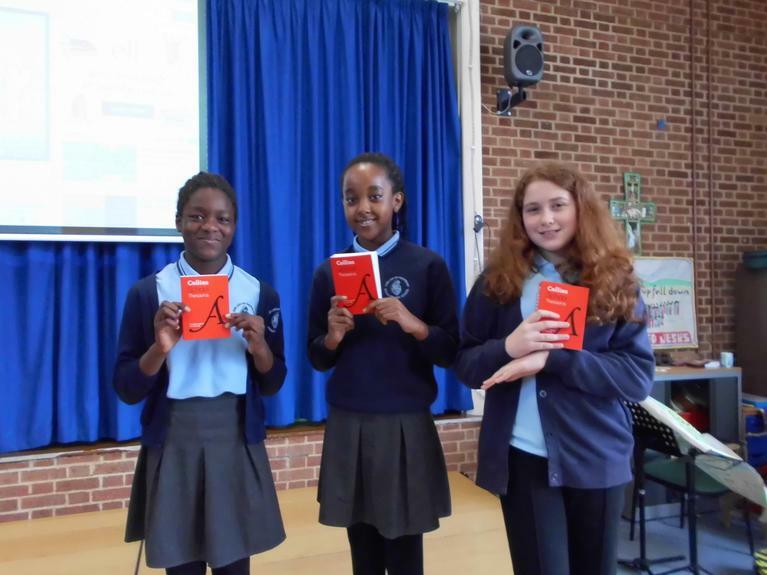 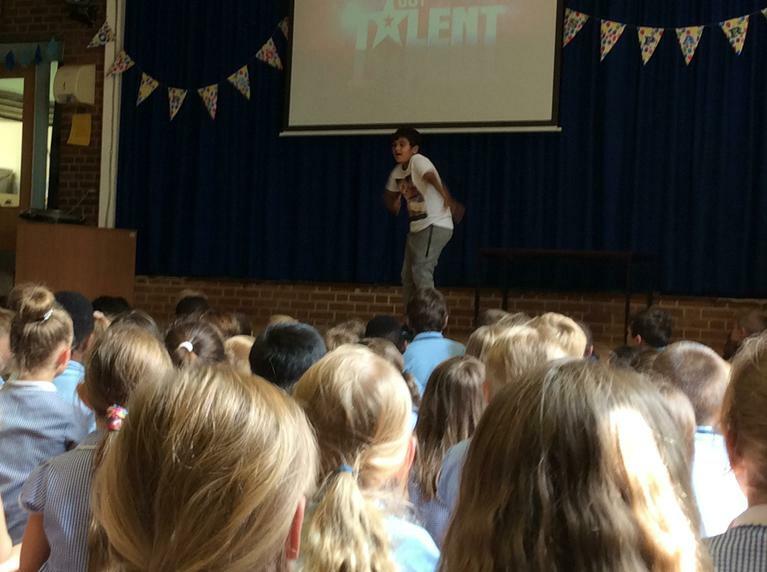 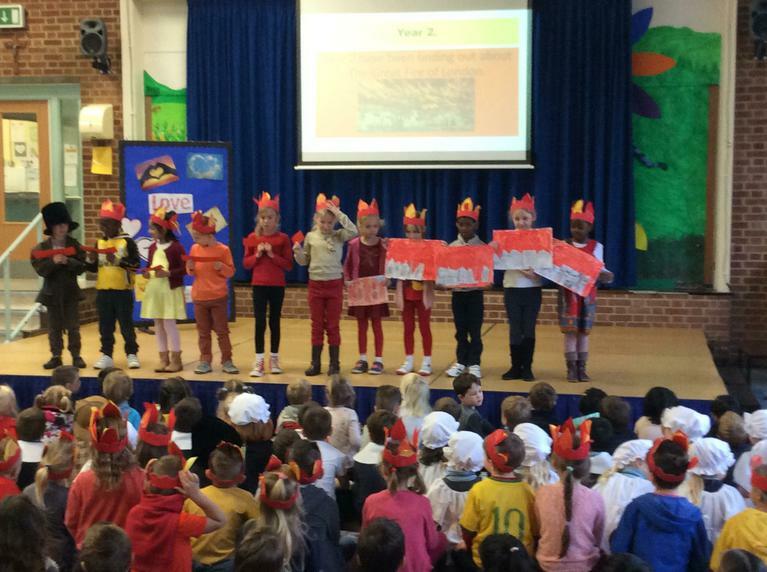 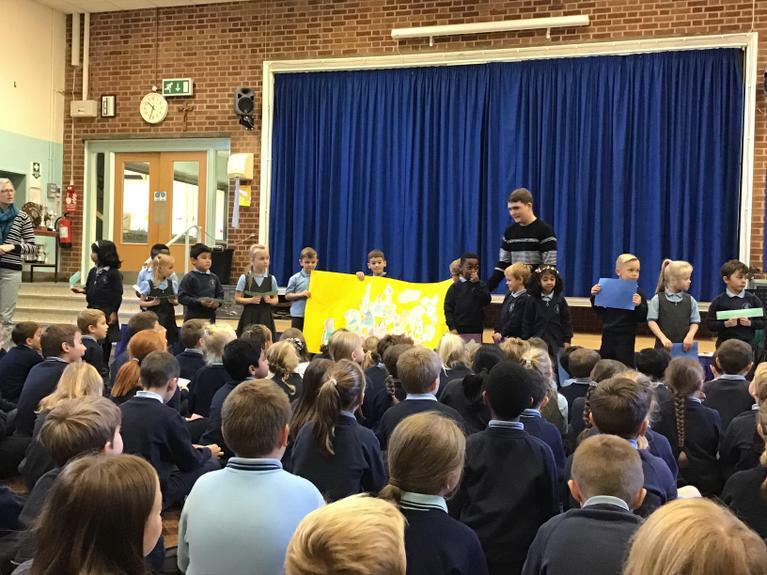 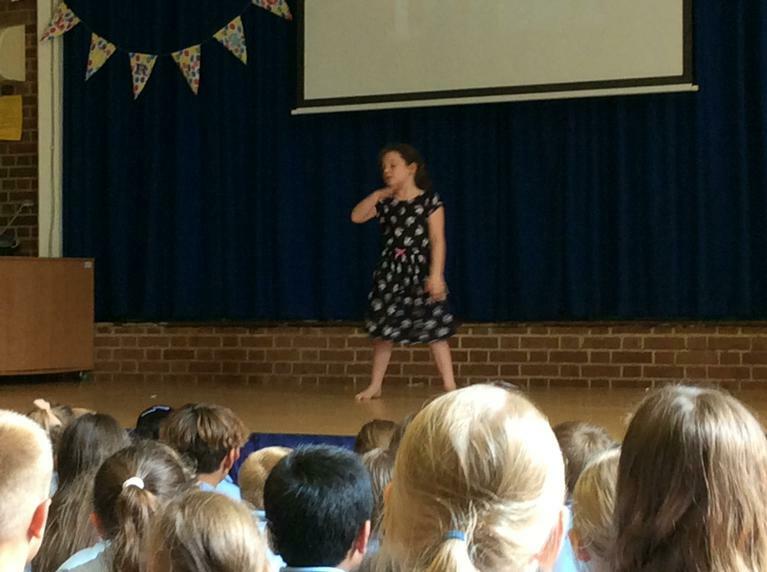 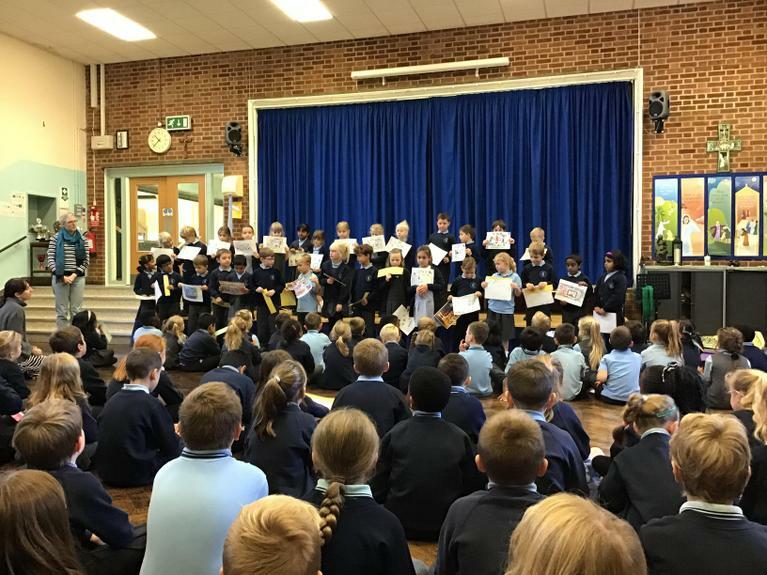 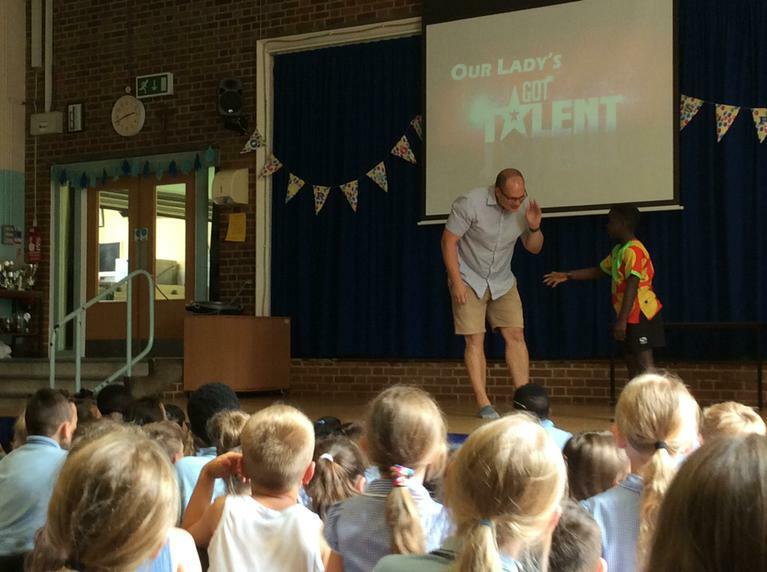 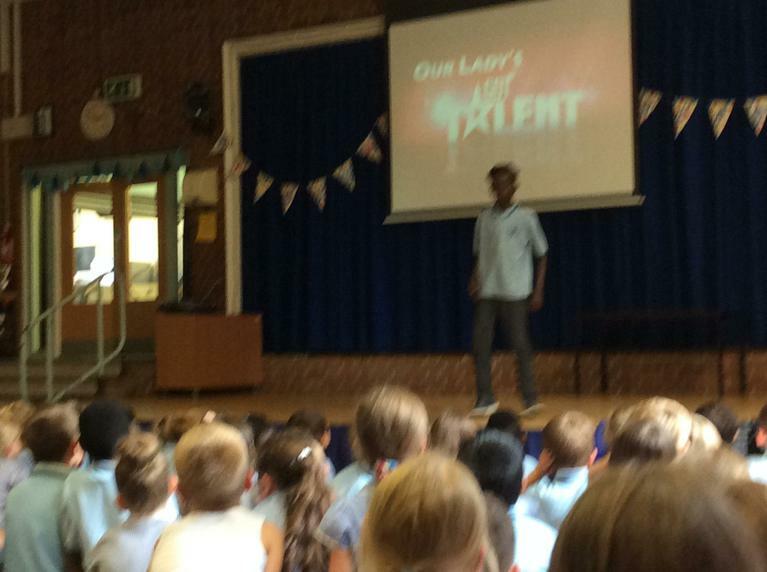 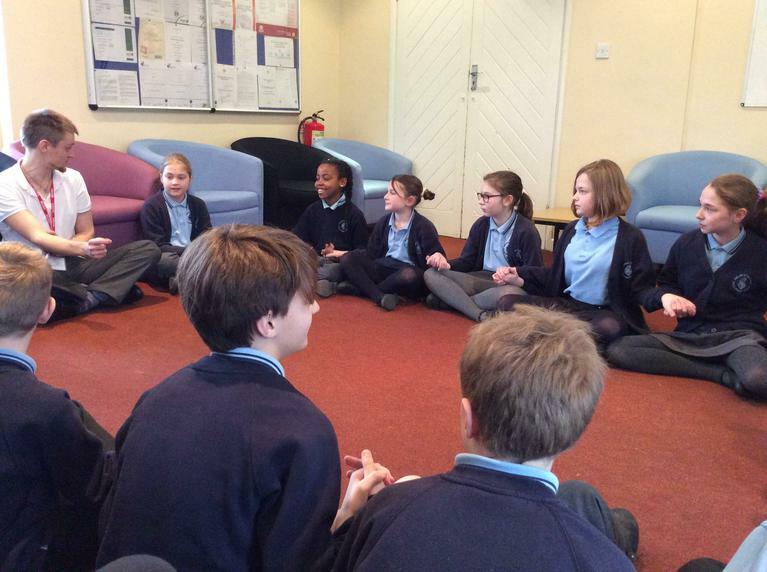 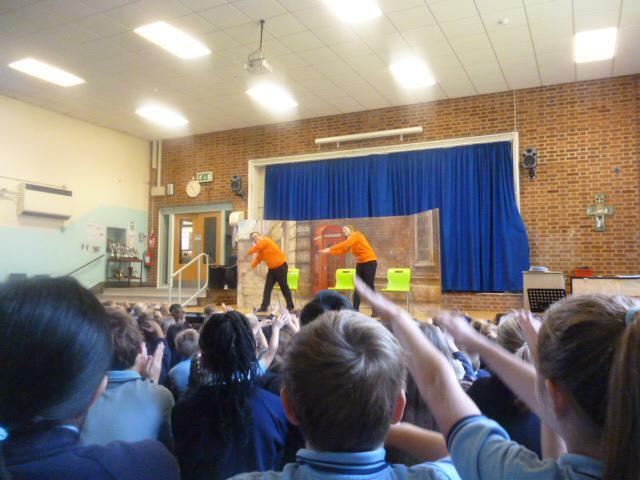 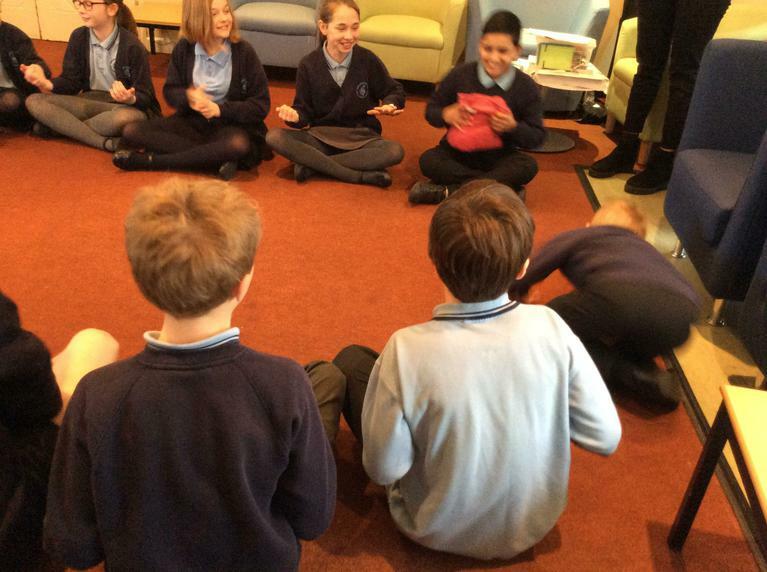 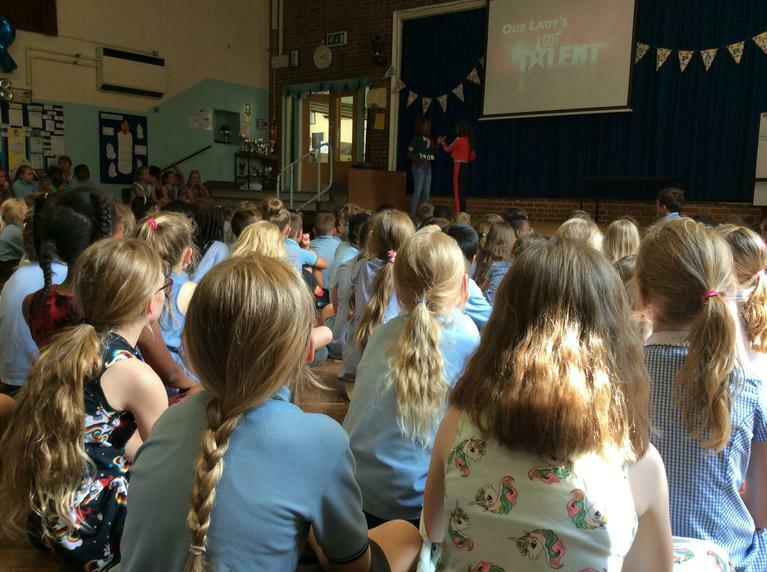 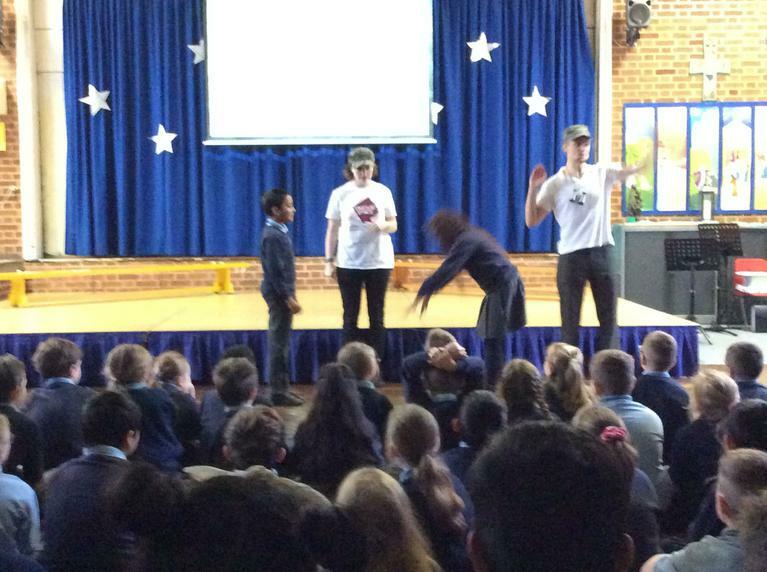 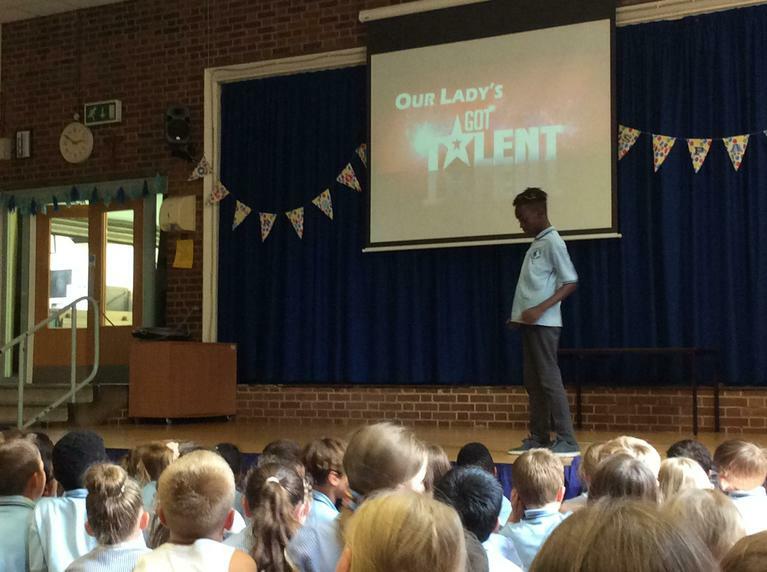 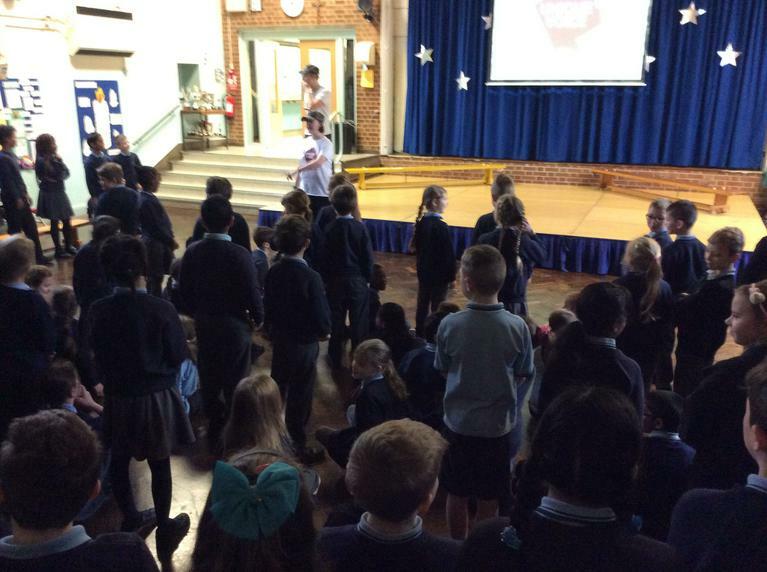 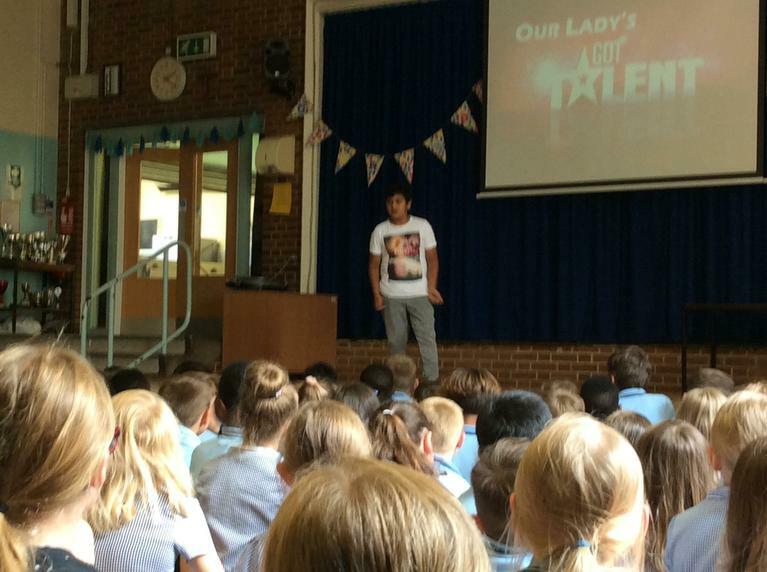 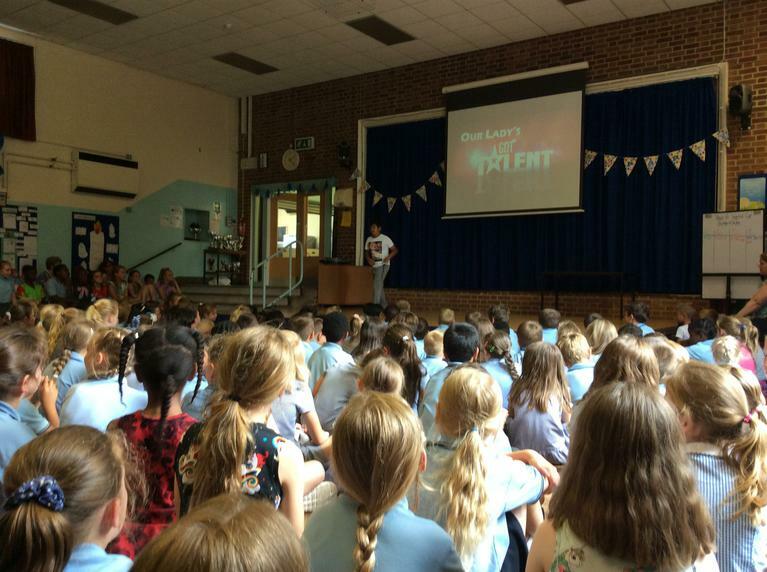 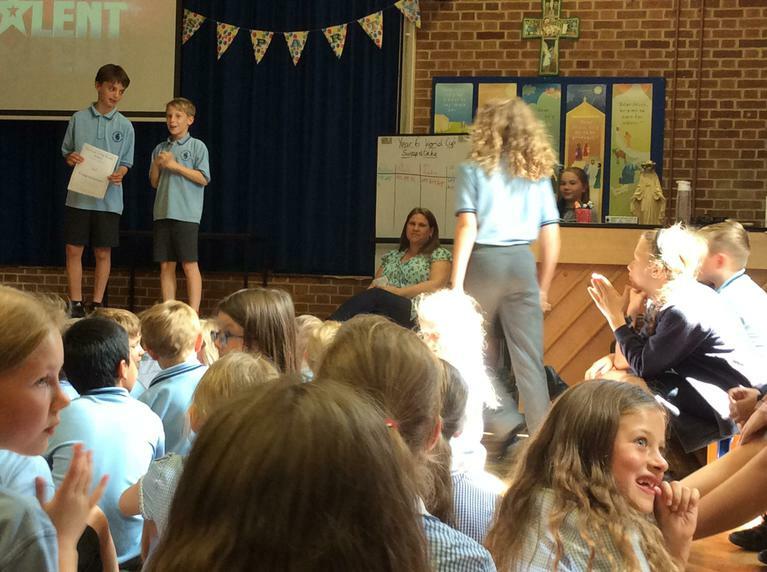 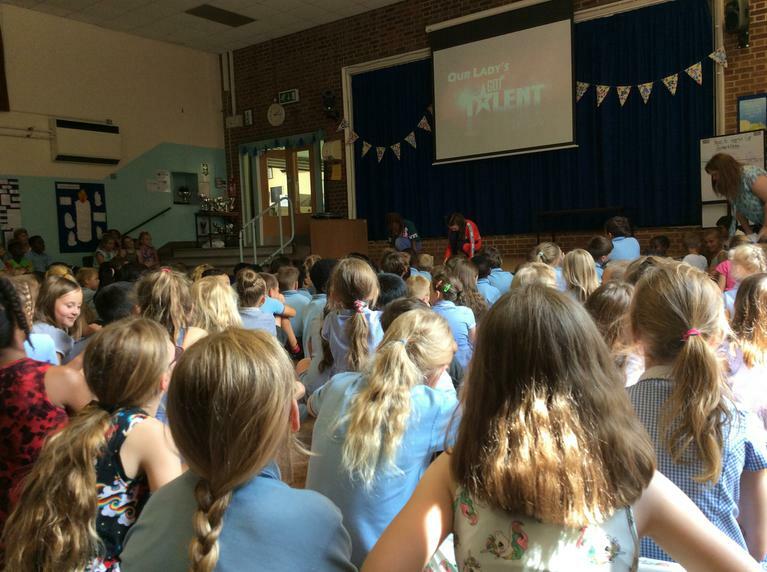 During our Friday assembly, we celebrated our Judaism learning which the whole school has participated in this week. 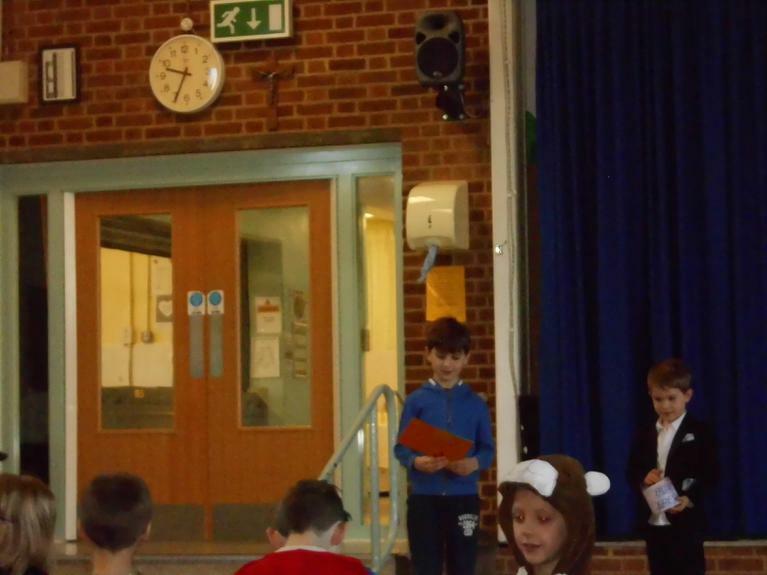 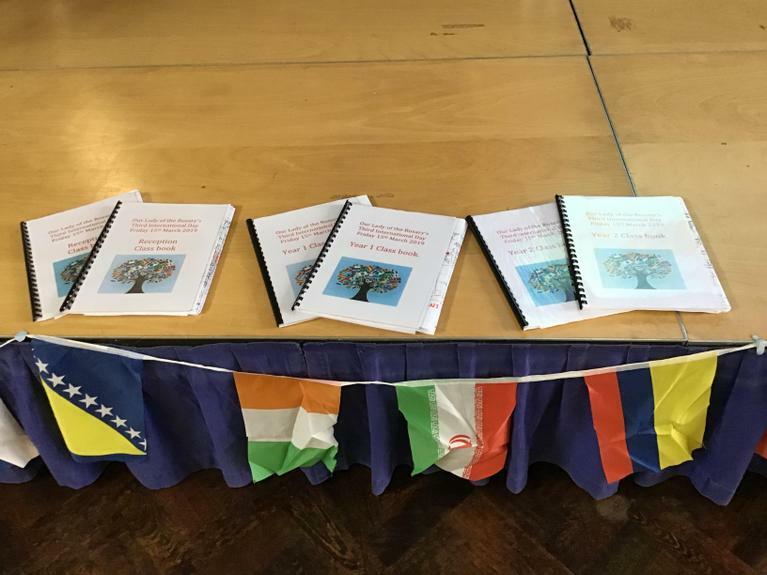 Each year group studied an area of Judaism and created a piece of work to share with the rest of the school. 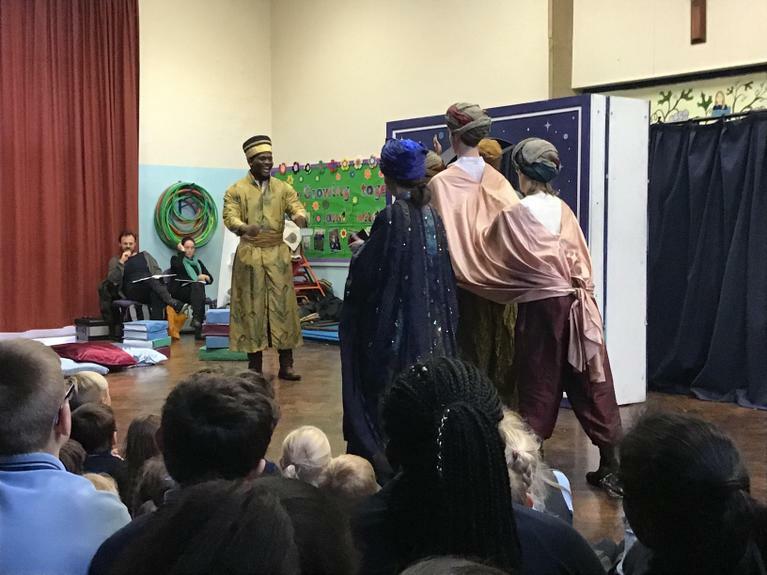 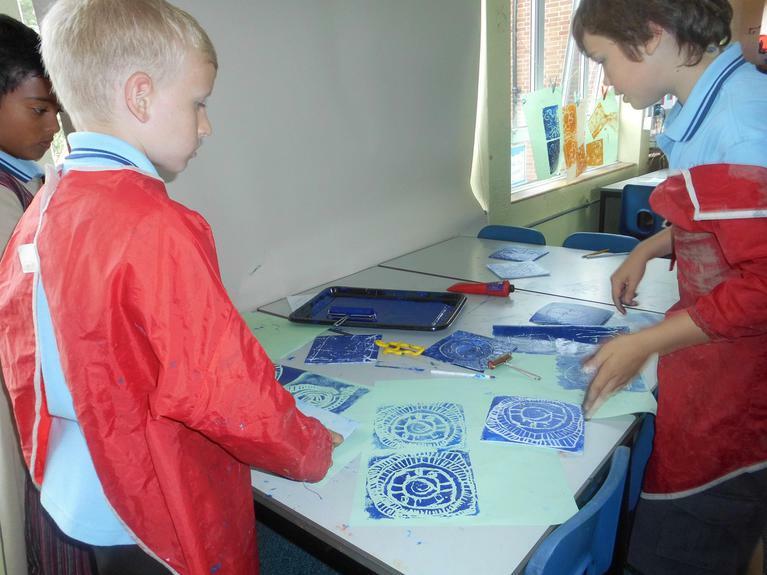 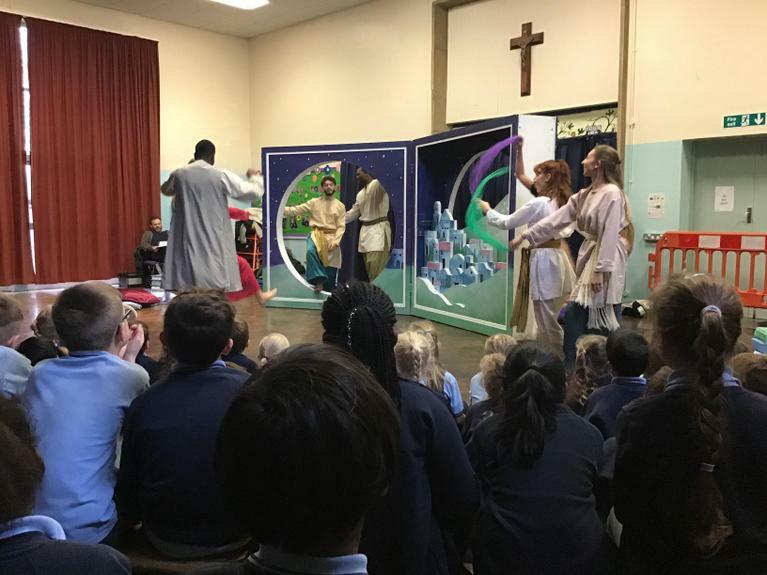 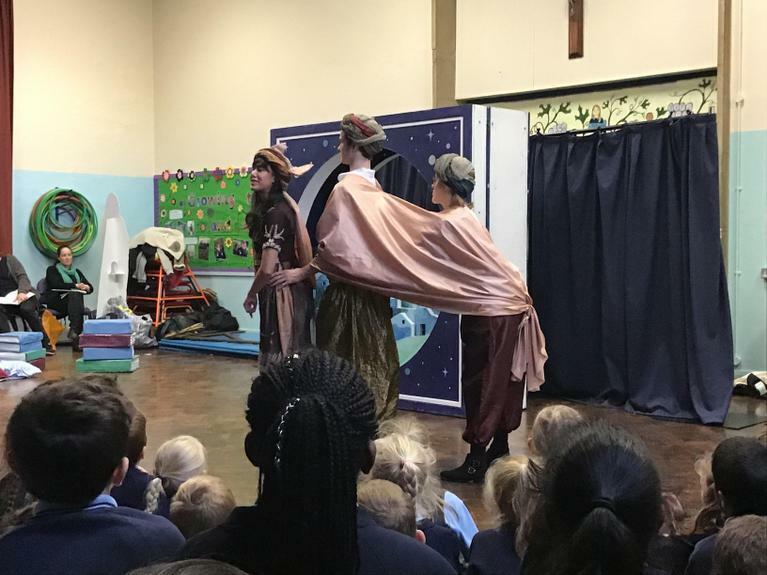 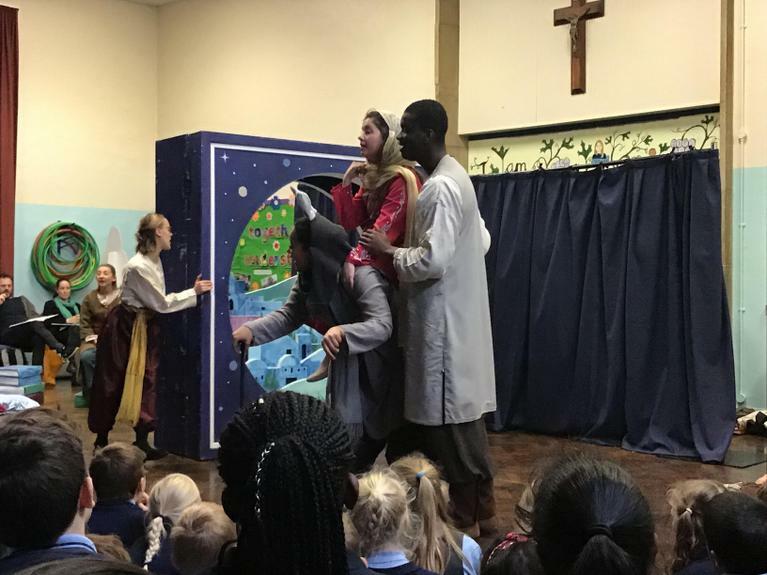 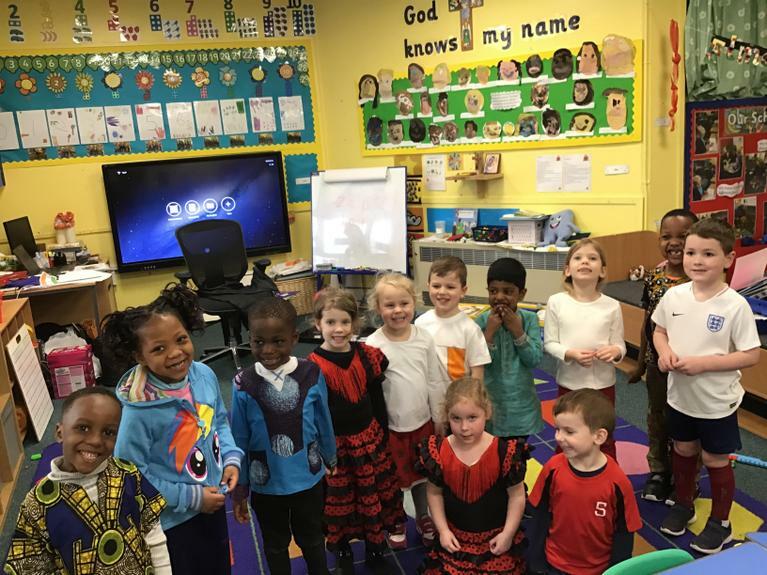 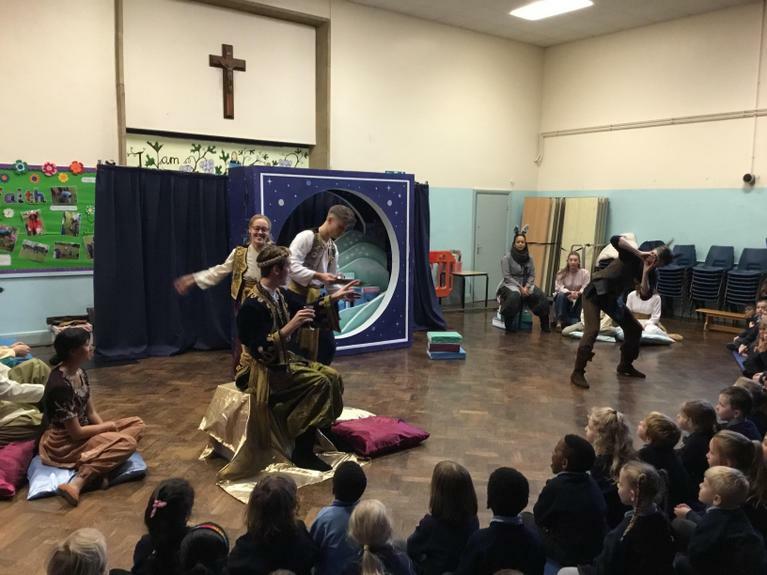 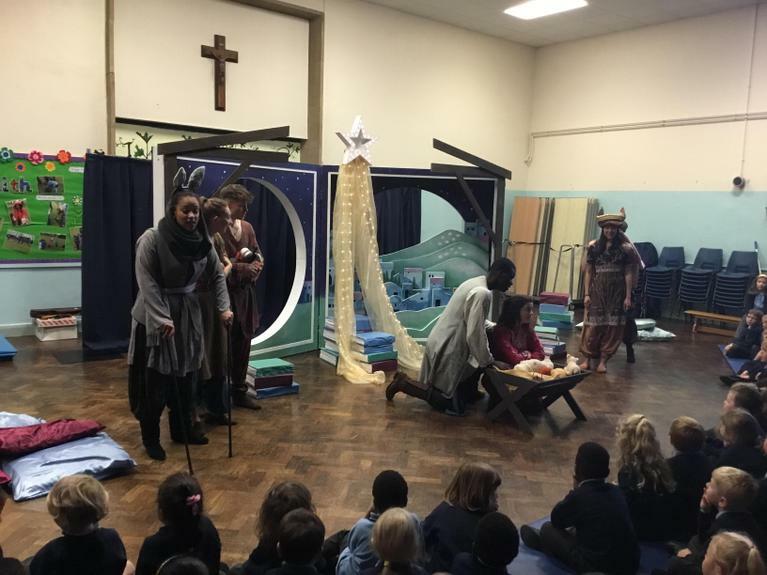 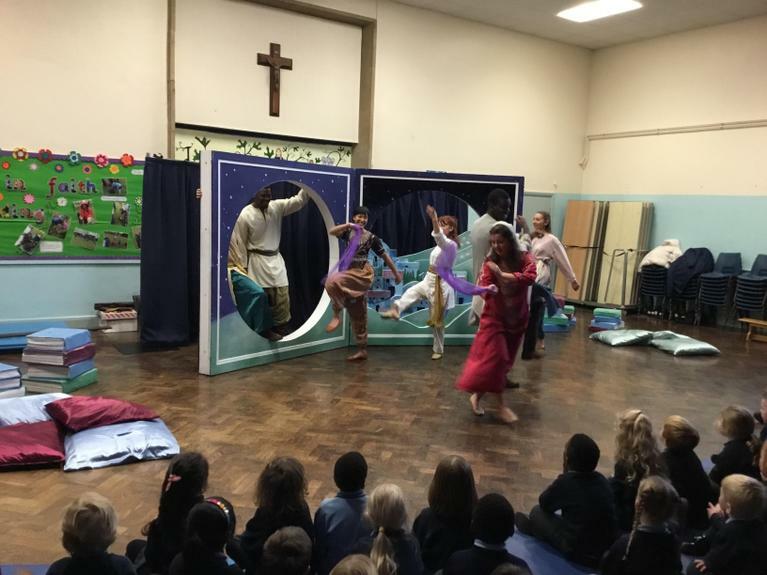 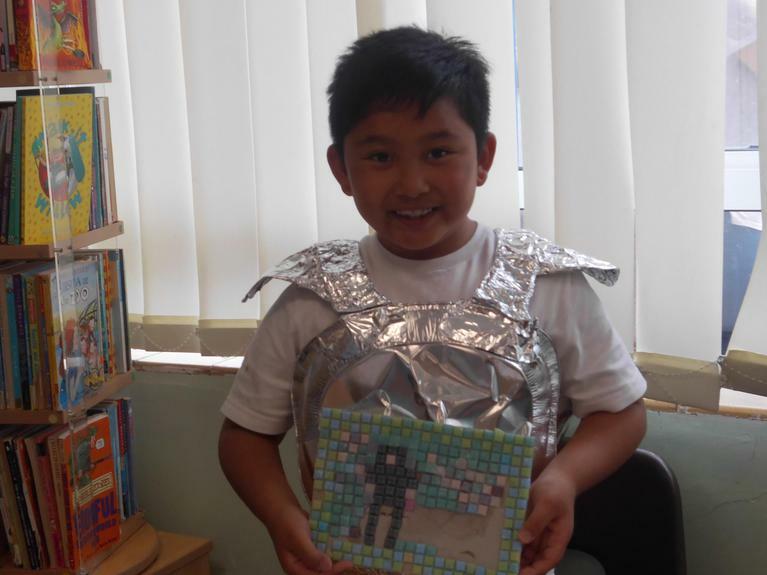 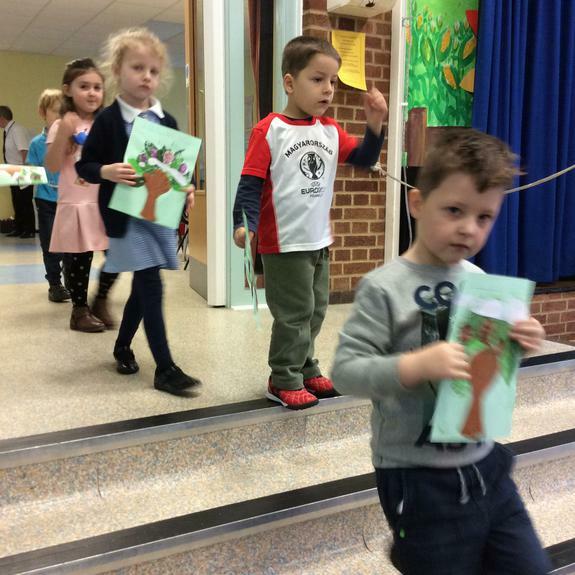 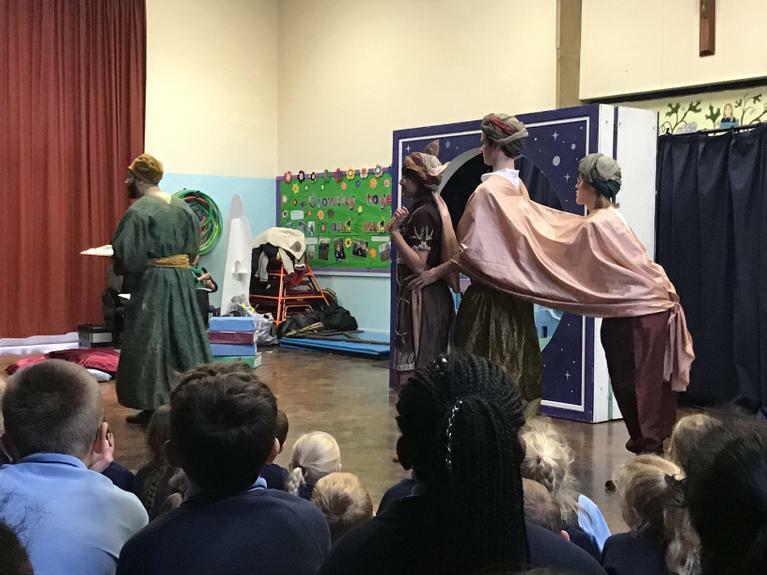 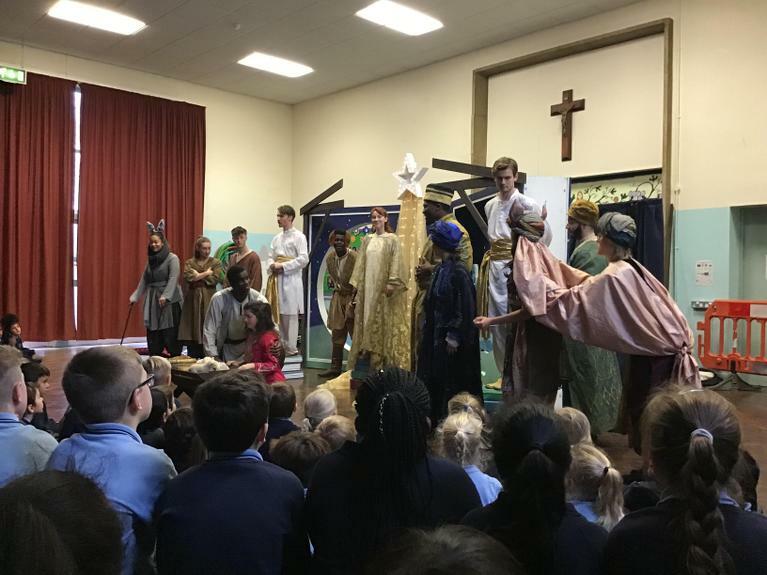 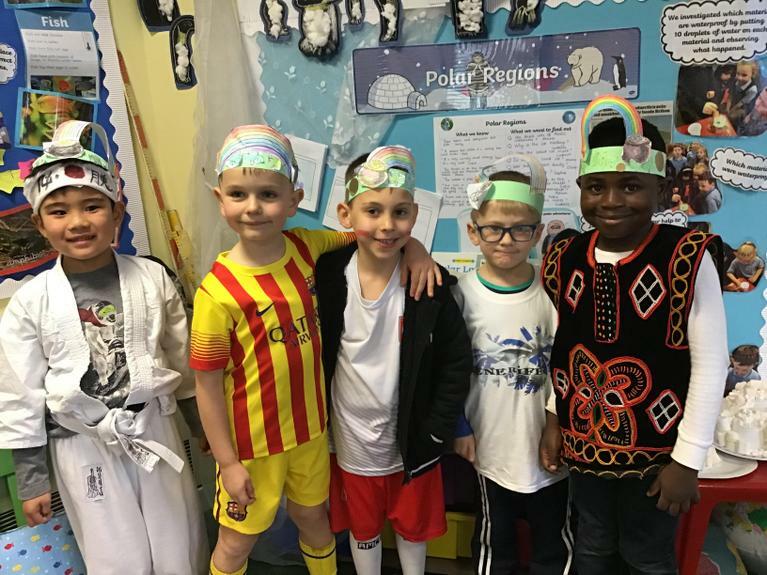 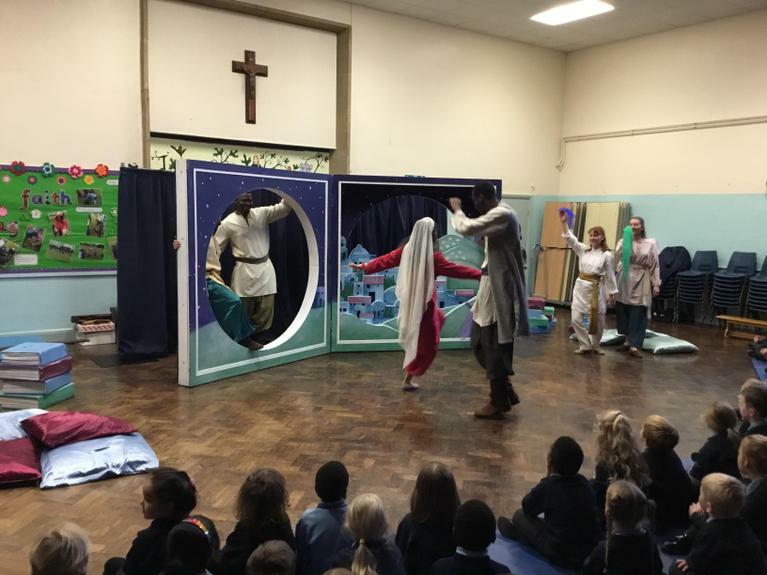 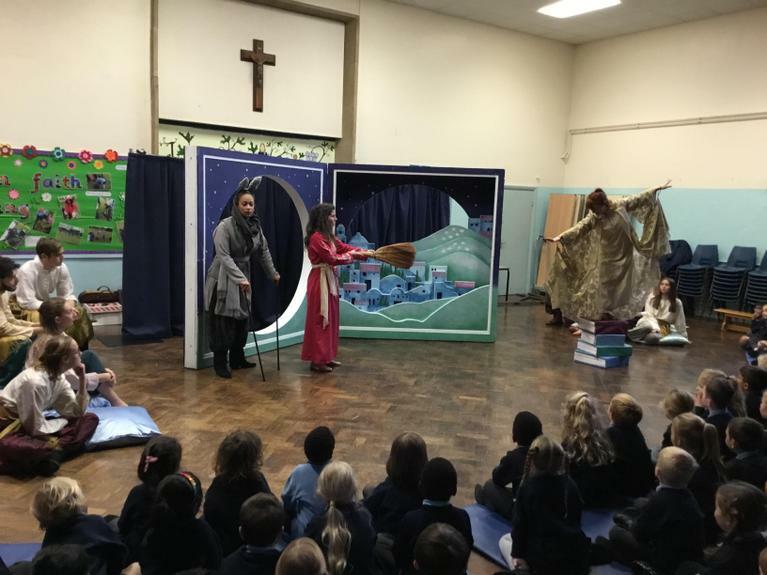 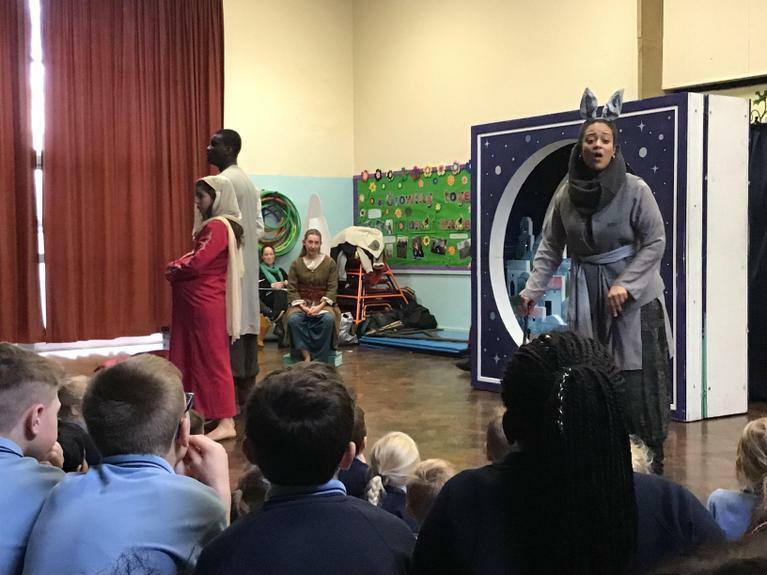 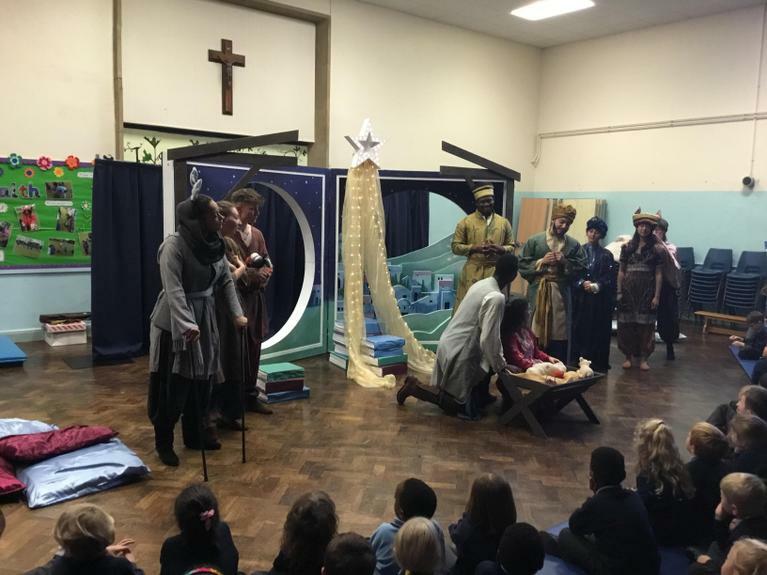 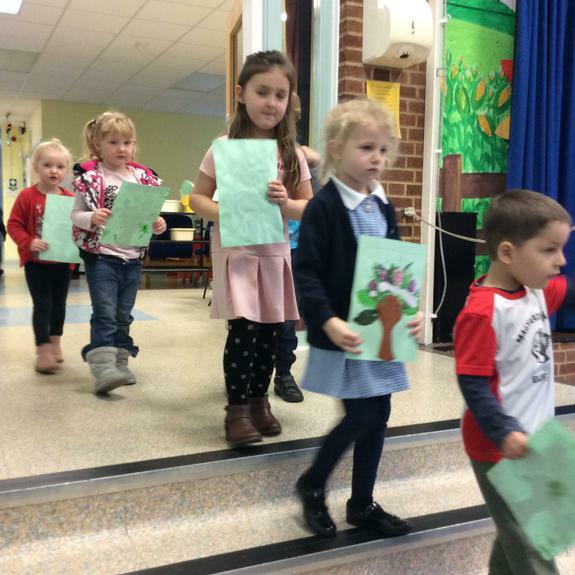 In Year 1 this consisted of sharing the story of Abraham and Moses and their piece of artwork showing people following Abraham to the Promised Land. 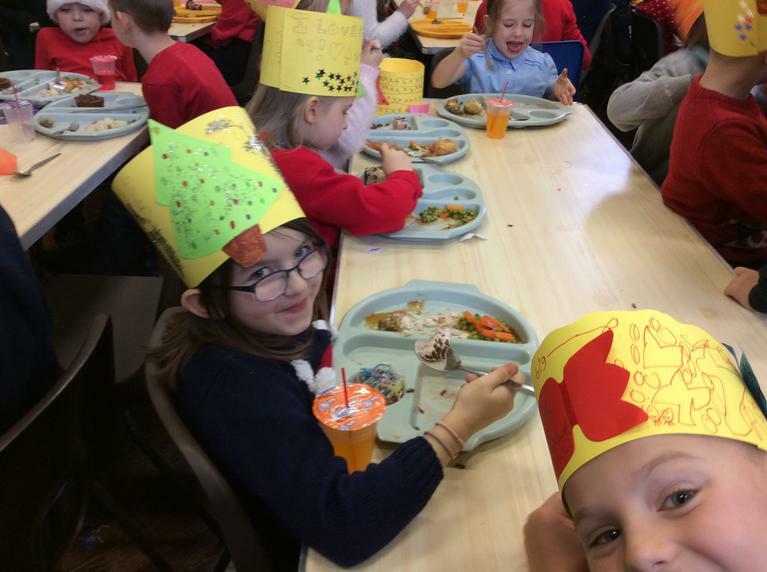 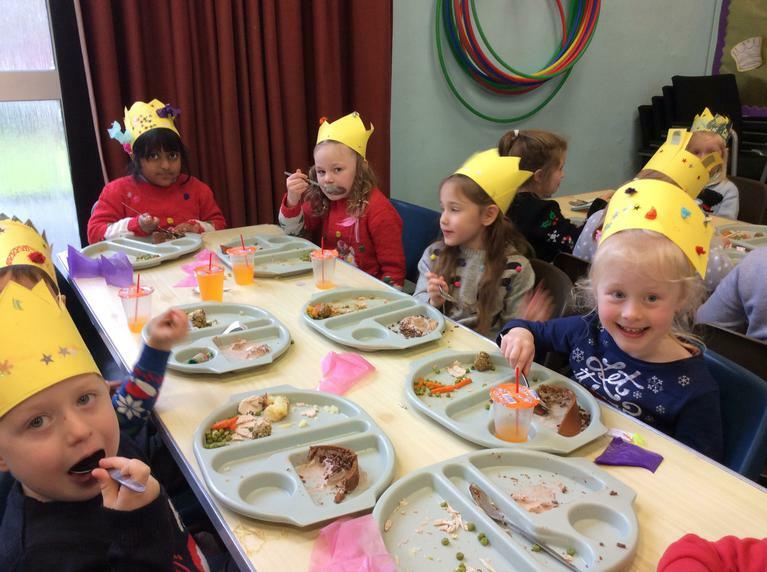 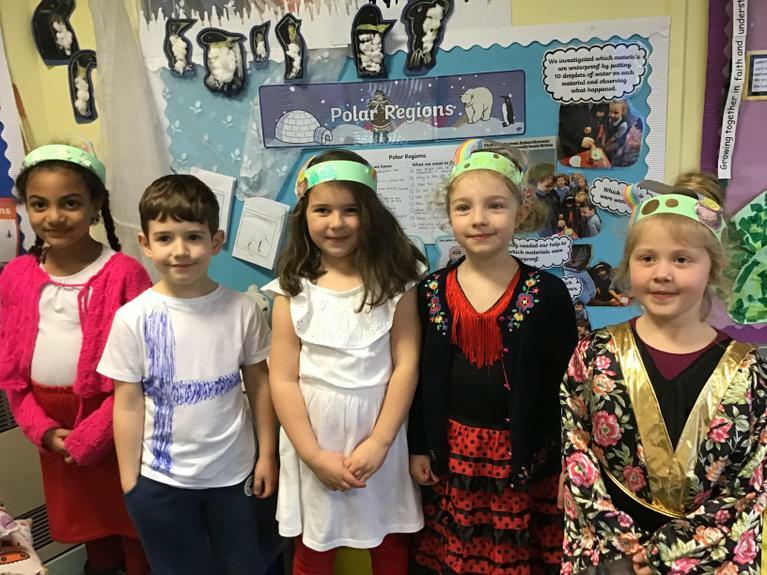 Year 2 studied Shabbat, the Jewish Sabbath day in remembrance of God resting during creation, and they showed us their designs of a Shabbat meal. 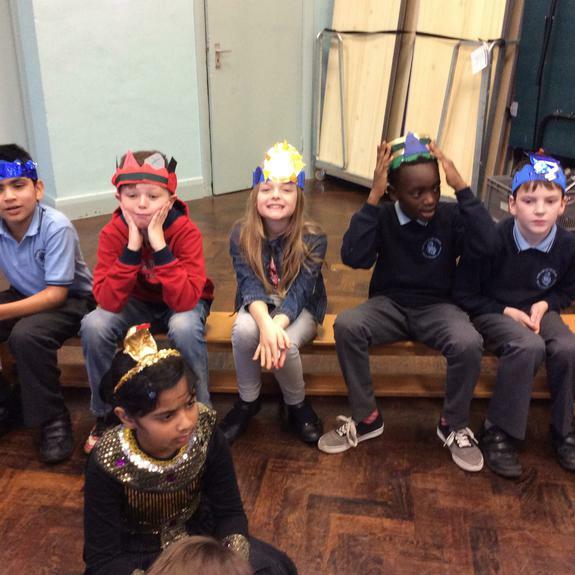 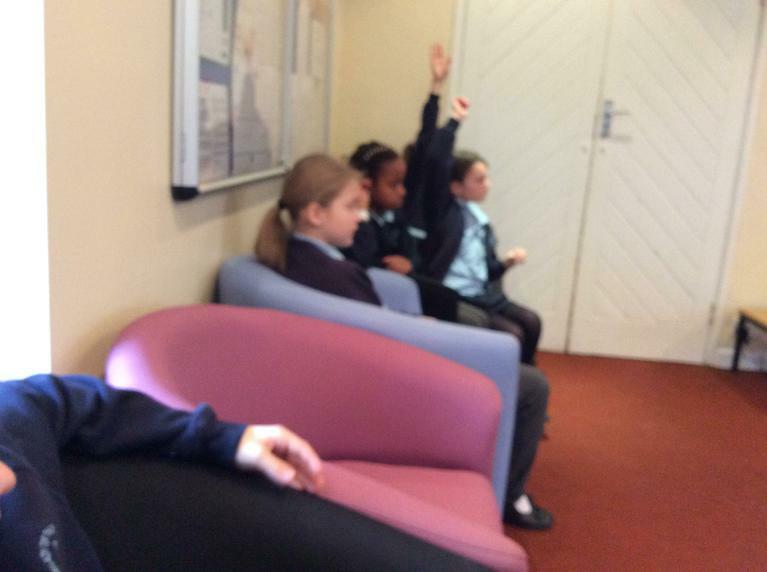 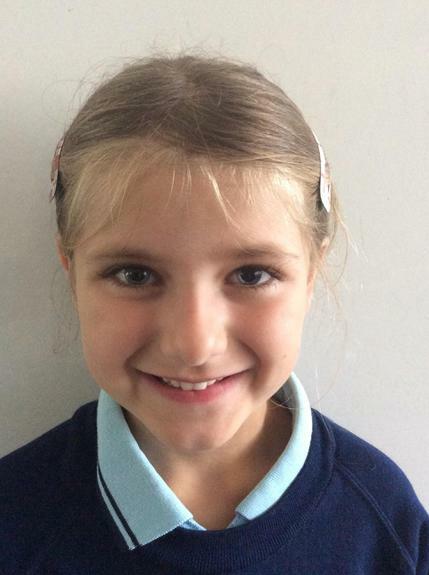 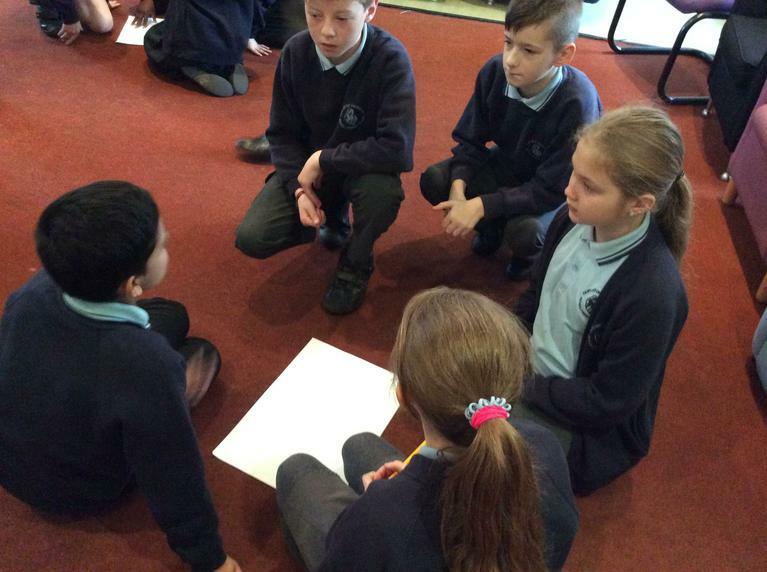 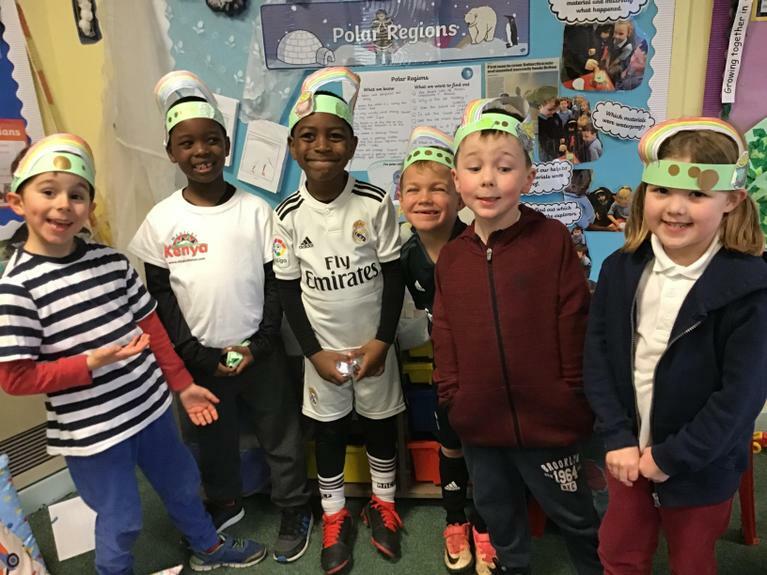 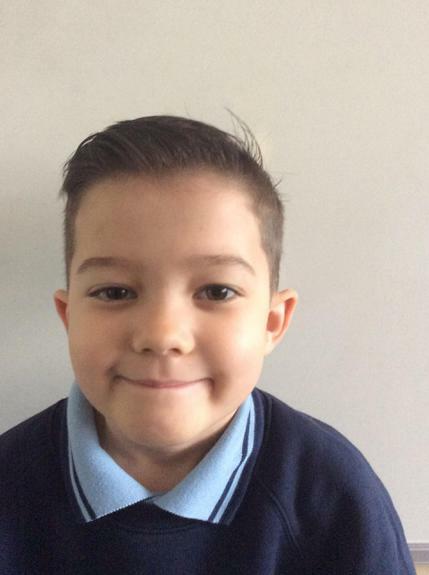 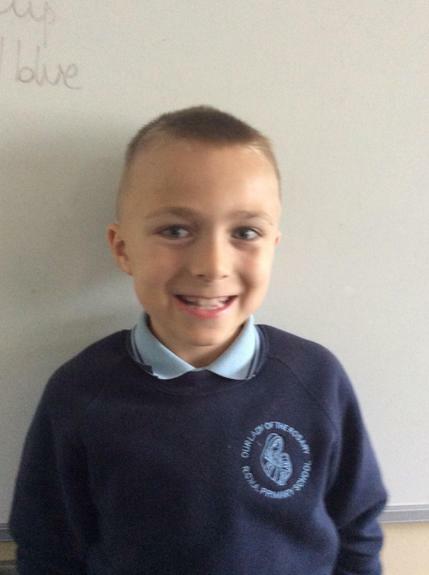 Year 3 investigated the Synagogue and shared the Kippahs (a skull cap worn by Jewish men) which they had made. 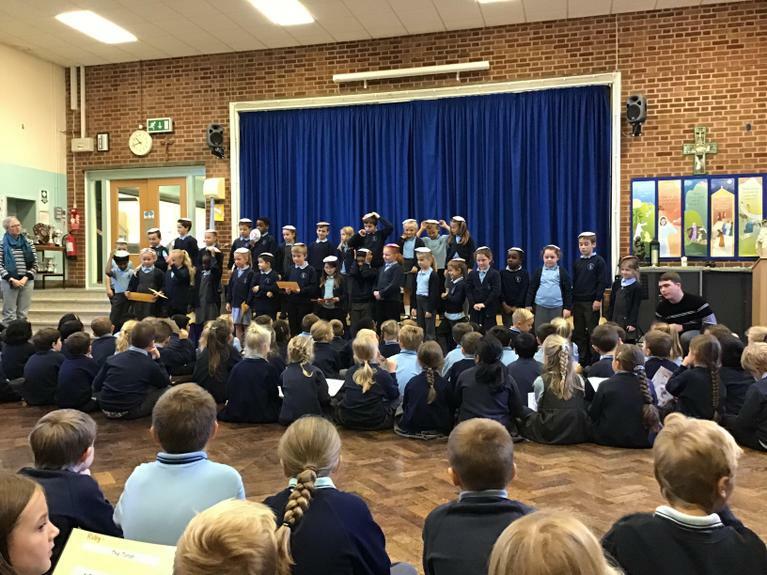 Year 4 were learning about the Torah and told us about how precious it is as the Jewish holy book. 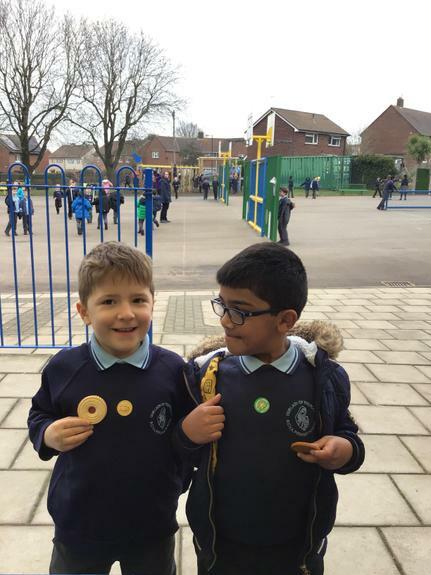 In Year 5 the children created their own Mezuzahs (found on the doorposts of Jewish homes) which hold the Shema, an important Jewish prayer. 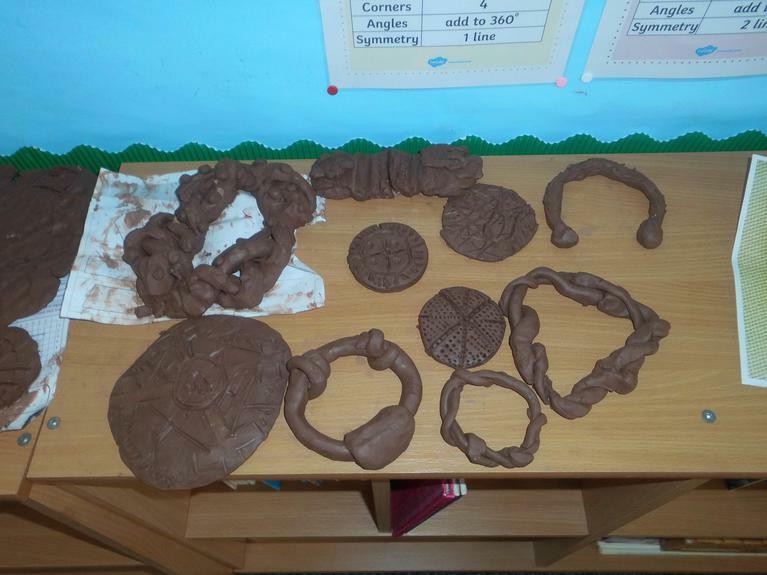 Some children even tried writing the Shema in Aramaic! 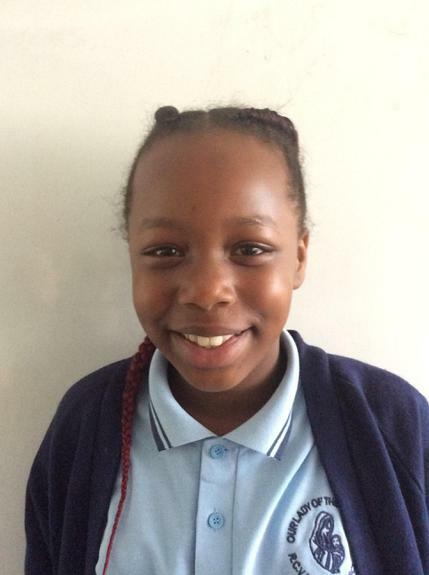 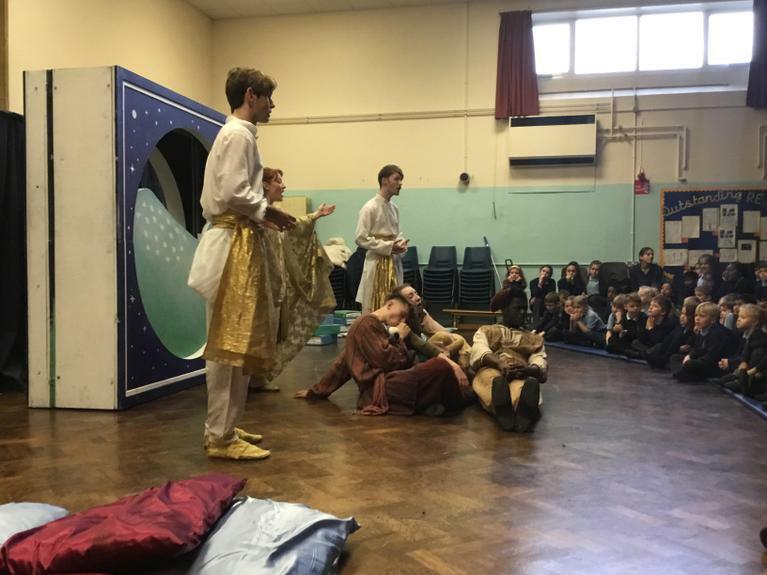 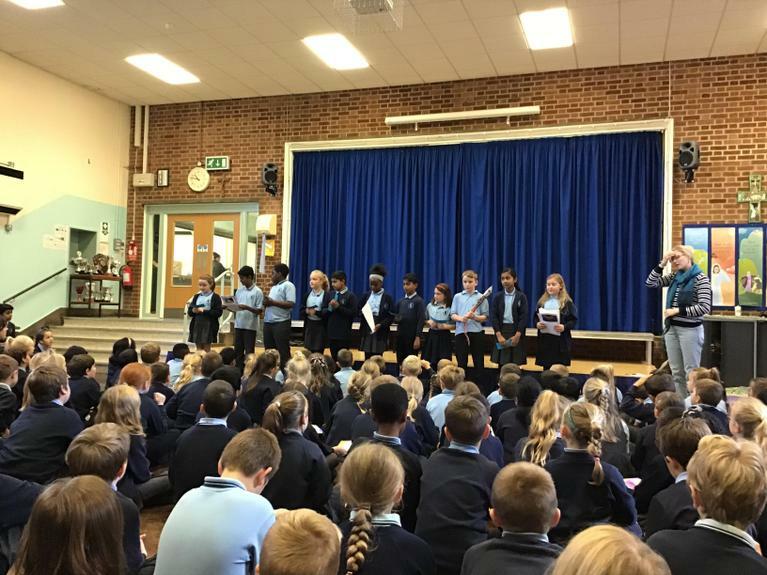 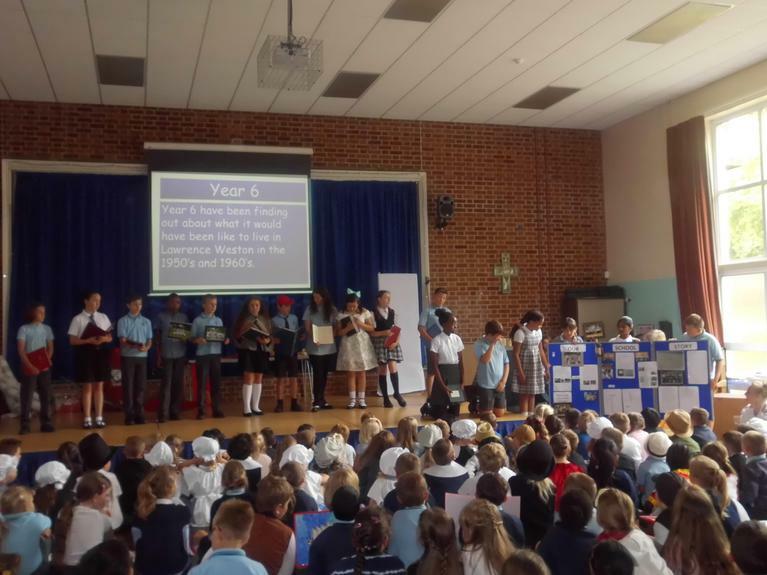 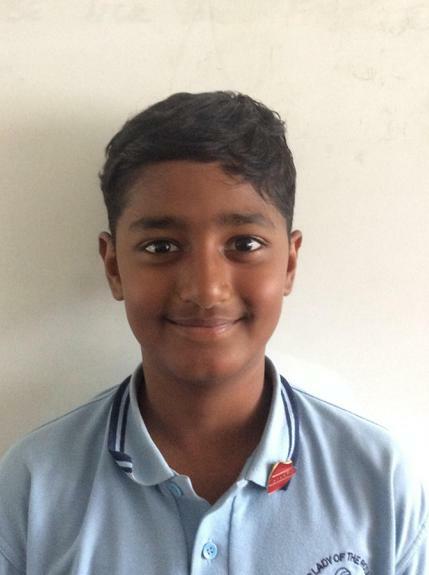 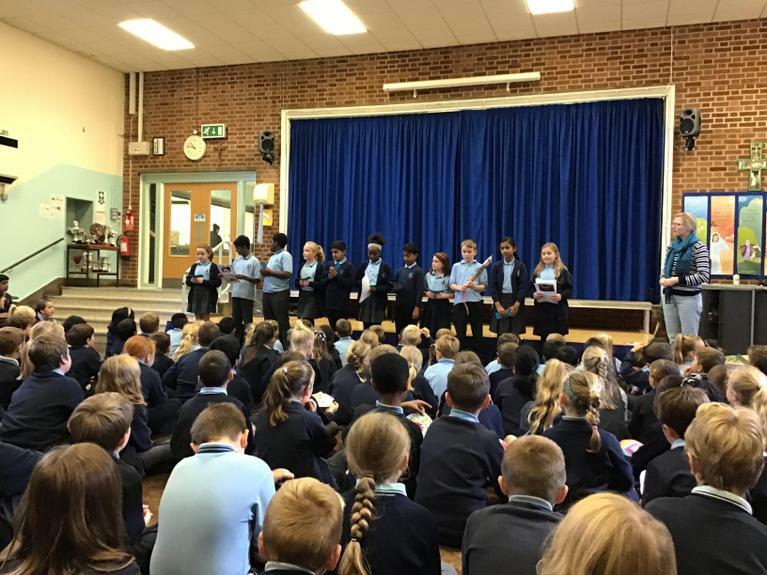 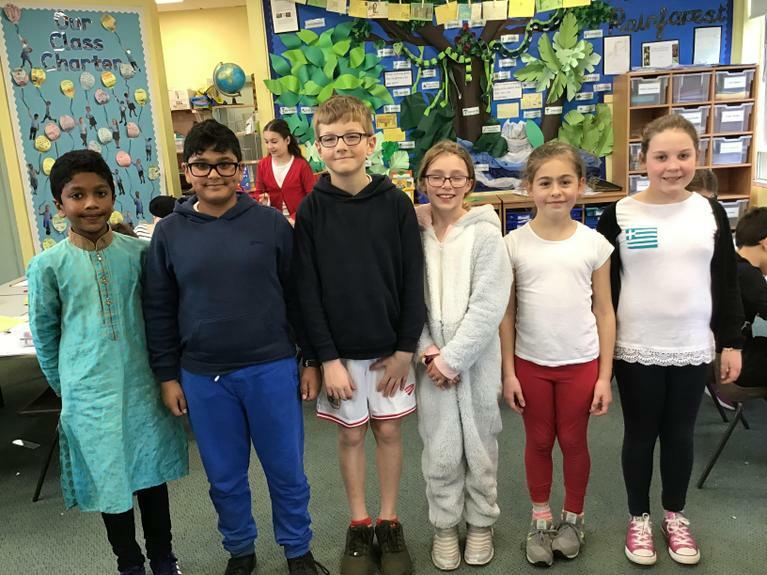 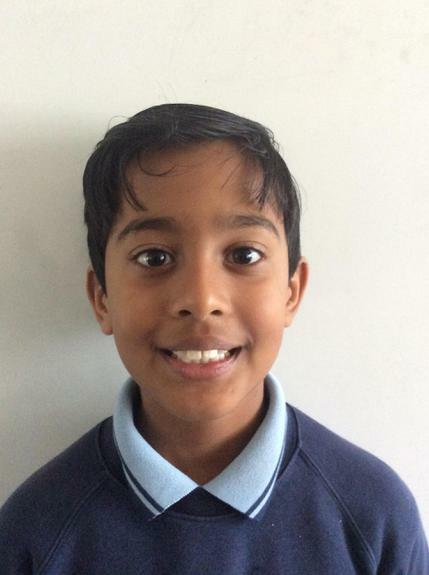 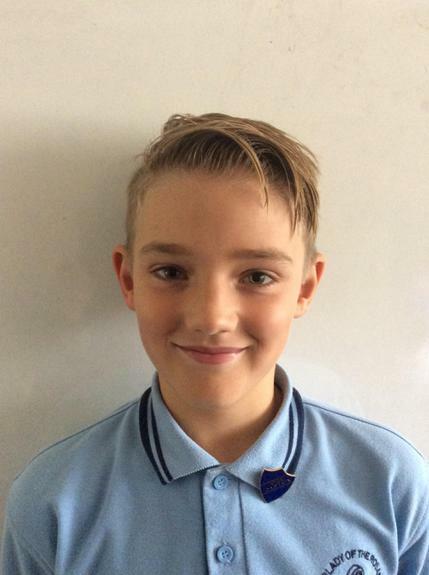 Year 6 shared their learning about Rosh Hashanah (the Jewish New Year) and Yom Kippur (the Day of Atonement and the most improtant day of the Jewish year). 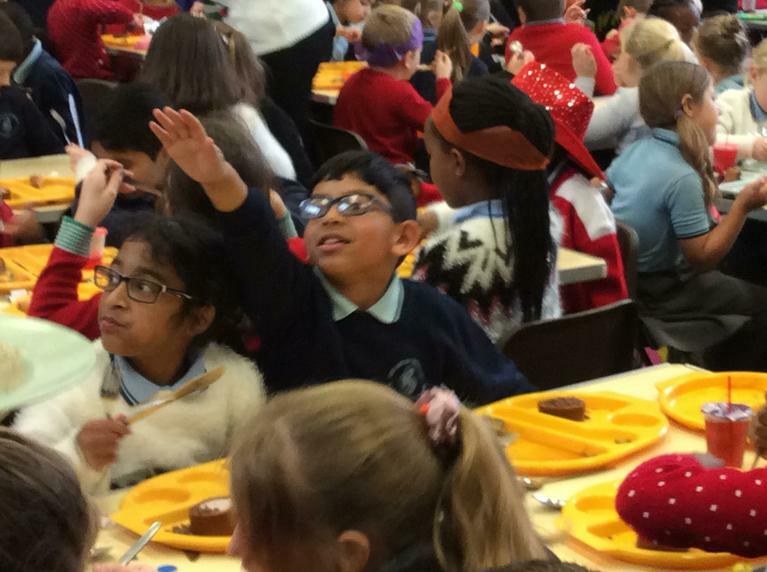 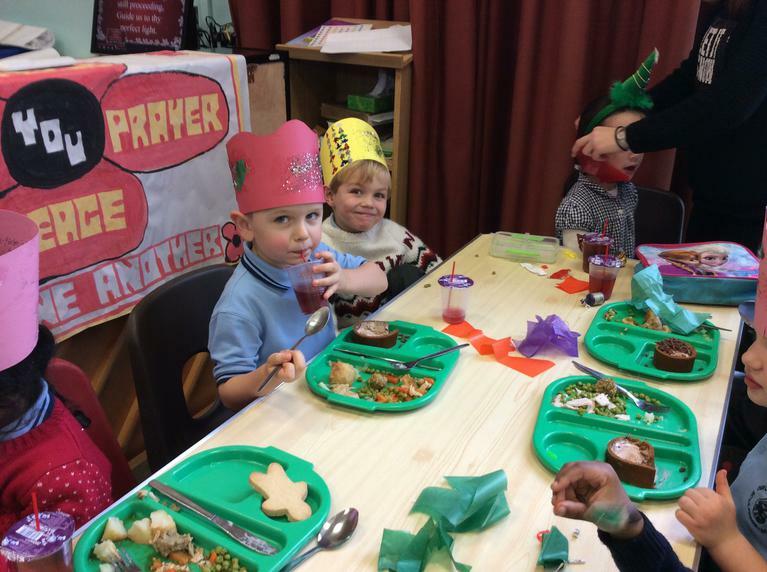 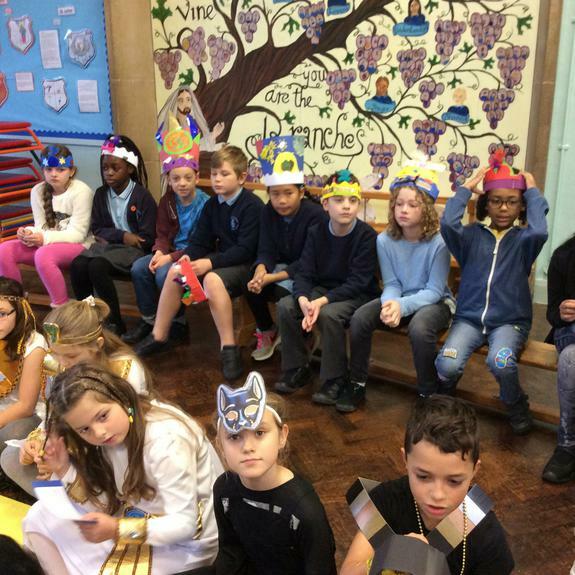 The children made their own 'shofar' (a hollowed-out ram's horn) which is used to celebrate. 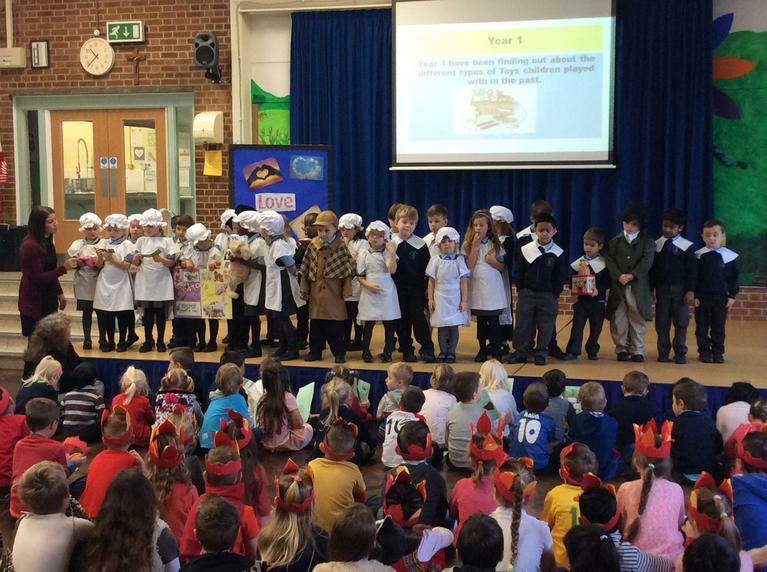 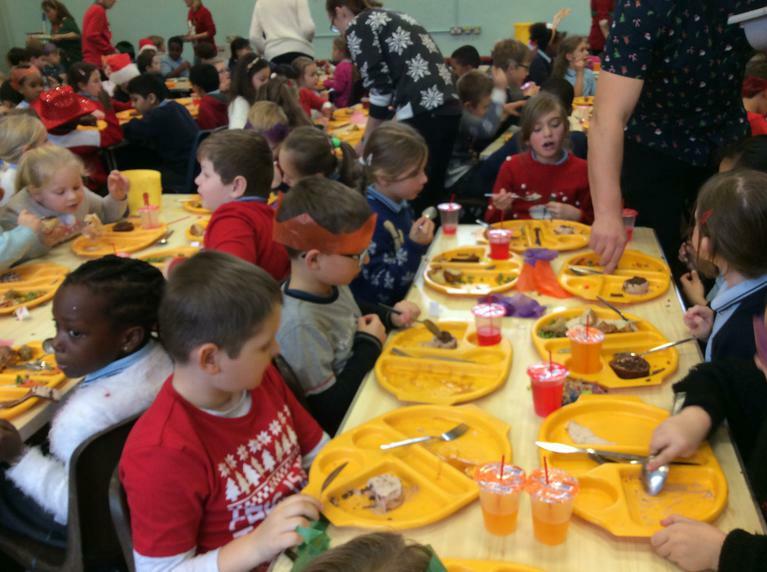 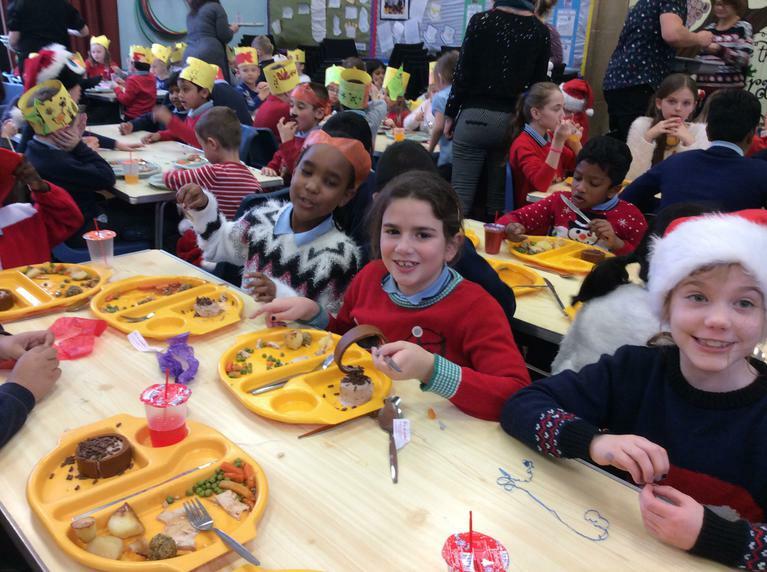 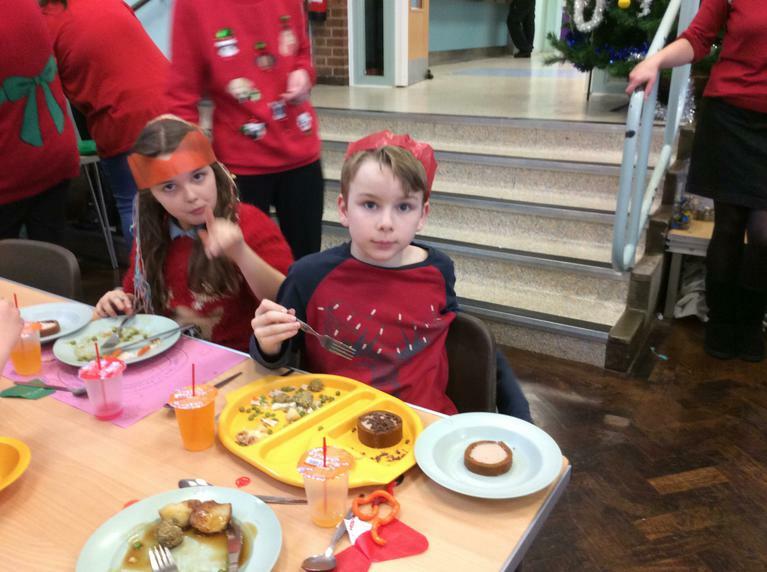 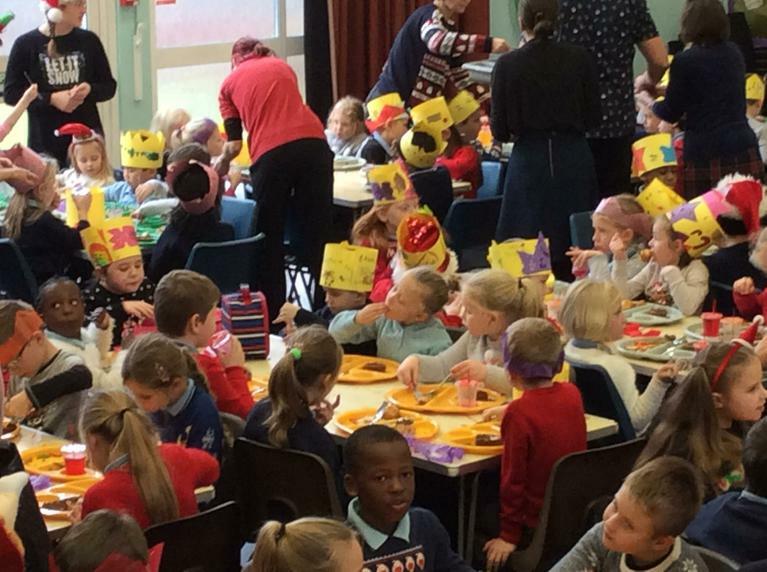 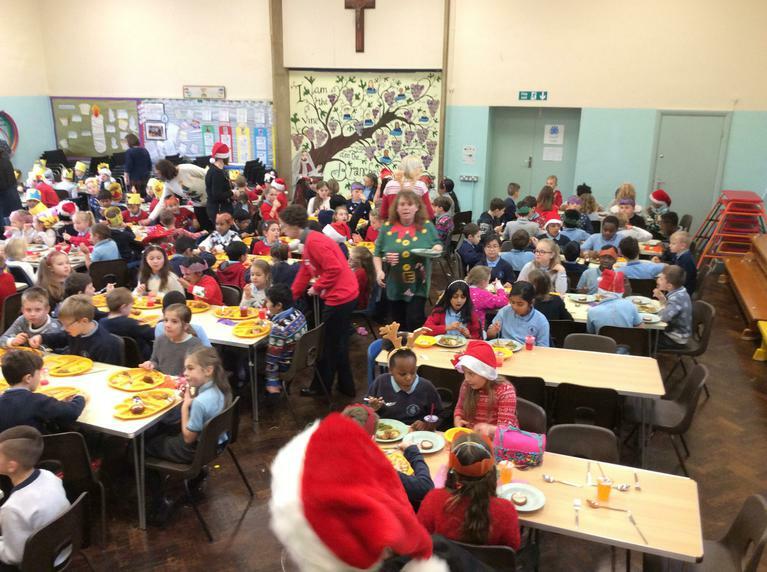 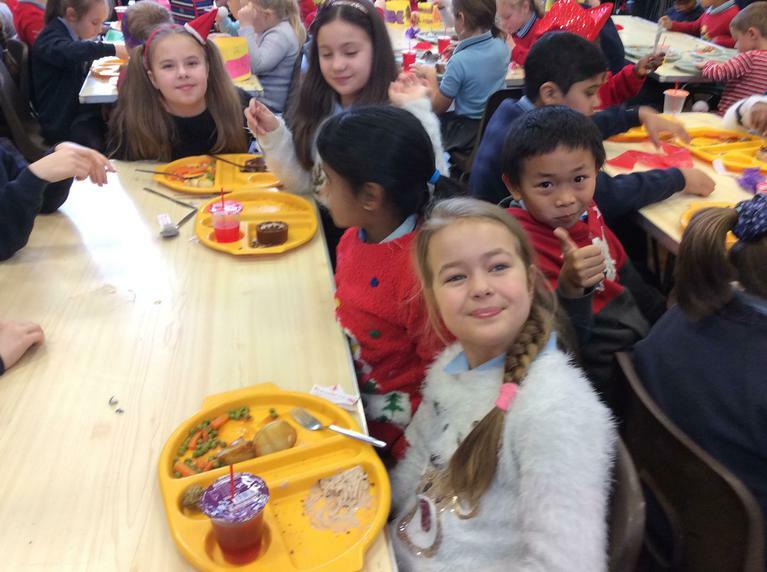 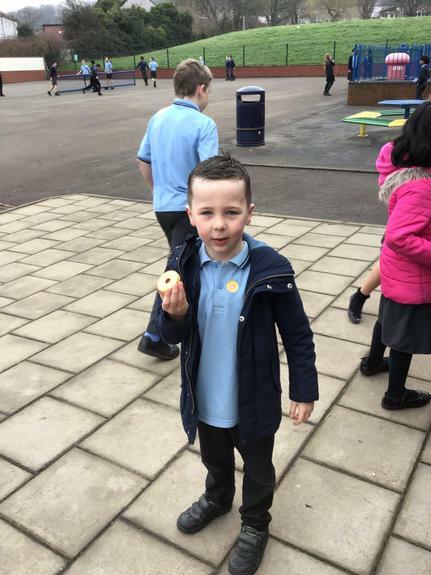 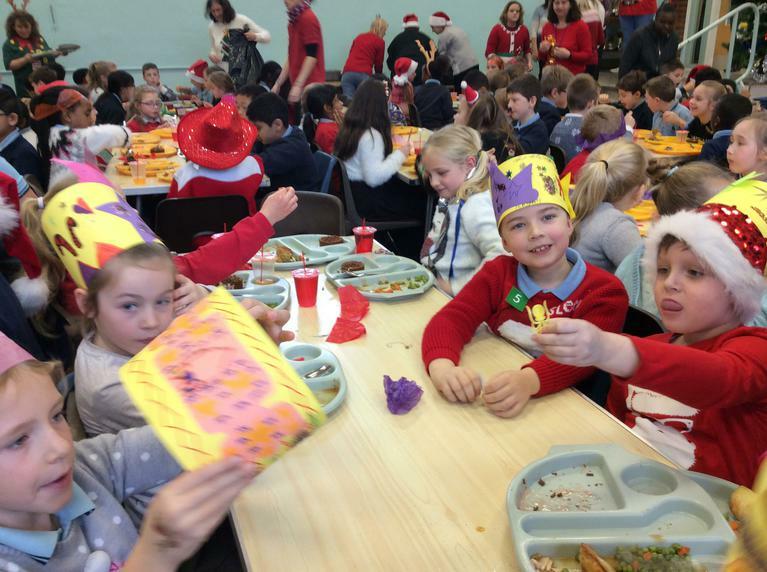 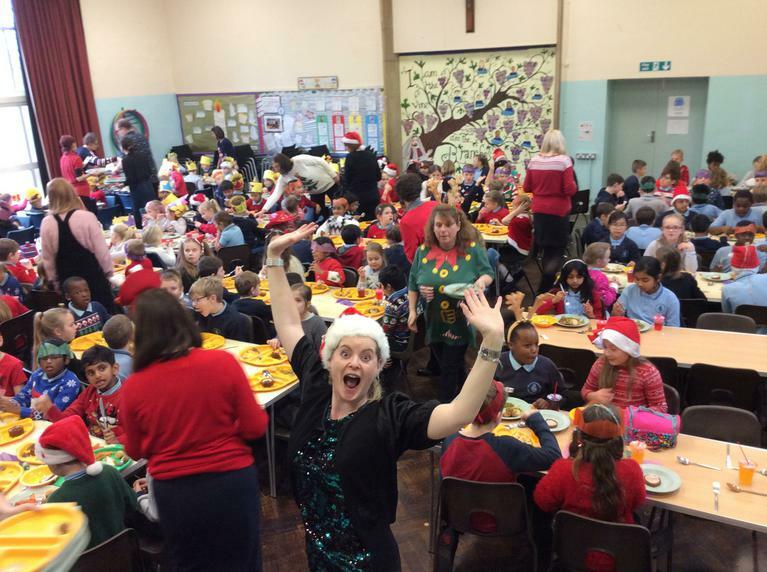 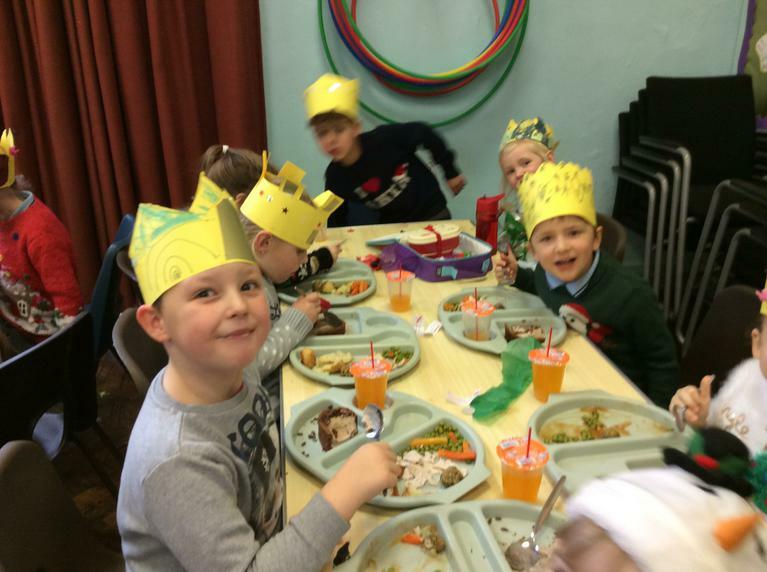 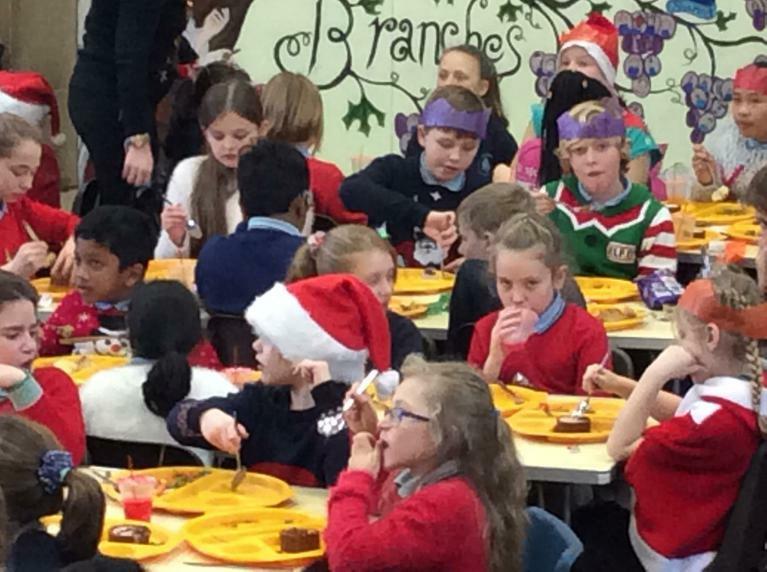 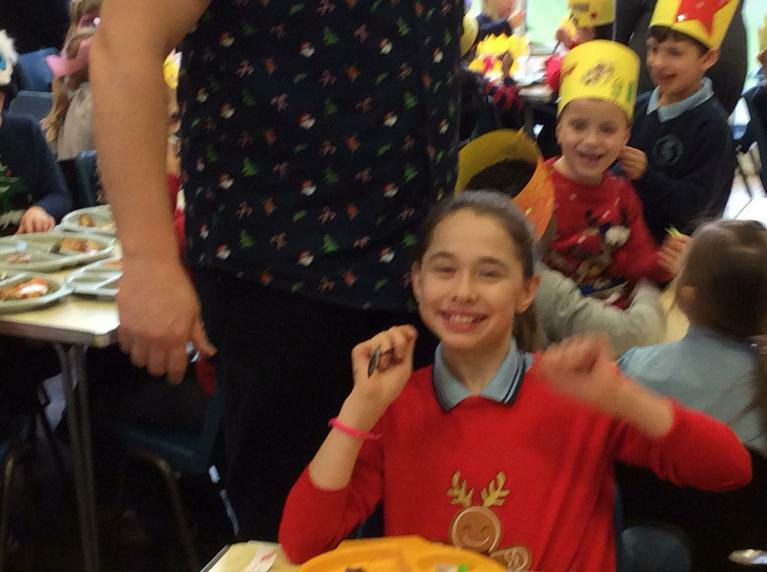 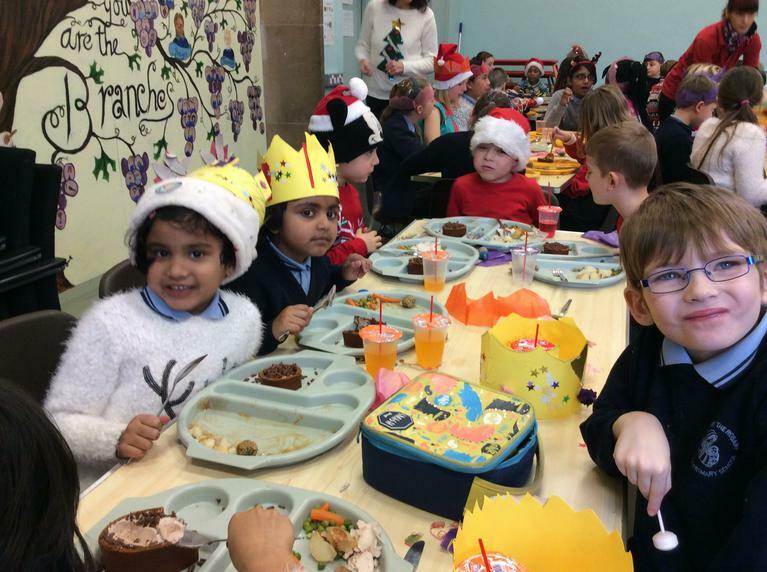 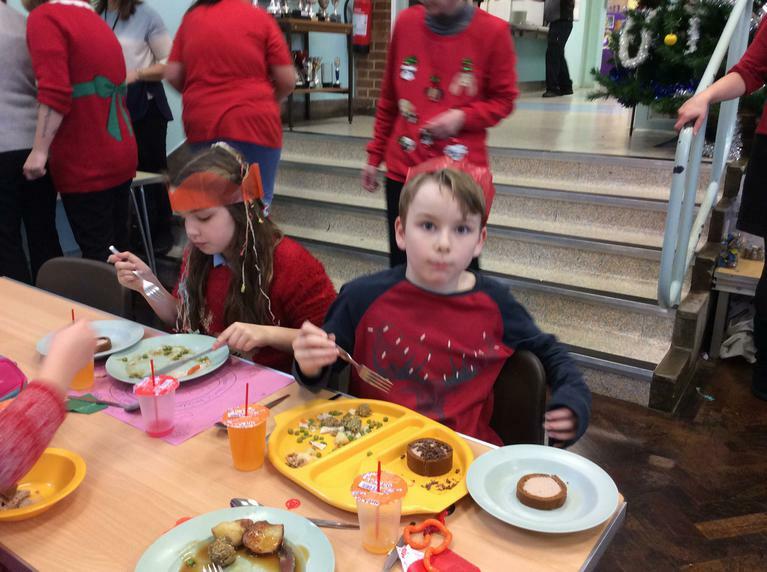 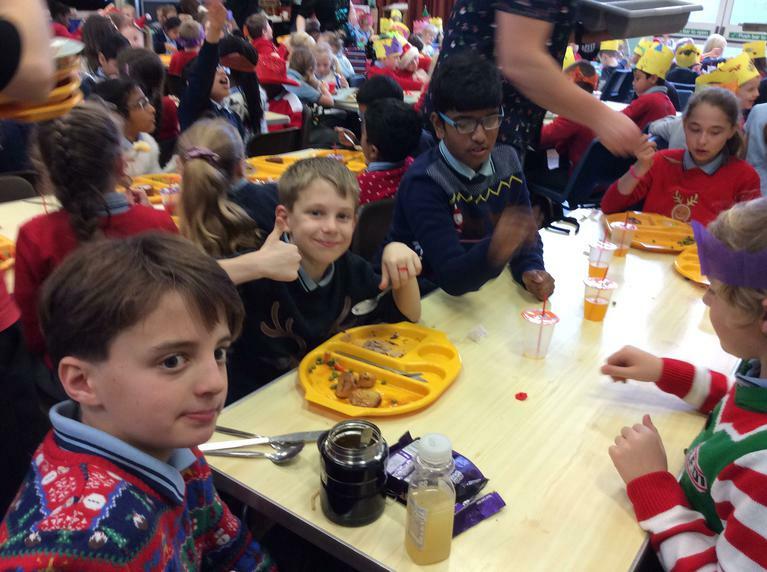 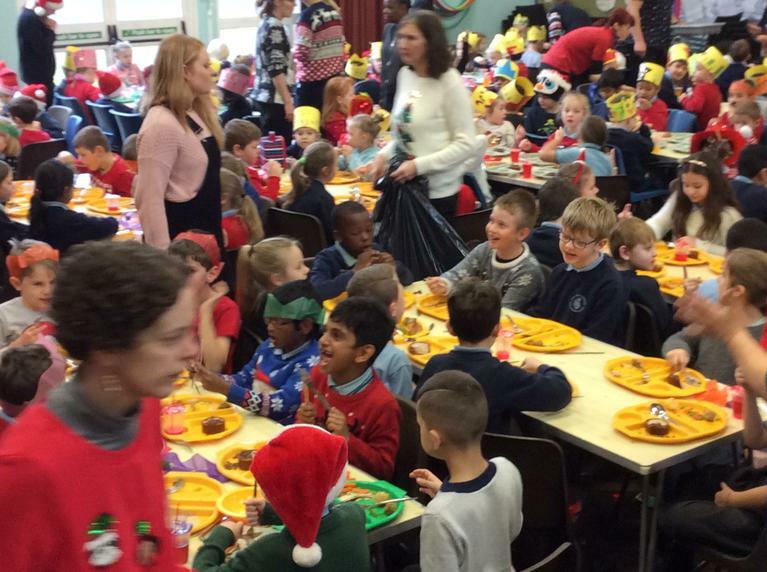 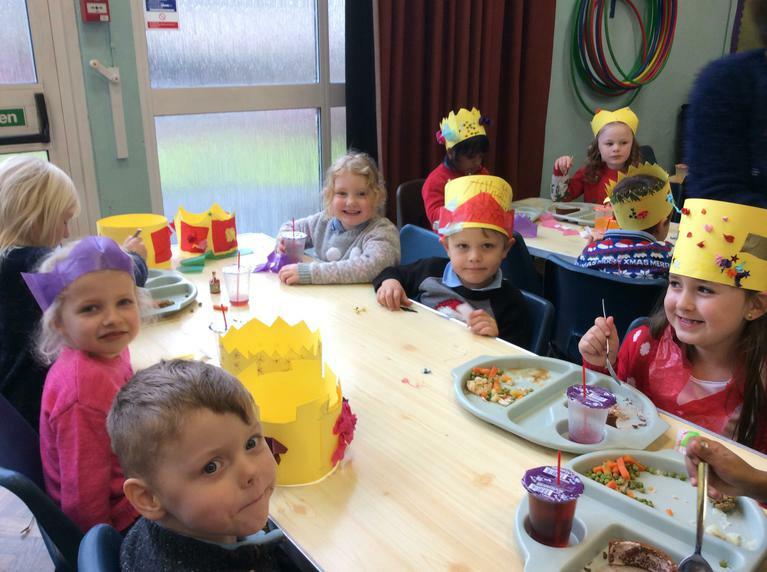 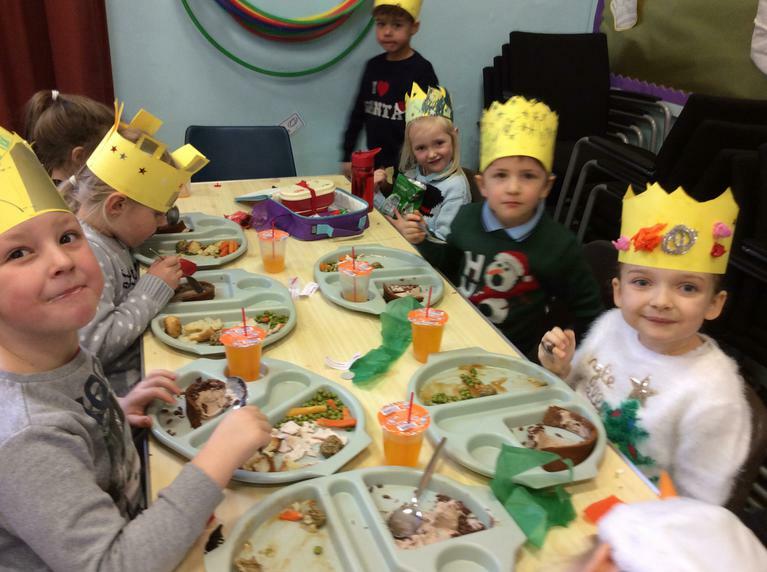 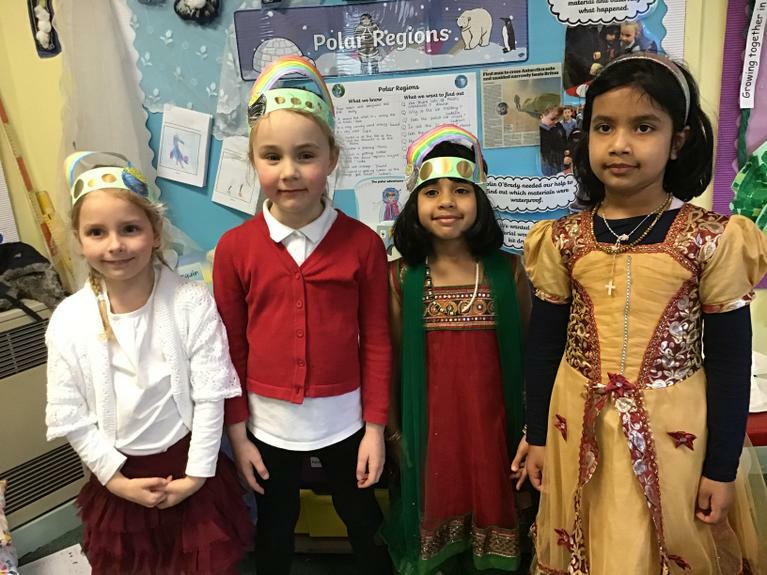 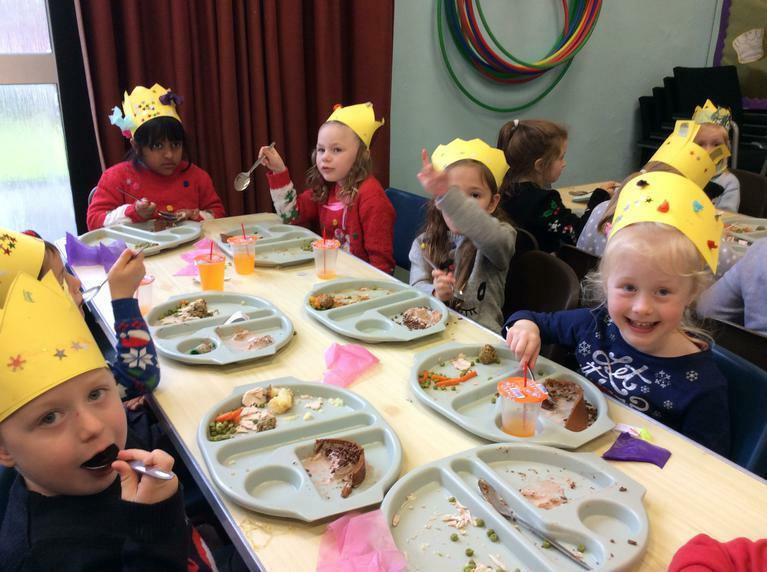 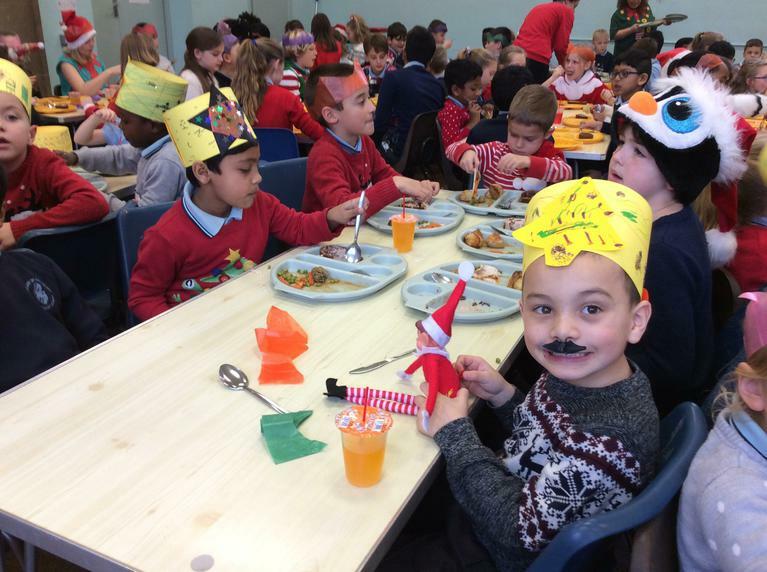 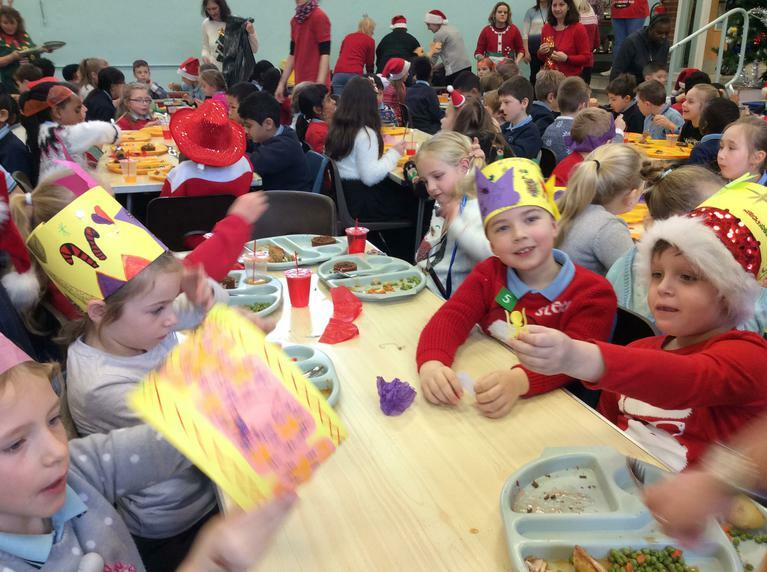 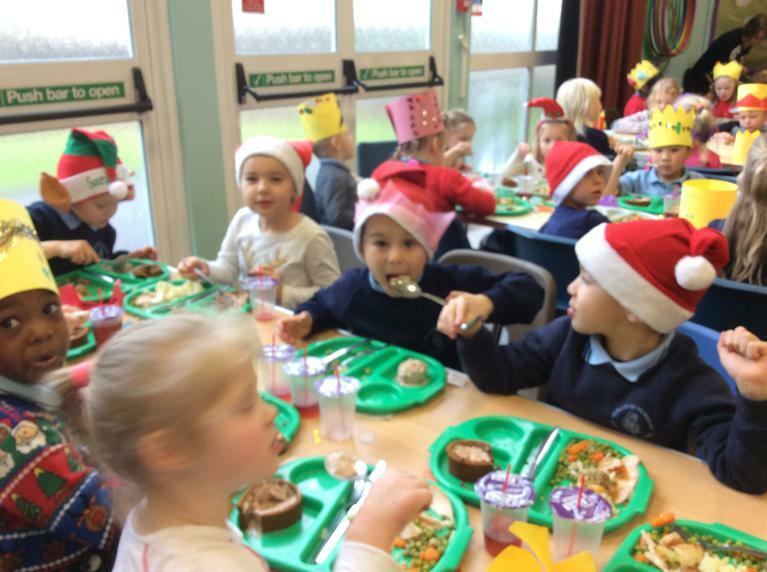 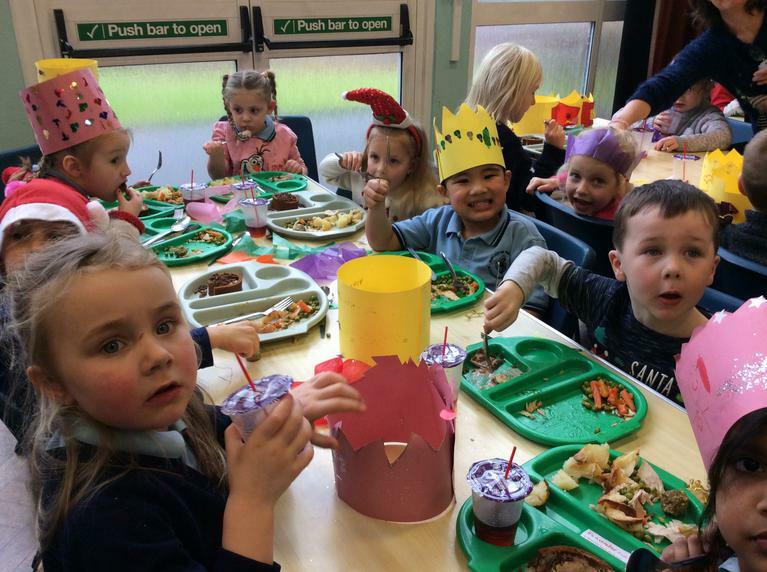 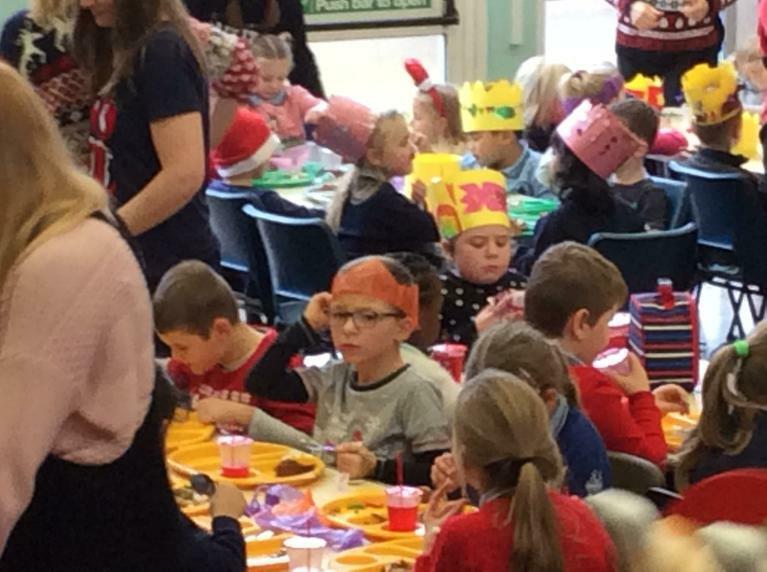 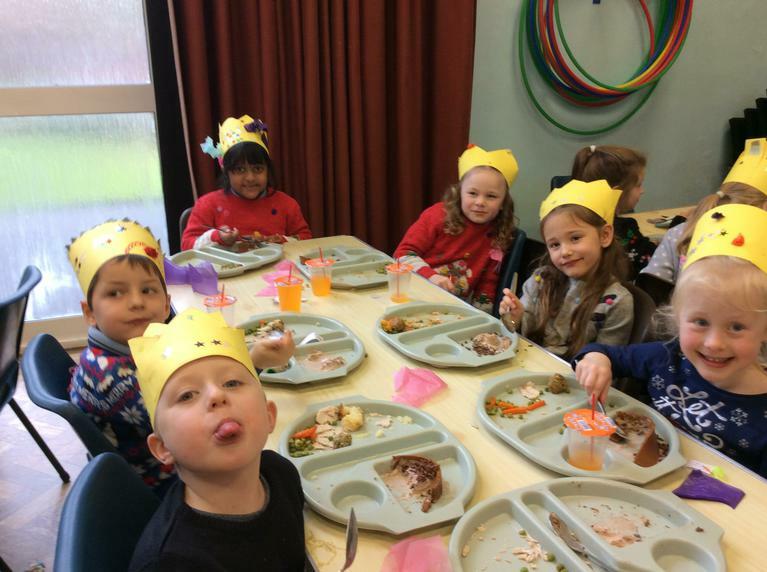 What a lovely celebration of learning it was! 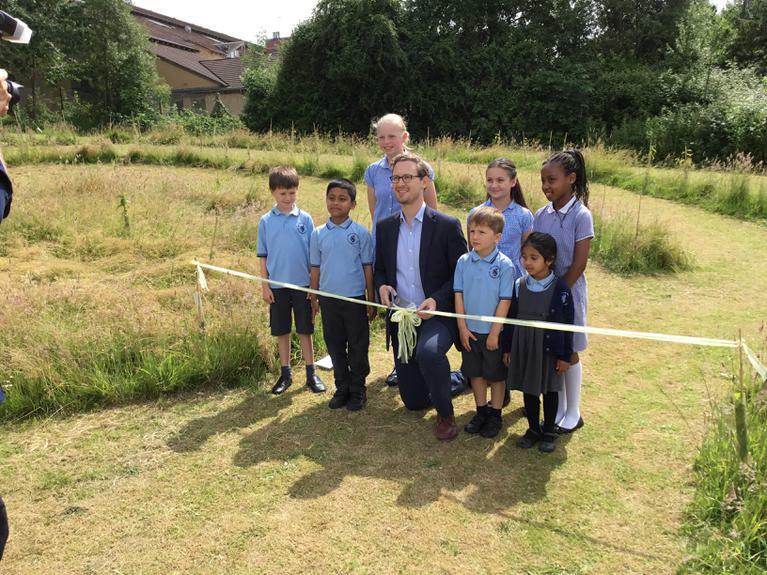 St. Francis Wood opened by Darren Jones MP. 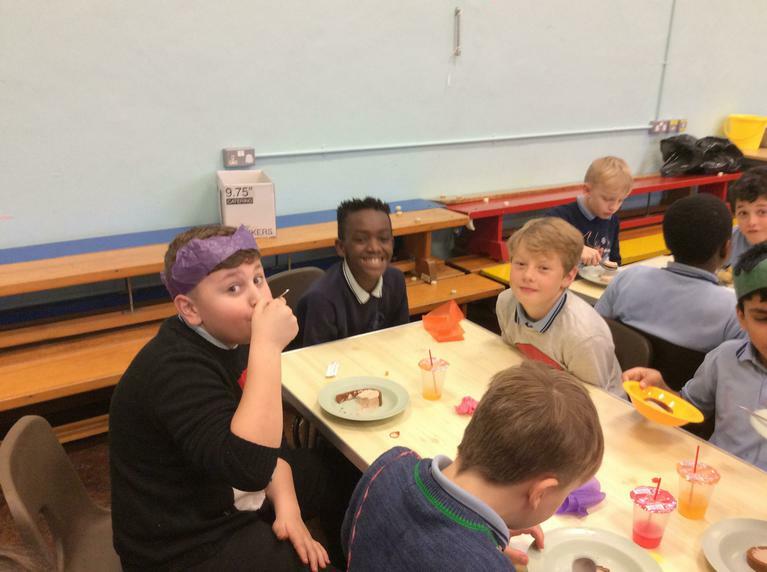 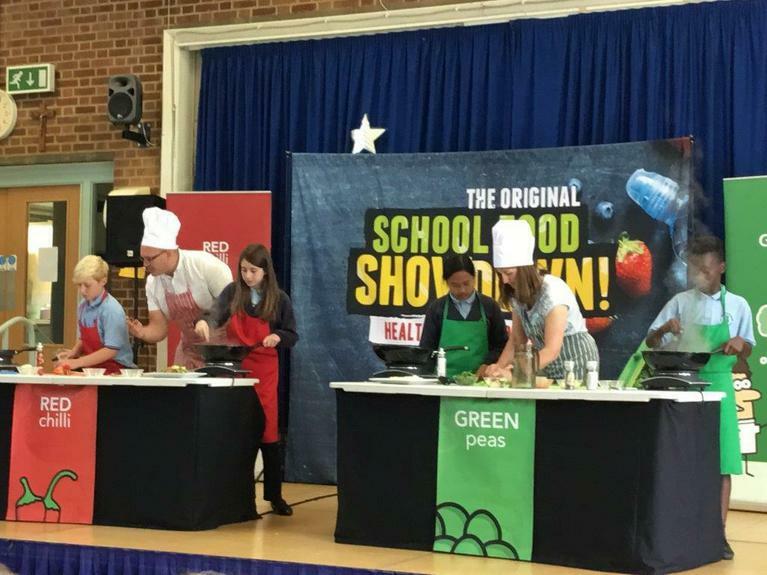 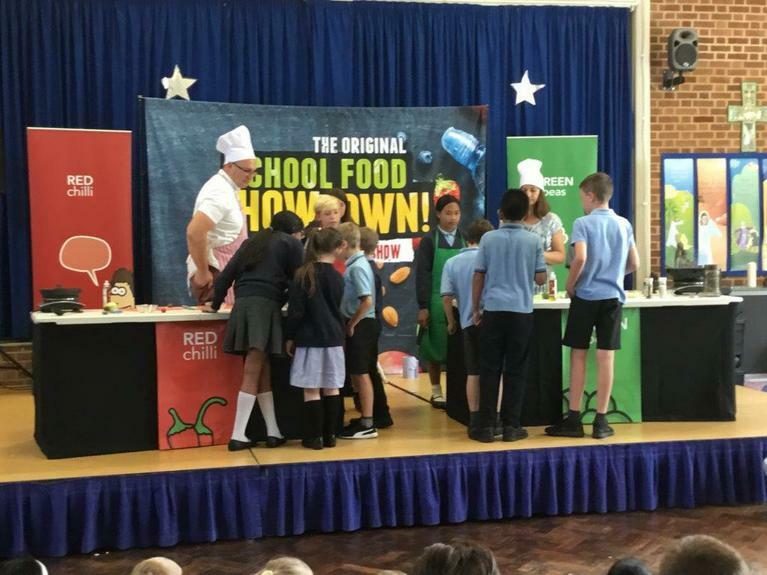 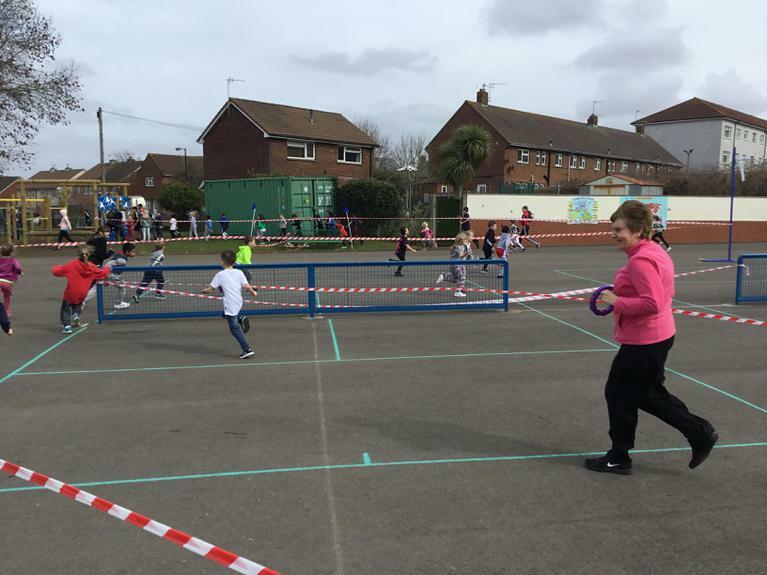 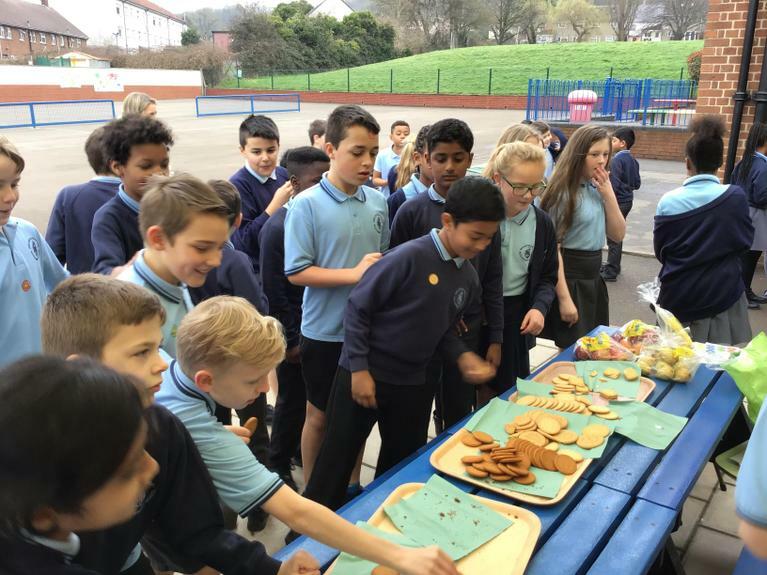 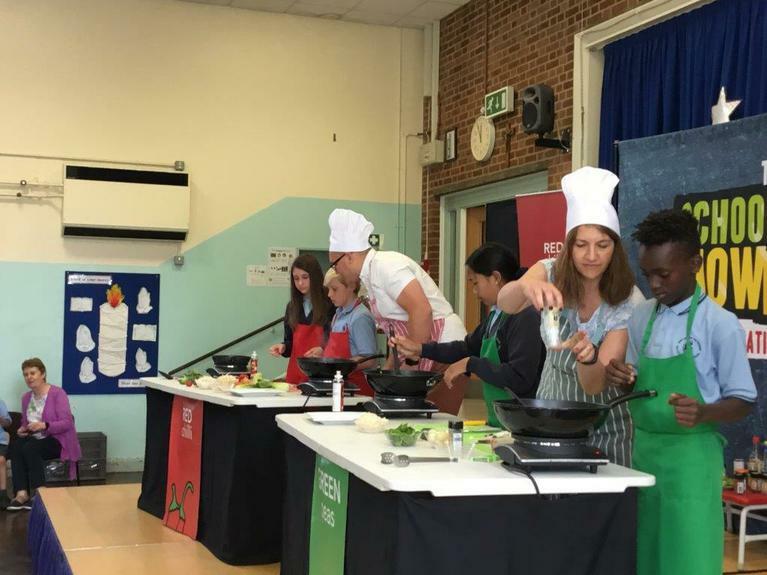 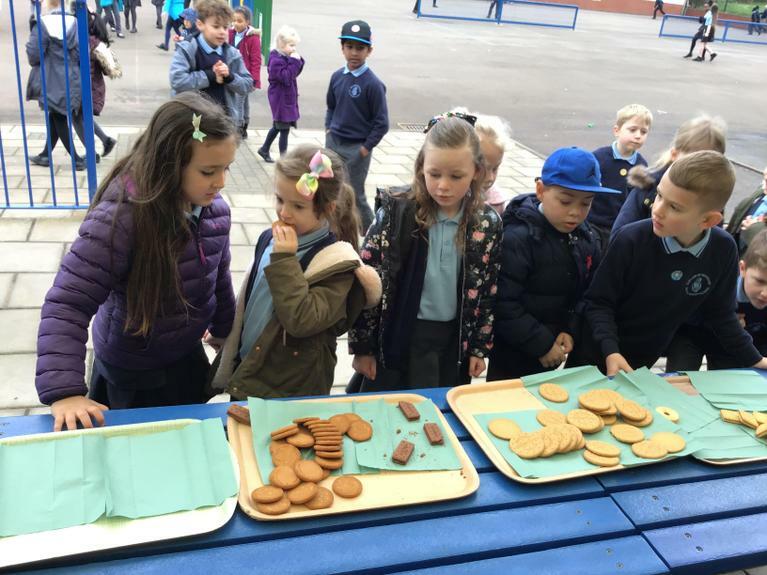 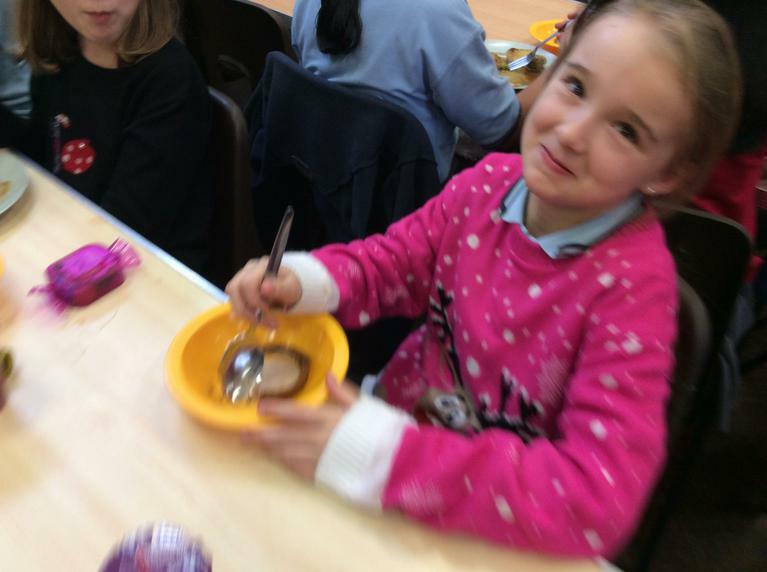 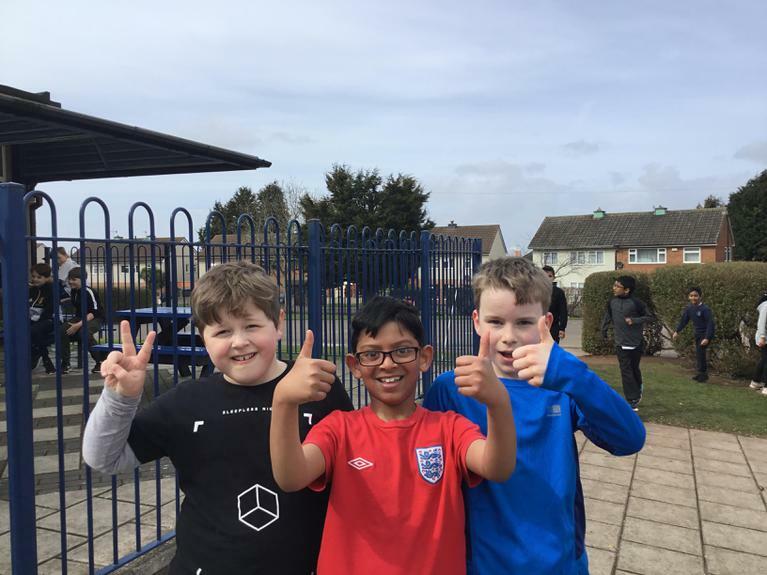 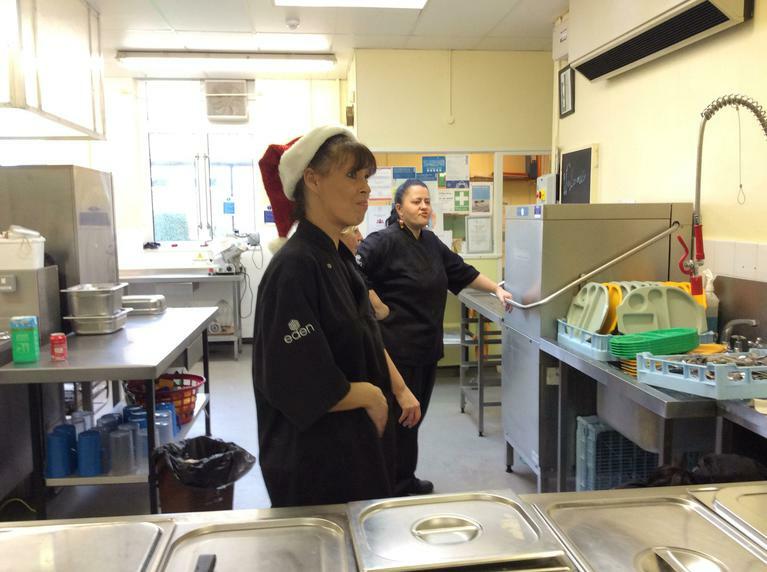 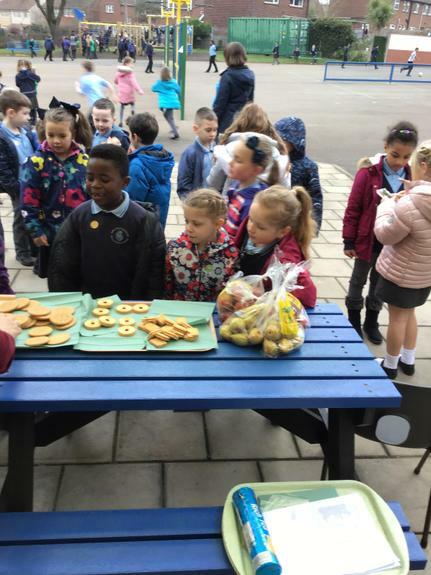 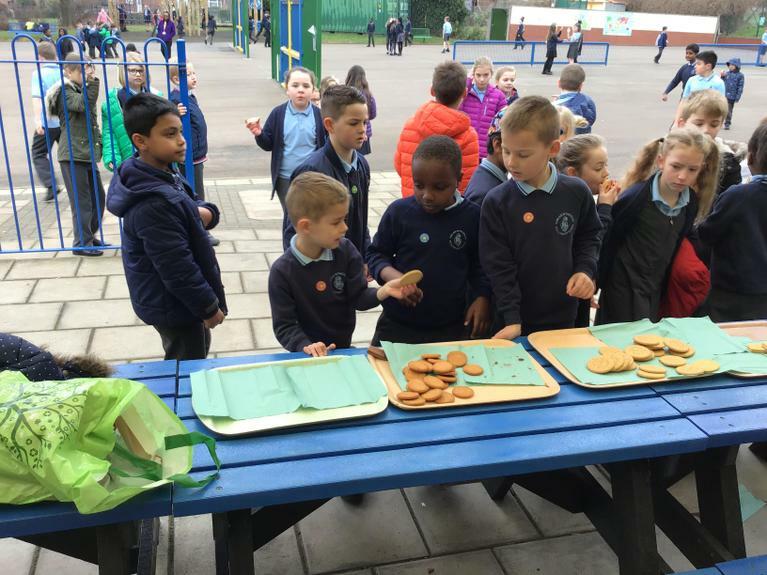 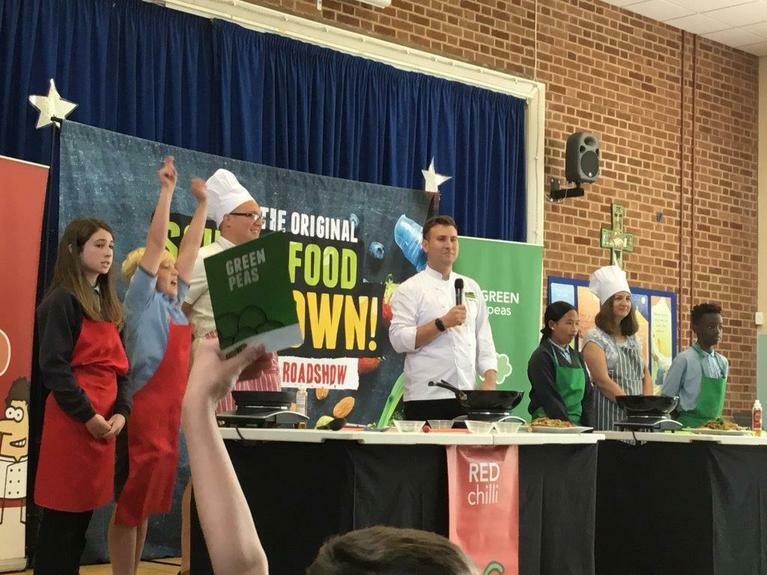 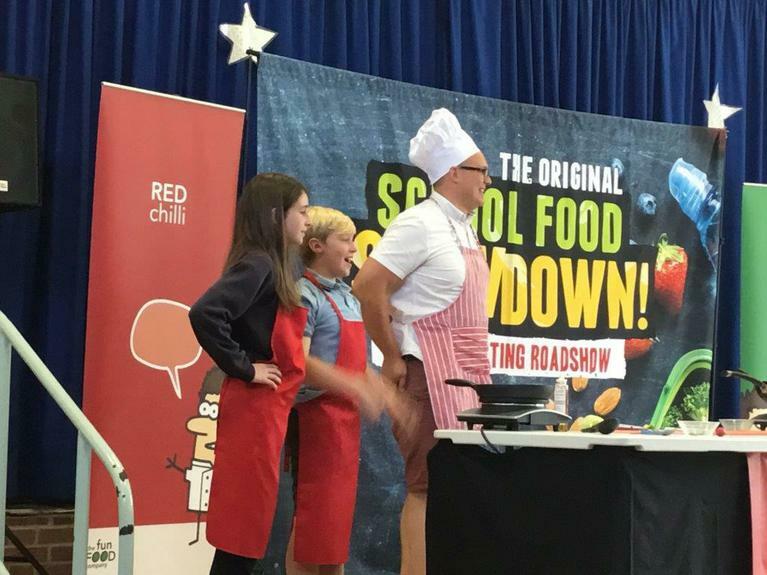 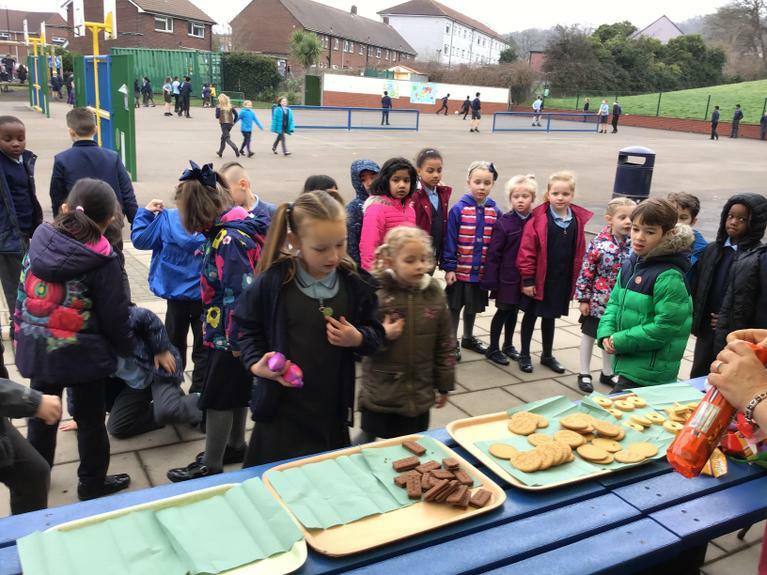 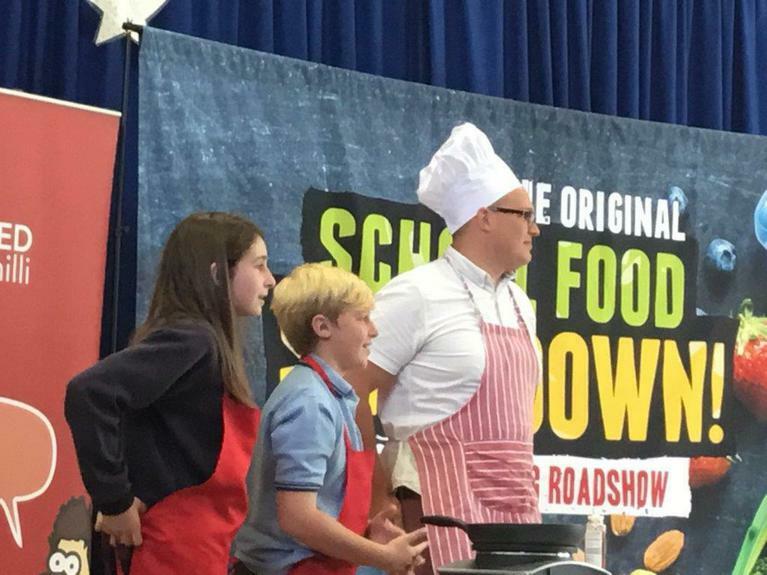 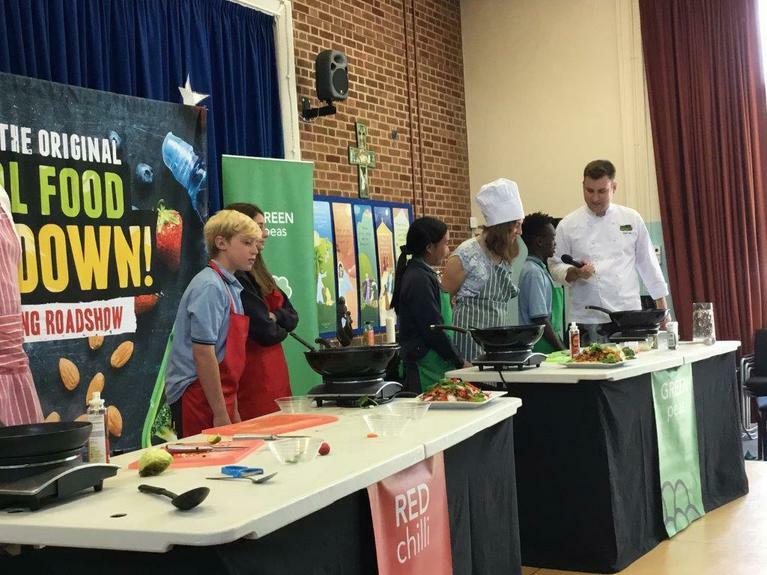 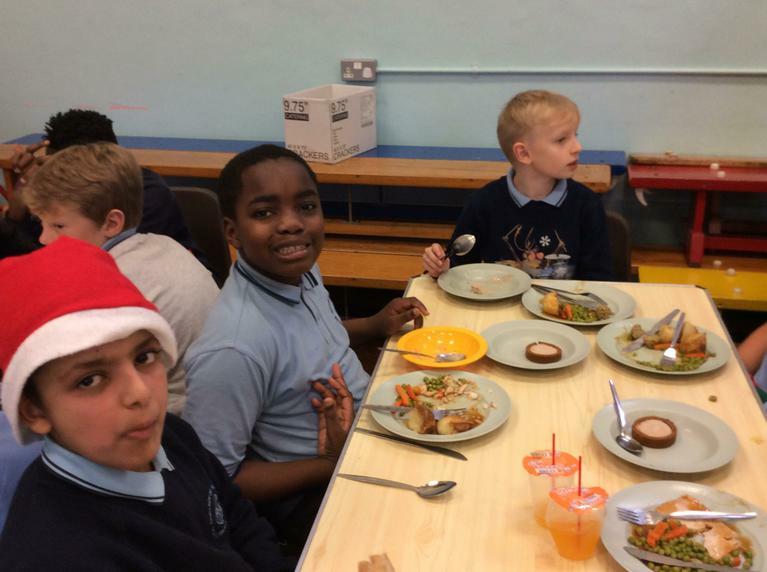 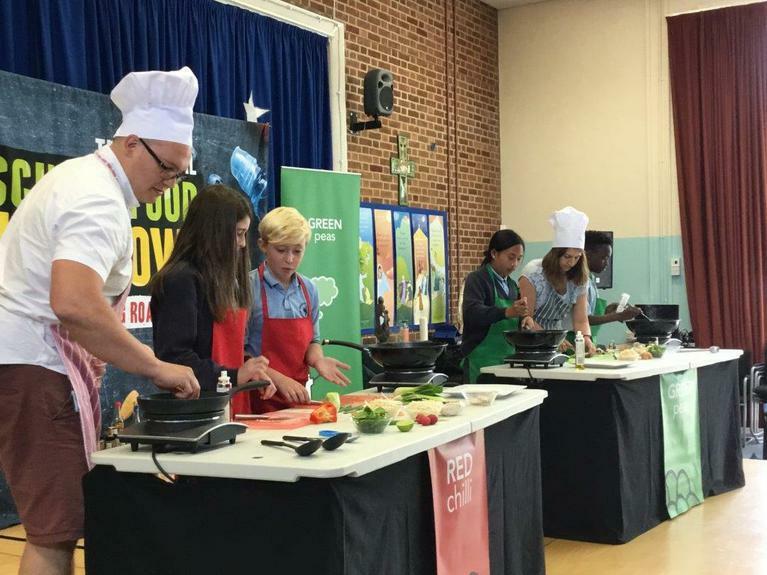 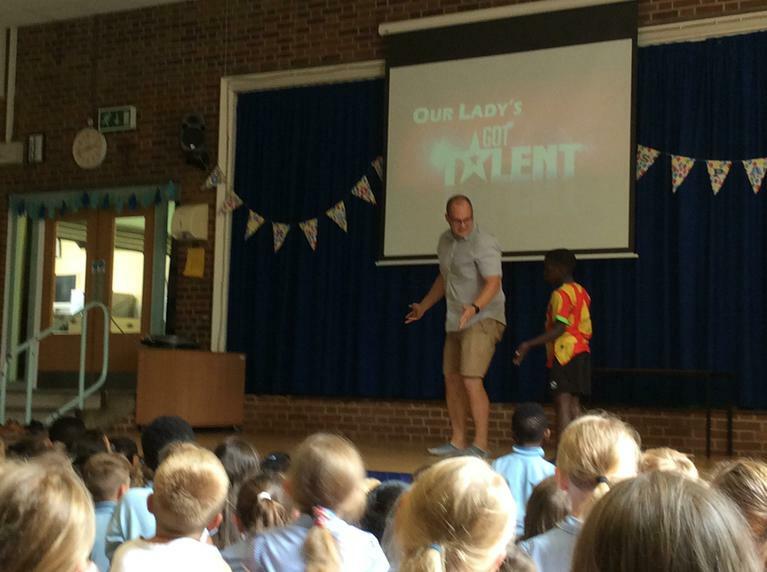 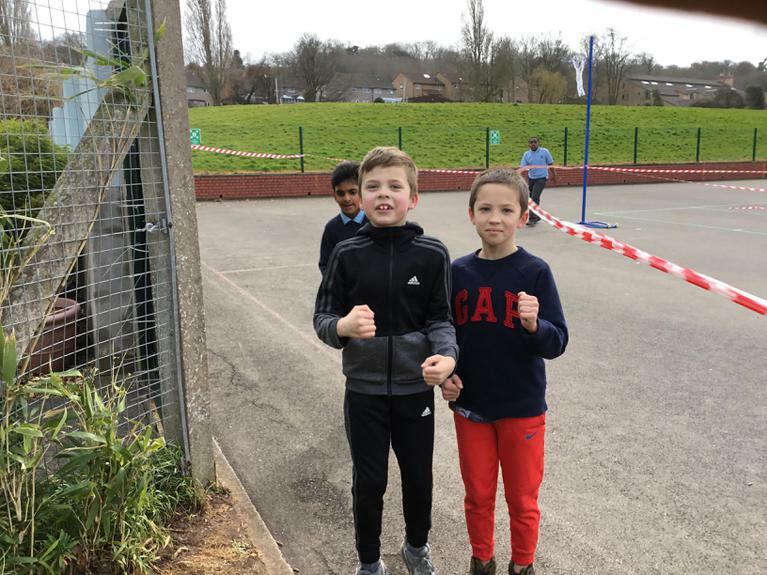 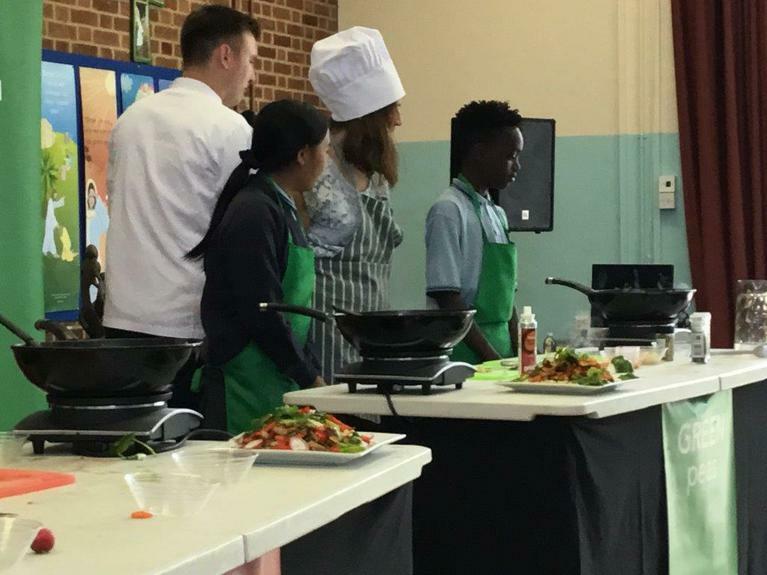 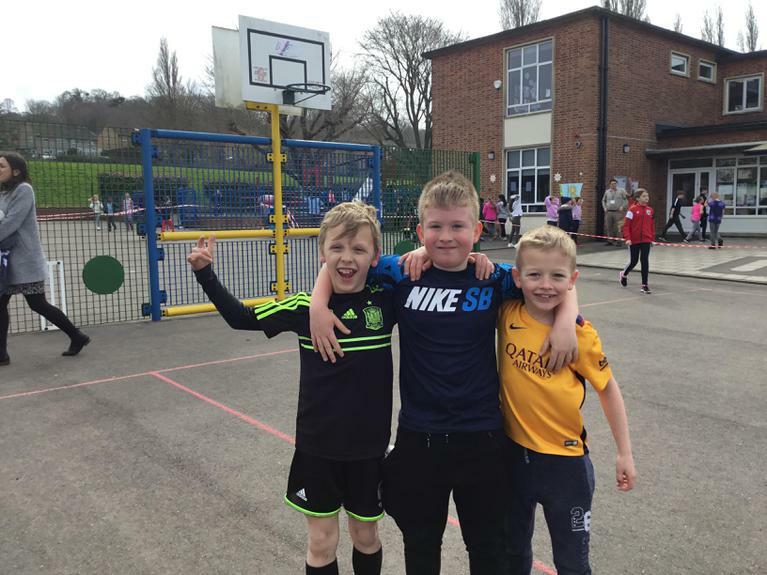 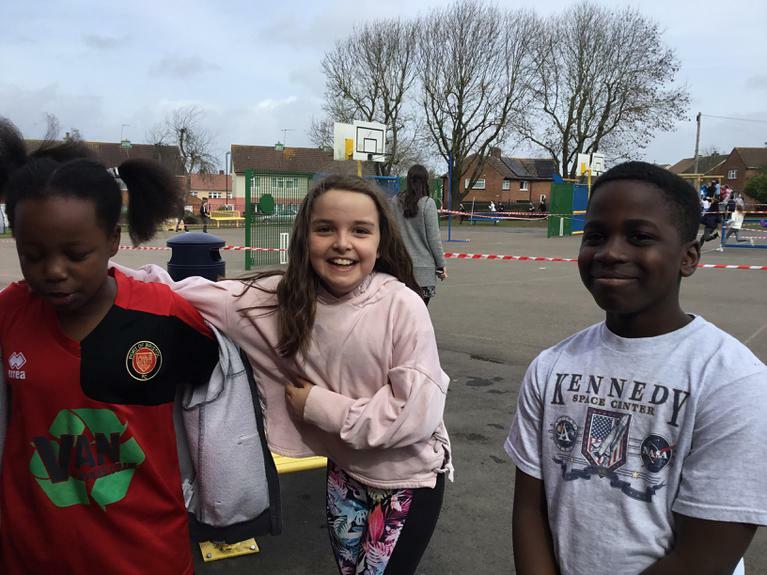 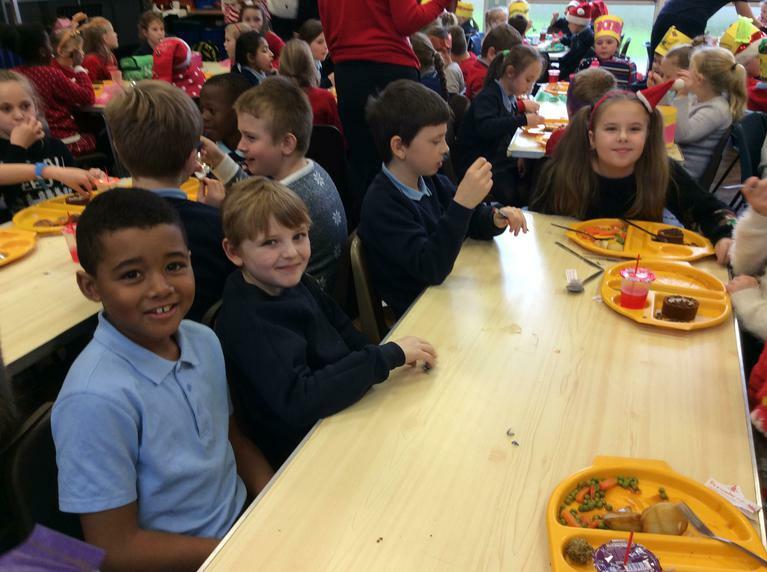 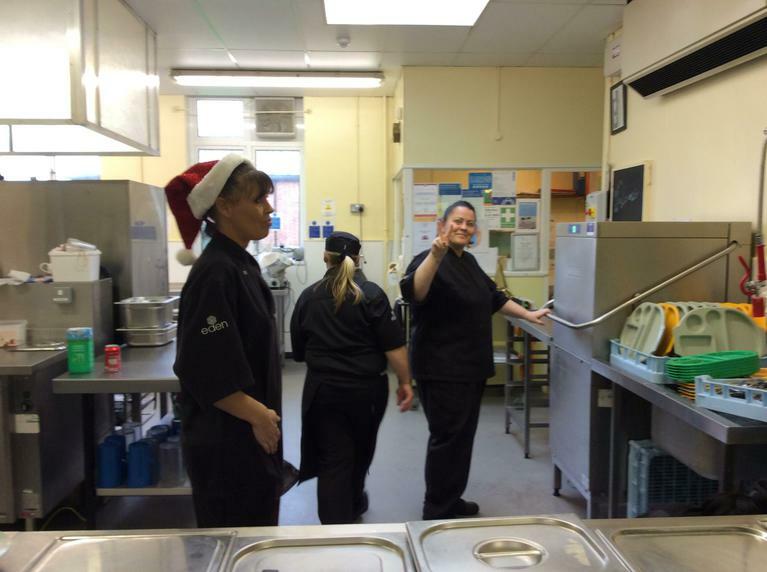 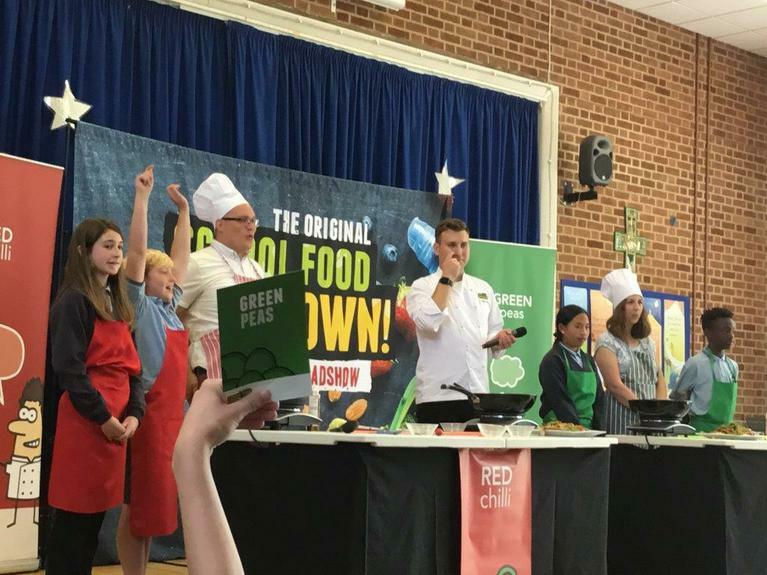 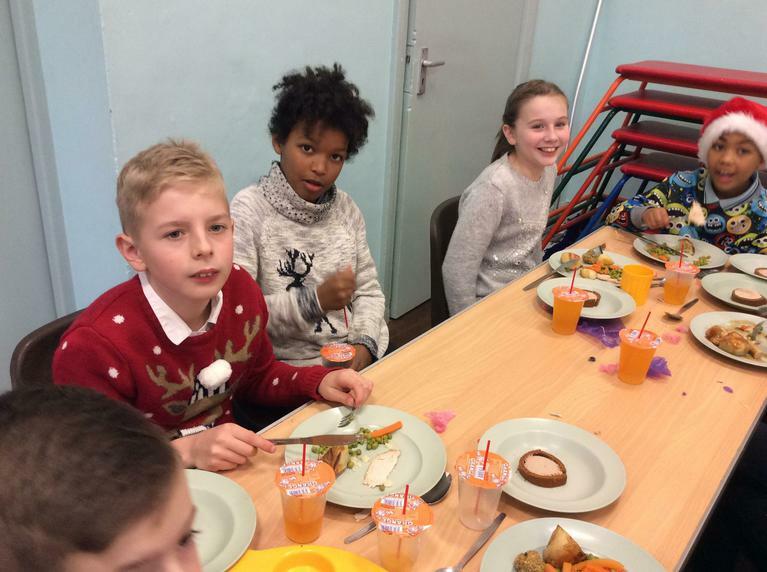 Health and Fitness Week - Ready, Steady, Cook! 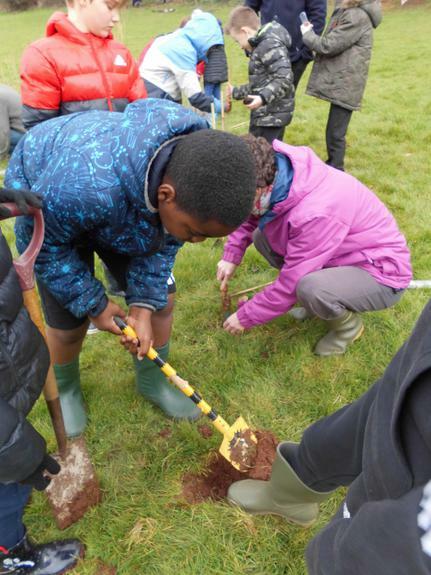 Tree Planting at Our Lady of the Rosary. 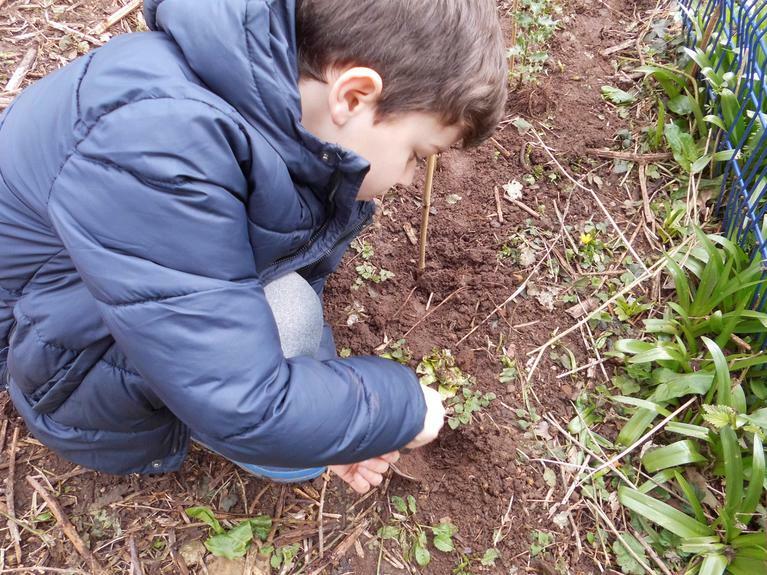 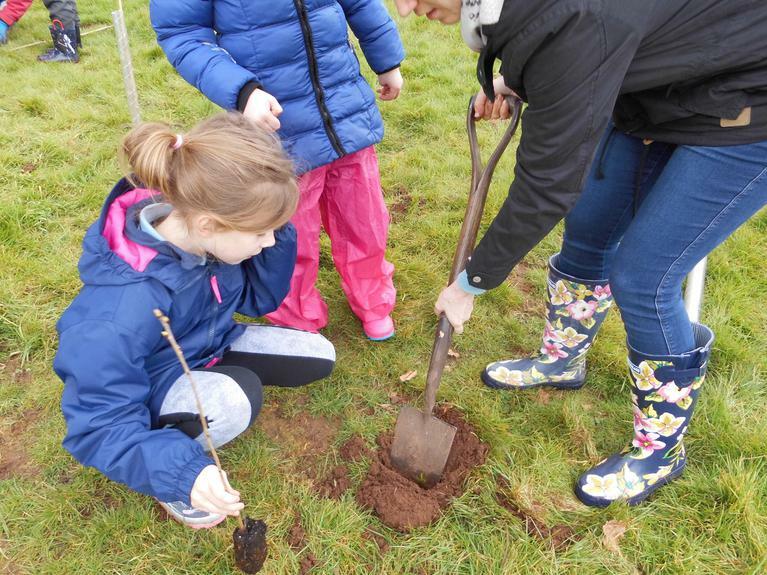 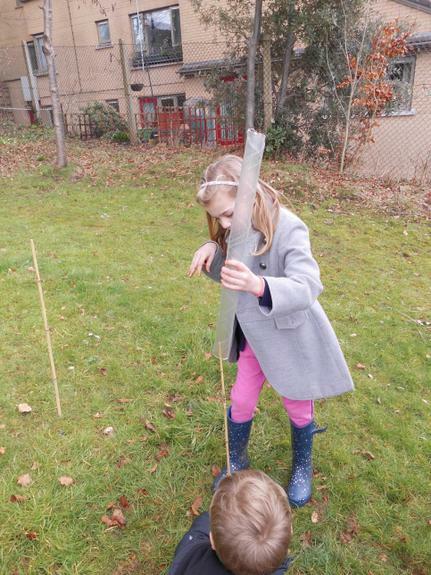 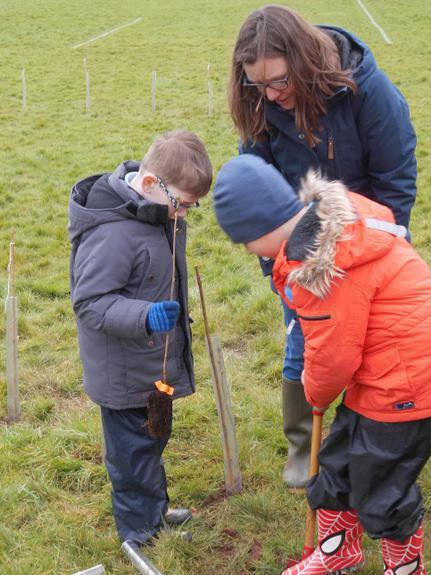 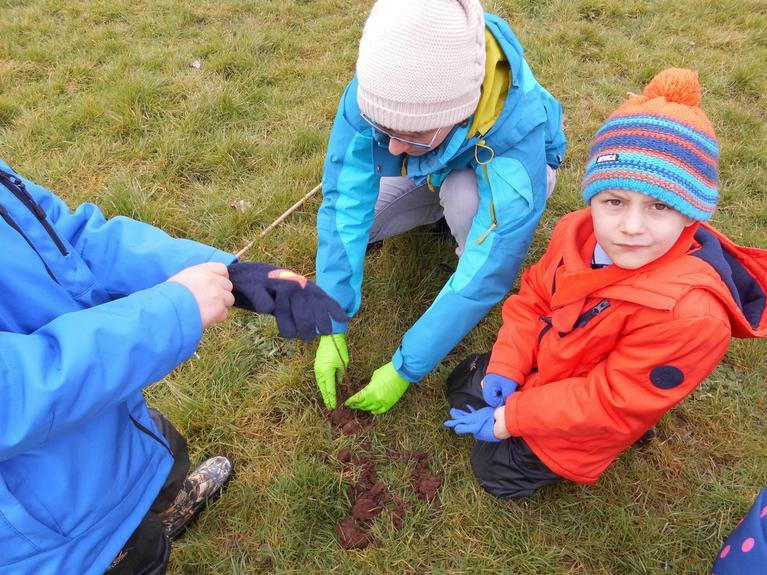 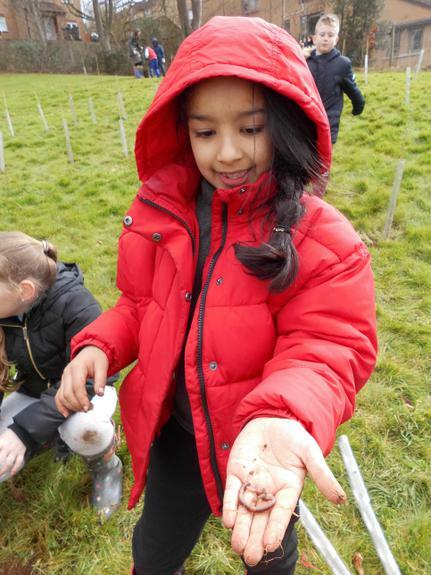 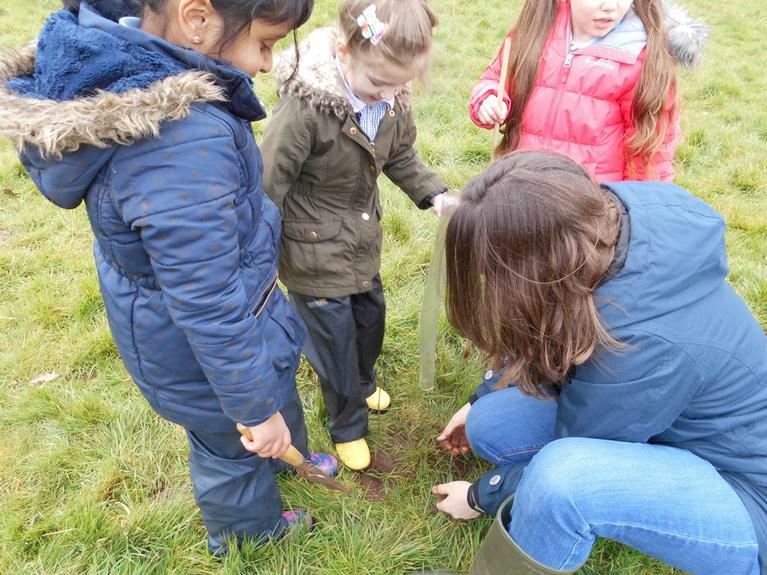 We have planted out our very own mini wood! 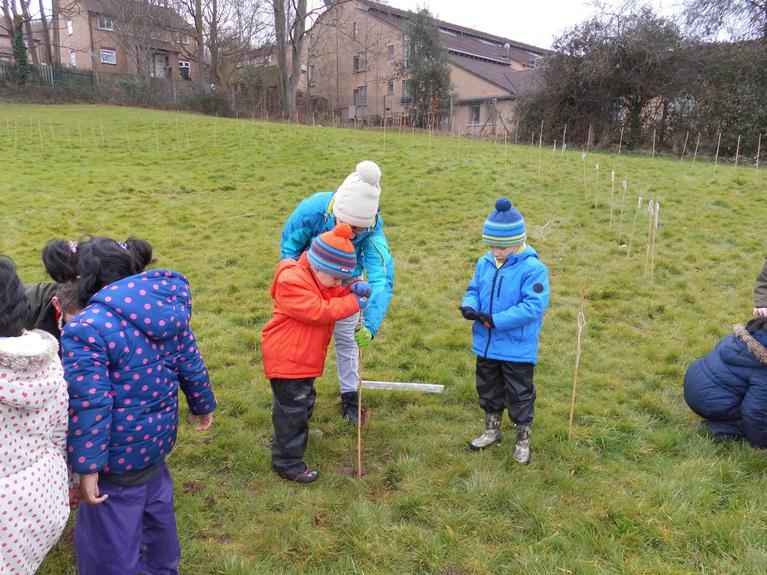 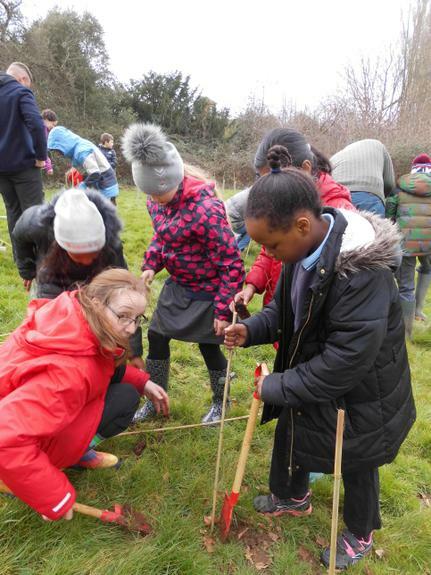 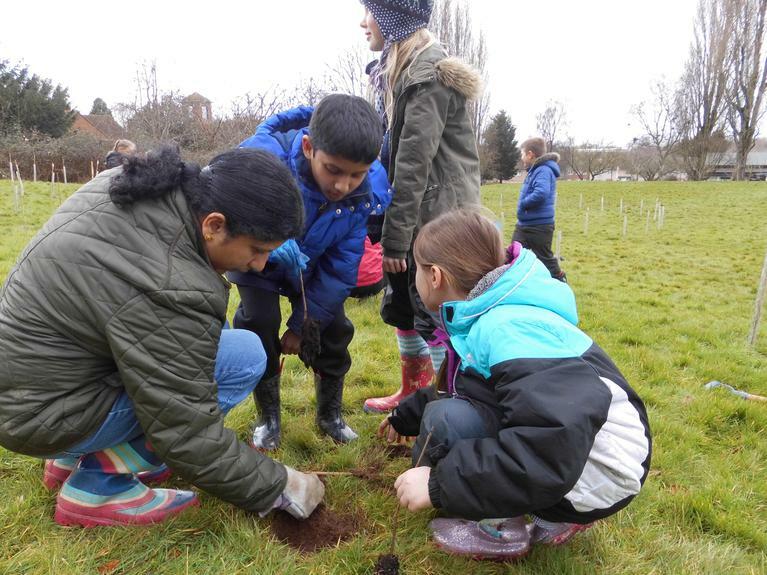 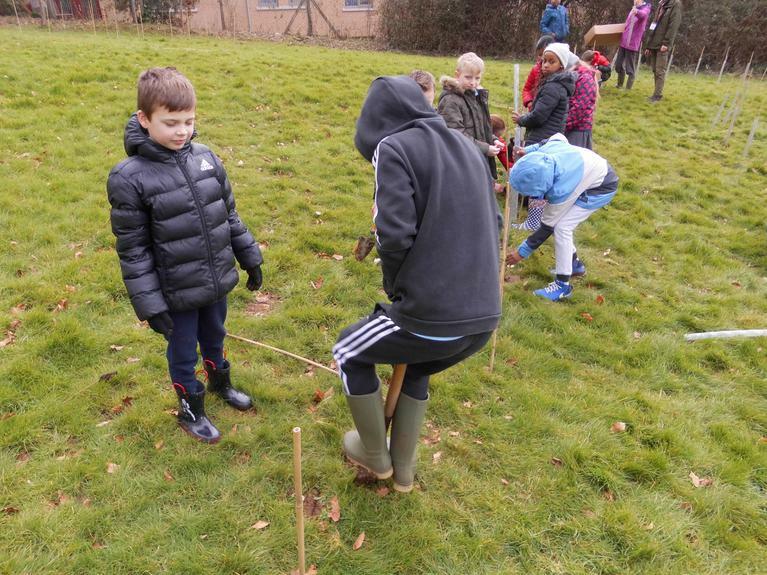 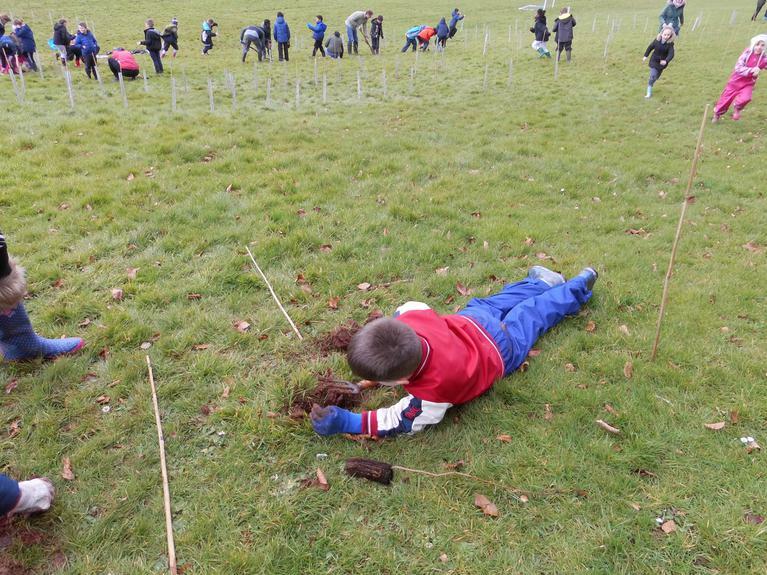 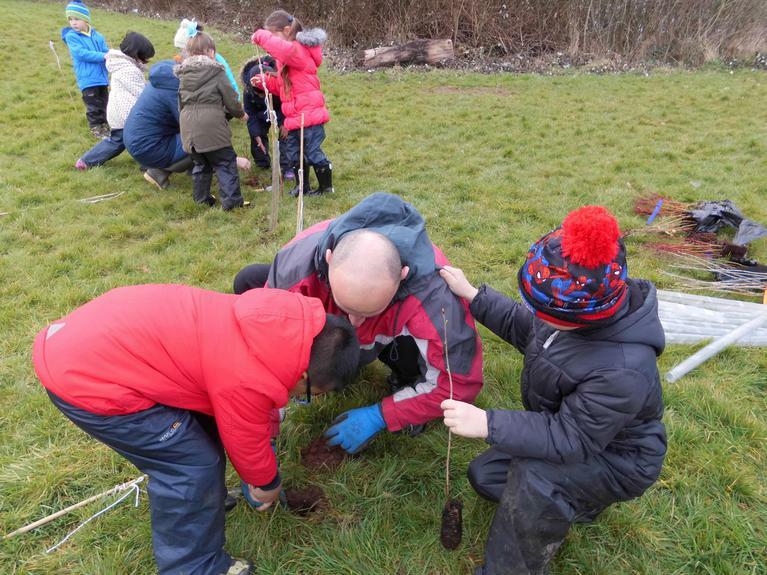 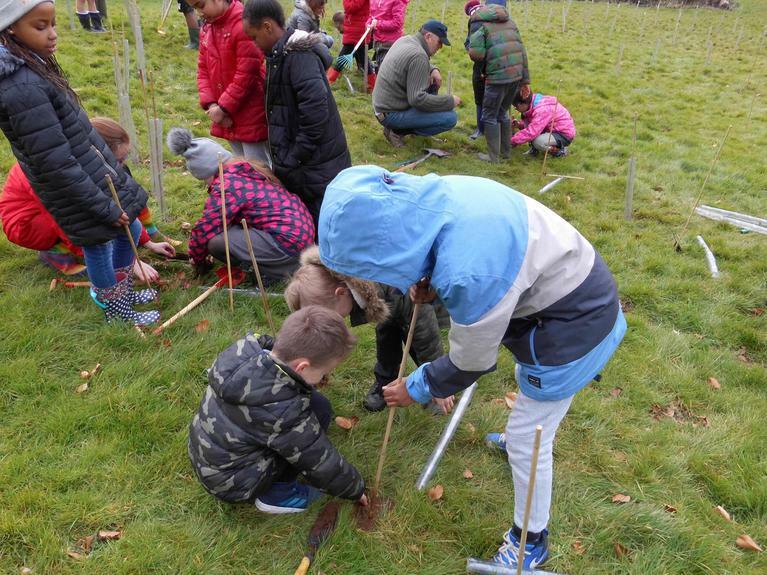 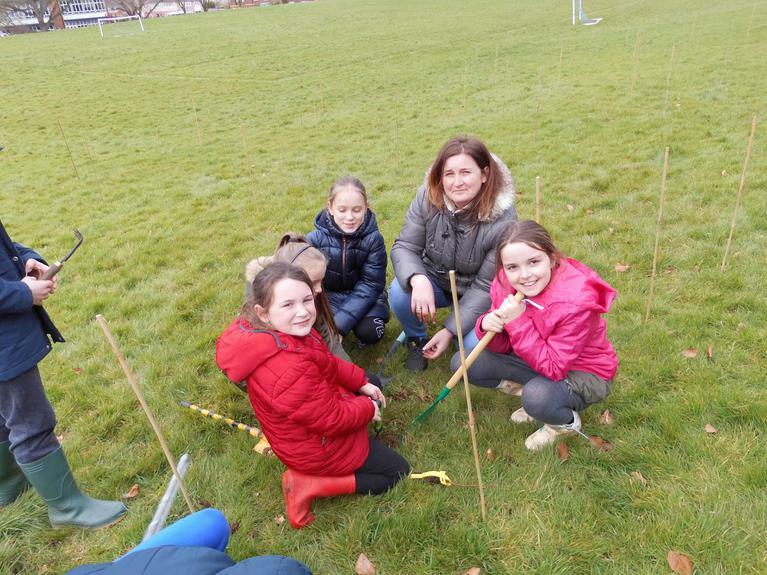 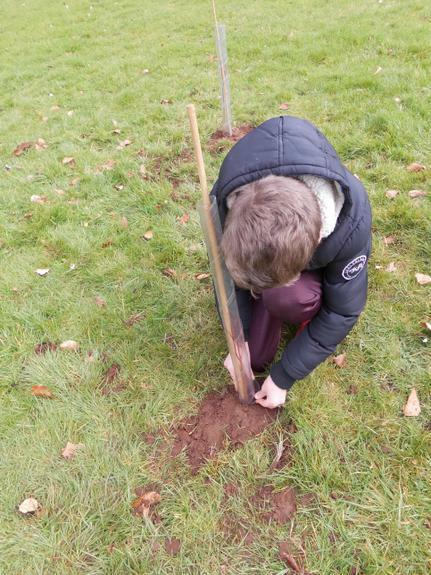 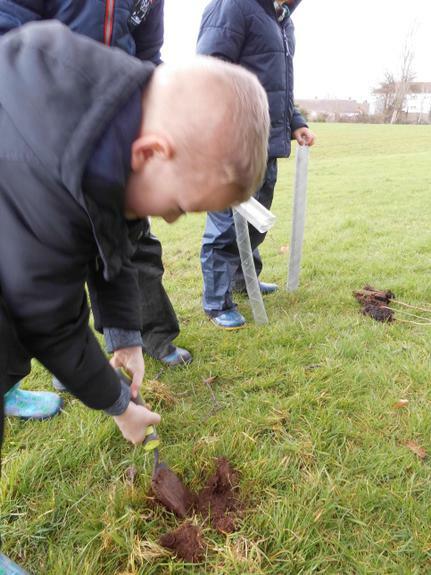 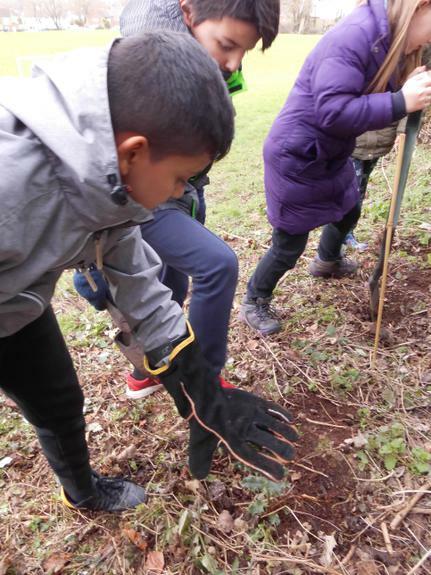 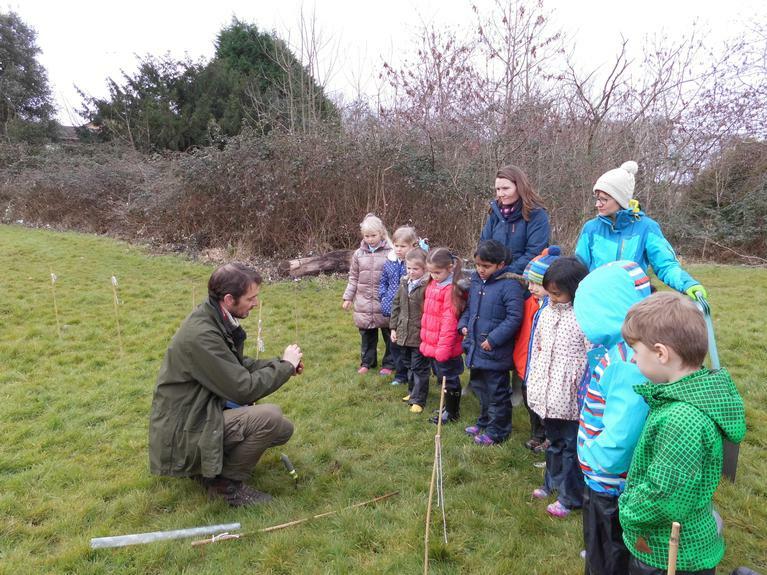 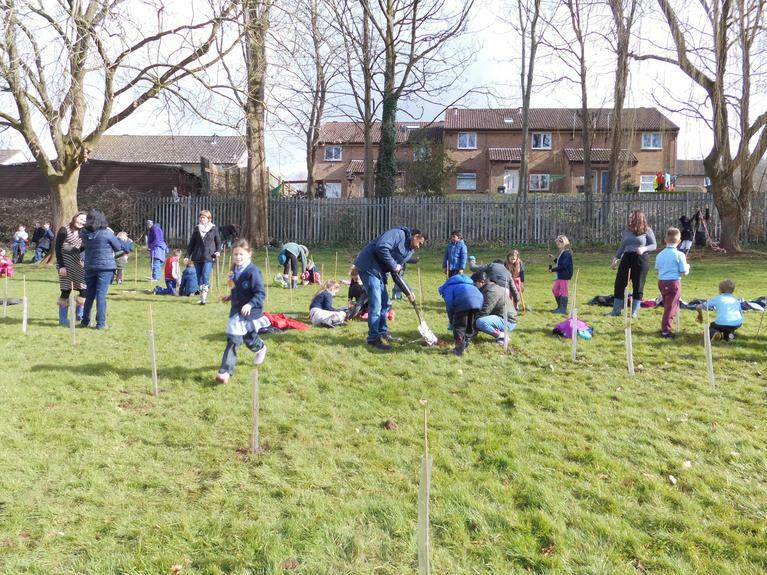 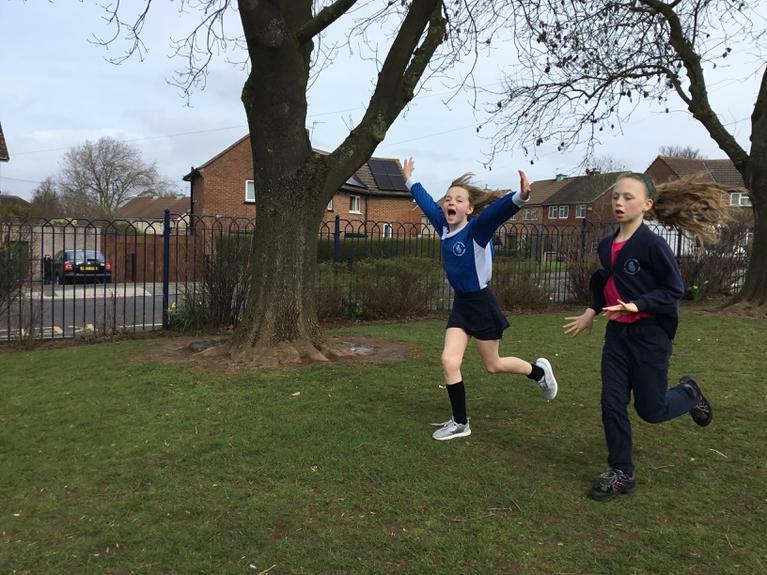 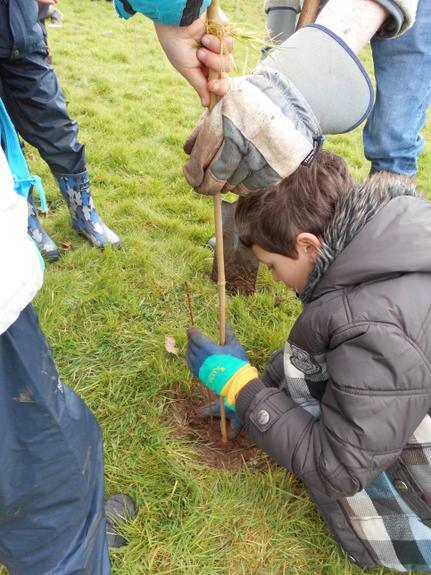 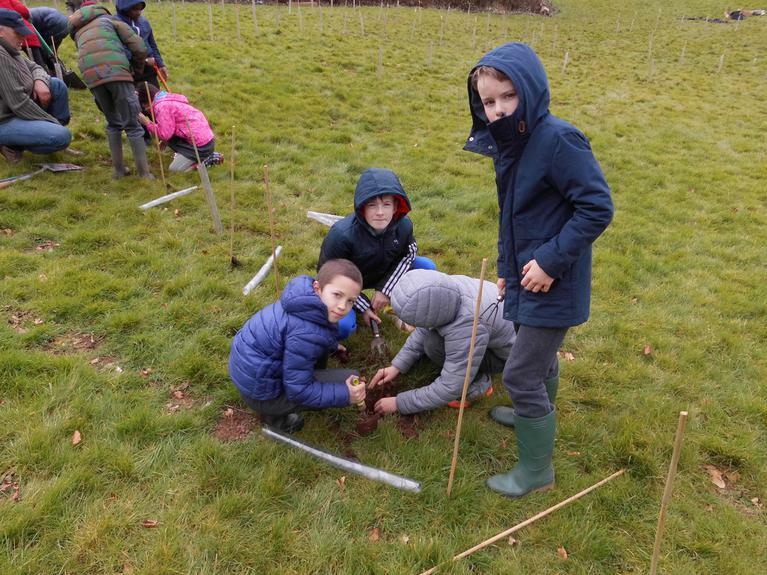 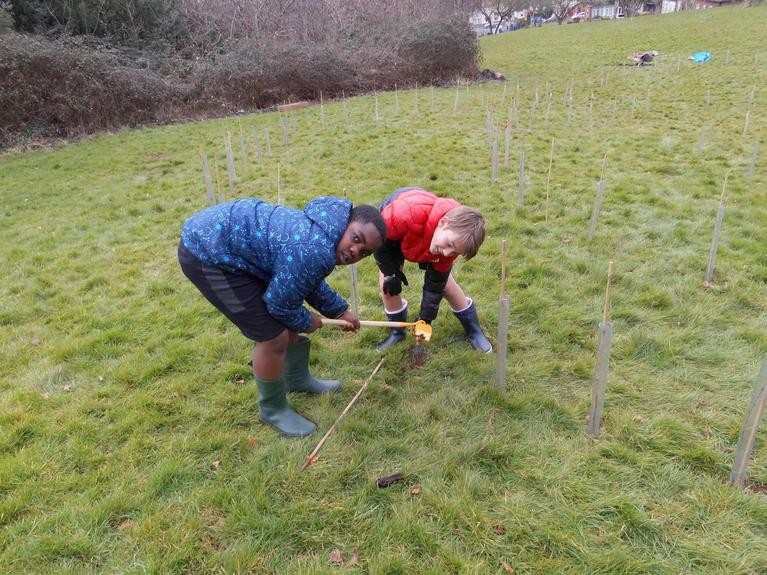 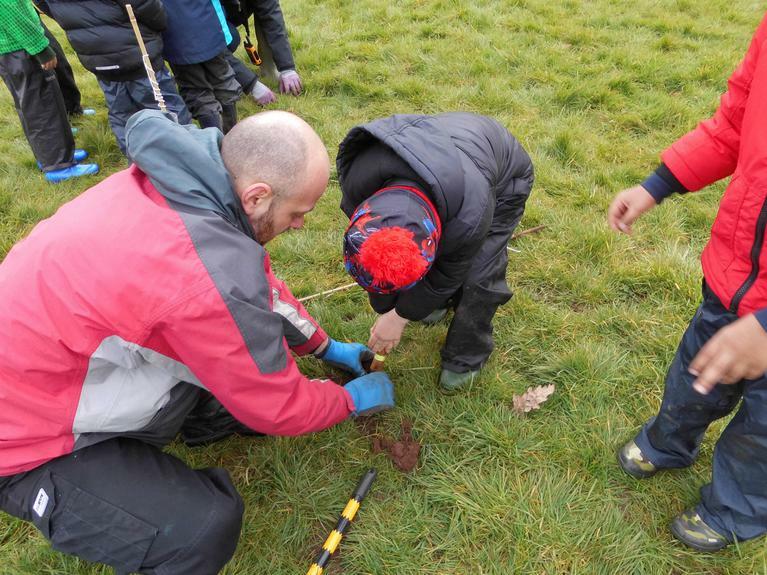 Firstly, Year 5 worked with Jon Attwood from The Woodland Trust to plan out where we were going to place our 420 tree saplings. 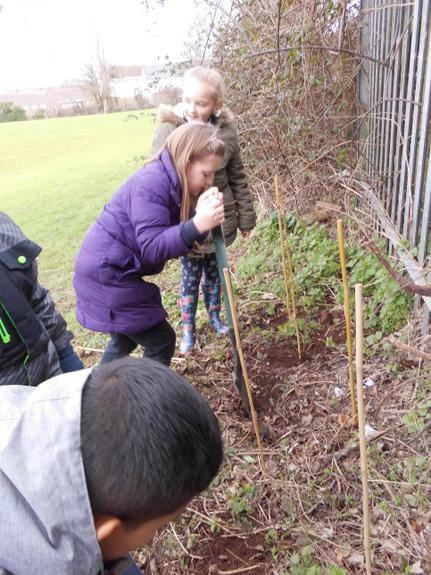 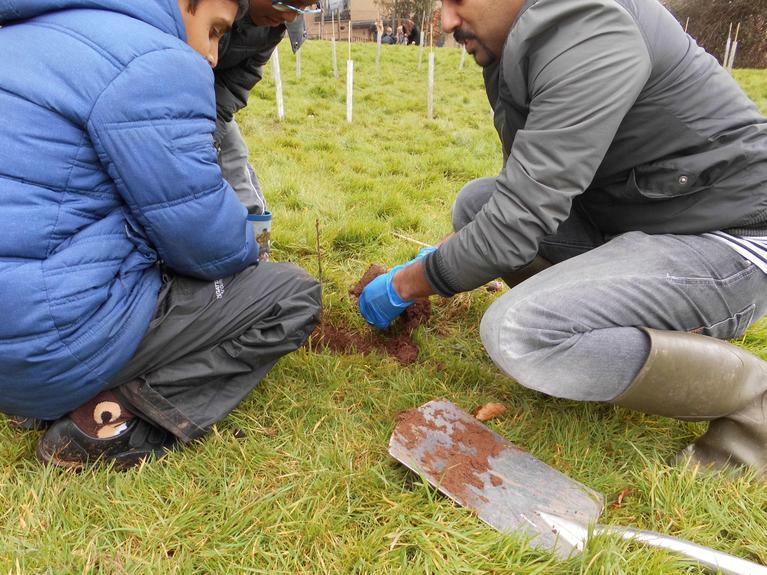 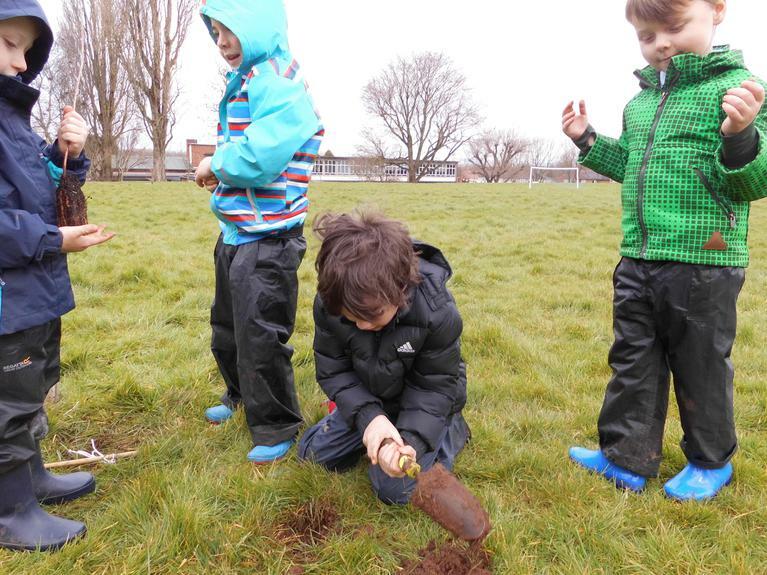 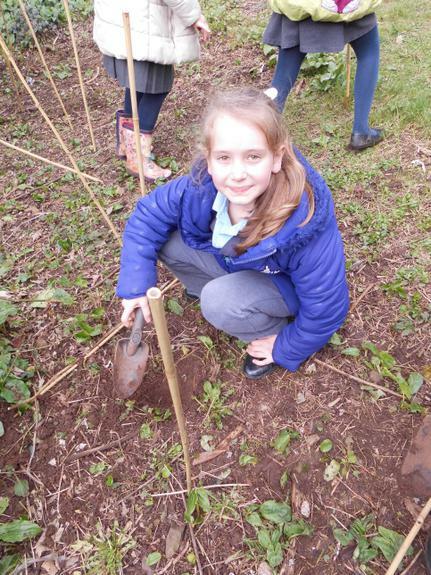 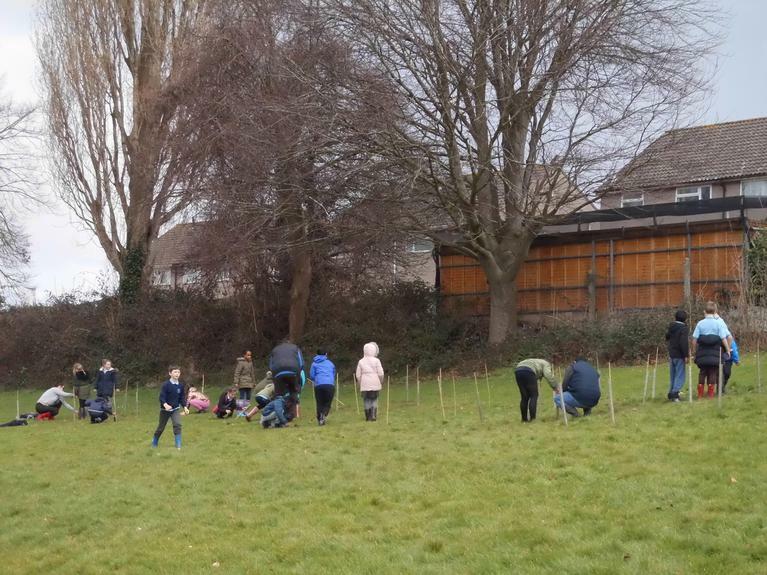 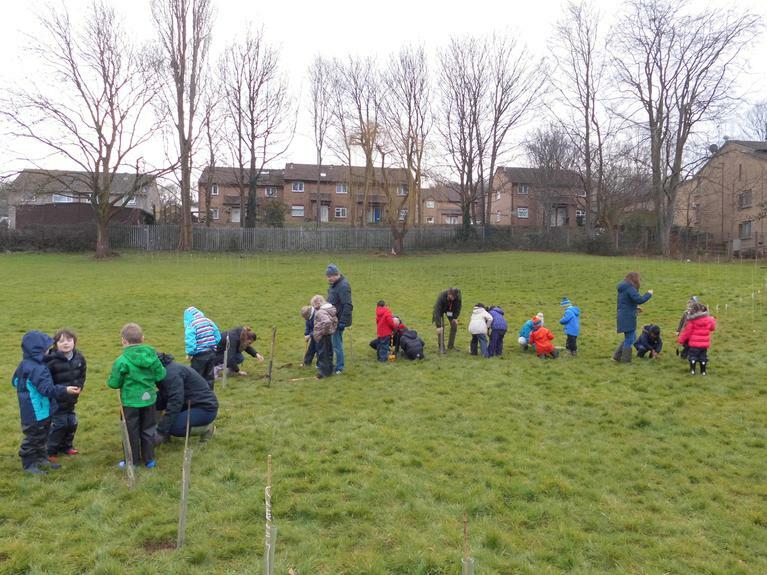 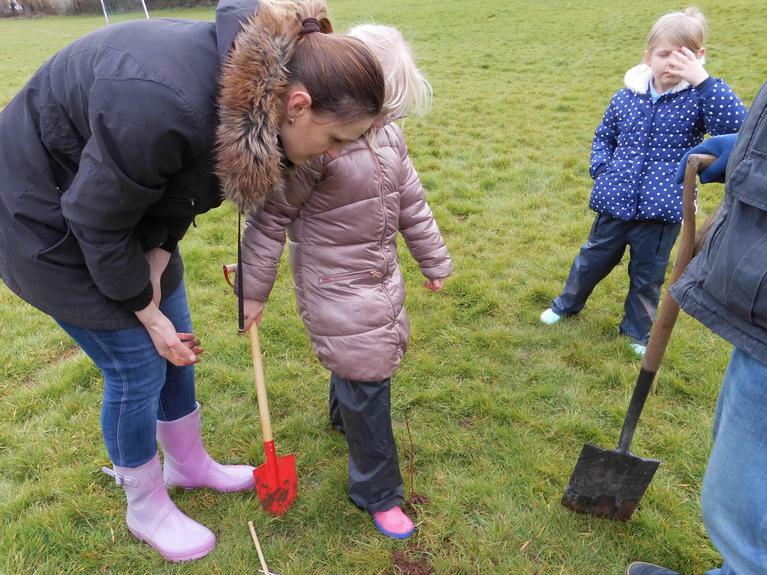 Then, with the help of many parents, each child in the school was able to plant two saplings. 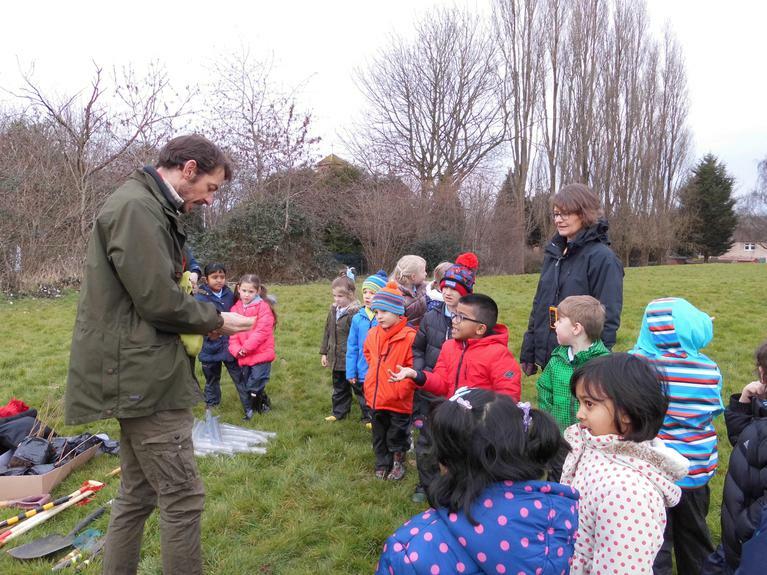 The children (and adults) really enjoyed the experience especially when worms were discovered! 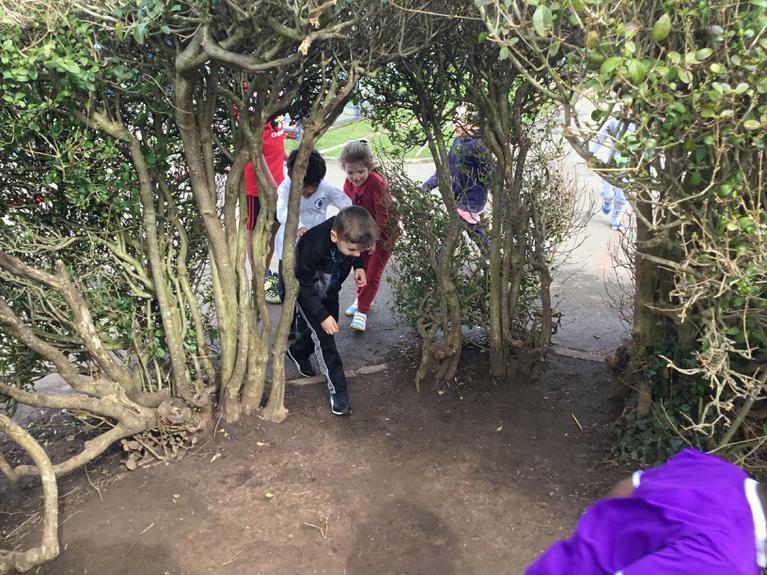 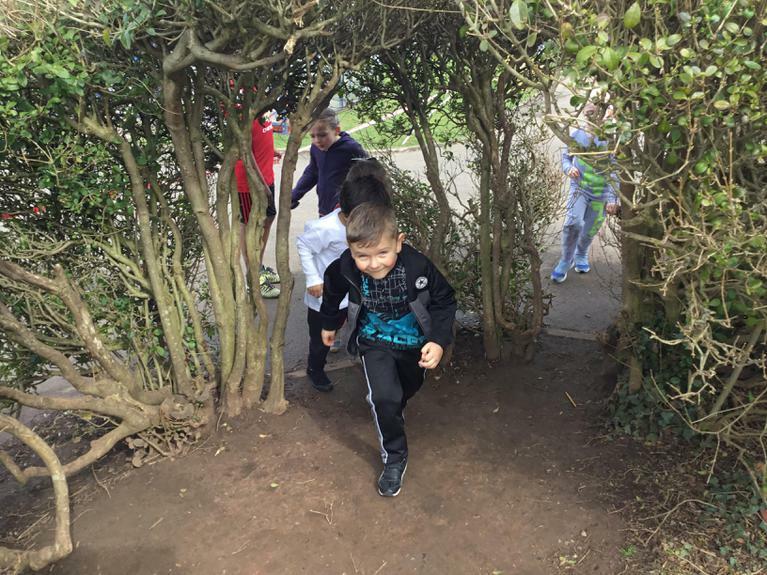 We have managed to plant a circle and a tunnel of trees as well as a mini woodland. 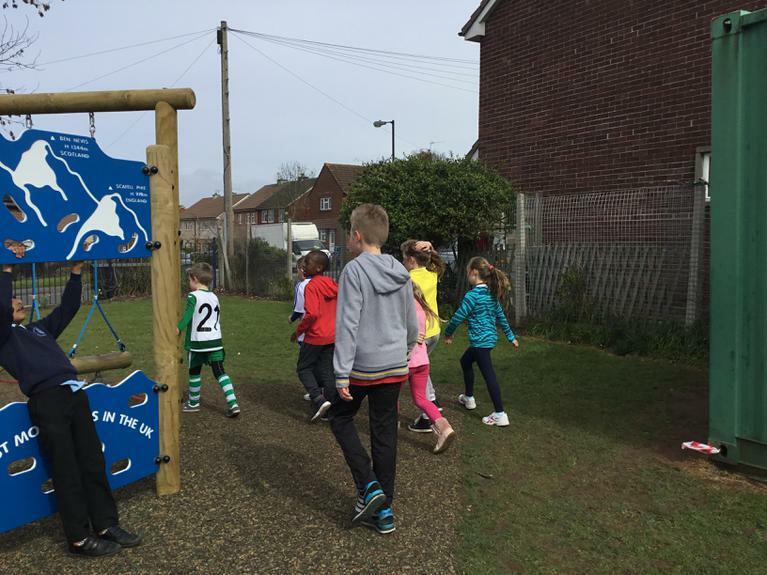 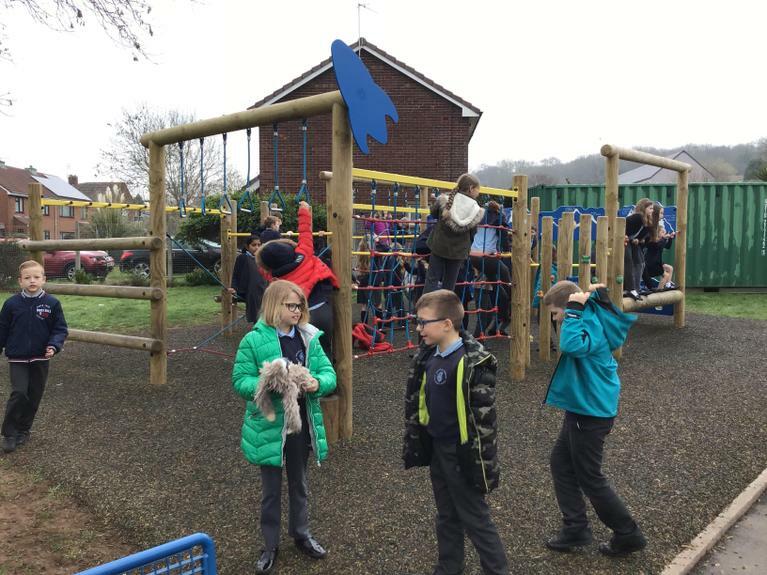 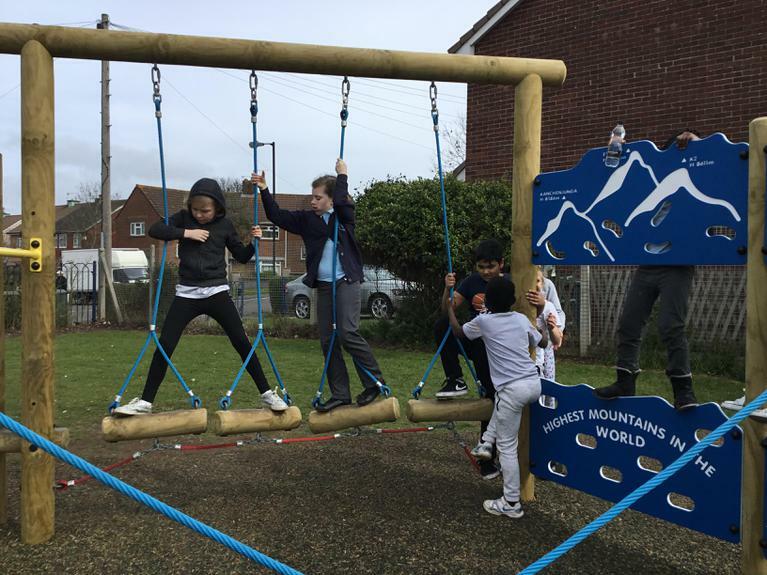 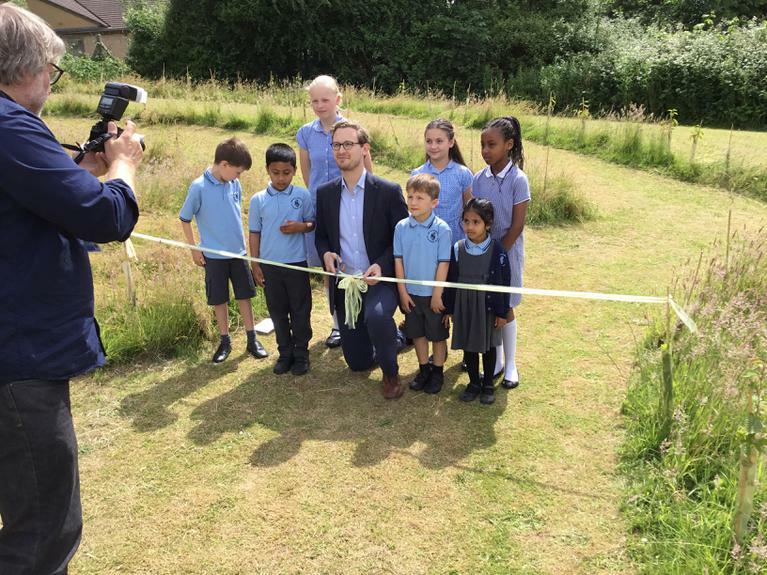 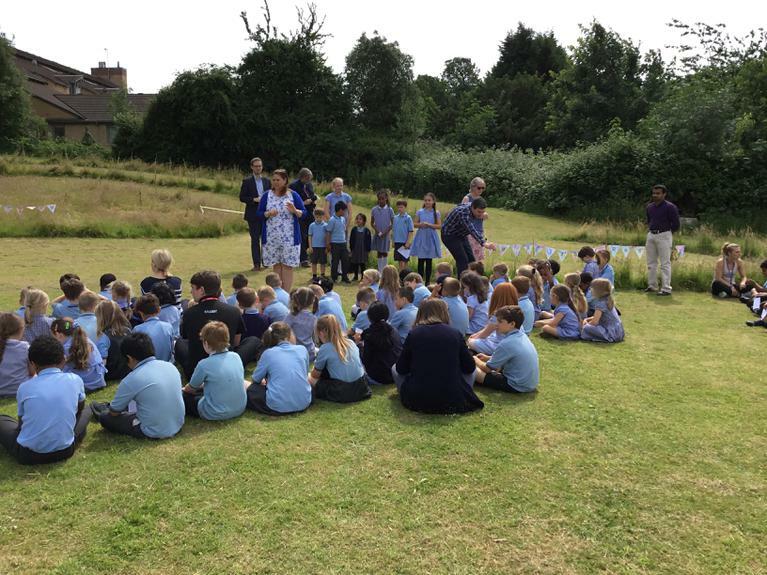 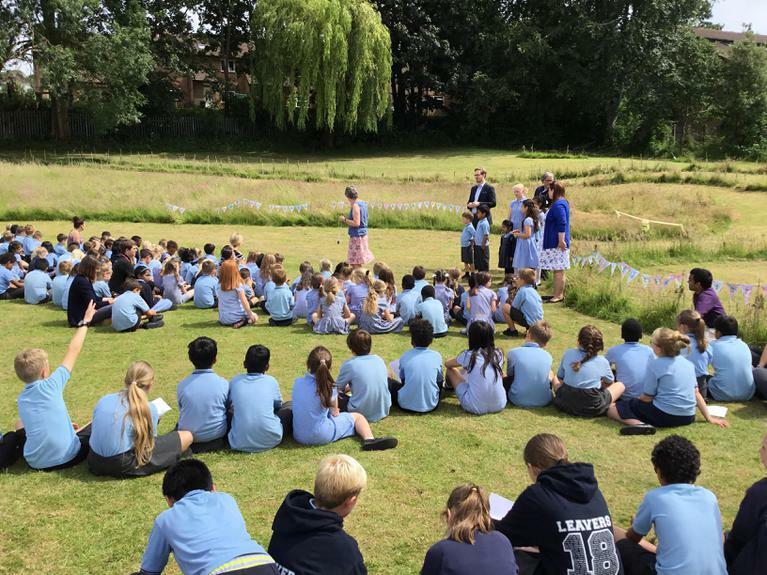 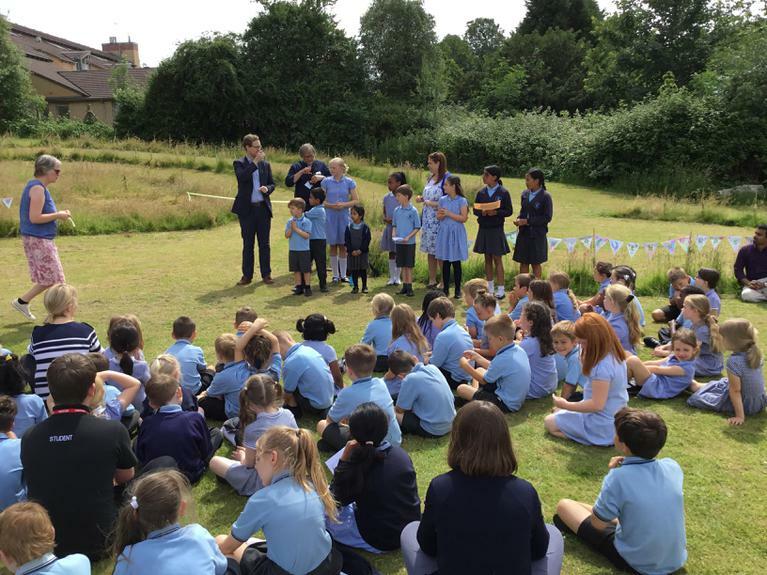 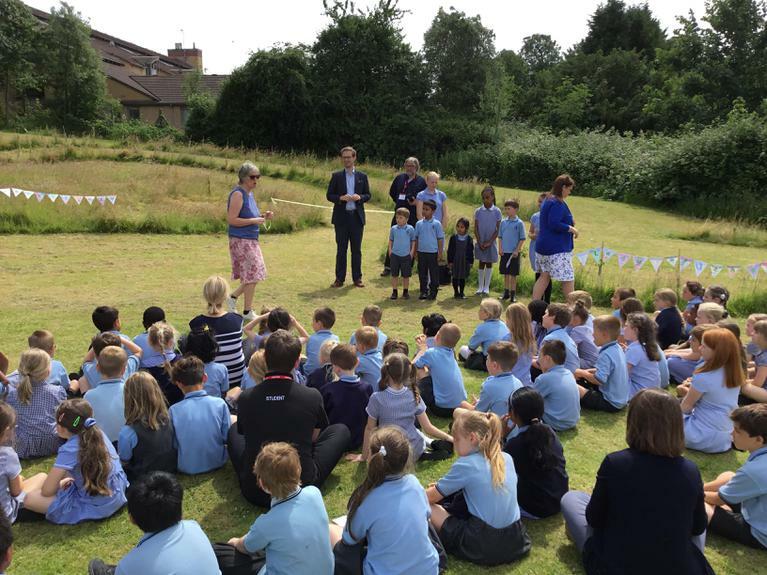 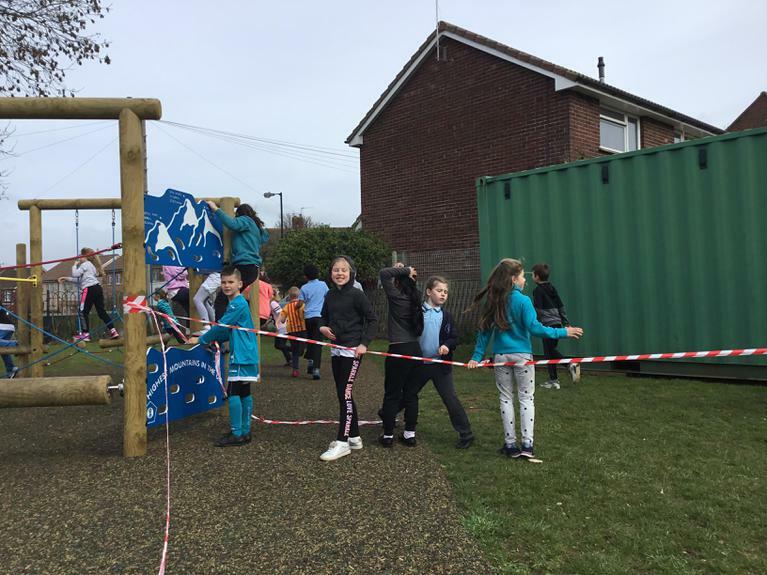 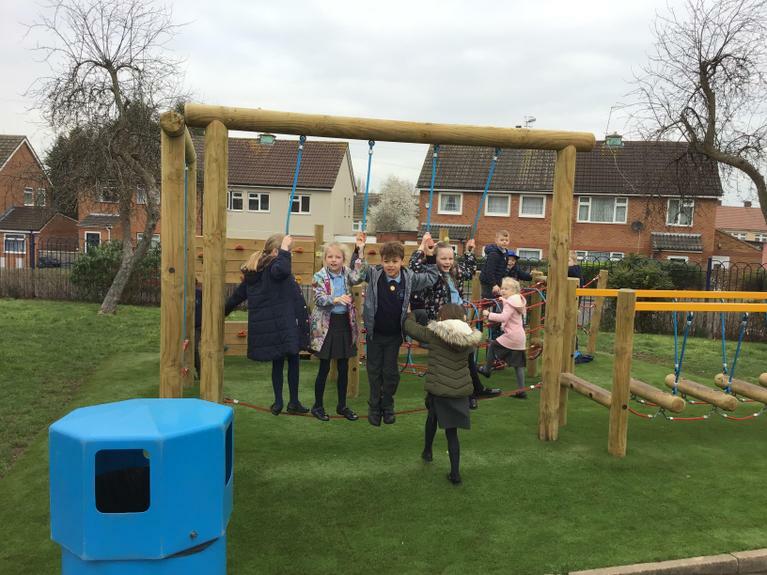 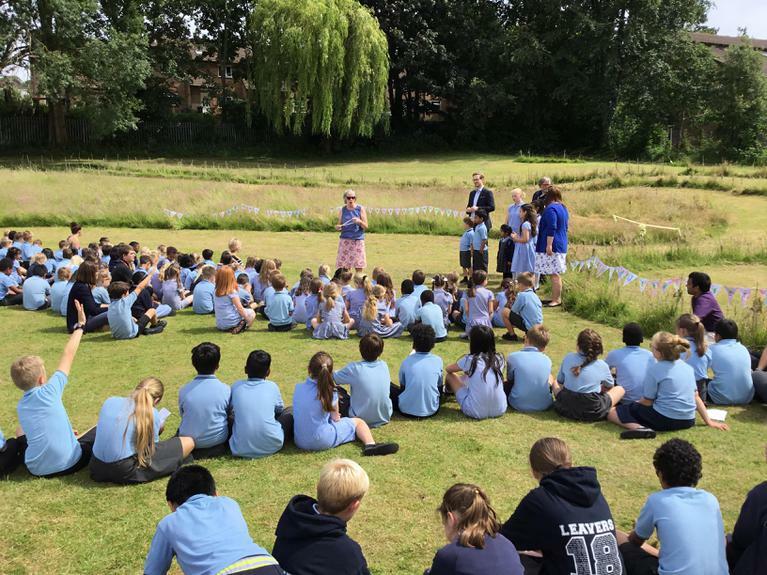 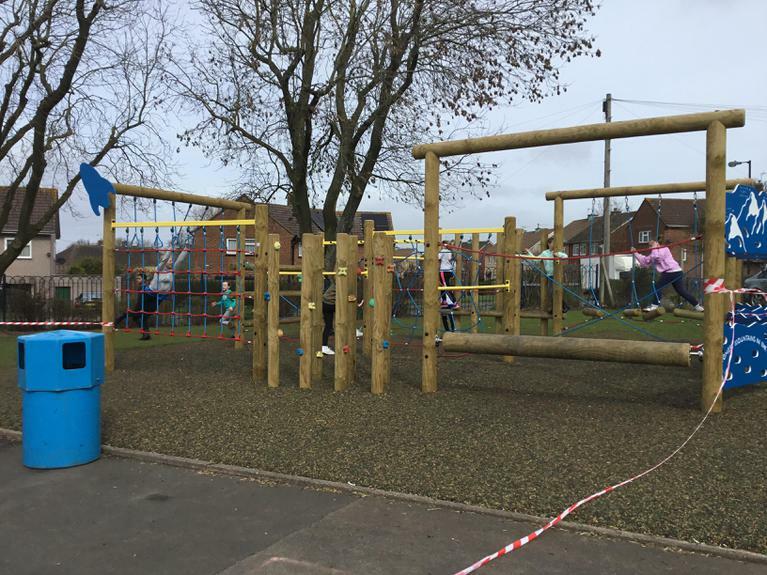 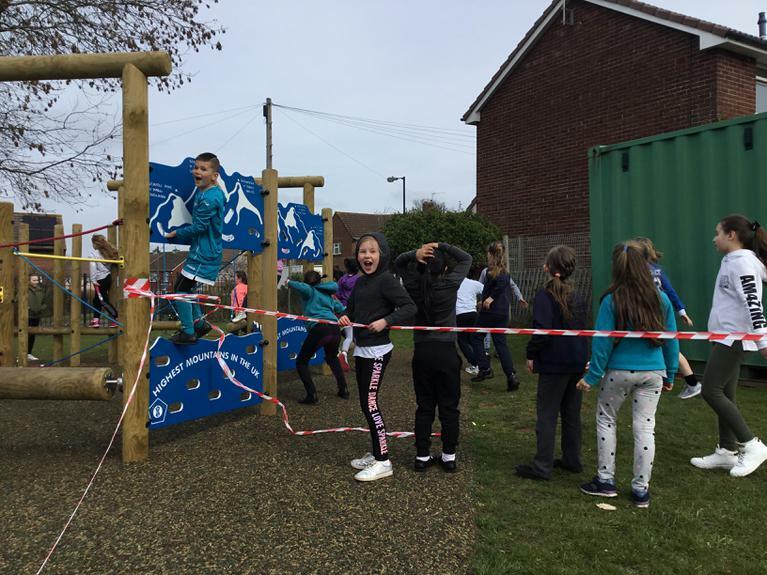 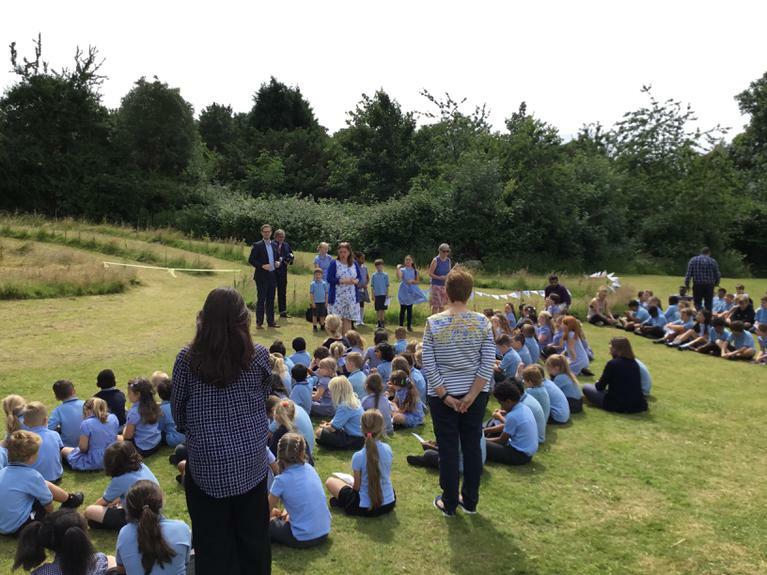 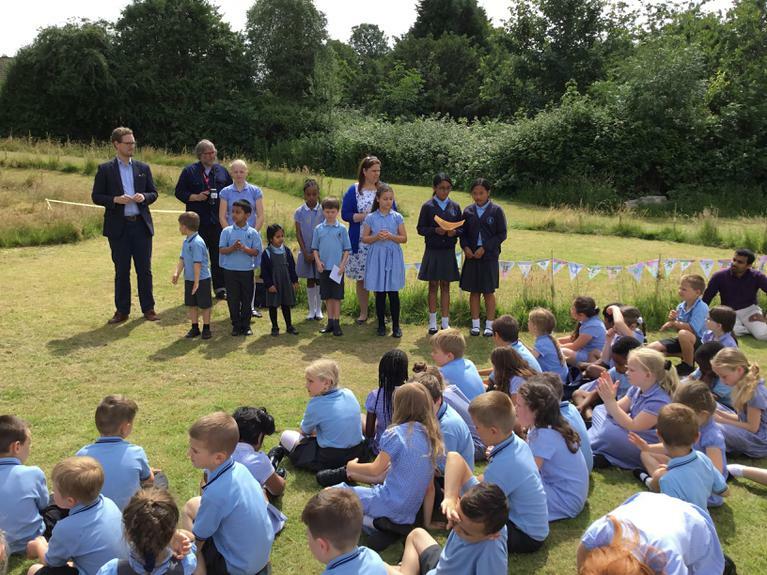 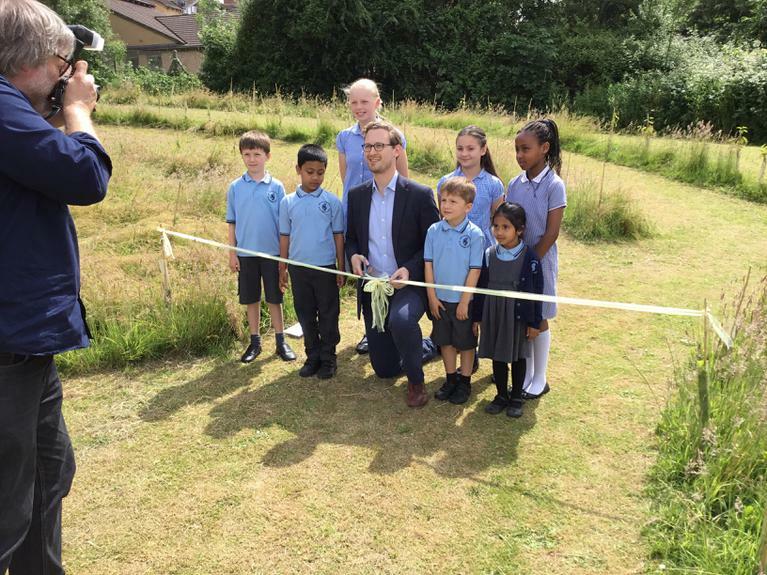 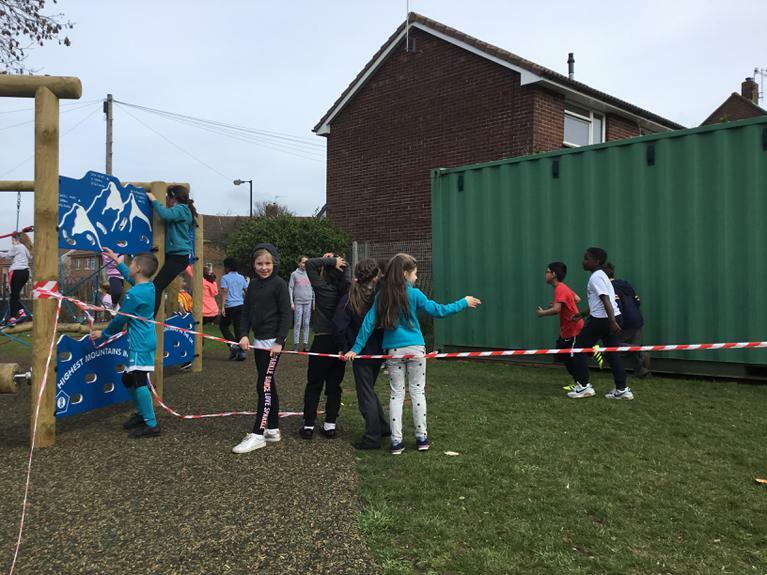 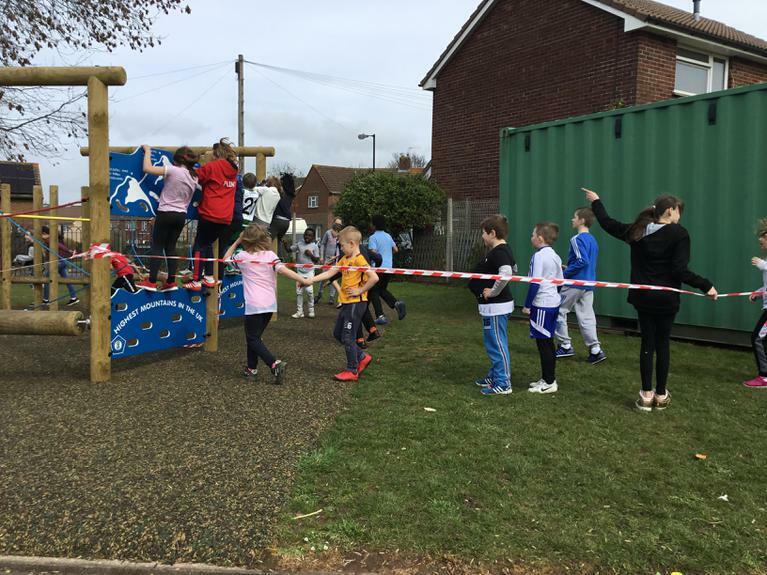 Thank you to everyone who made it possible for Our lady of the Rosary School to have its own little wood in years to come. 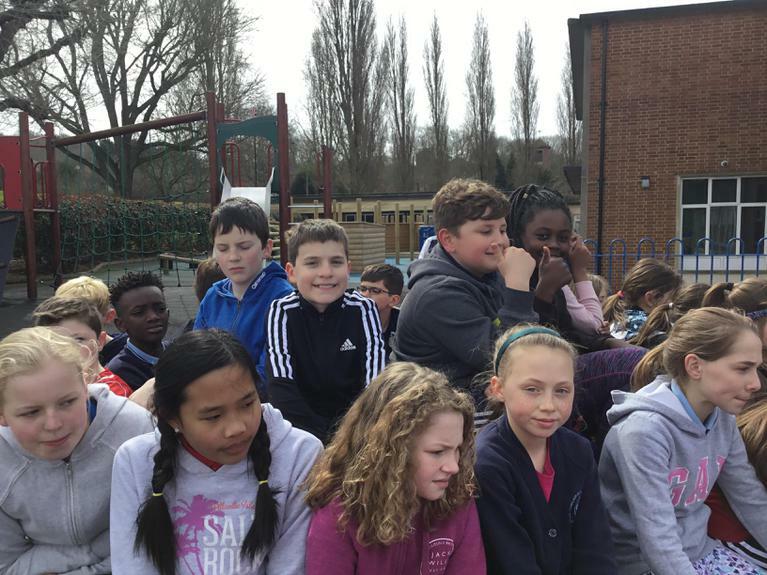 We will enjoy watching it grow. 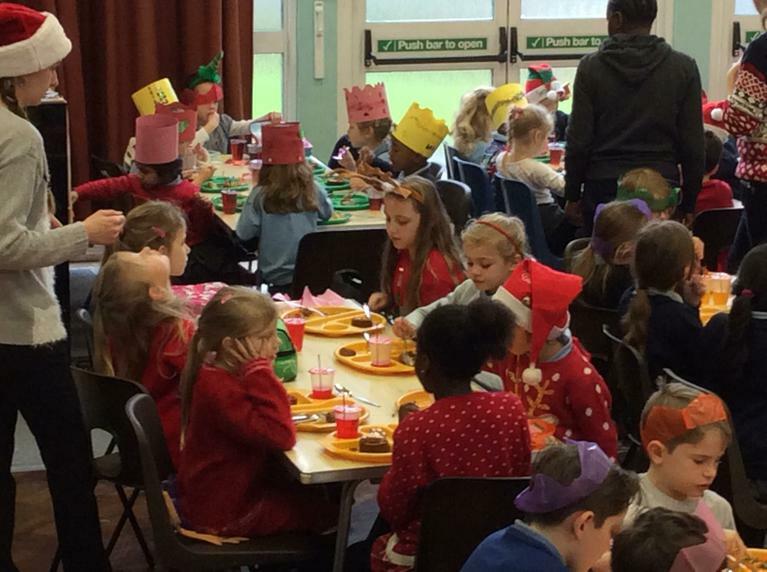 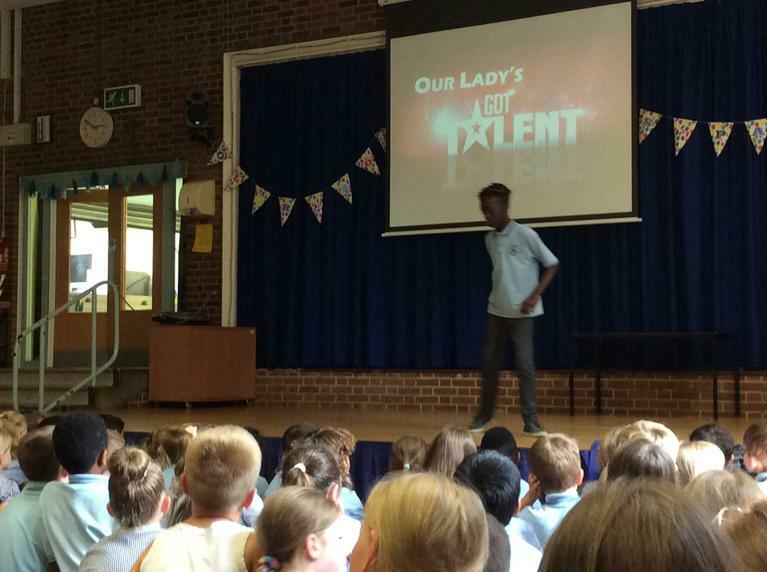 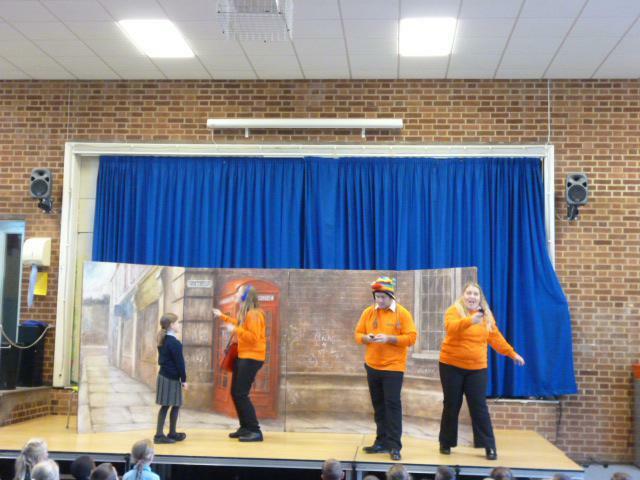 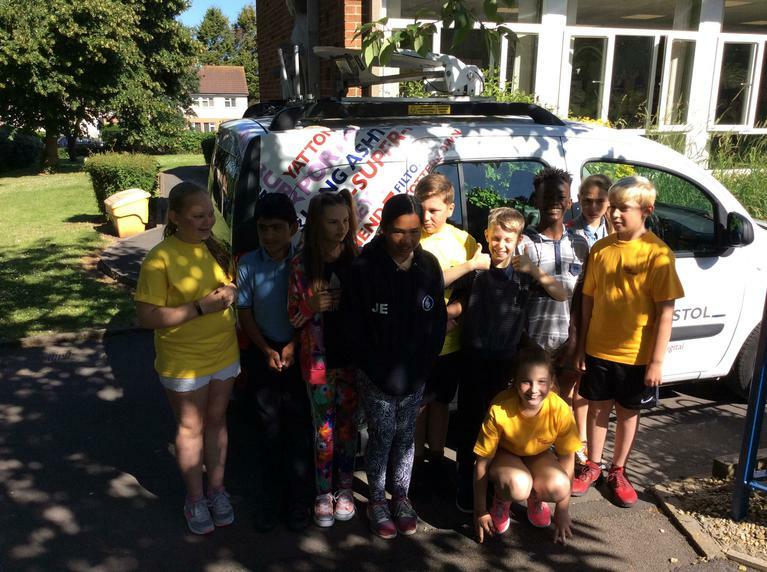 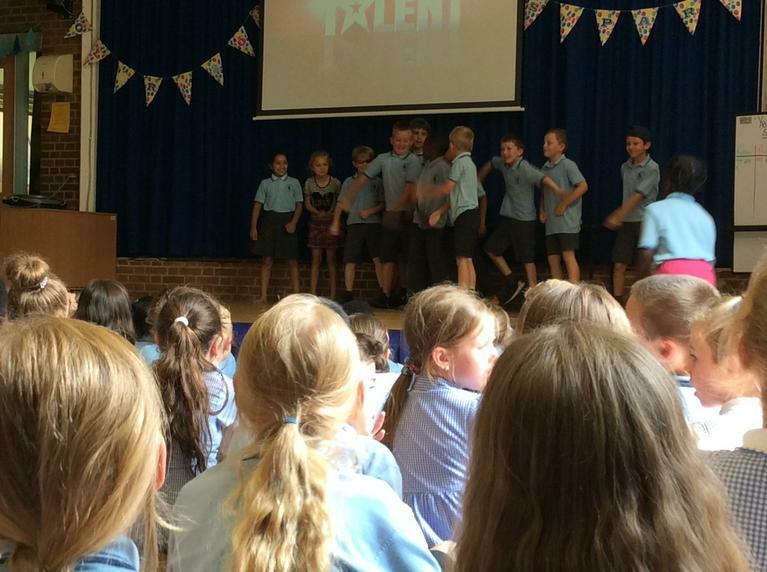 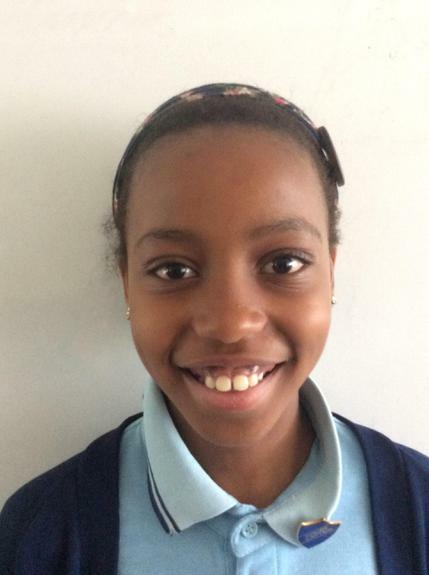 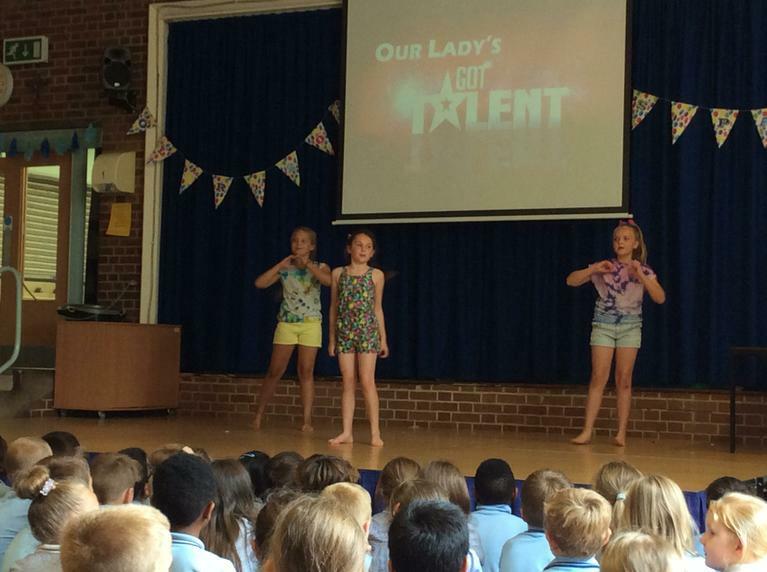 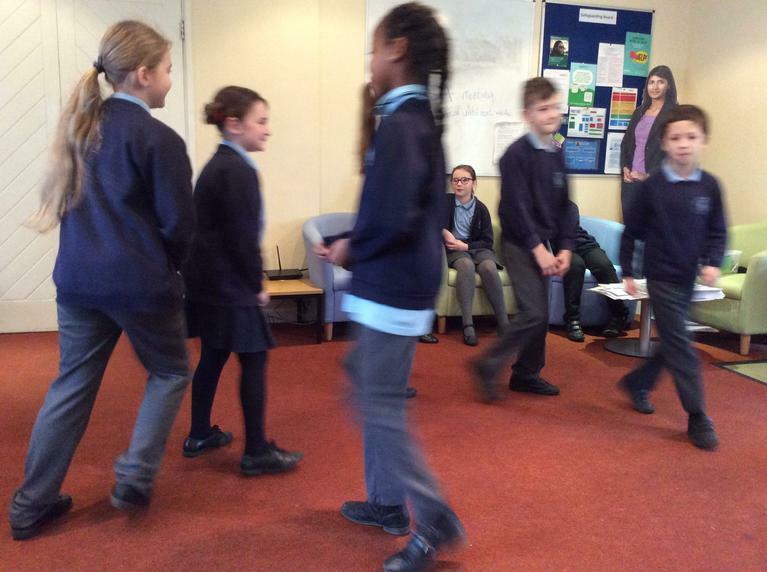 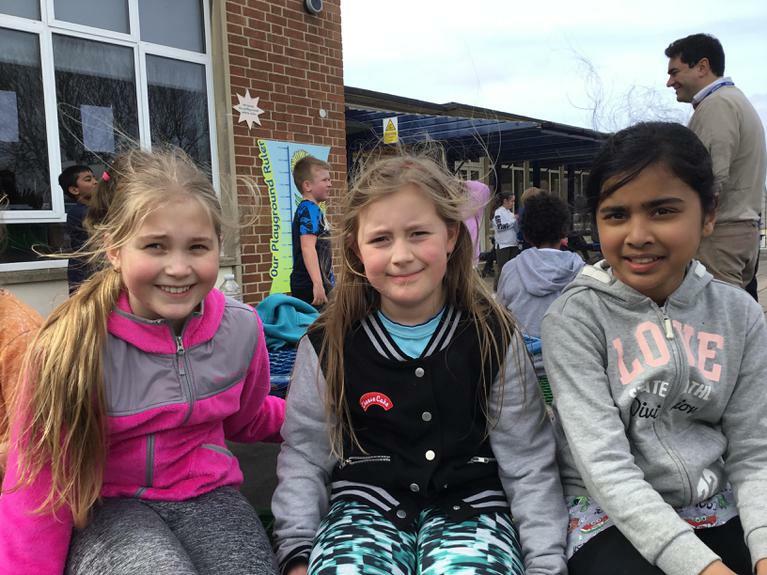 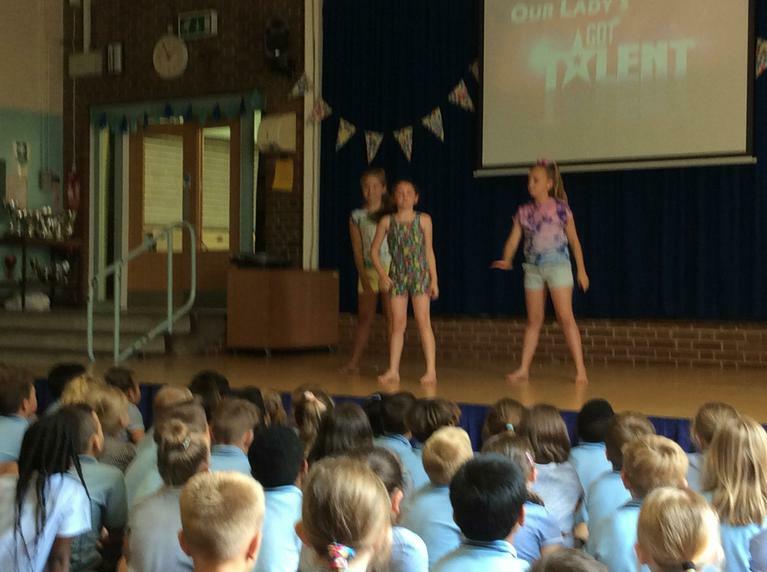 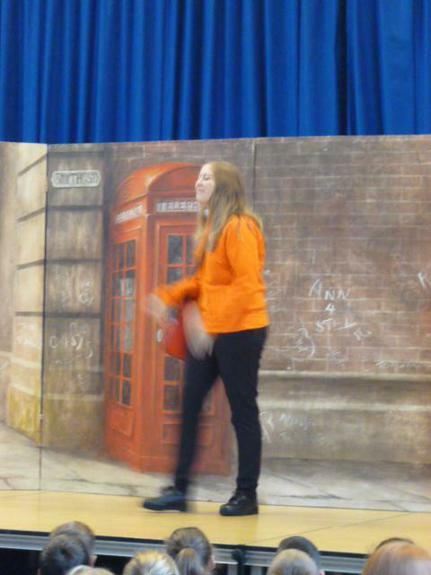 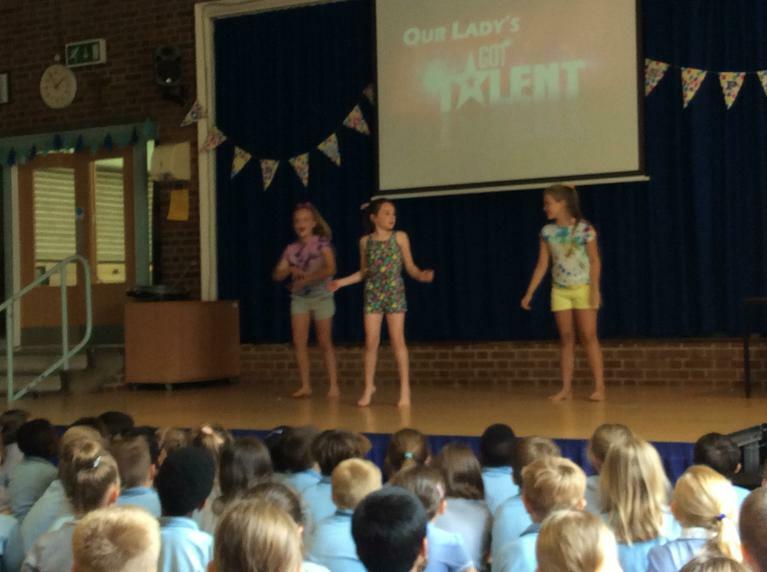 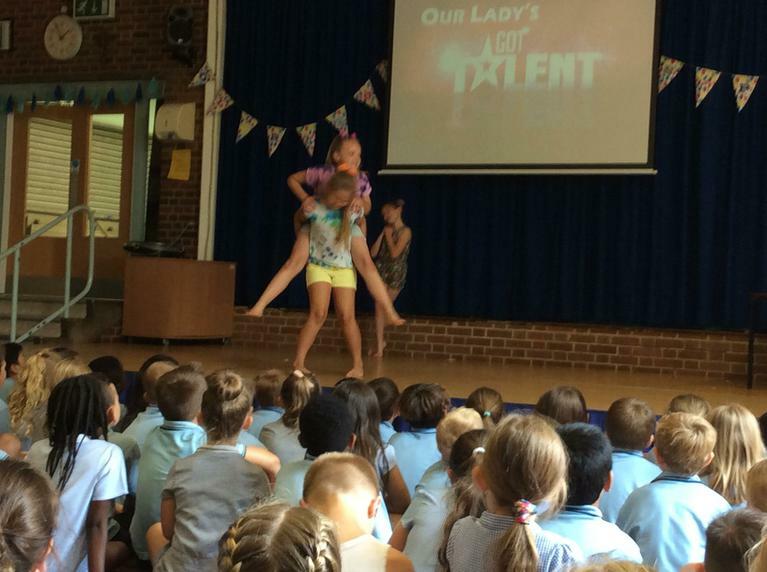 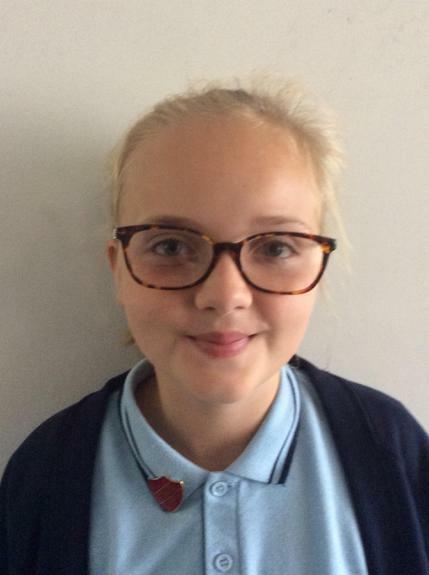 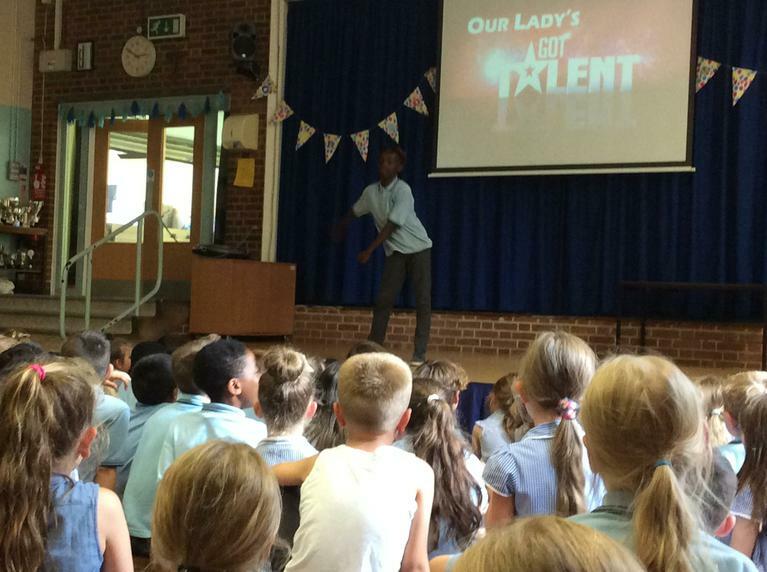 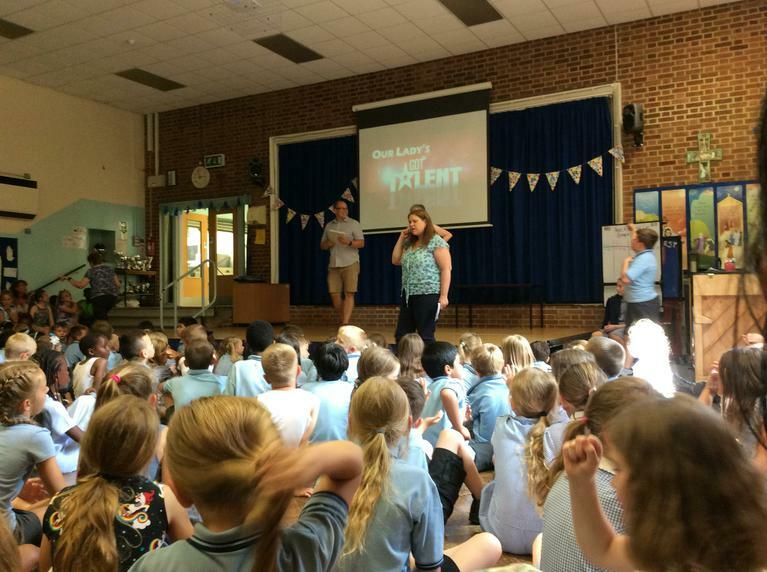 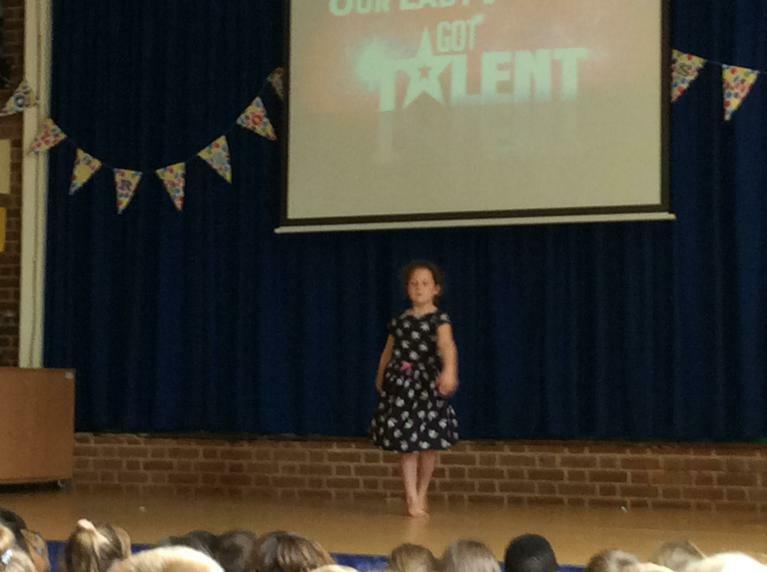 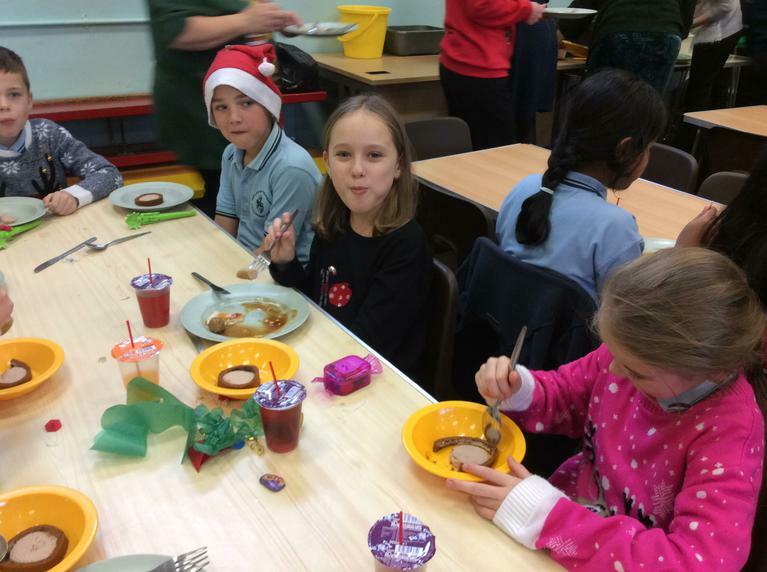 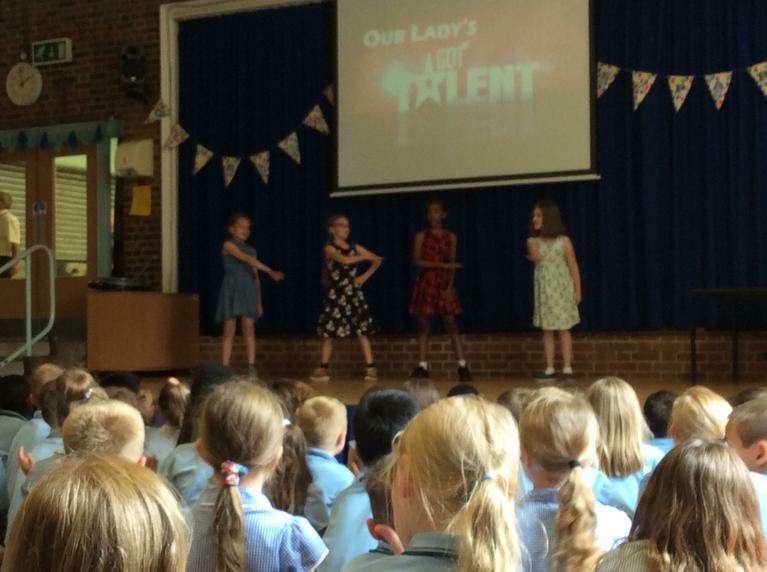 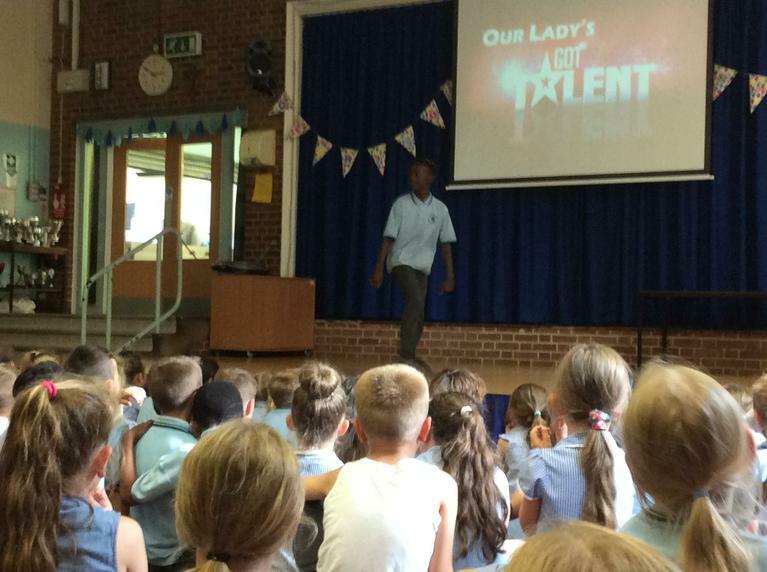 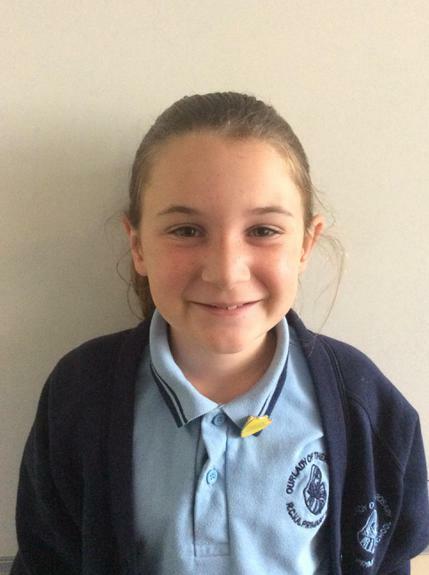 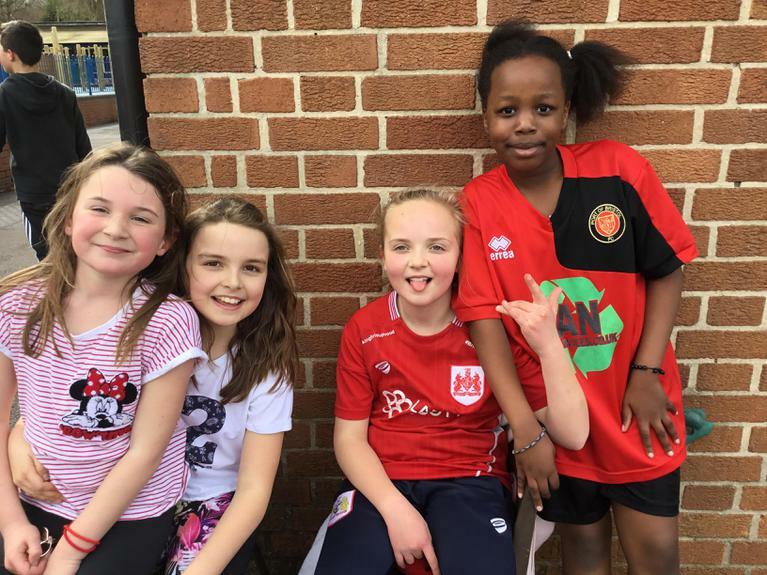 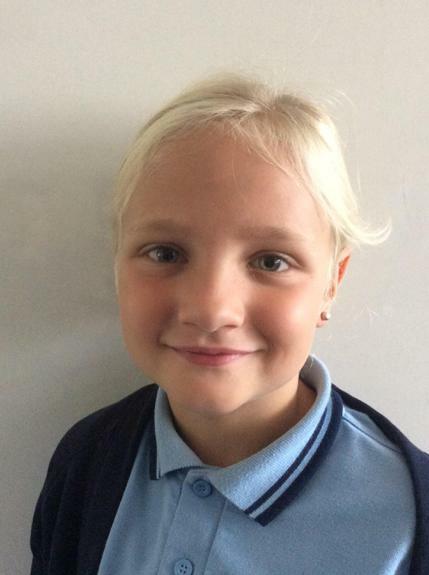 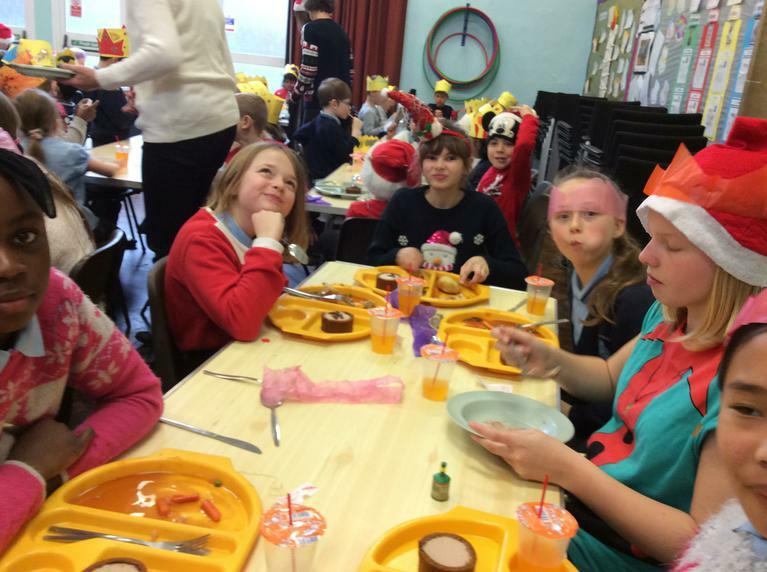 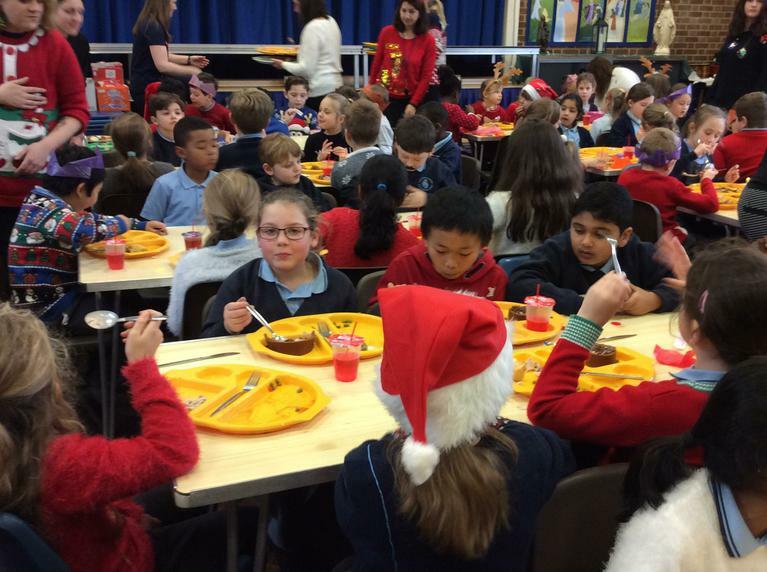 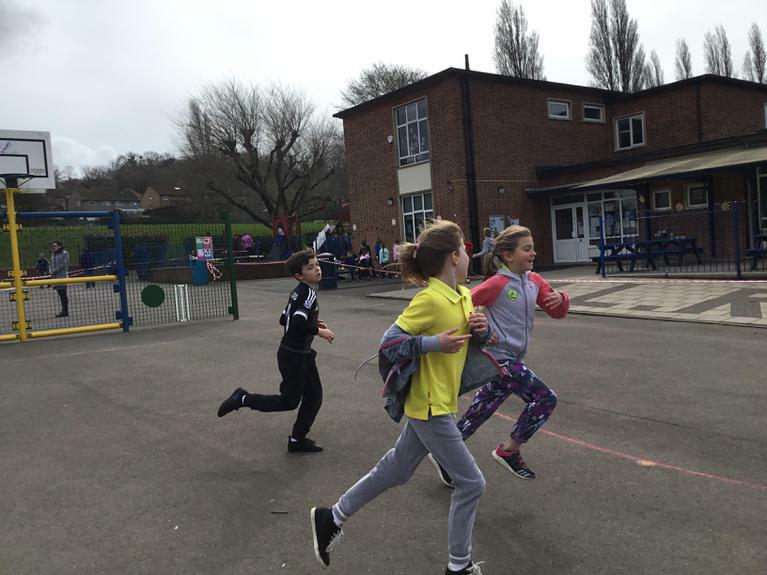 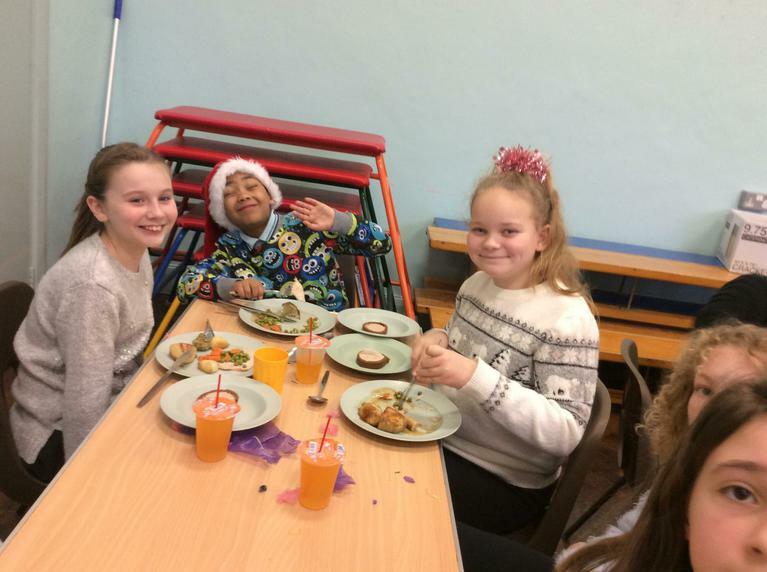 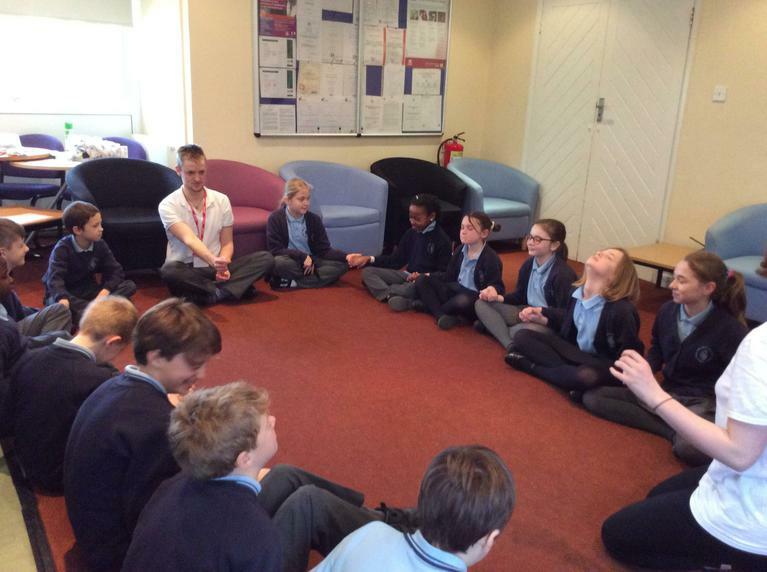 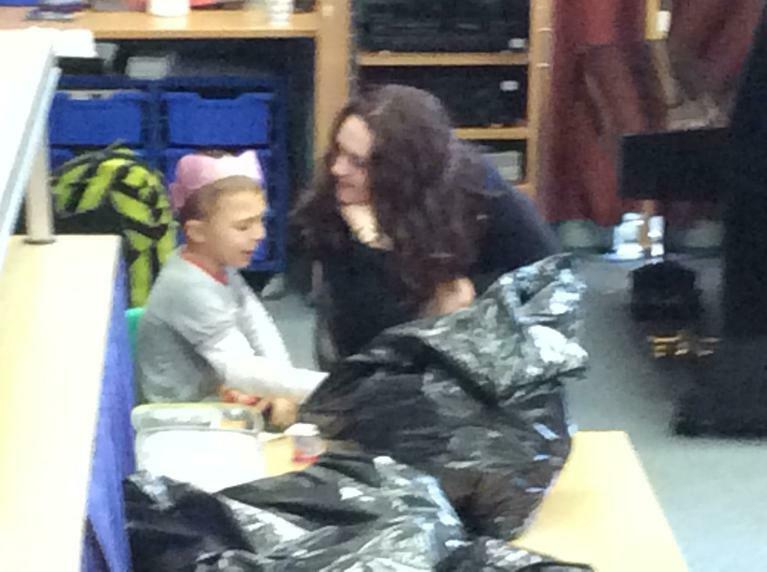 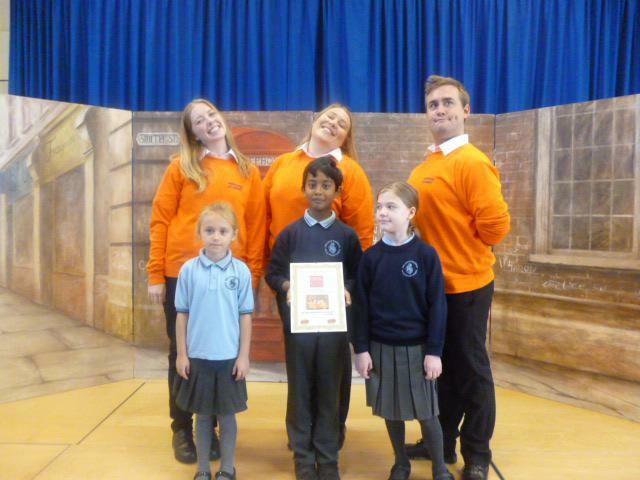 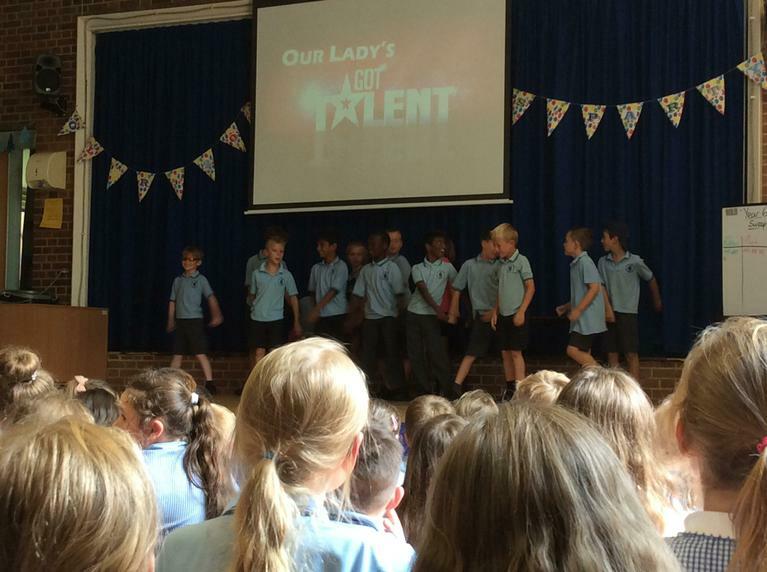 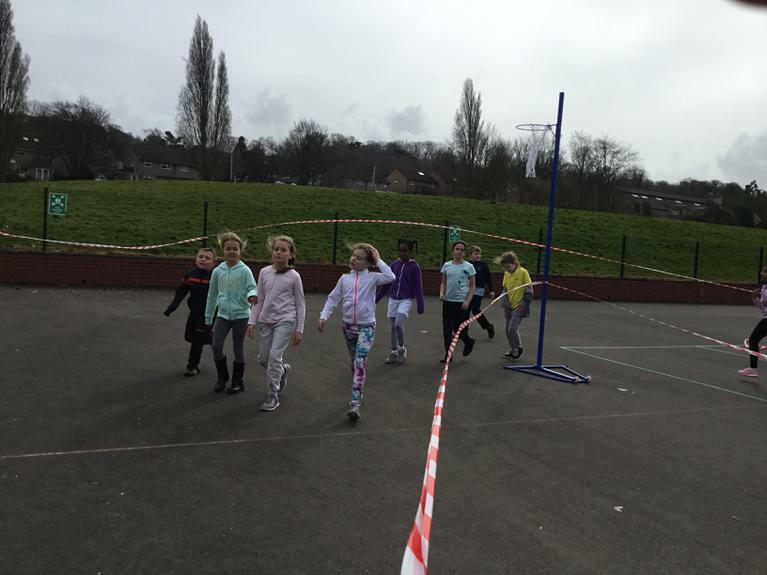 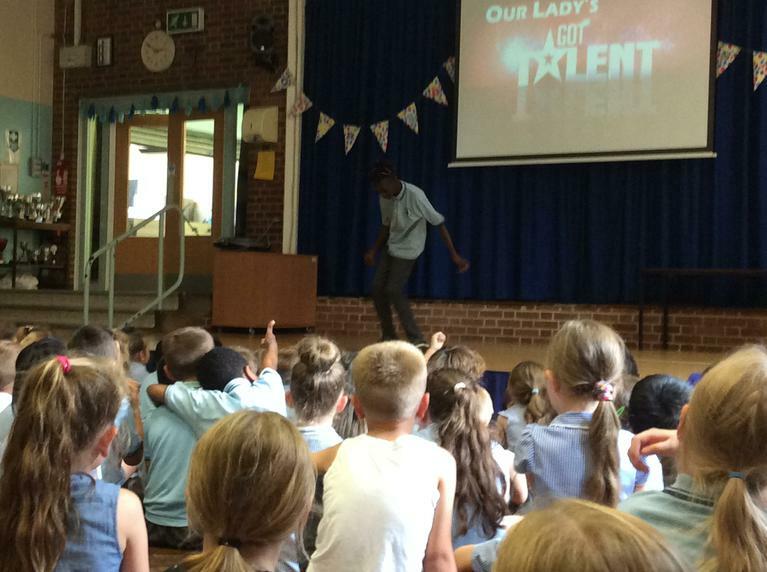 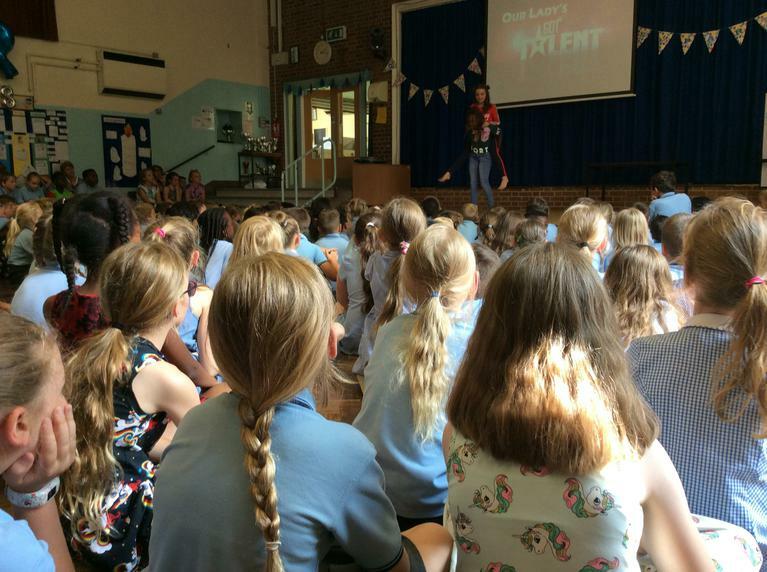 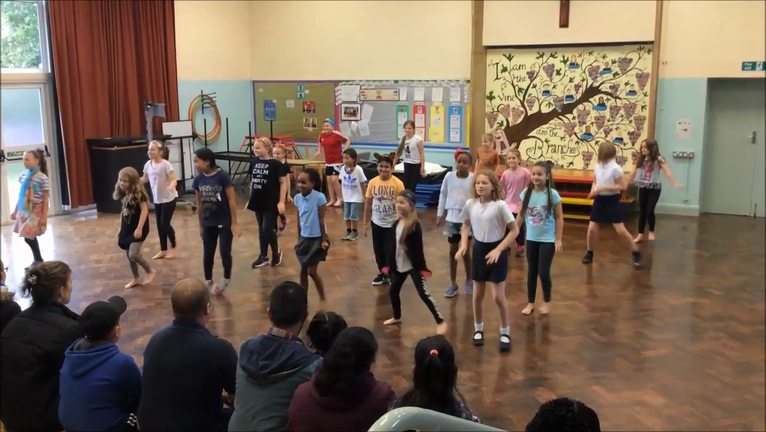 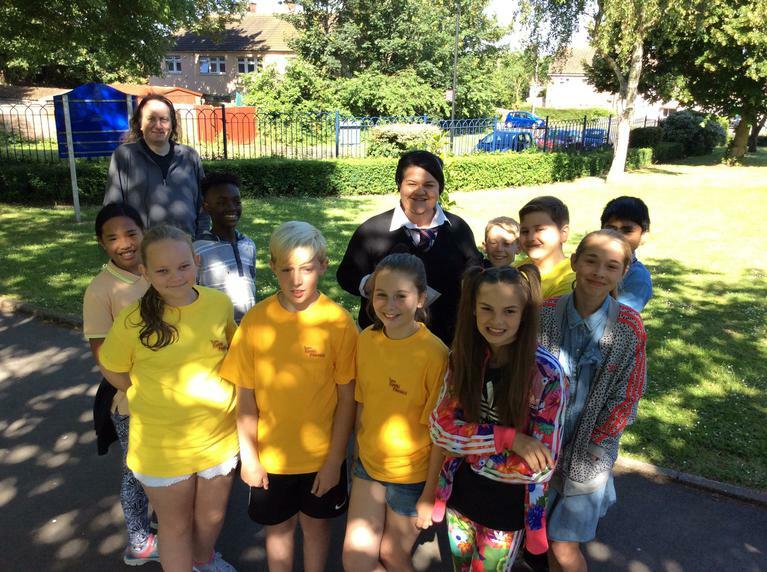 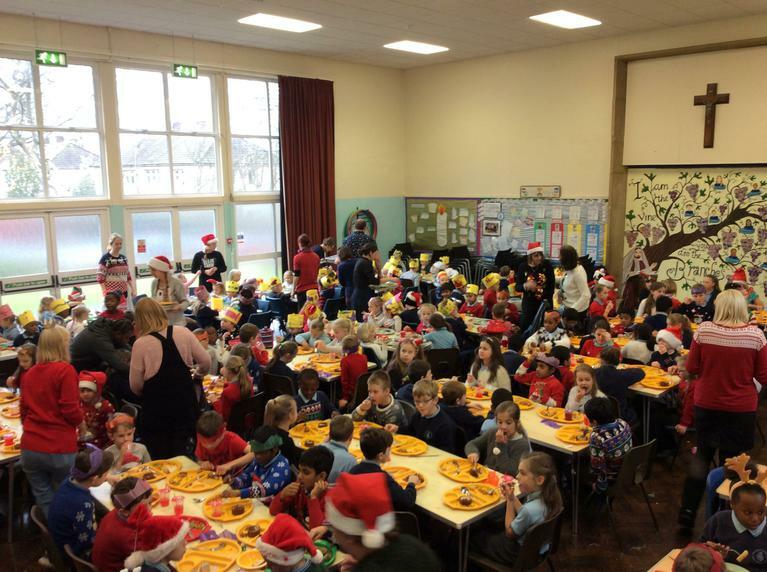 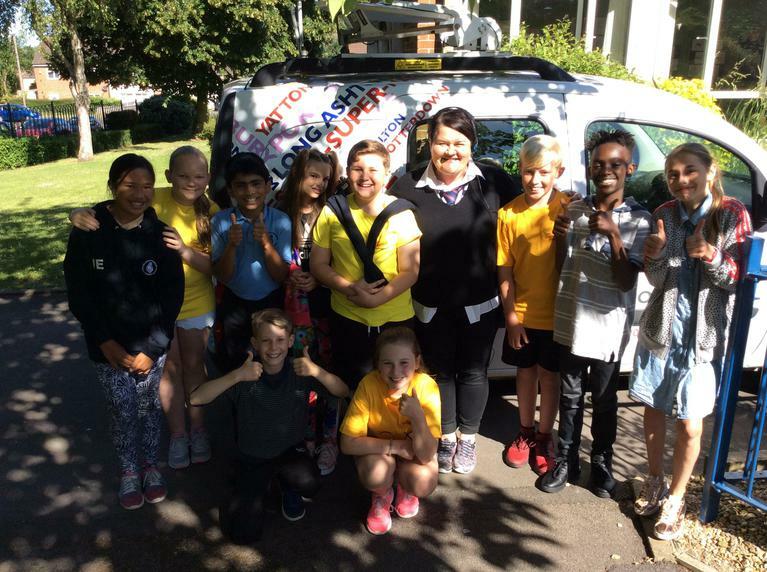 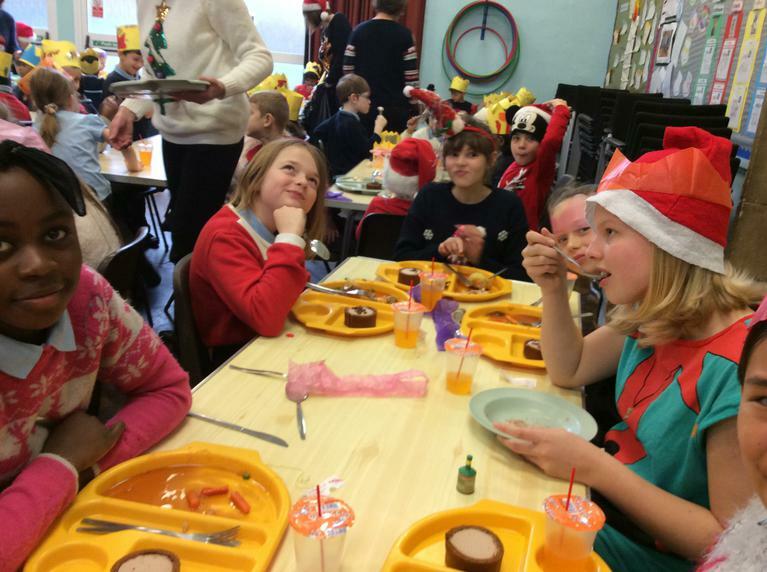 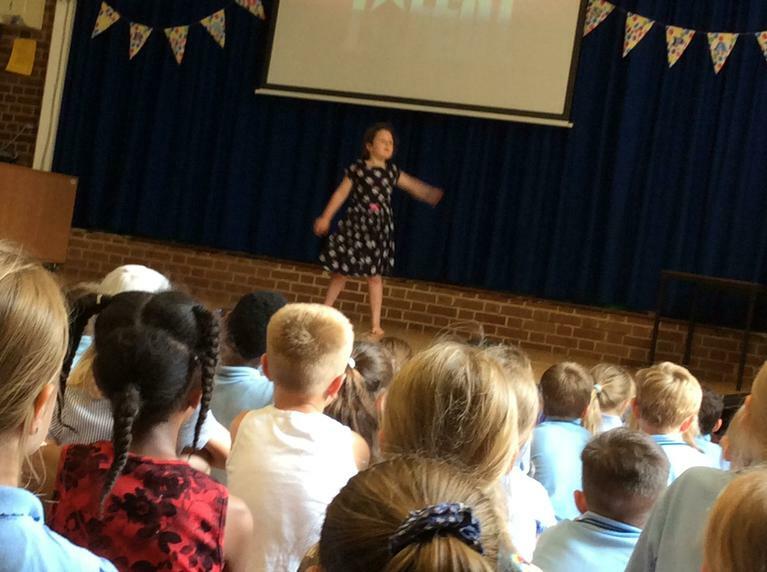 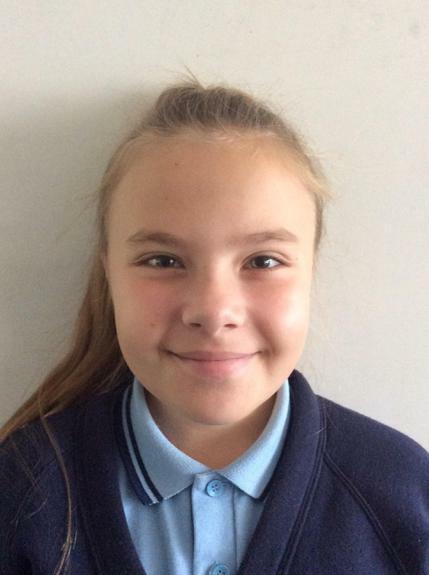 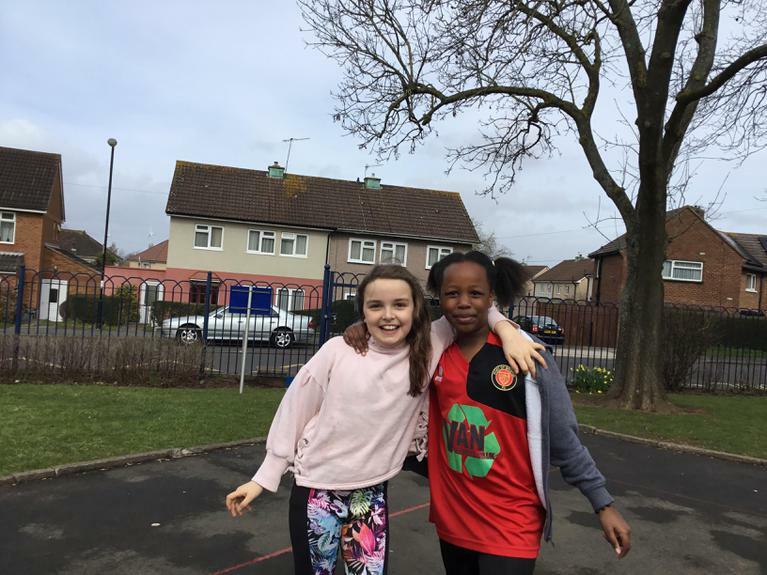 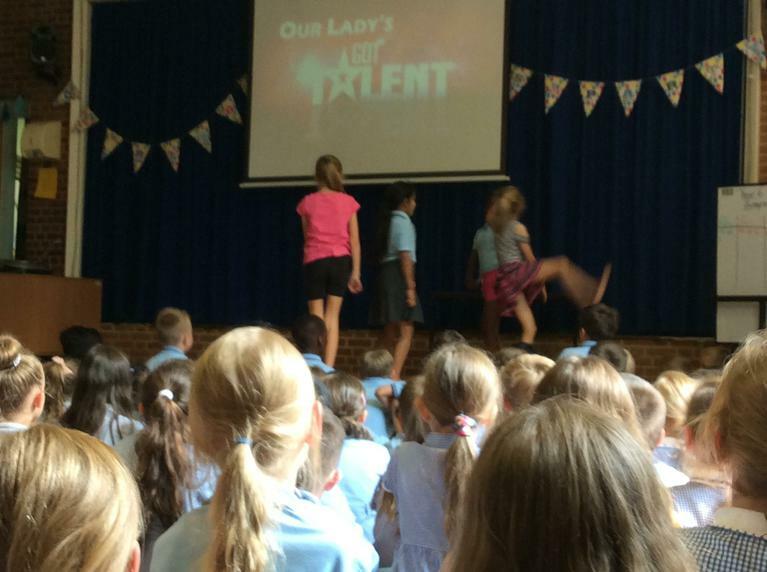 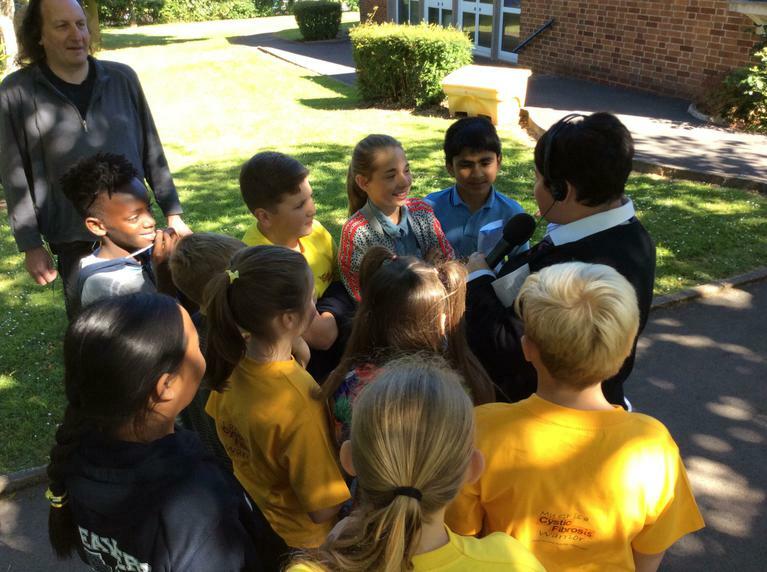 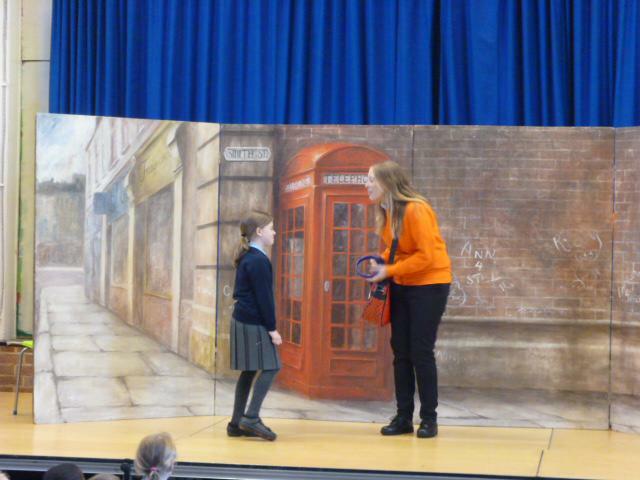 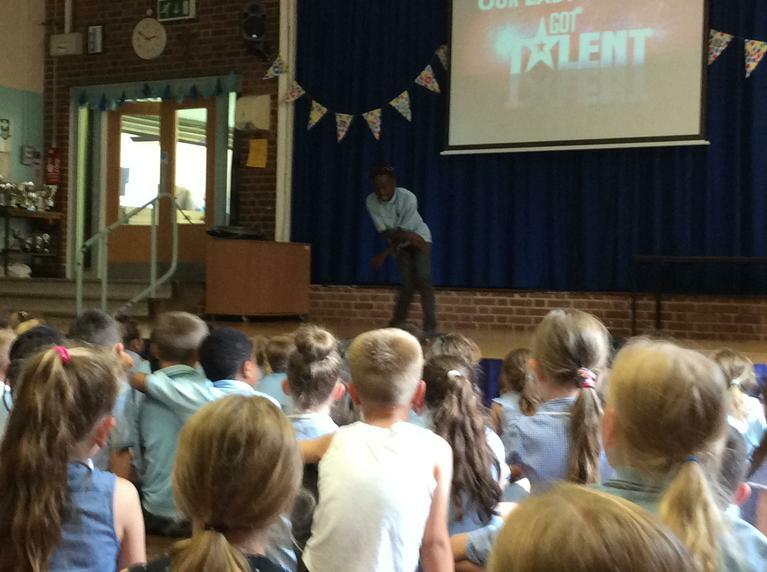 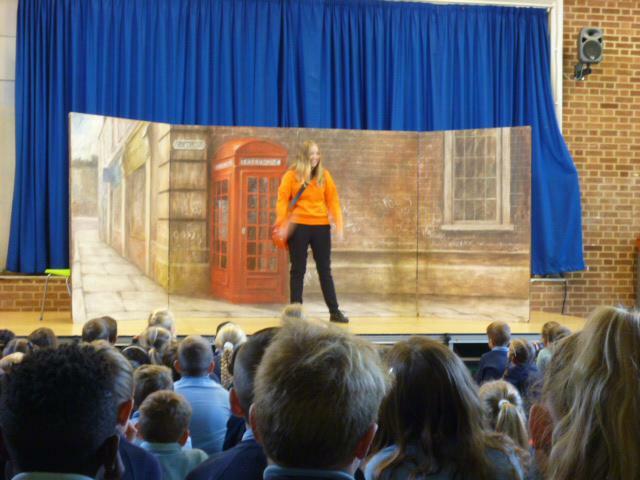 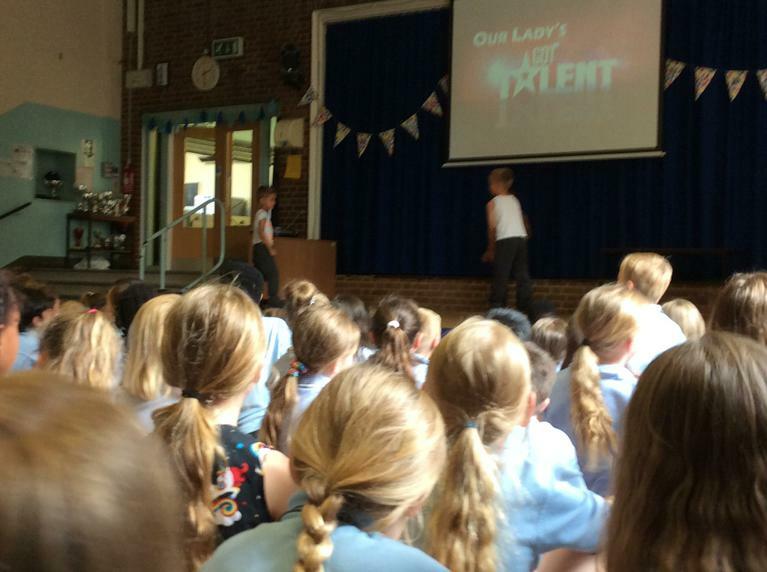 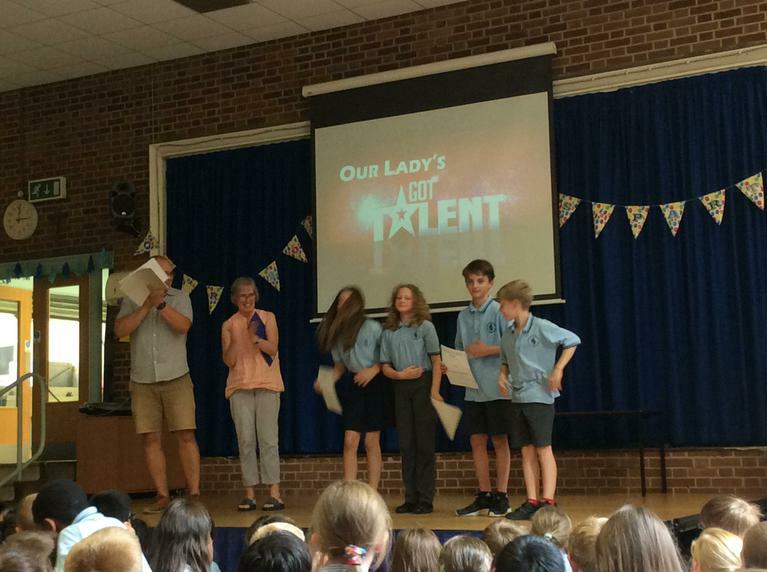 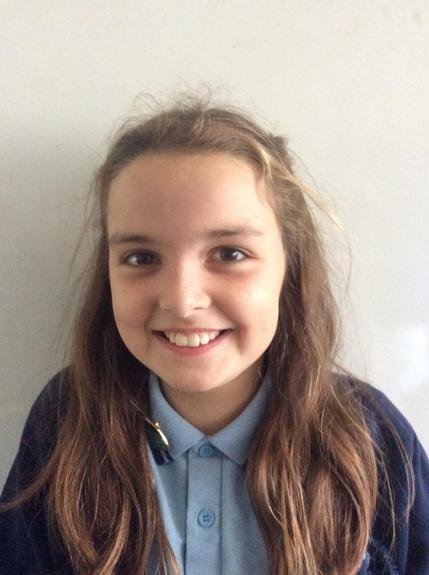 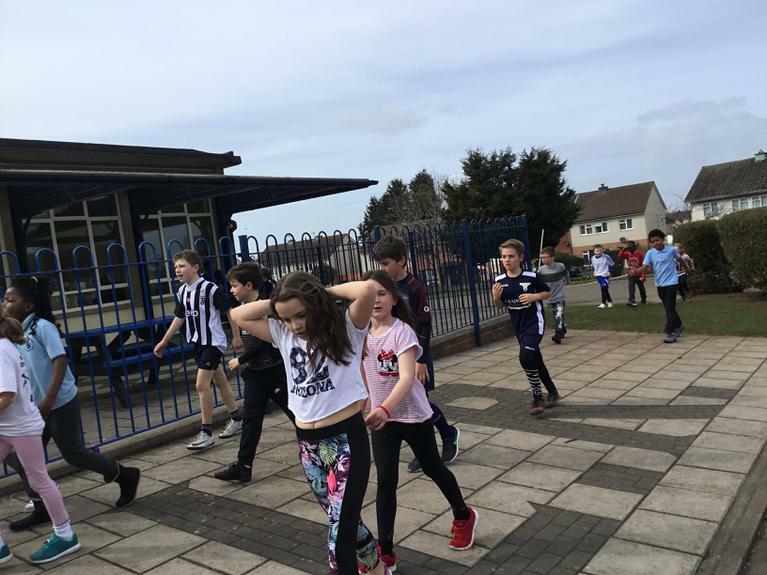 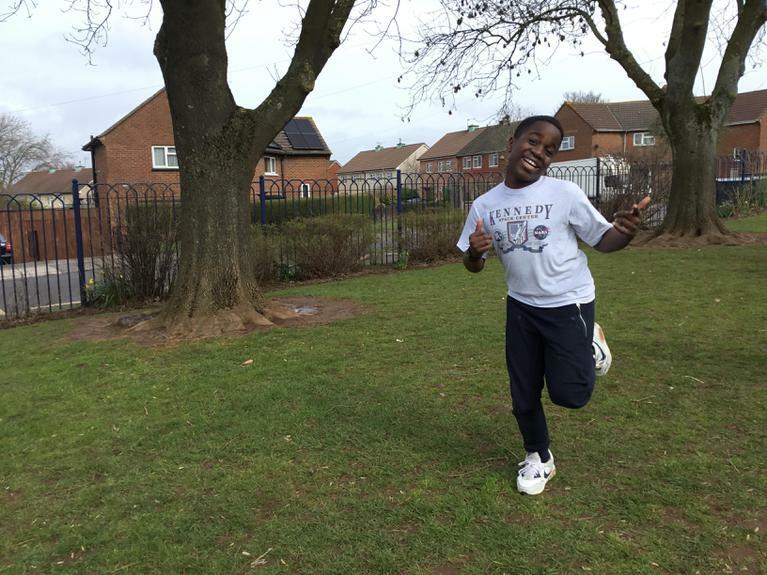 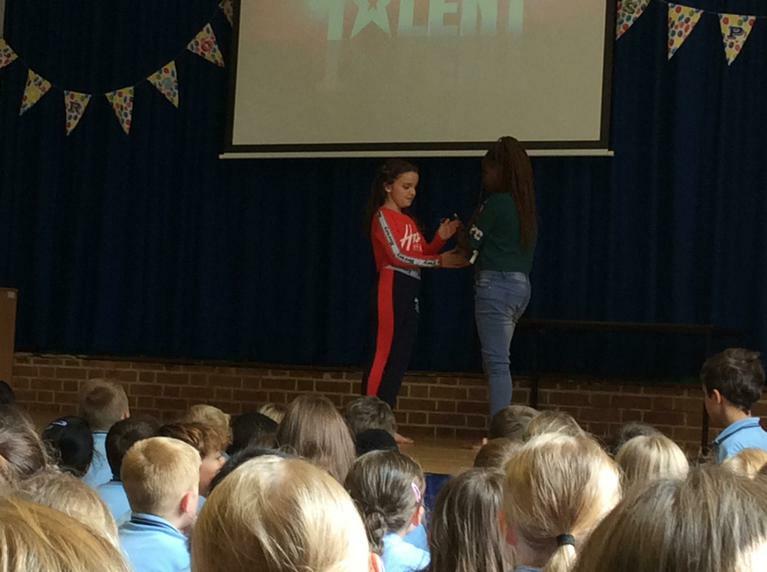 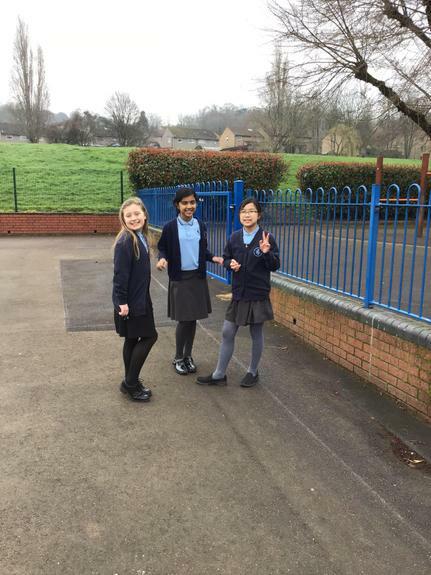 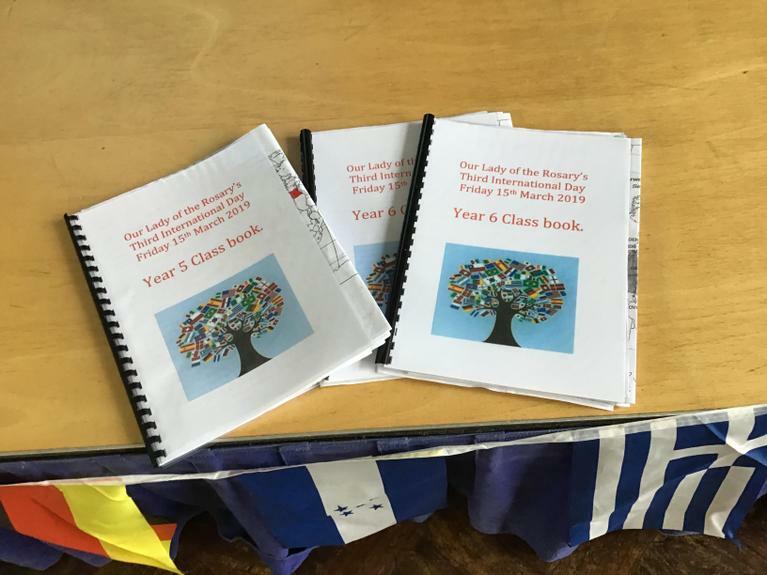 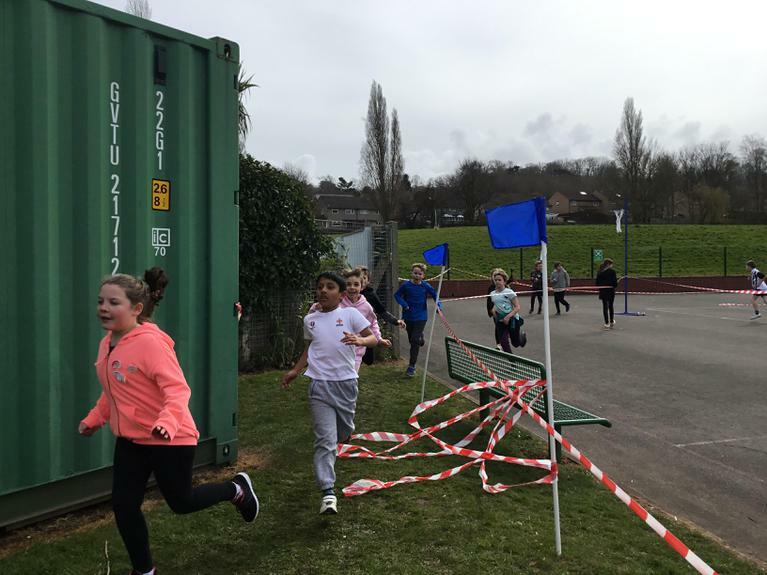 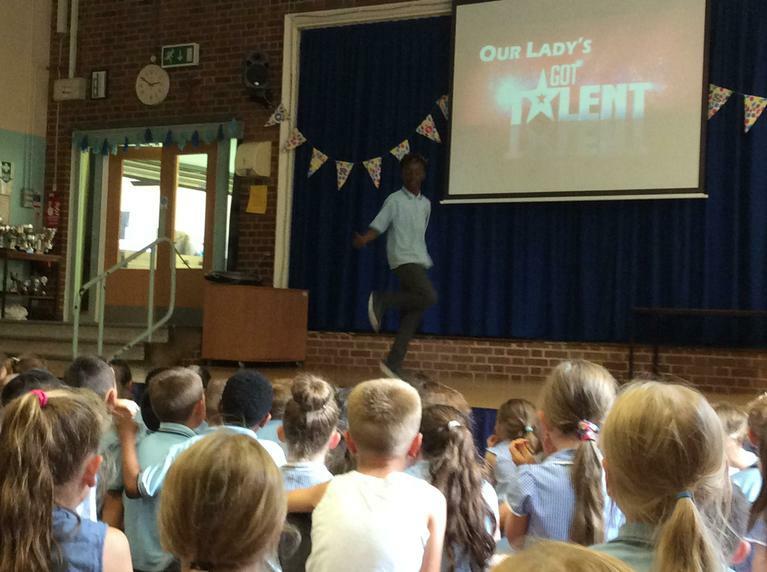 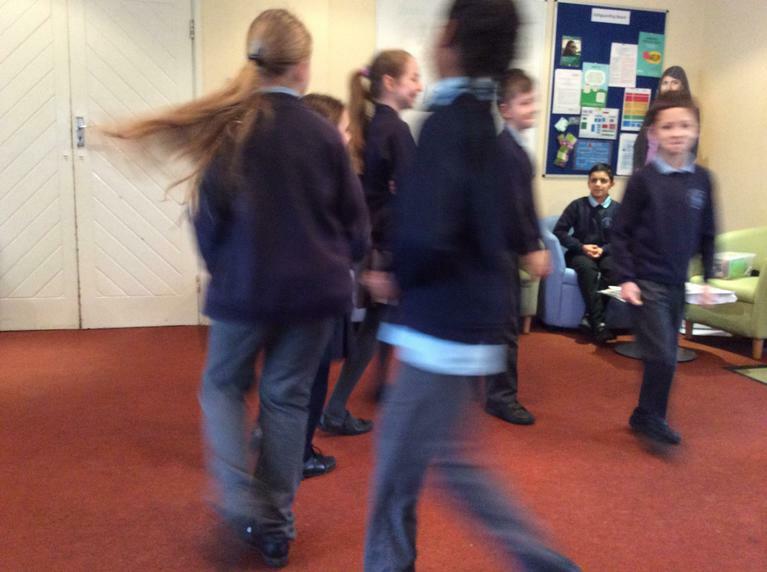 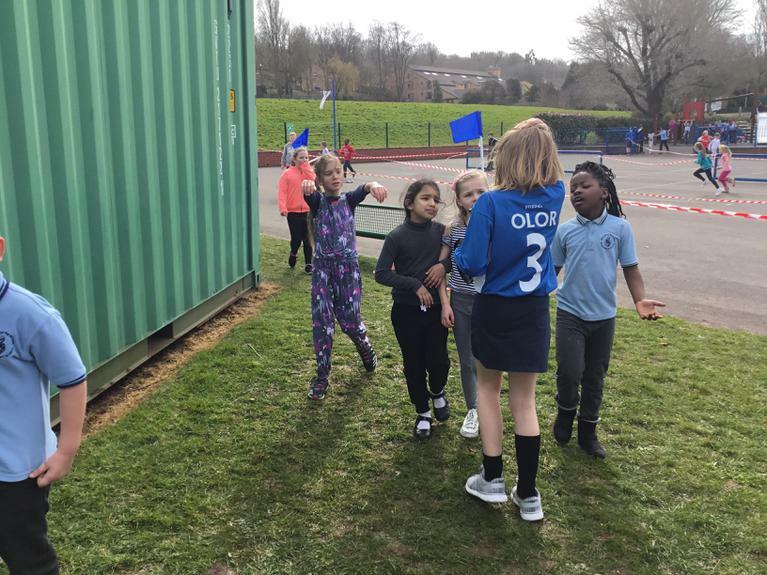 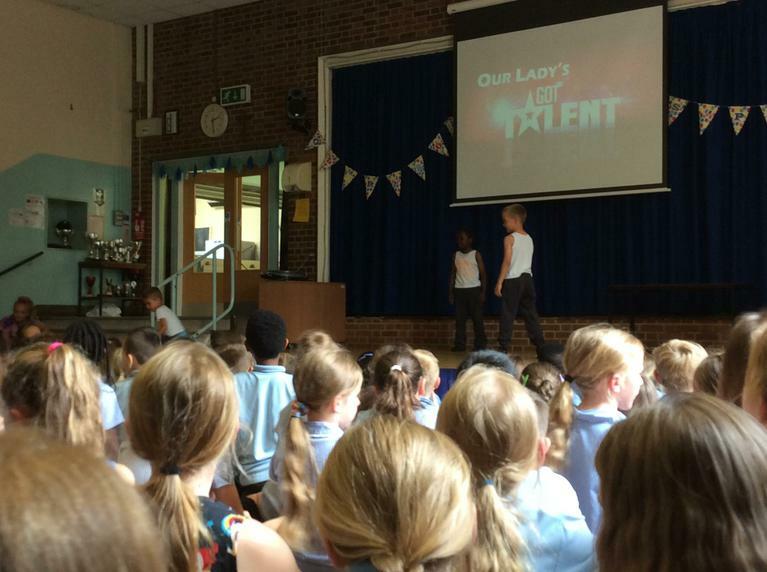 The school dance club is run by Miss Sarah Stone and supported by D of E volunteersLucy Stone and Anna-Claire Lux. 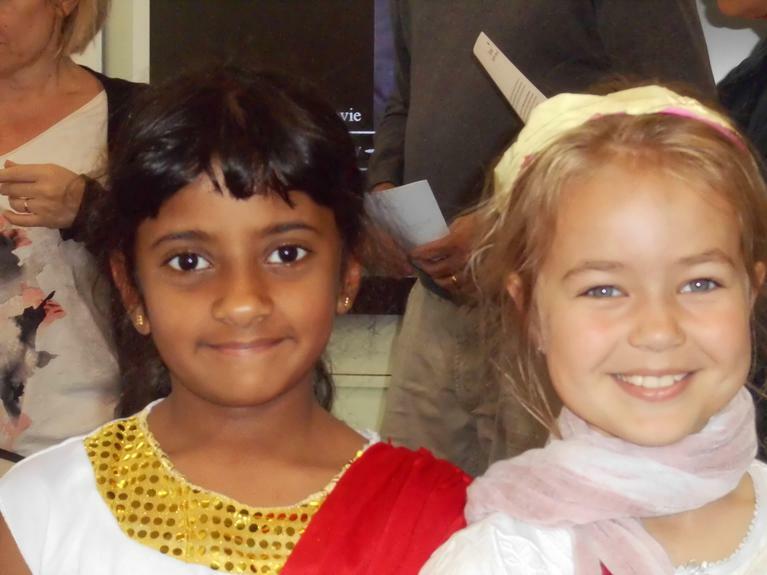 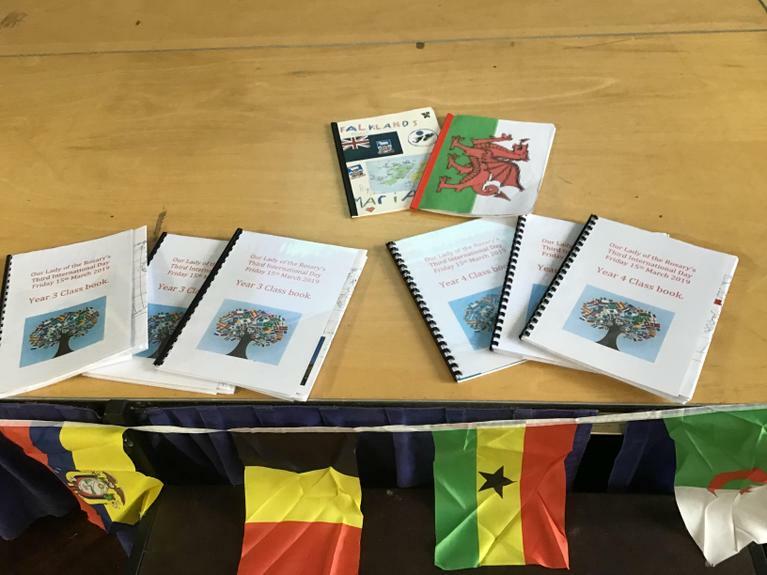 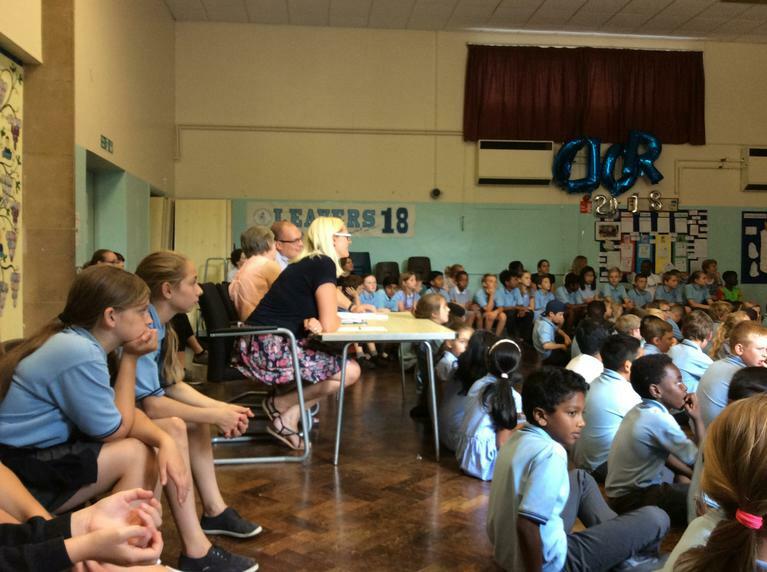 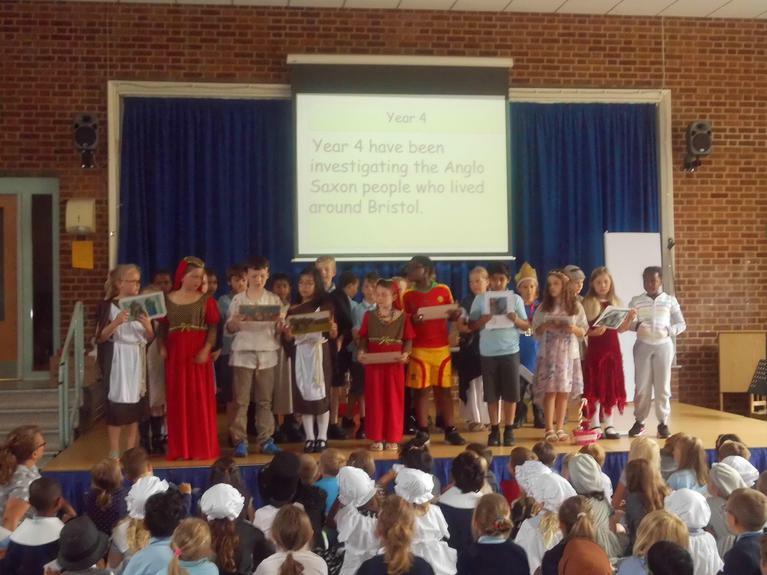 We held our first Local History Day on Friday 23rd June . 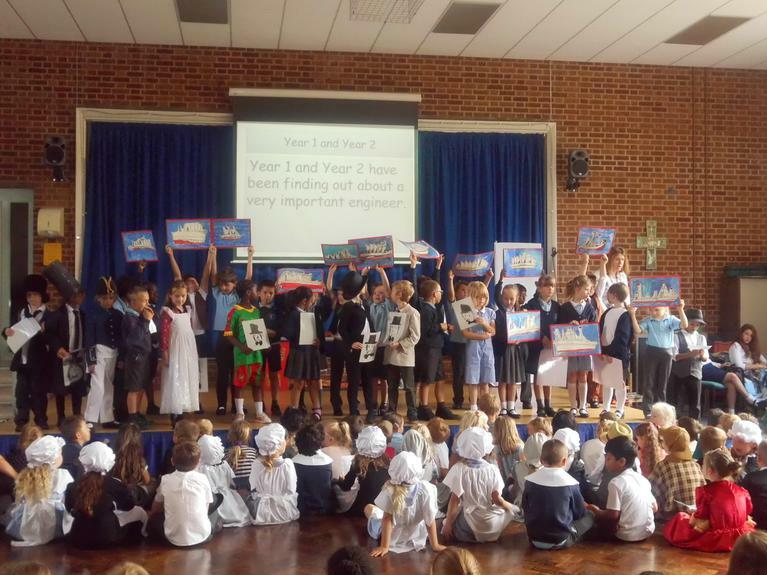 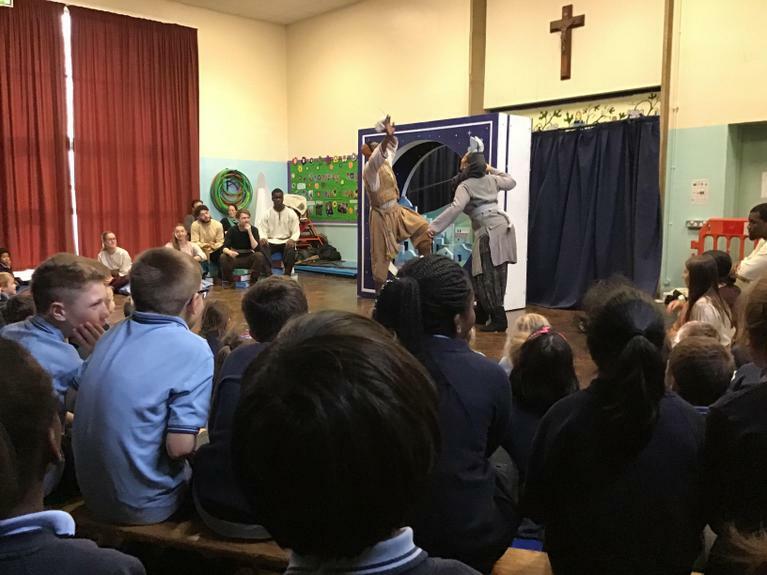 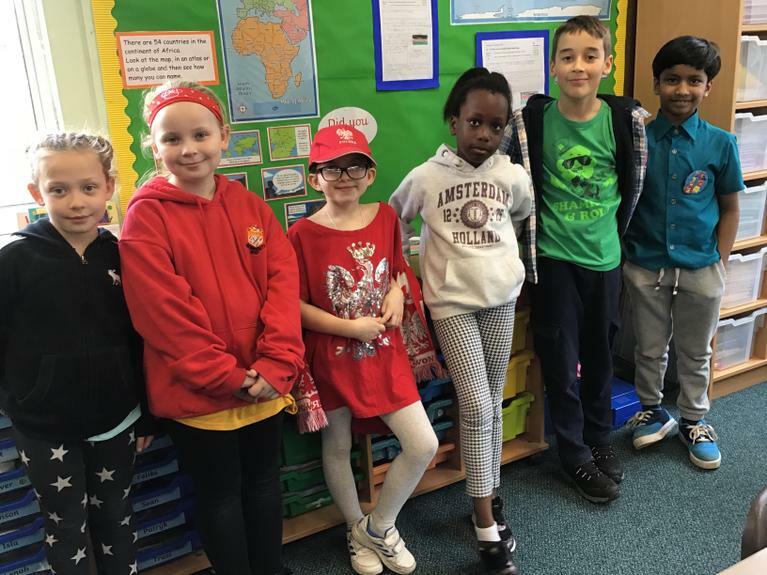 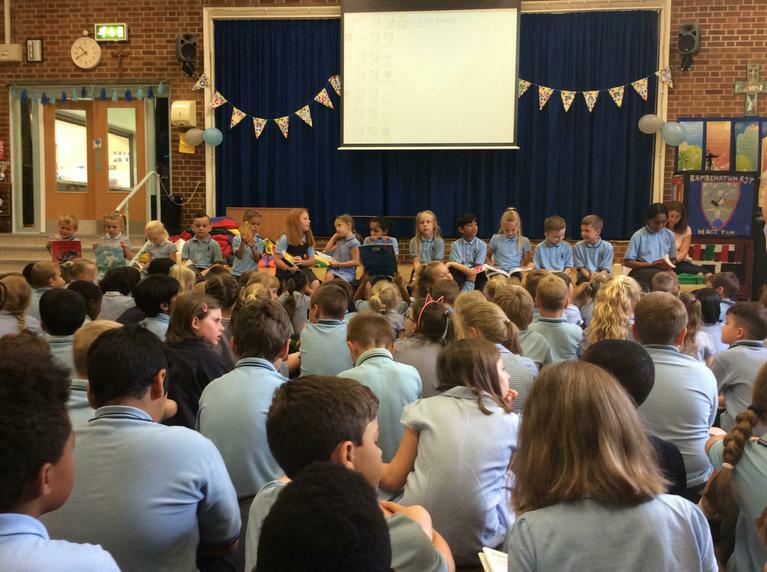 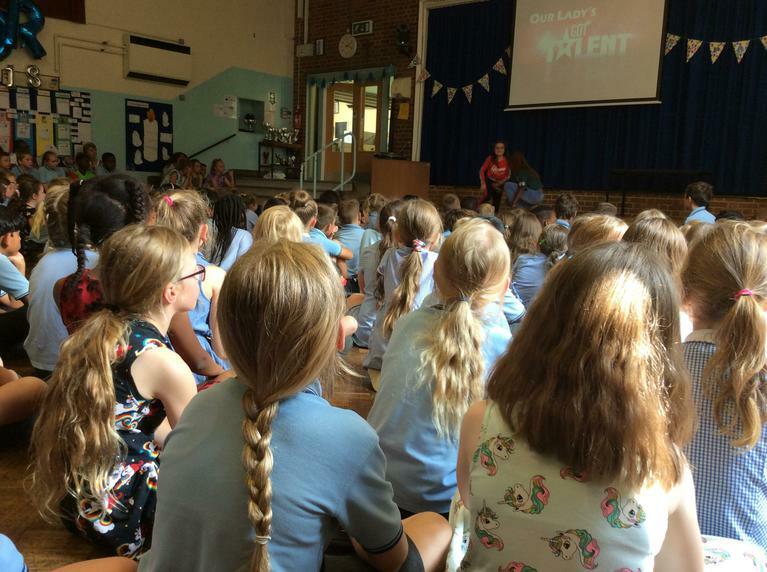 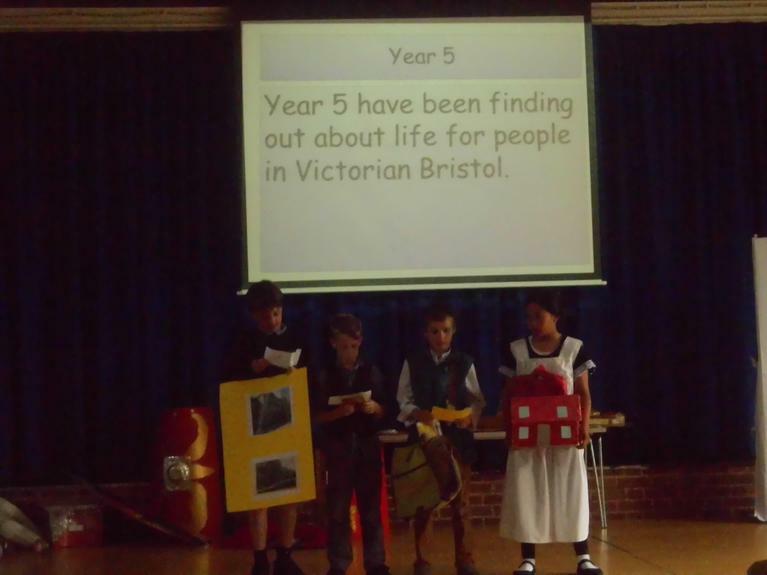 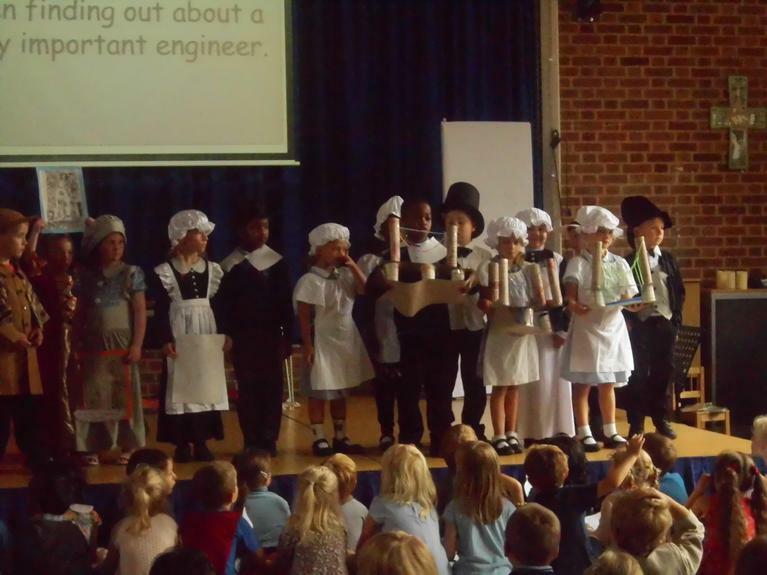 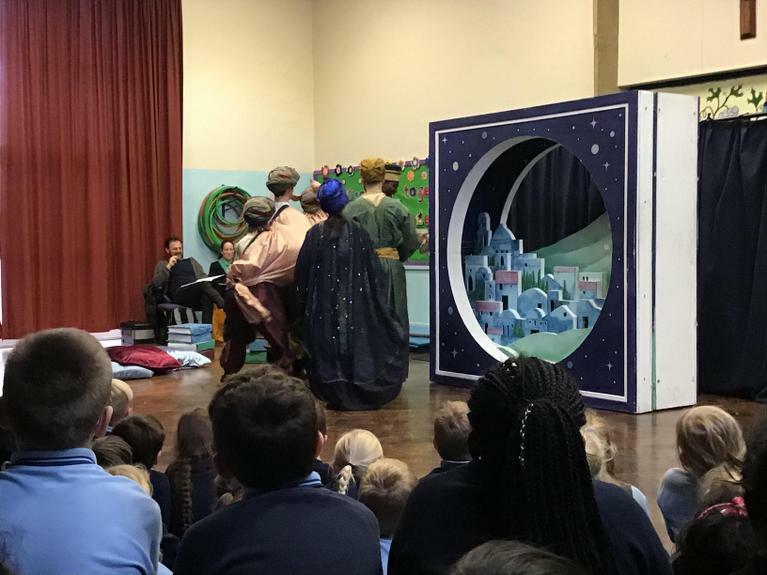 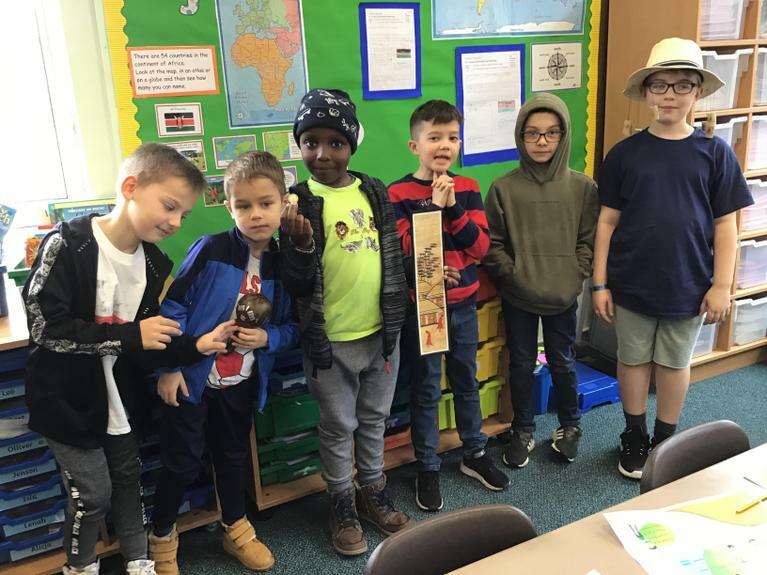 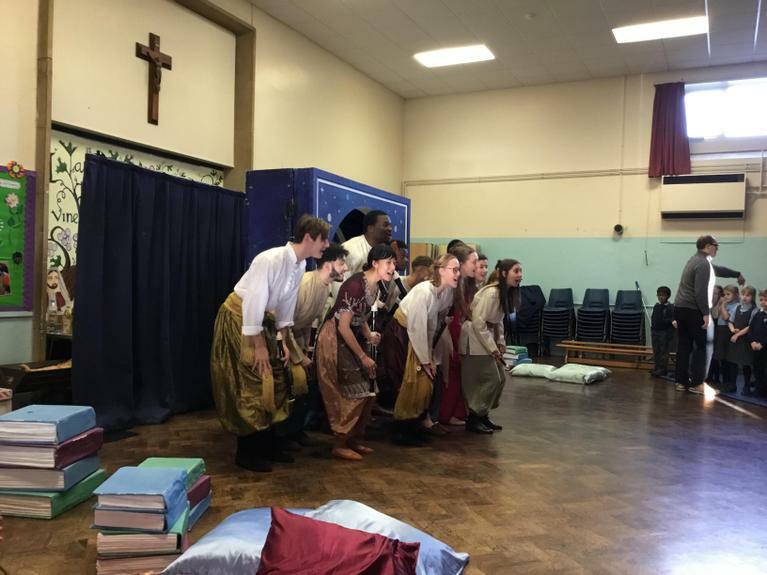 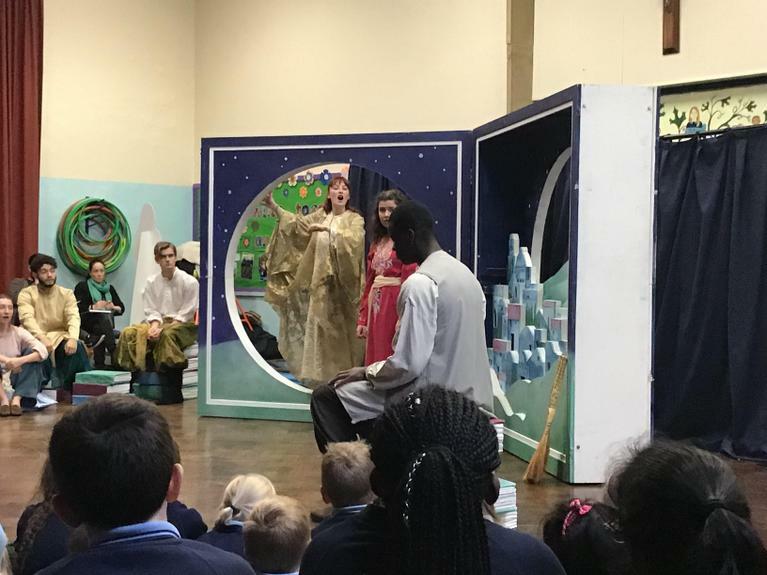 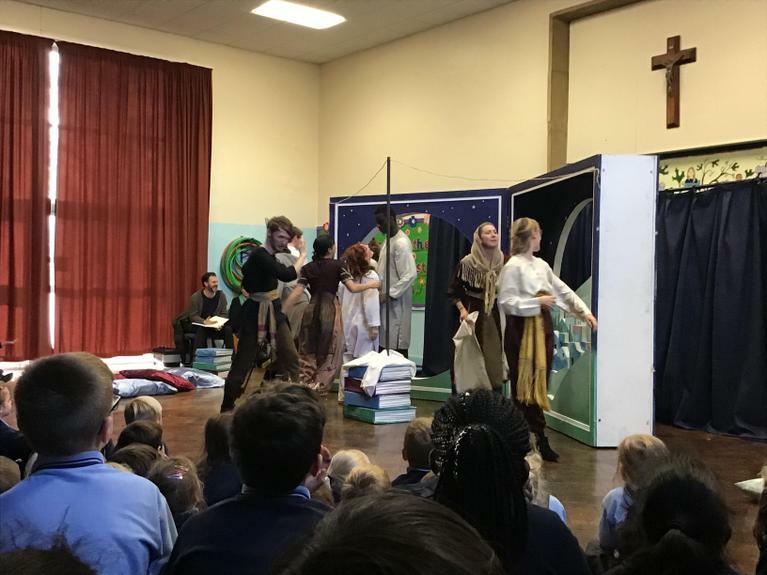 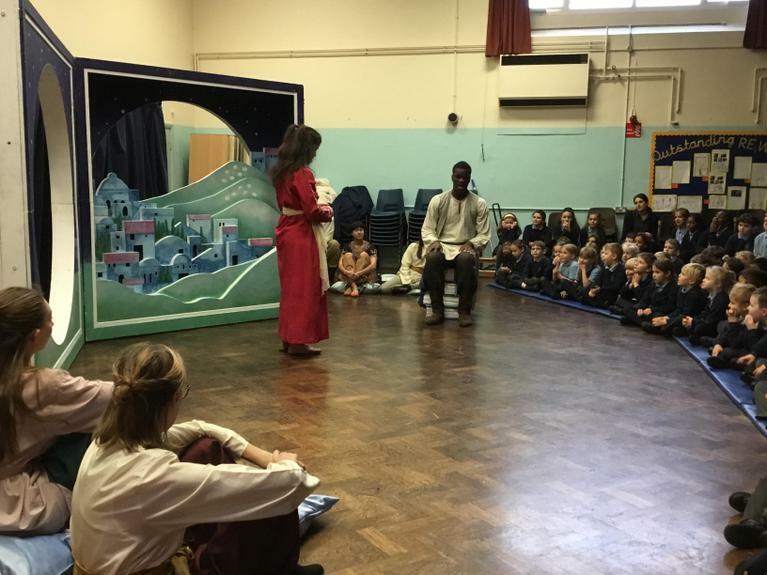 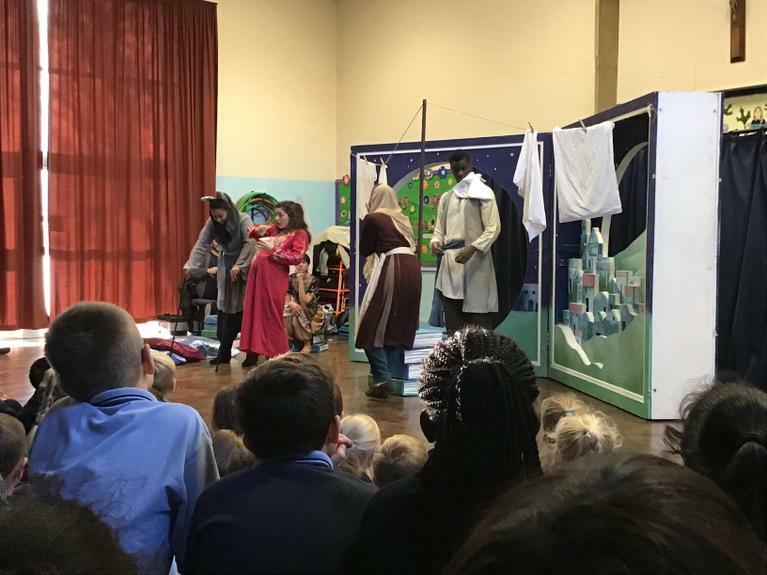 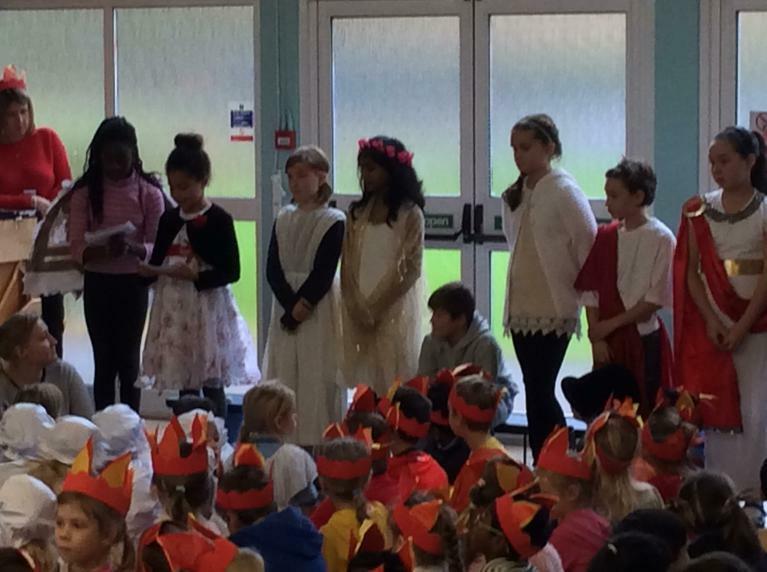 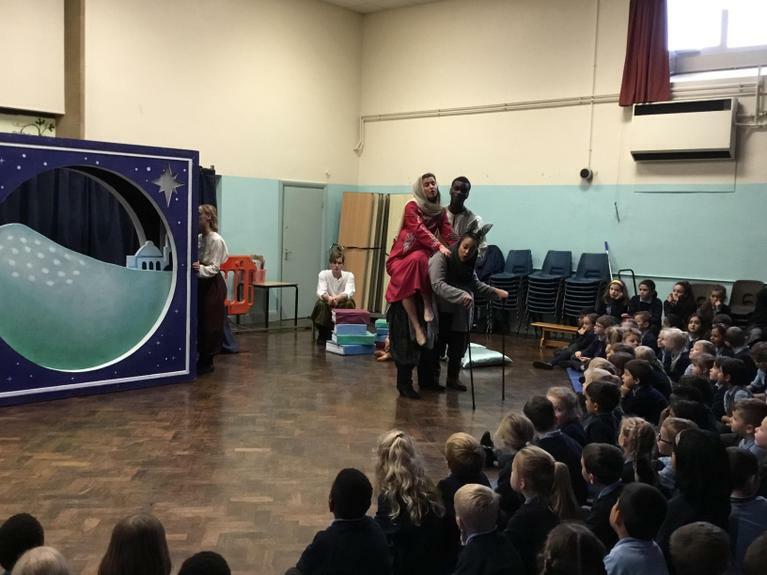 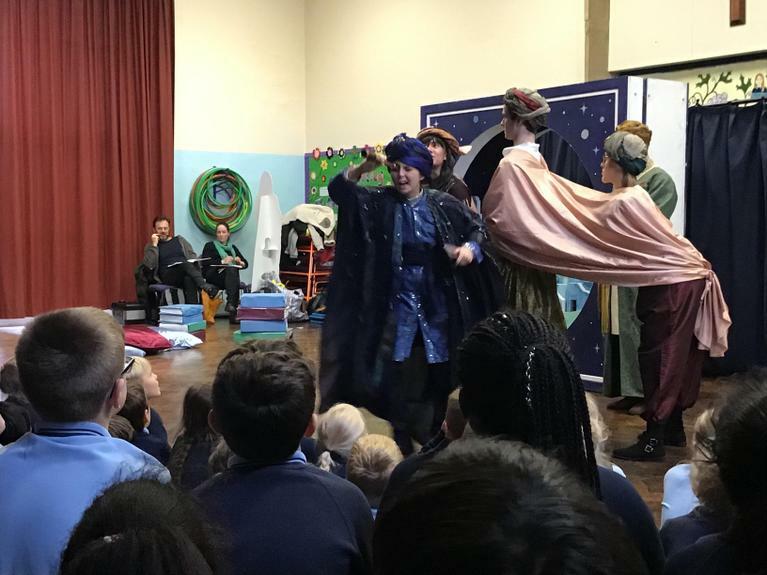 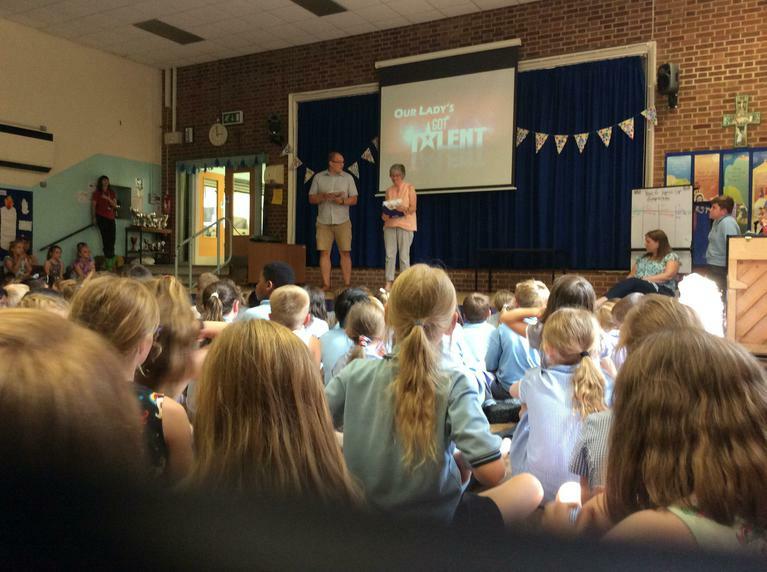 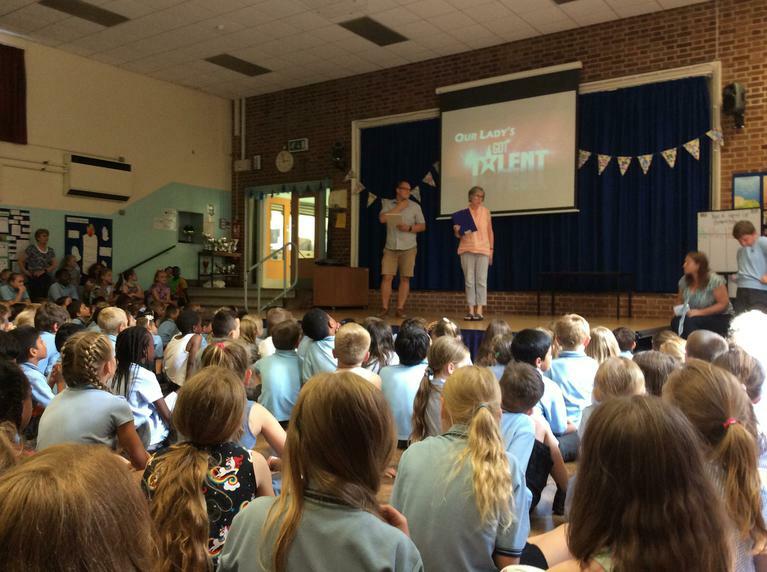 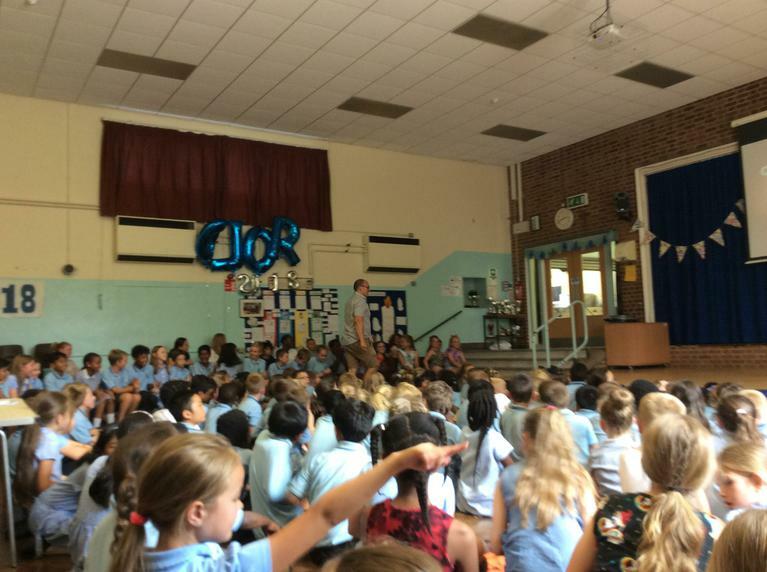 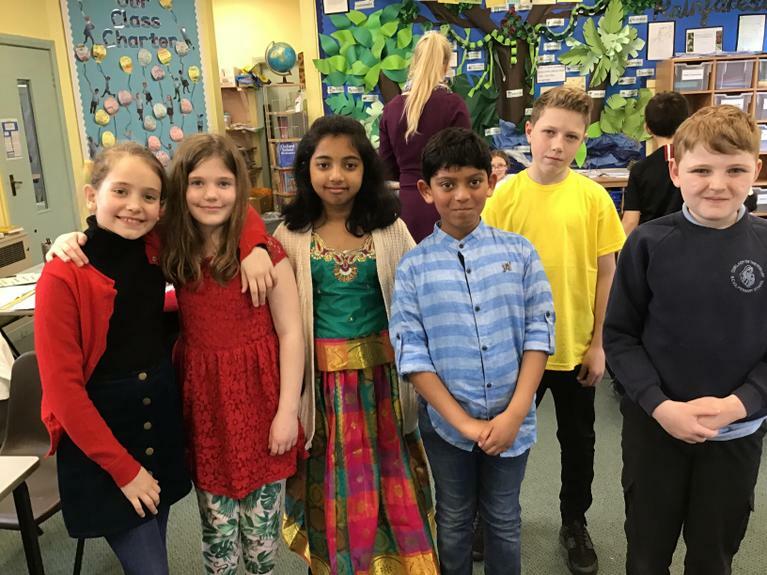 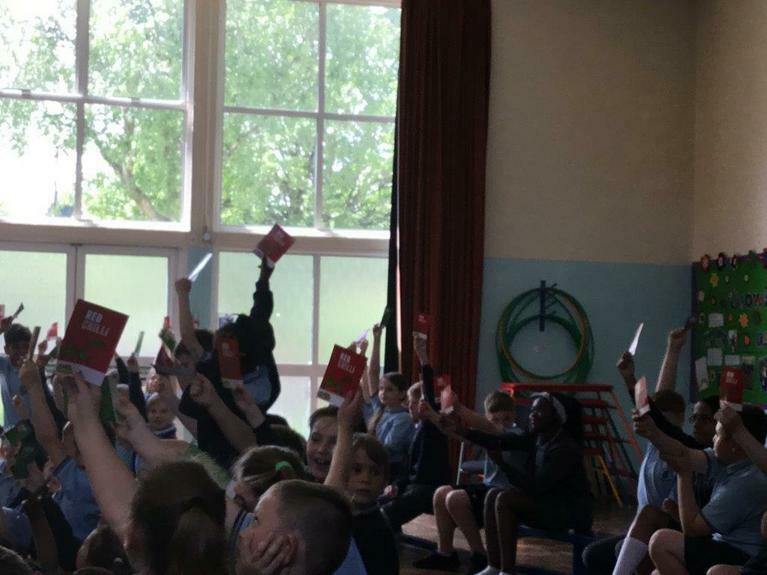 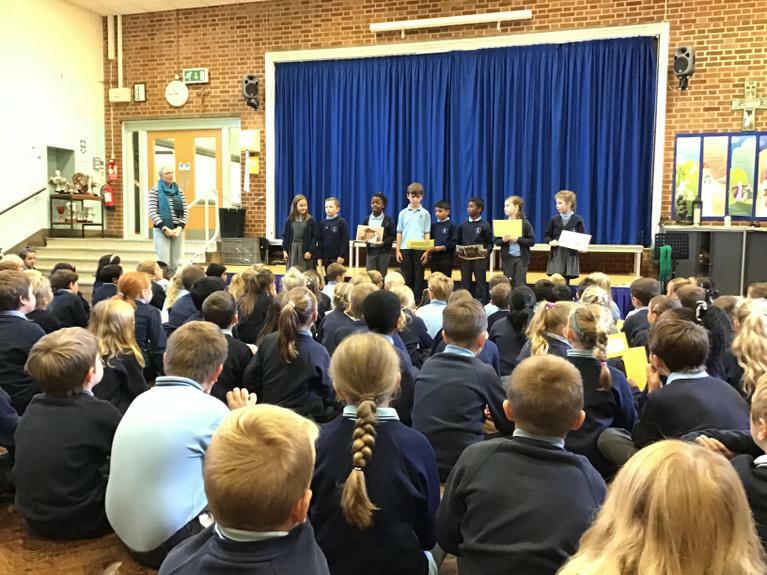 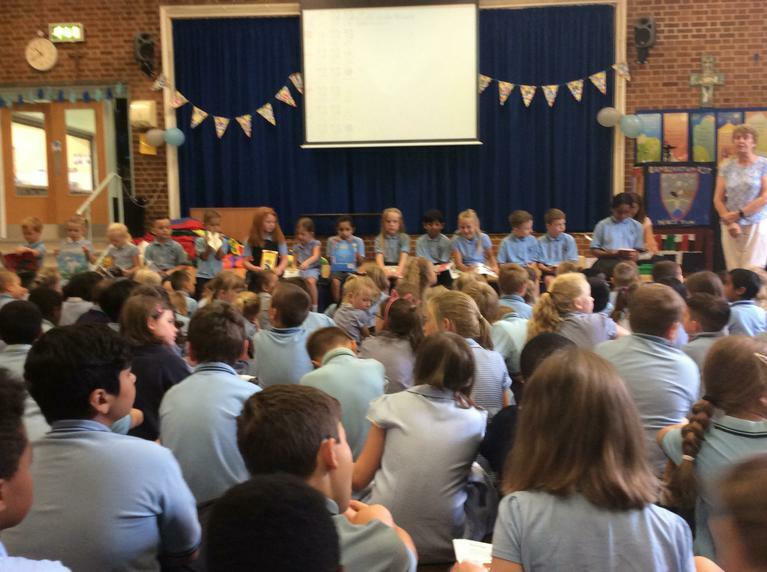 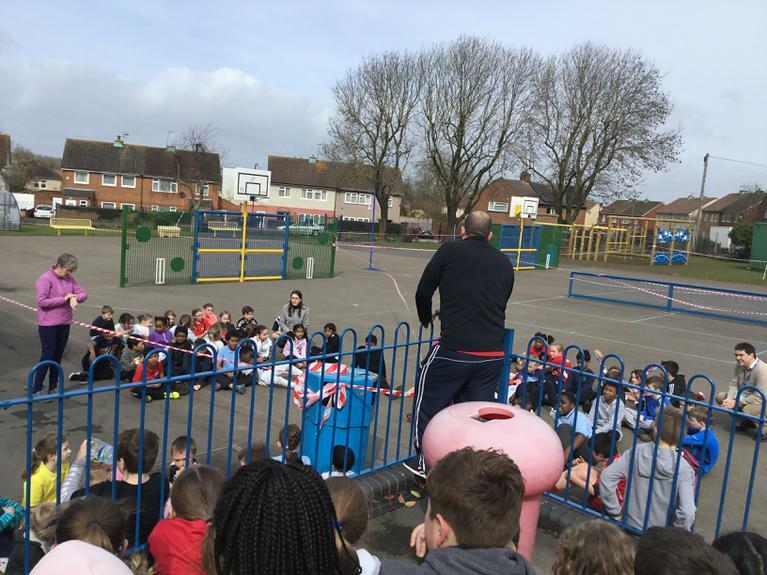 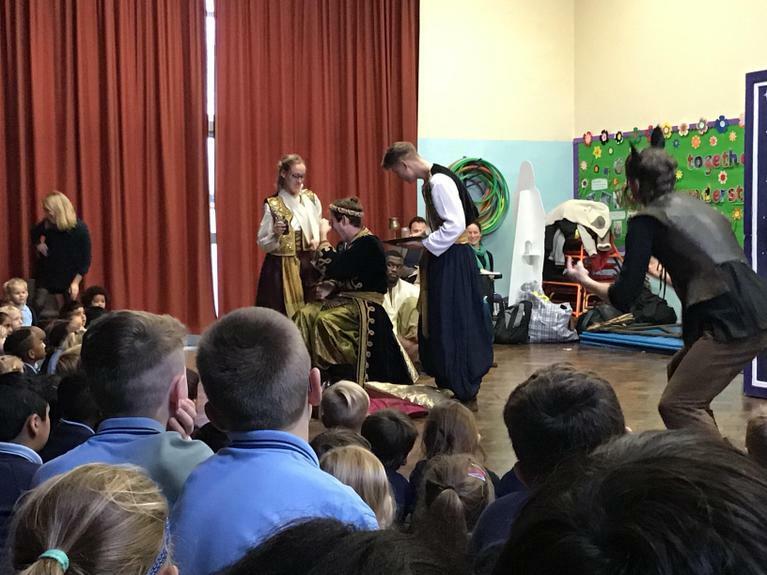 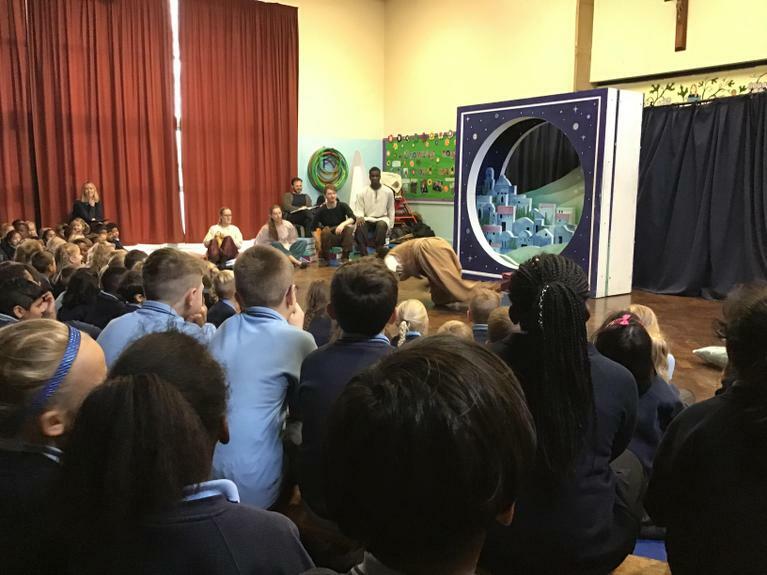 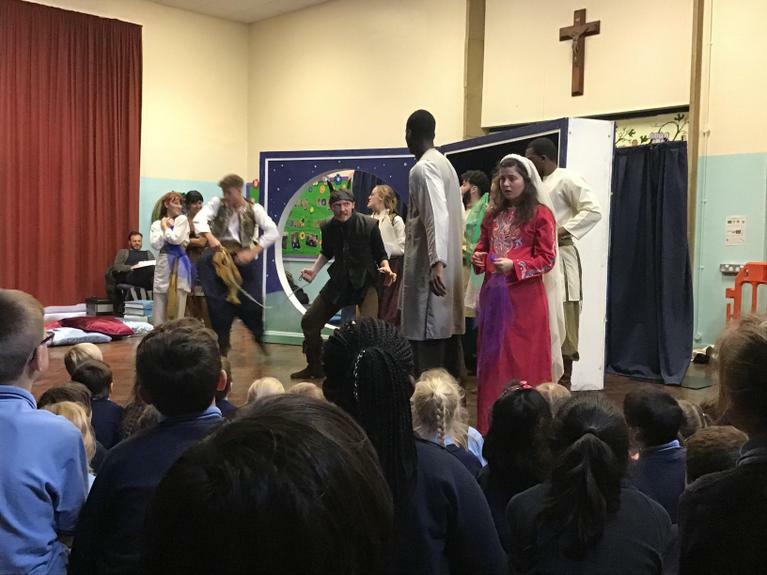 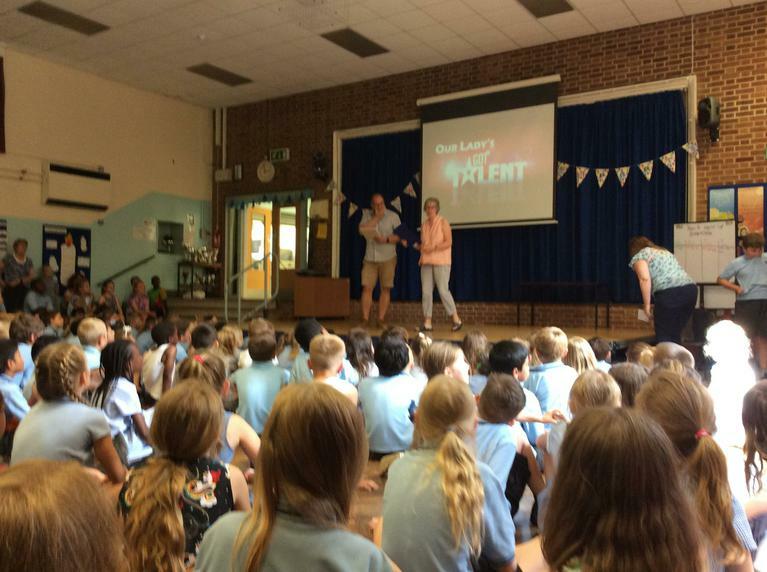 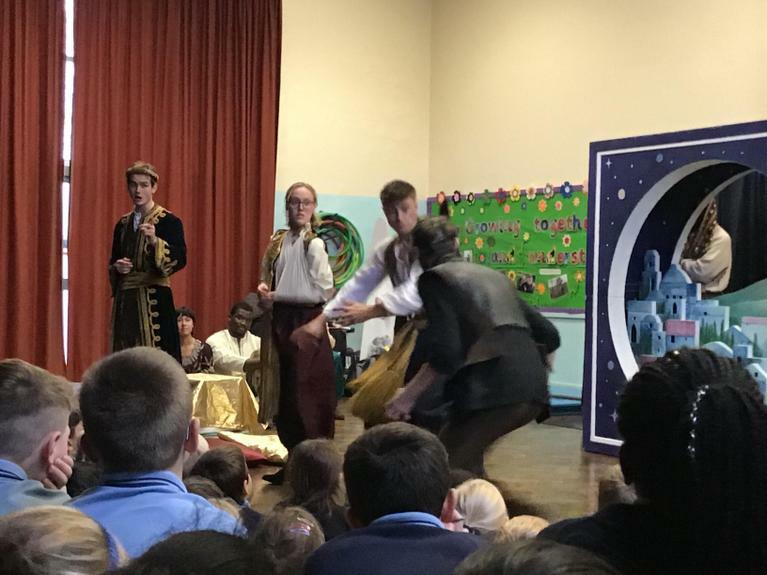 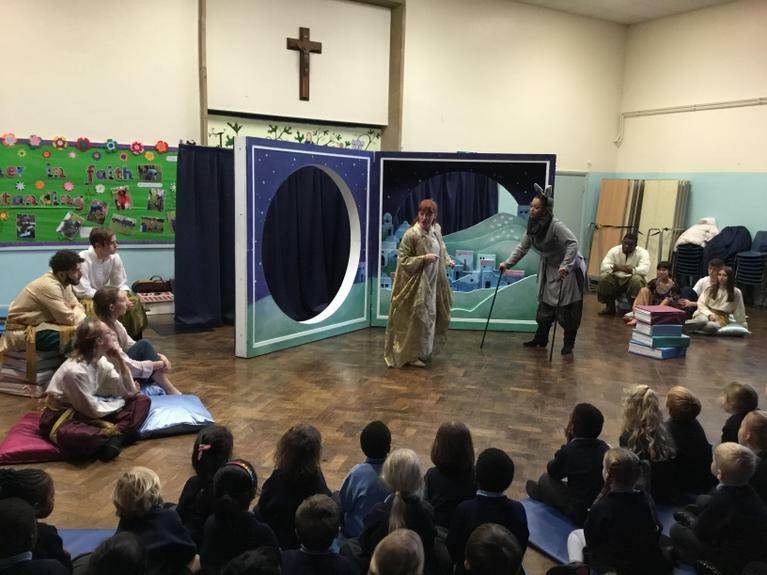 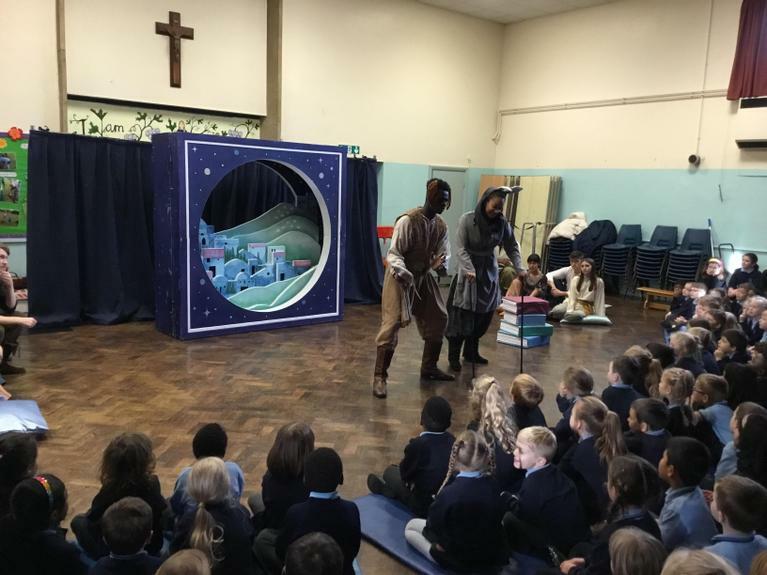 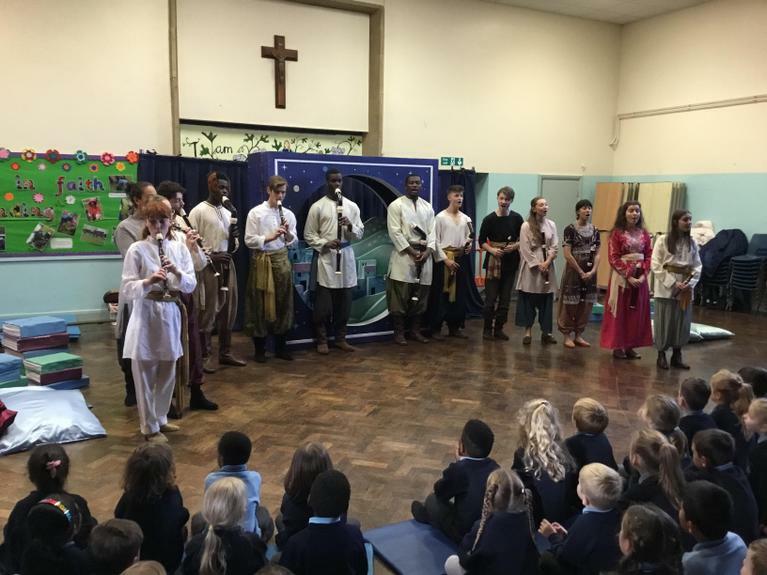 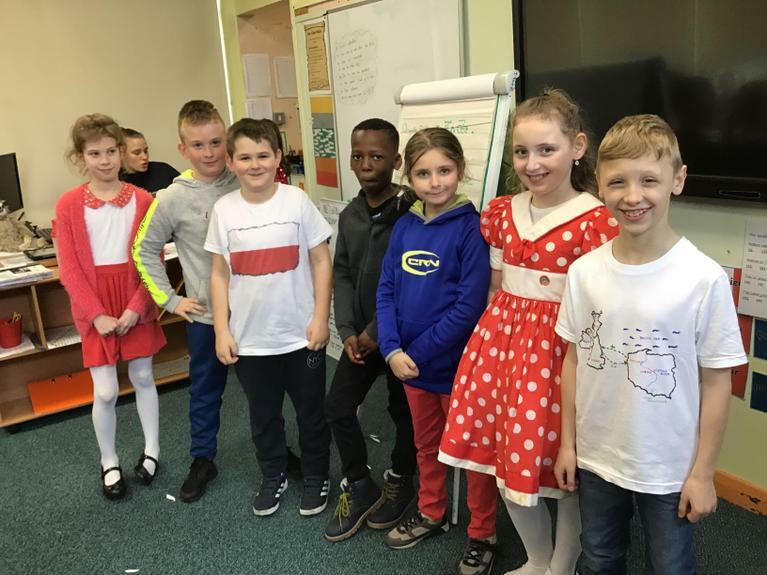 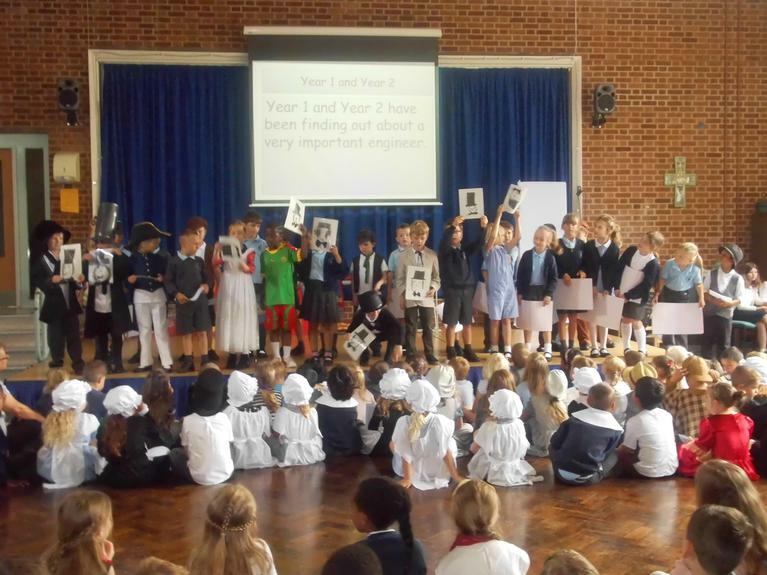 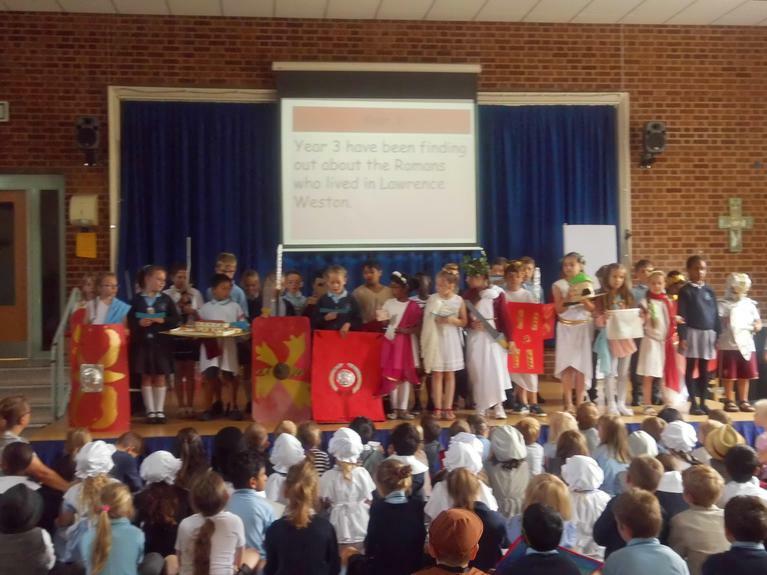 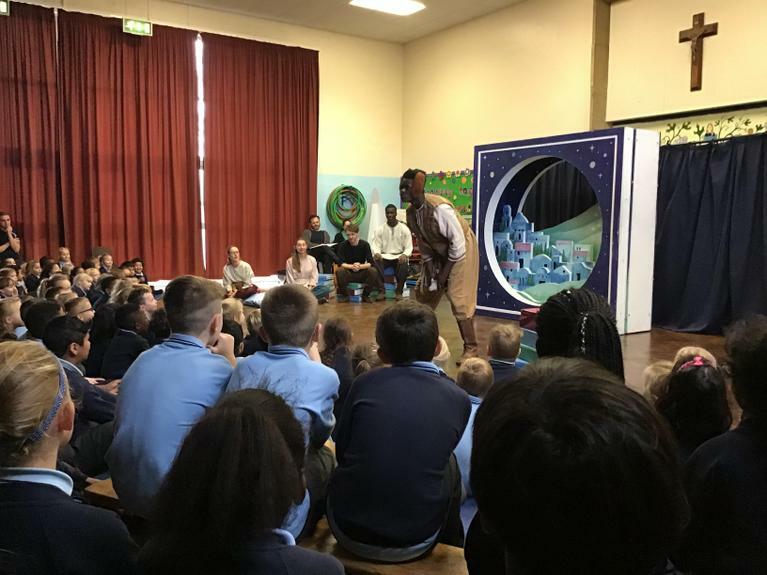 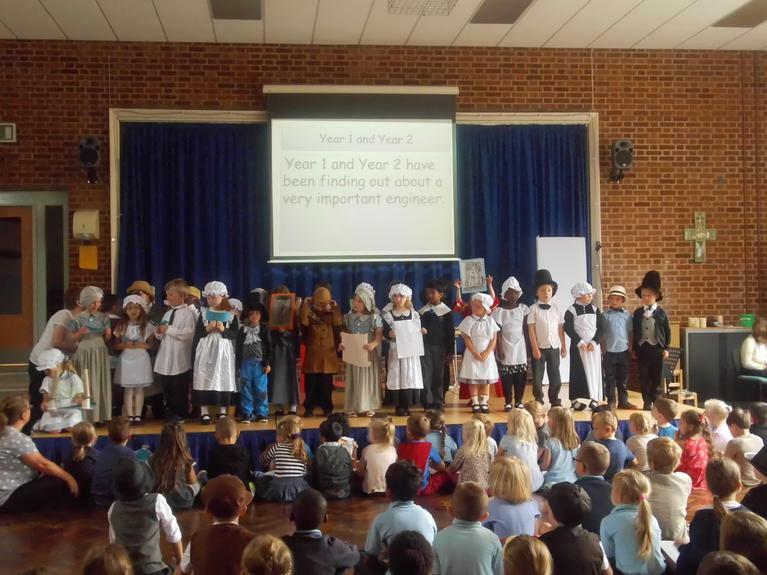 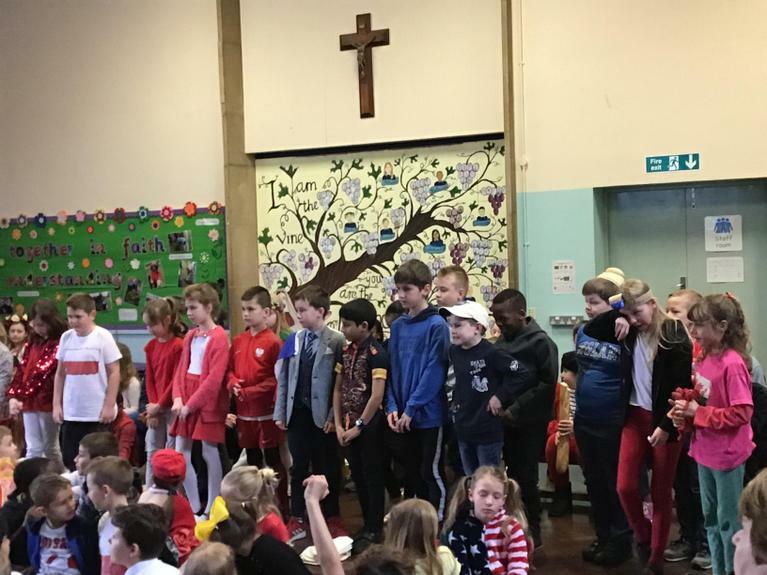 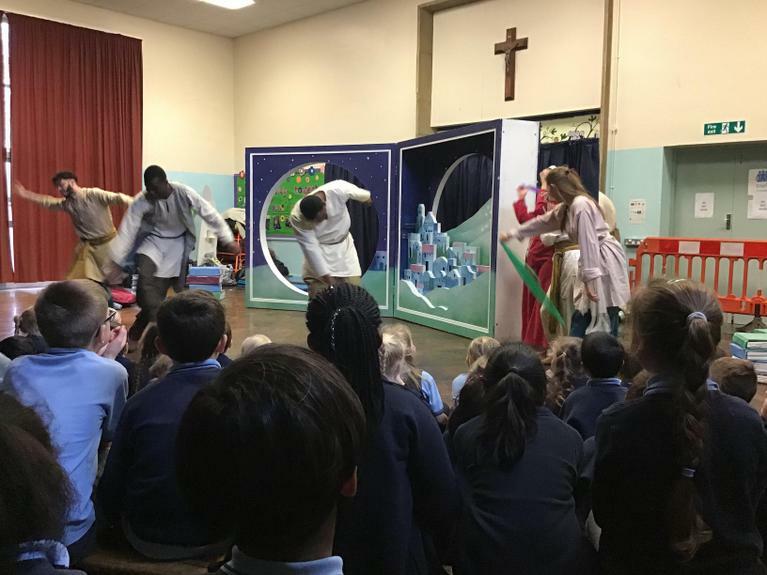 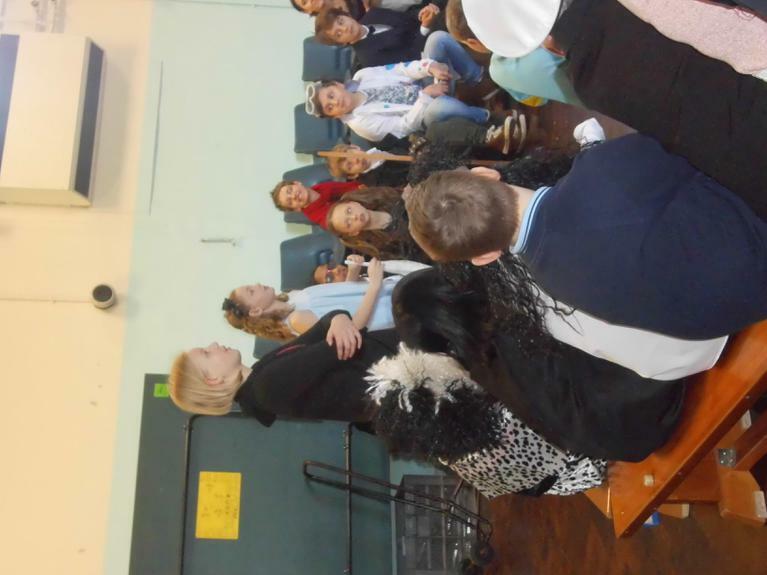 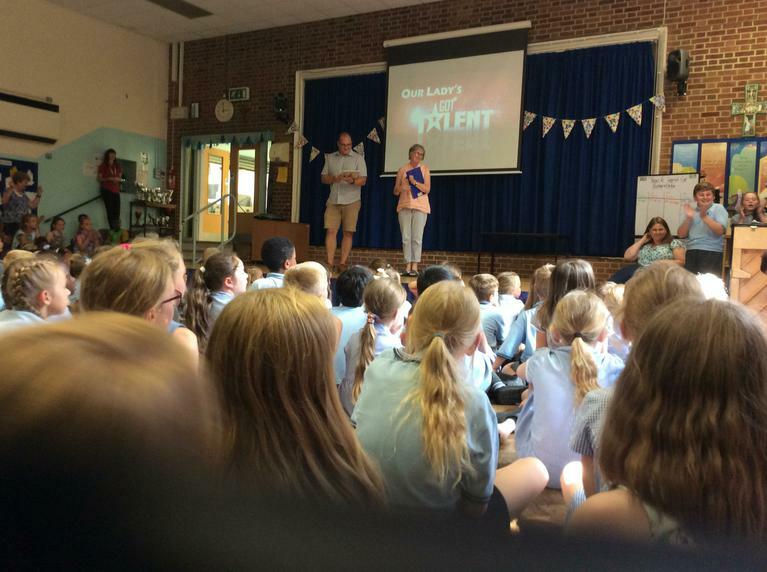 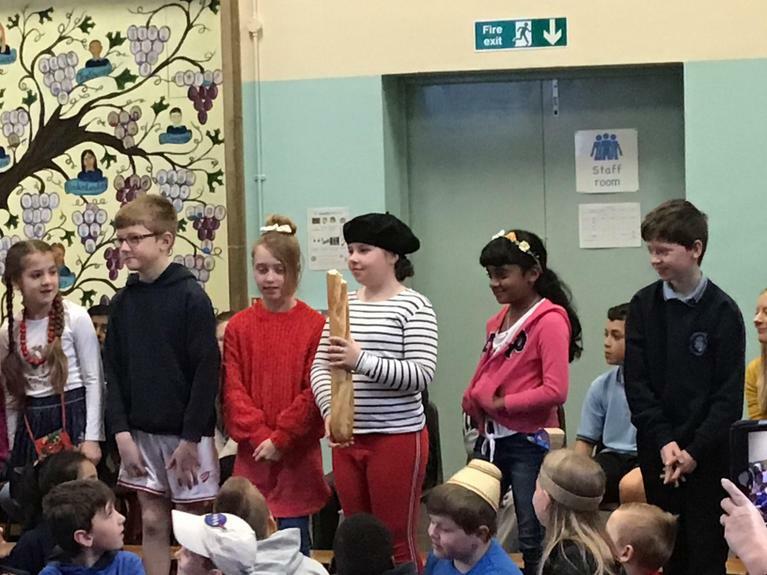 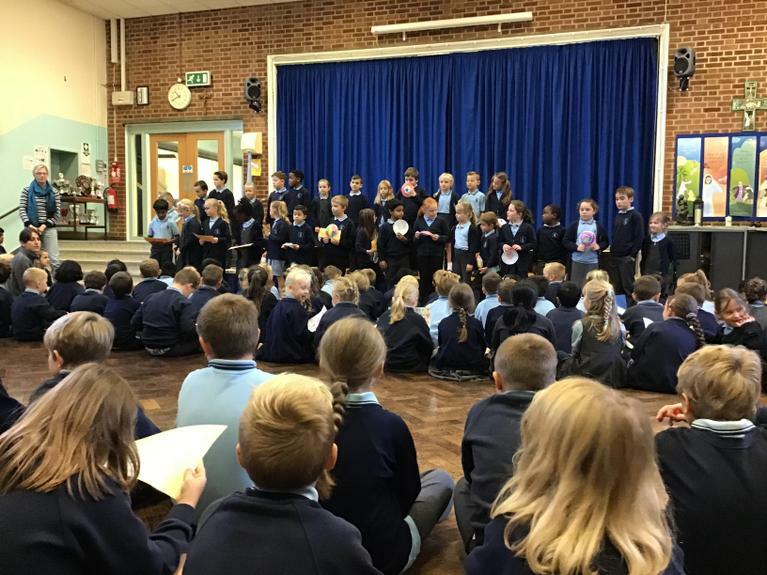 We began with an assembly when each class shared what they had been finding out about the History of Lawrence Weston and Bristol. 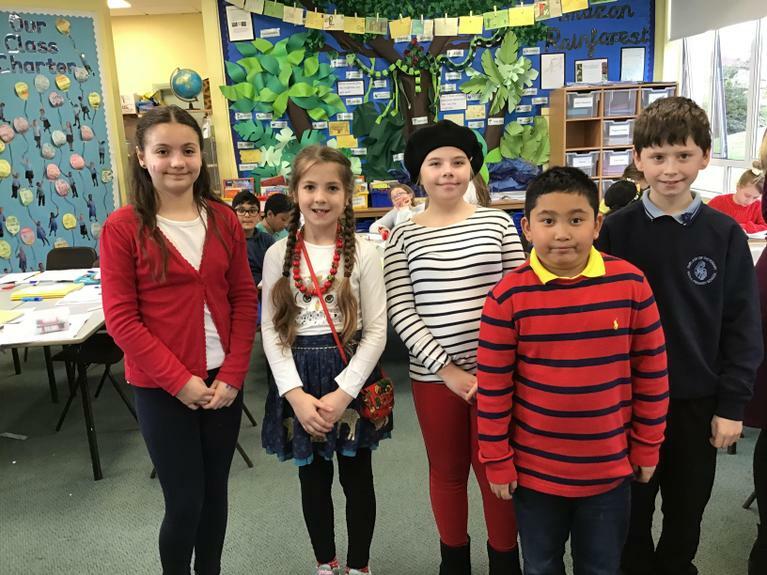 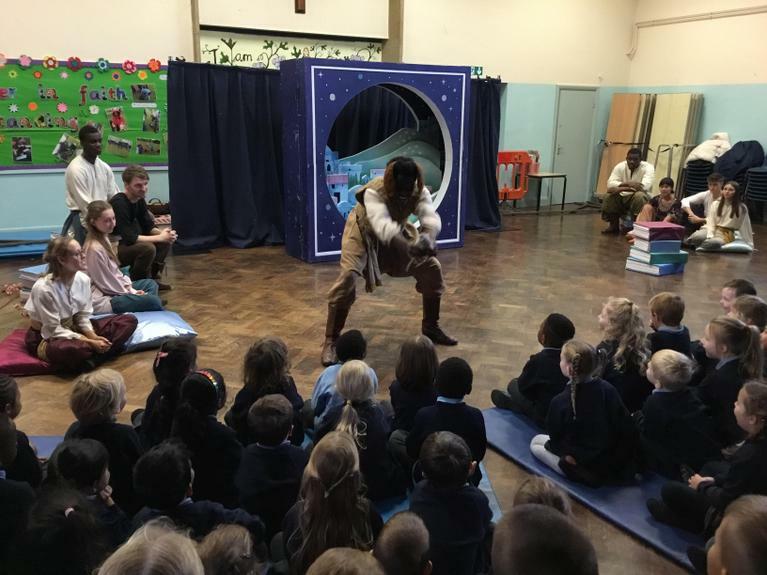 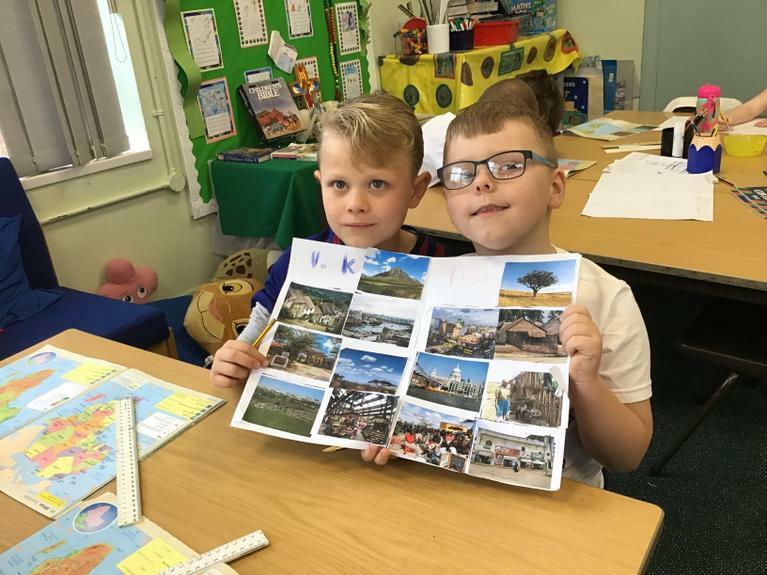 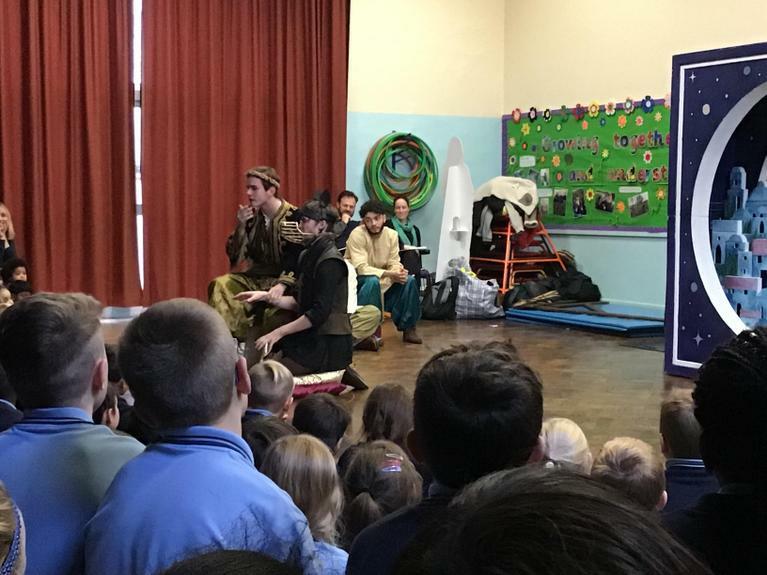 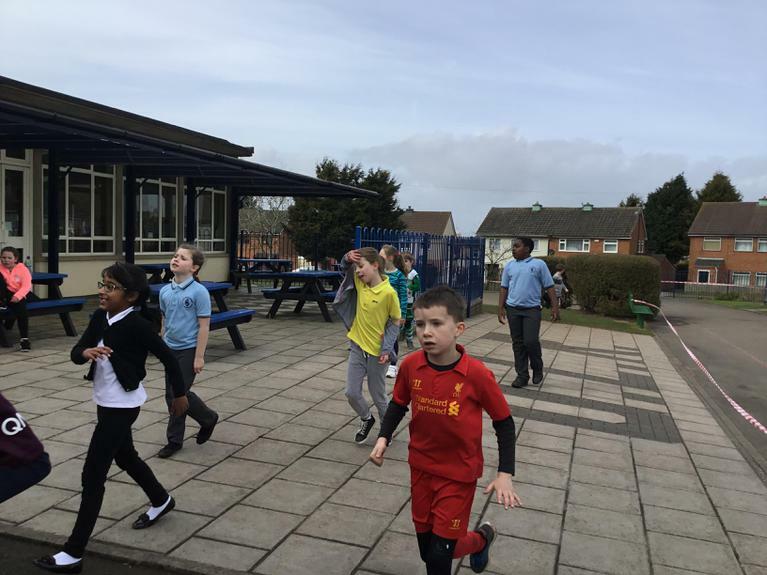 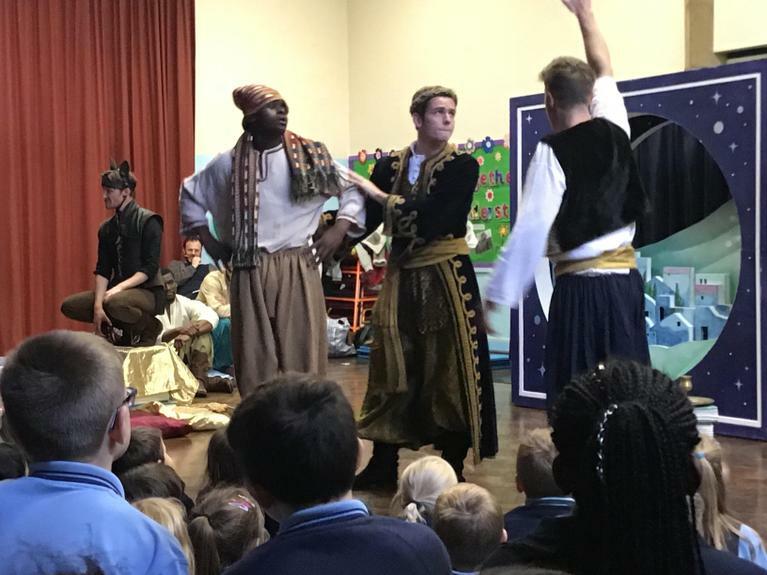 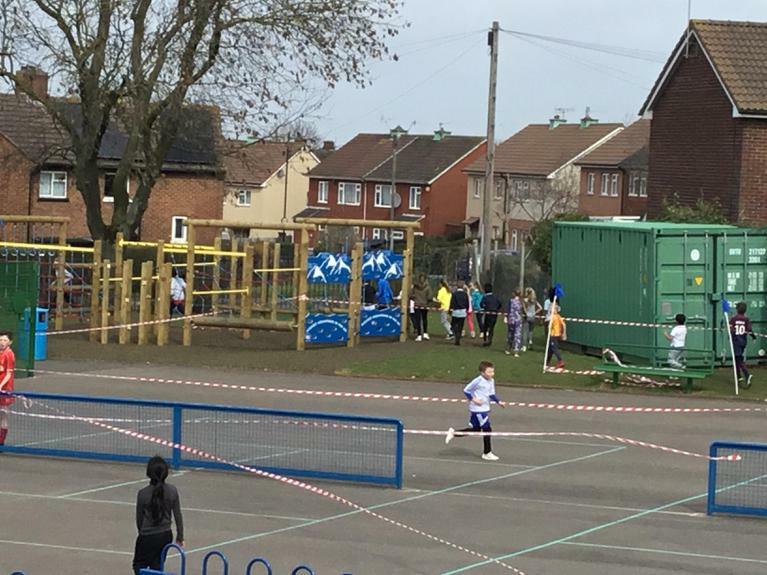 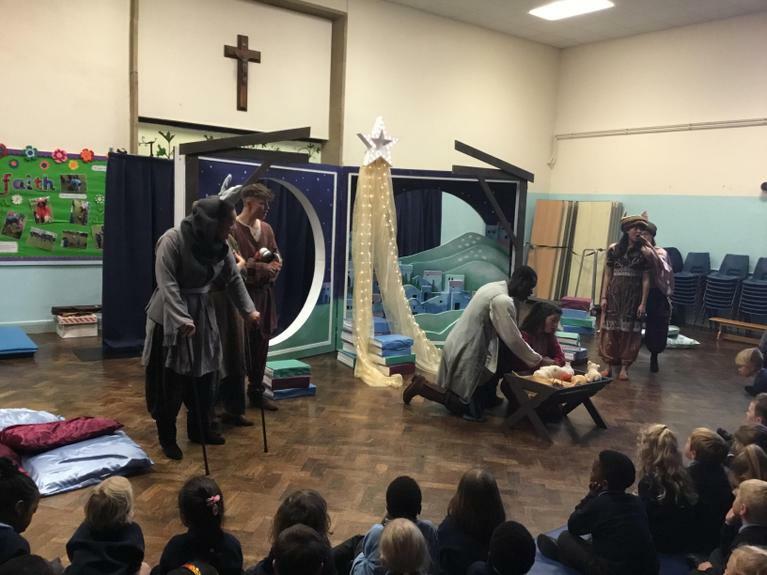 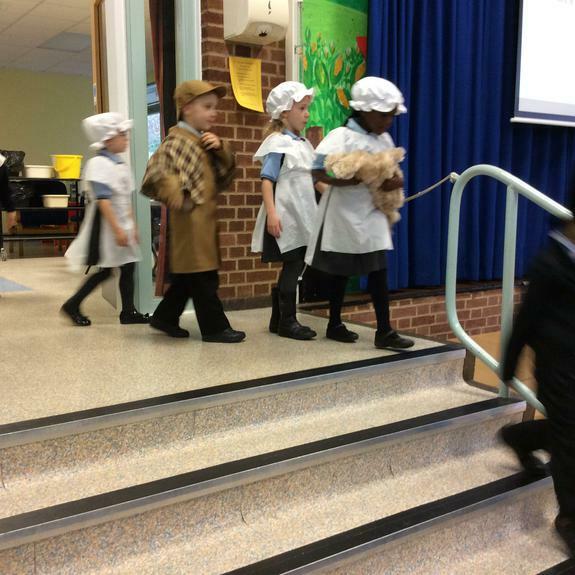 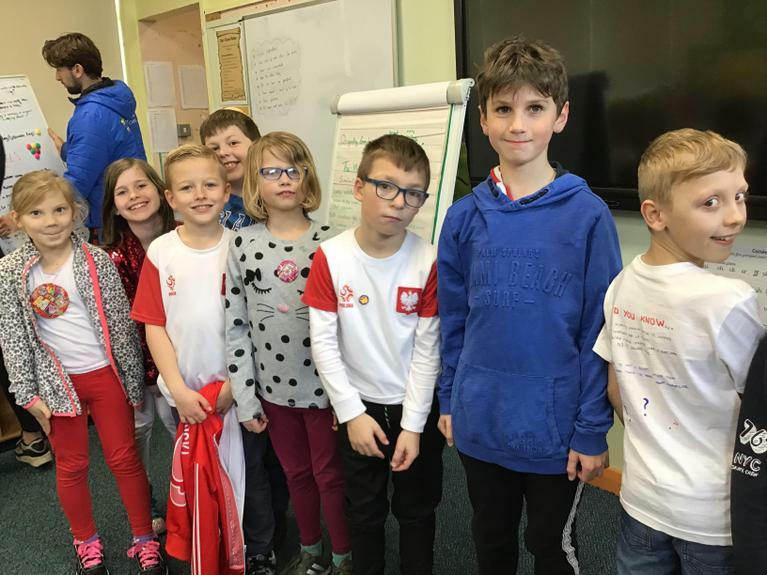 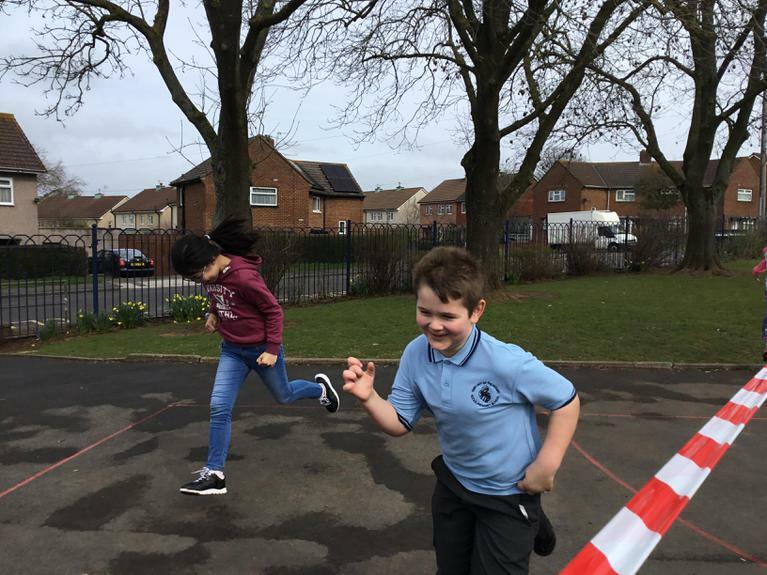 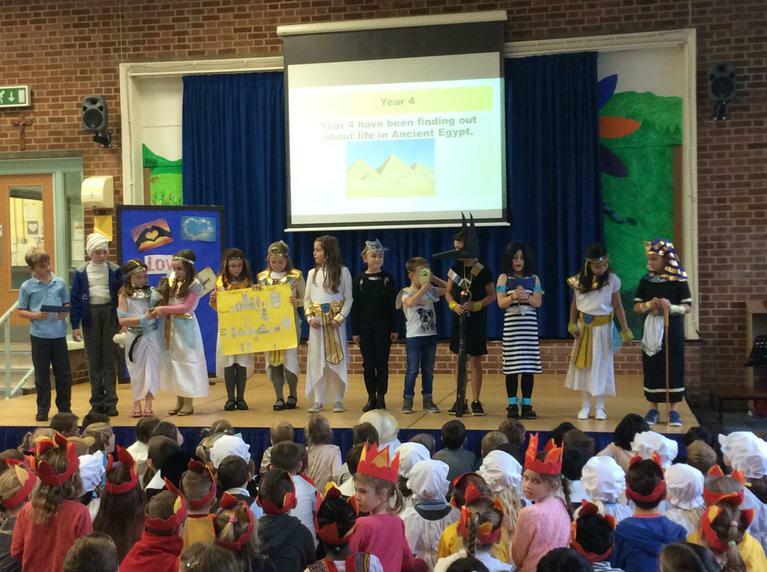 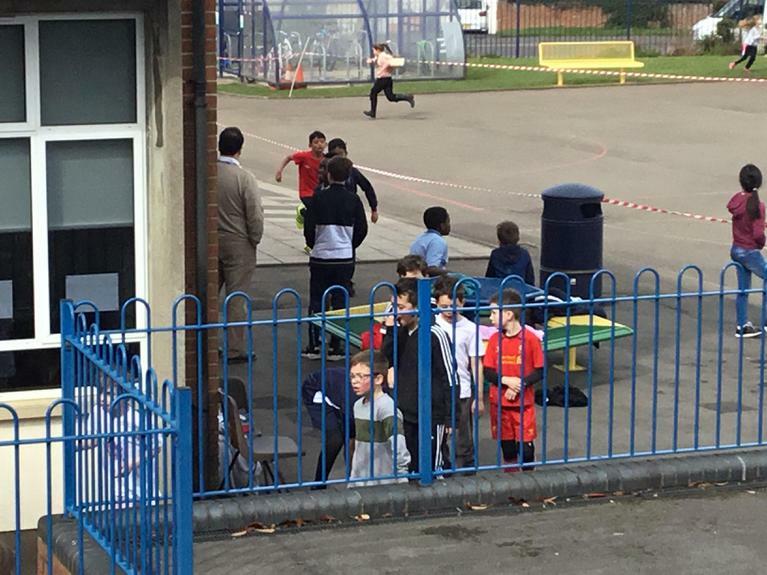 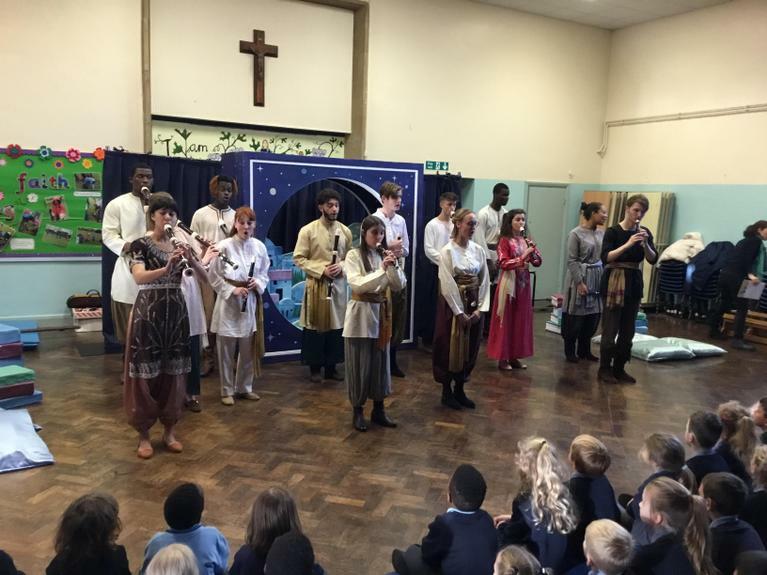 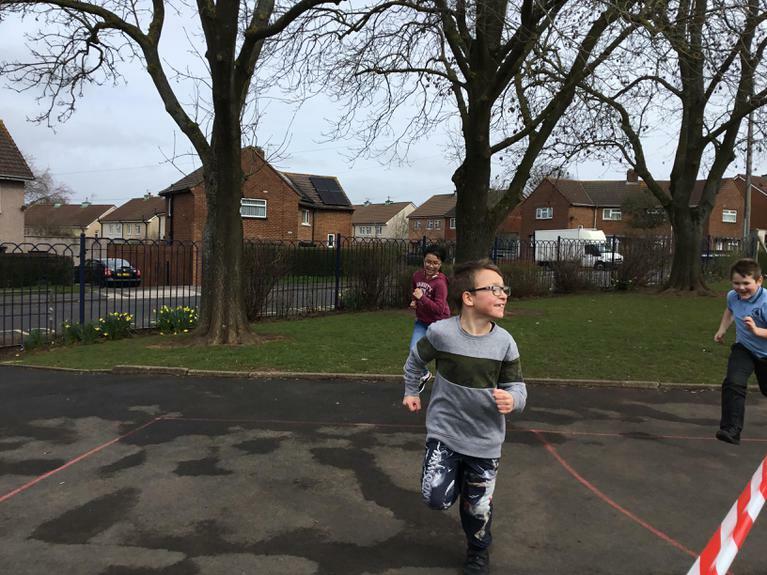 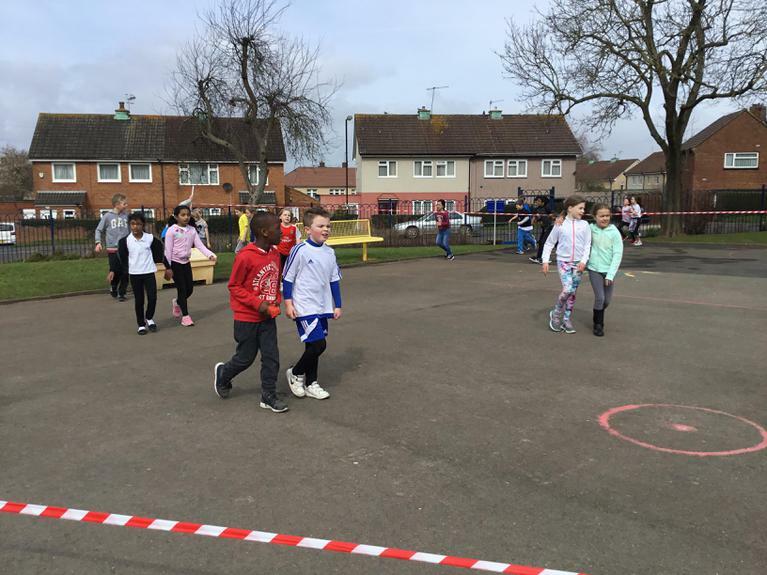 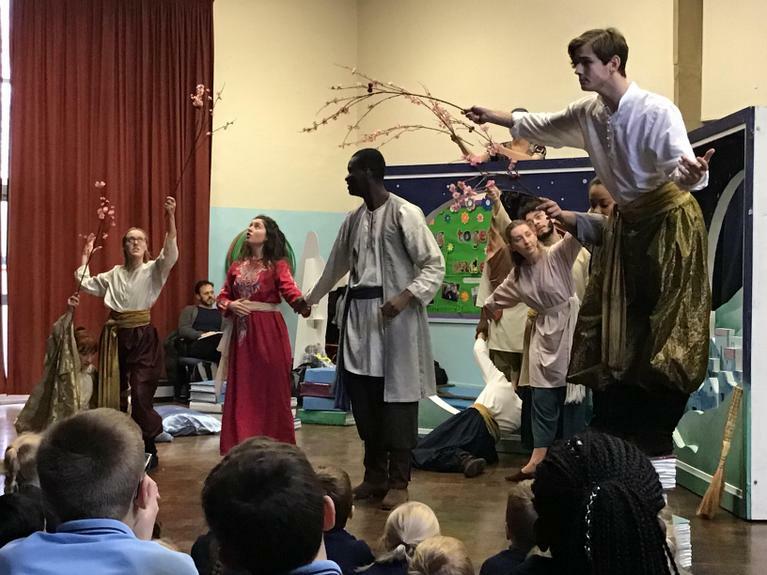 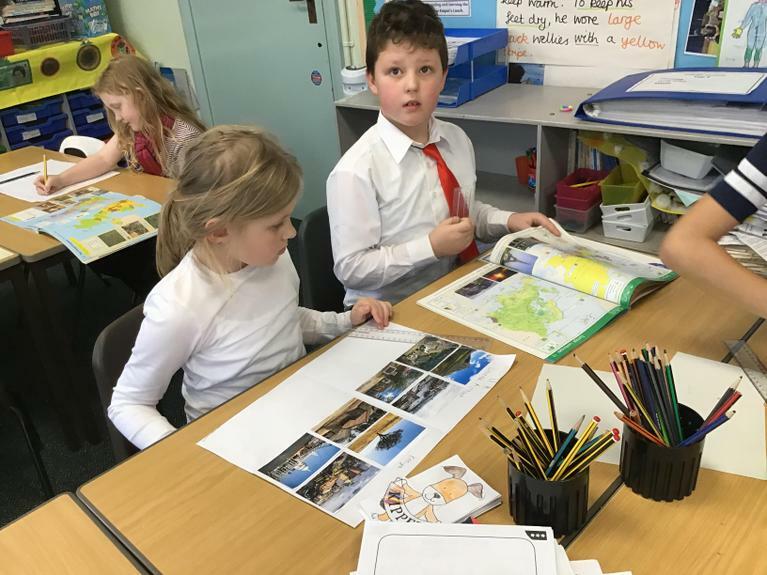 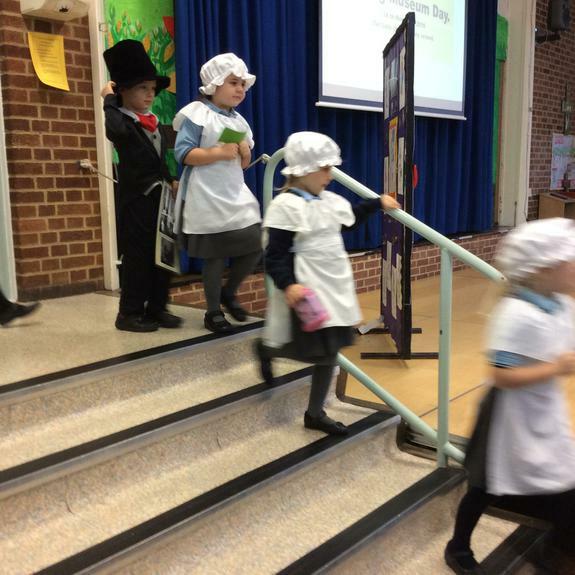 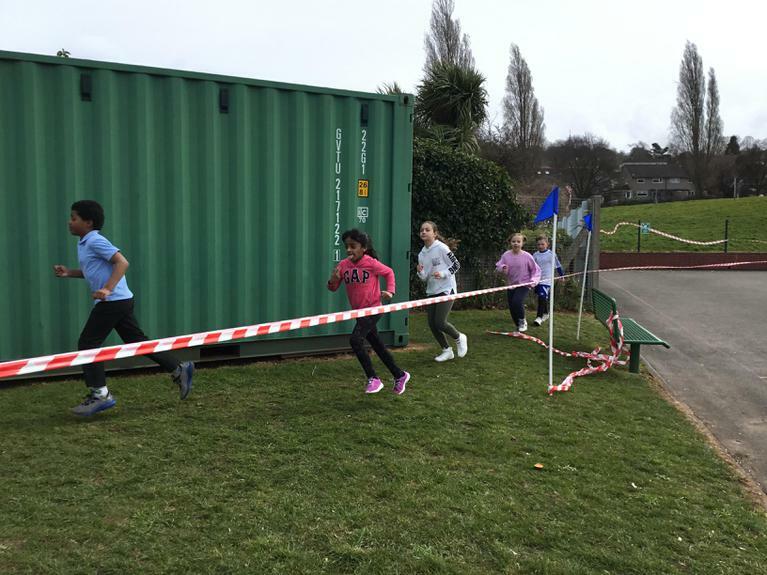 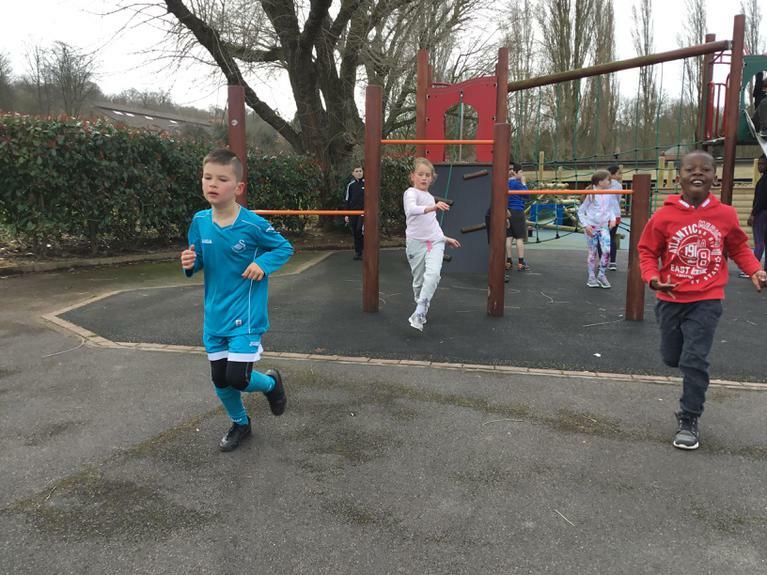 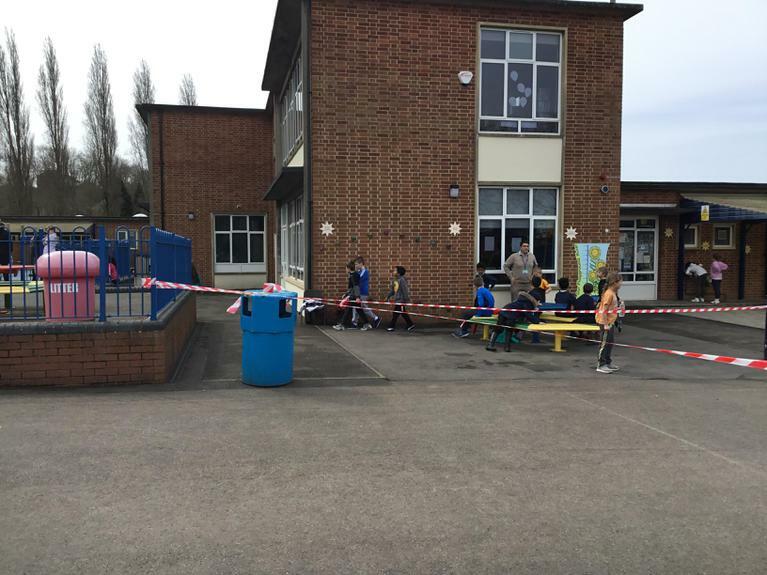 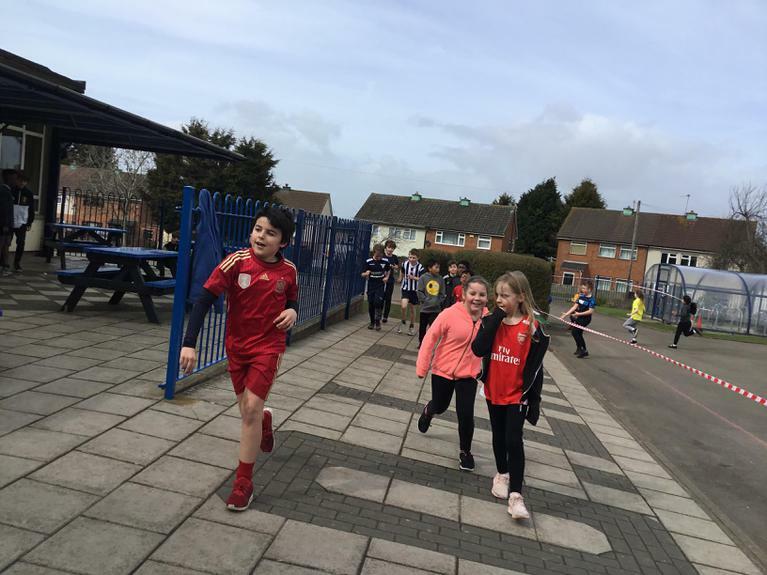 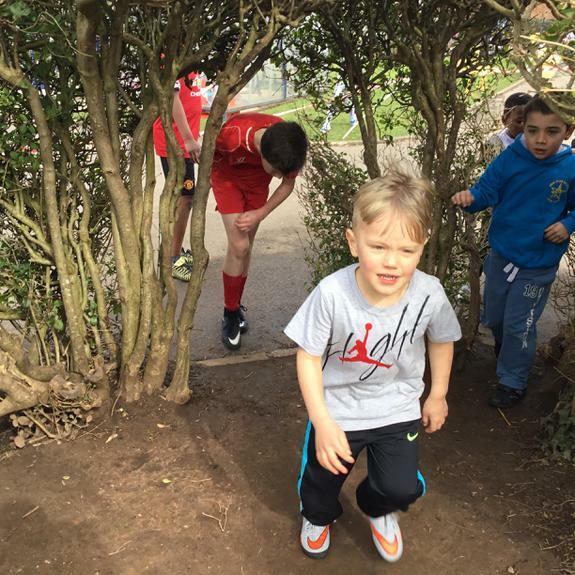 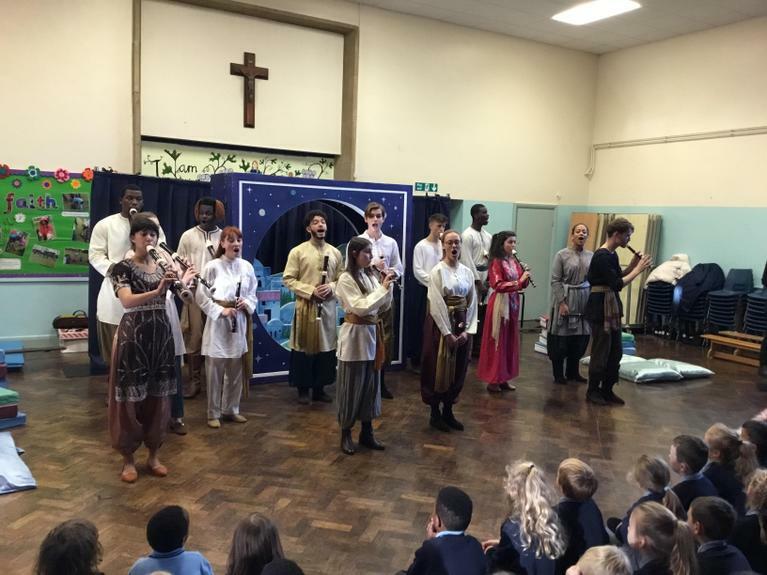 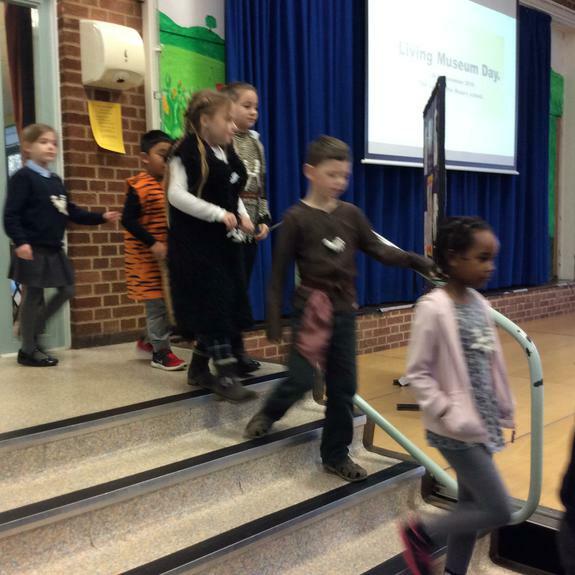 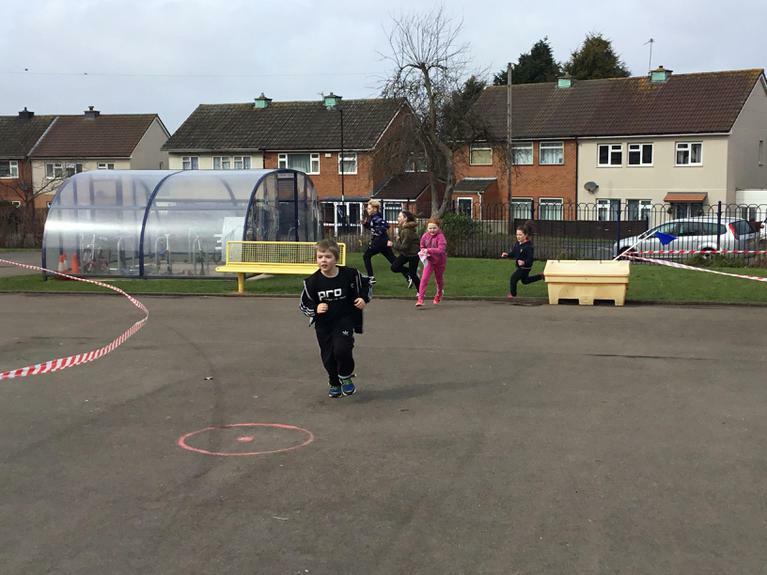 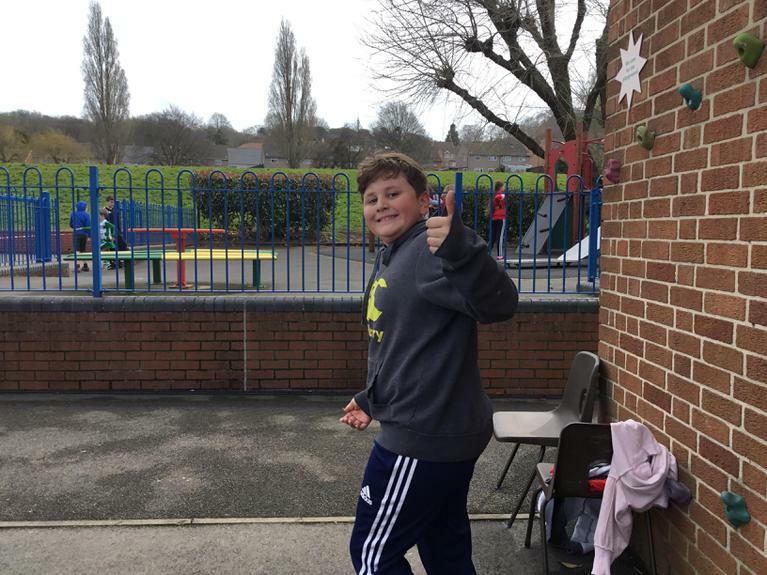 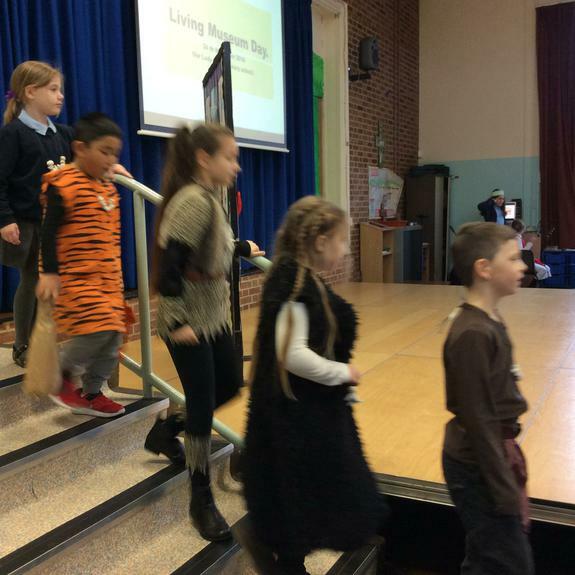 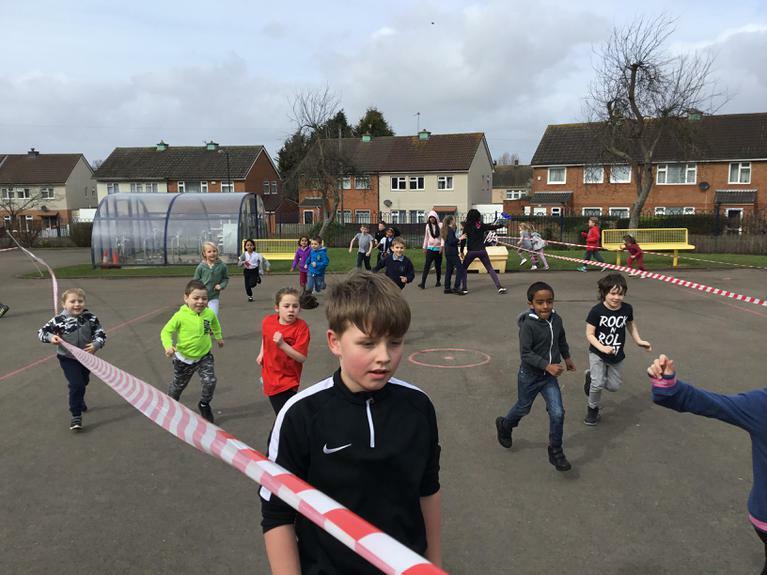 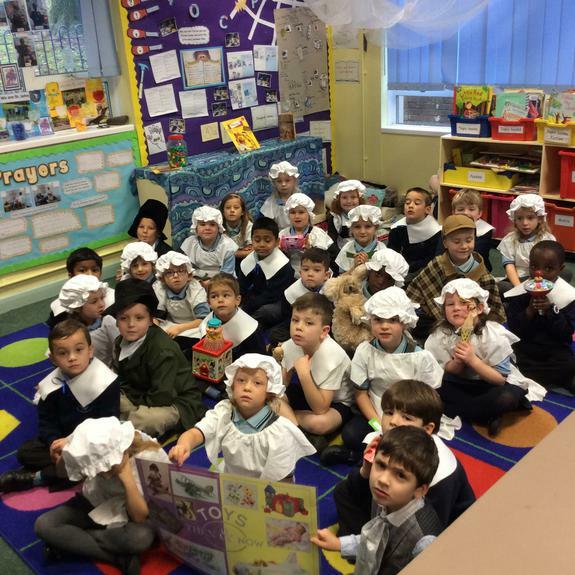 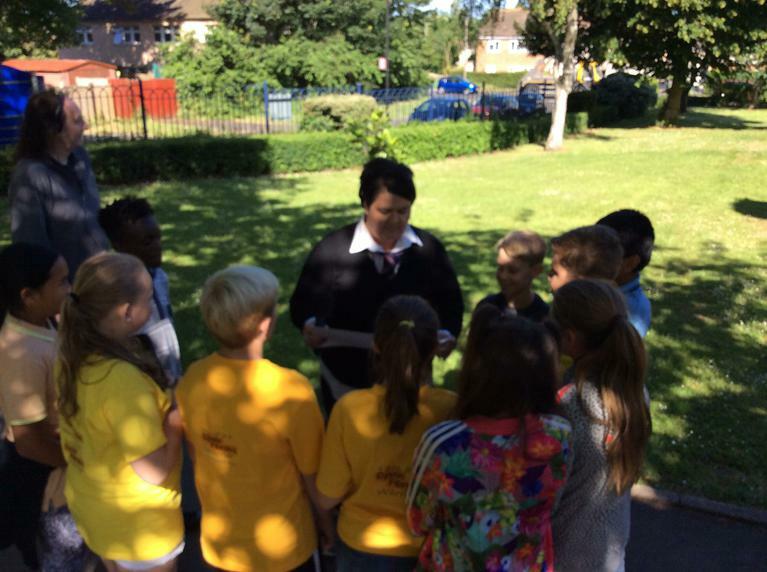 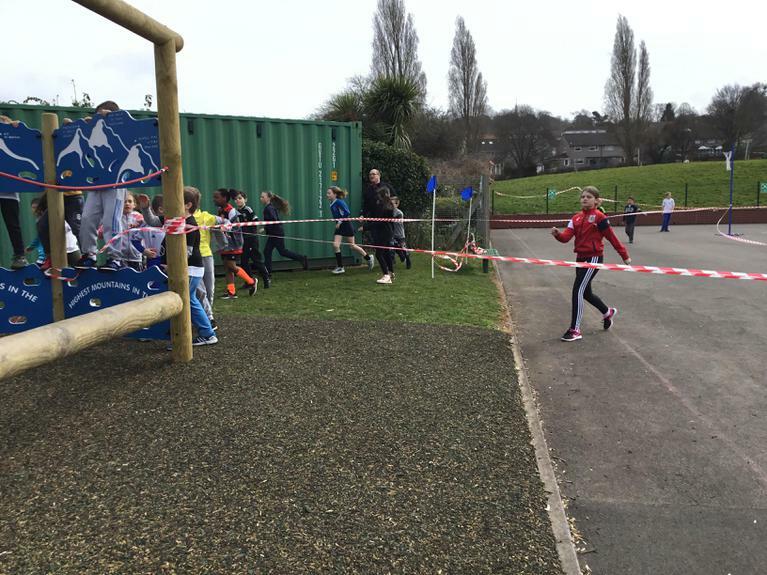 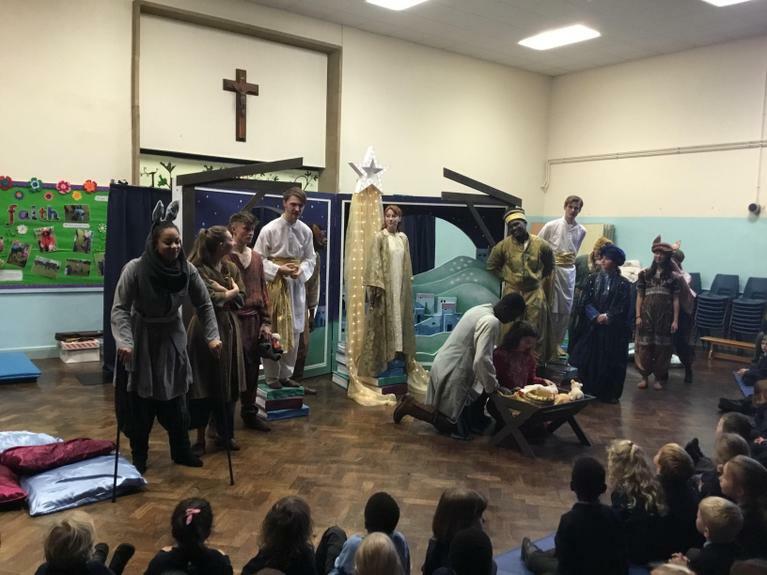 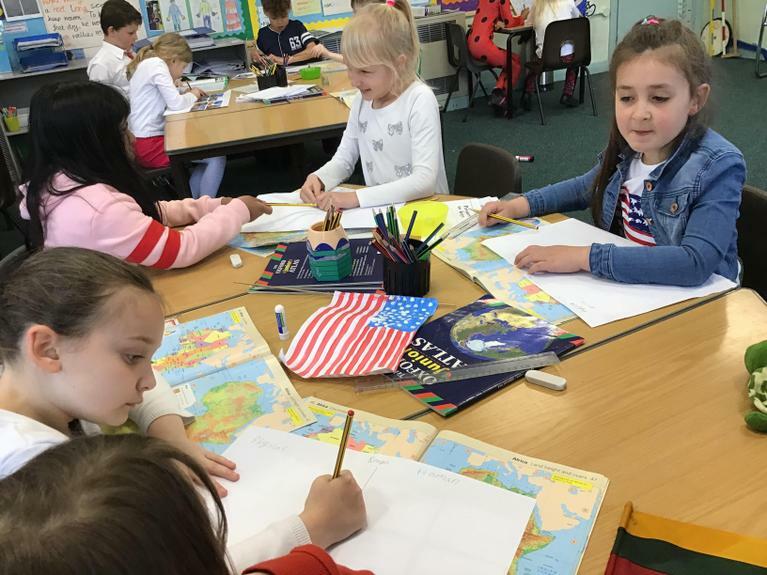 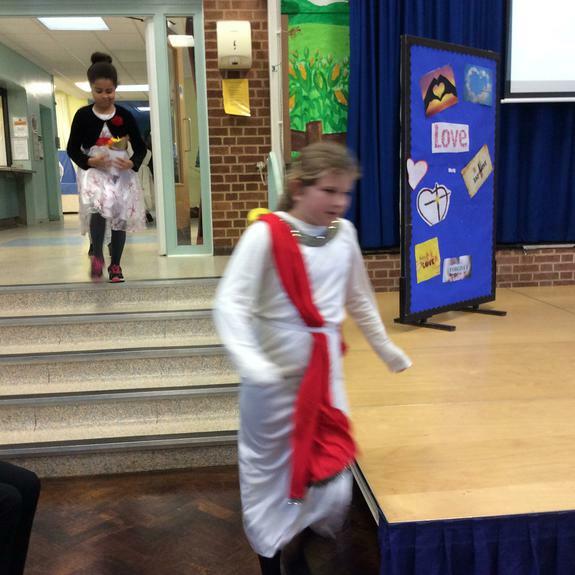 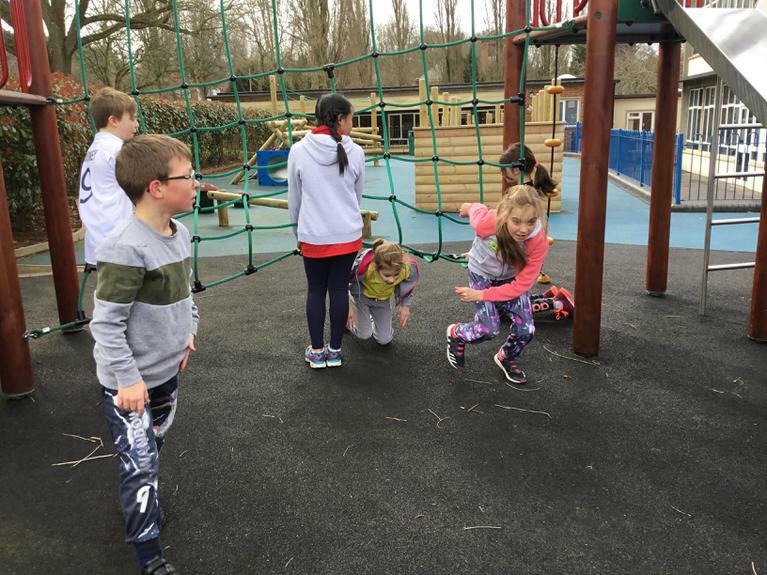 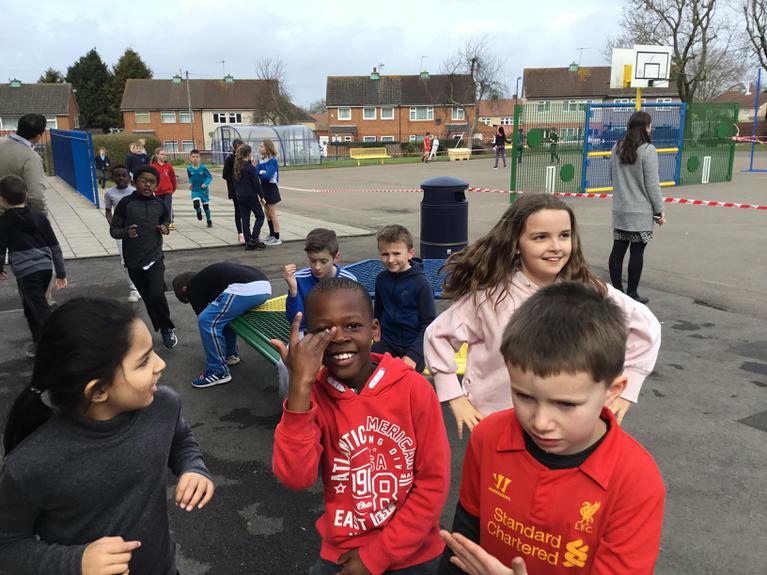 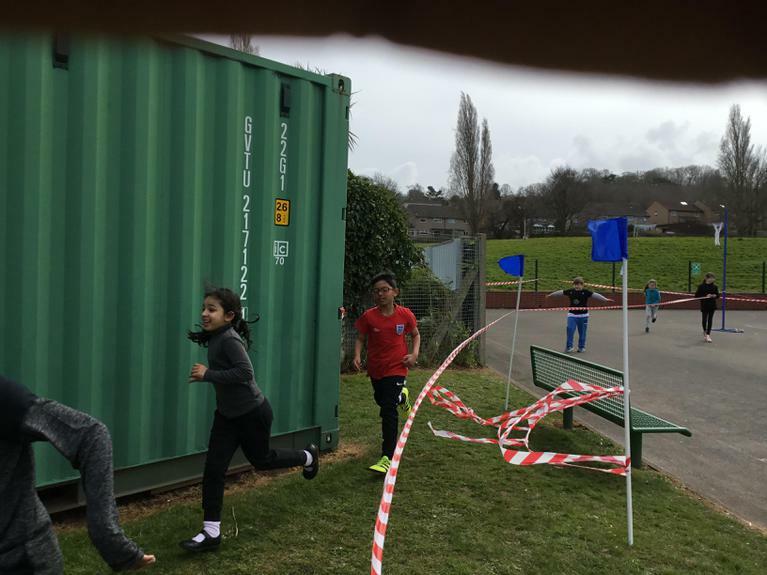 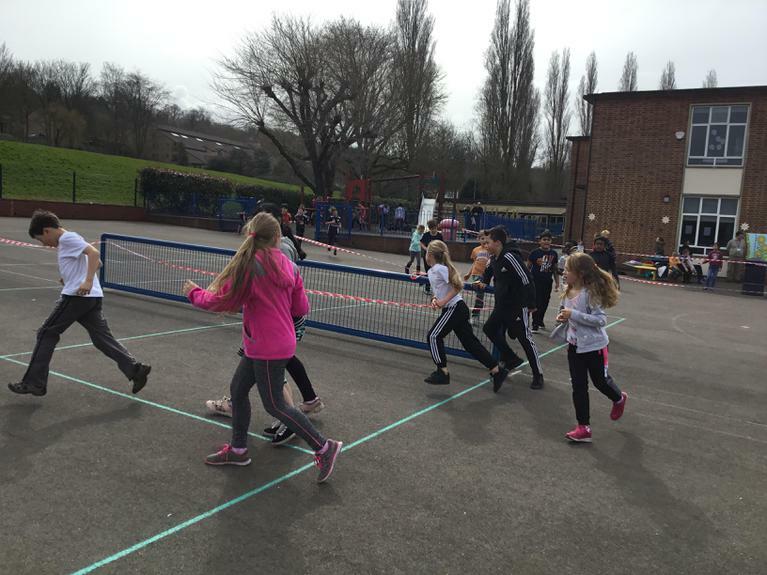 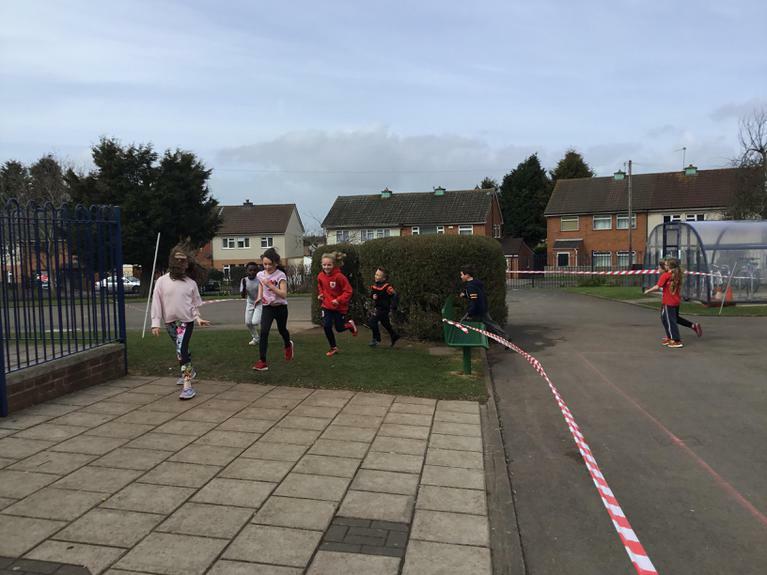 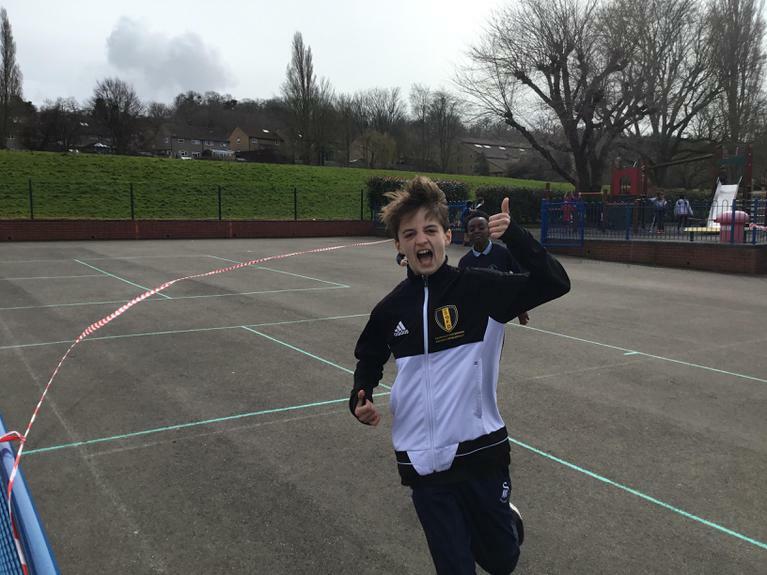 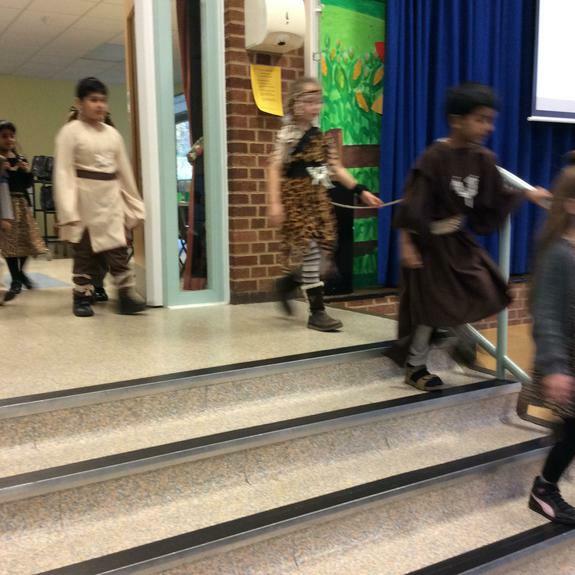 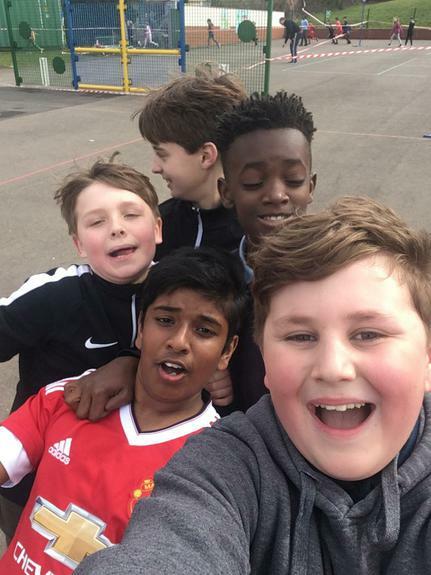 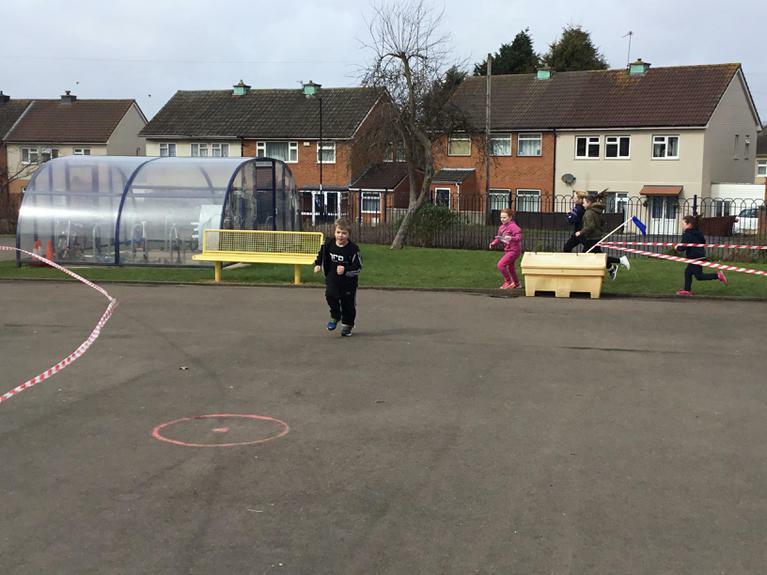 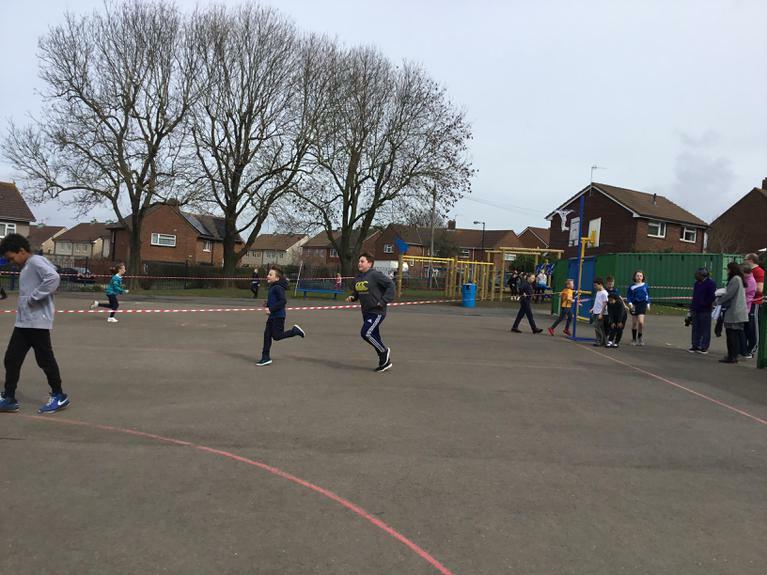 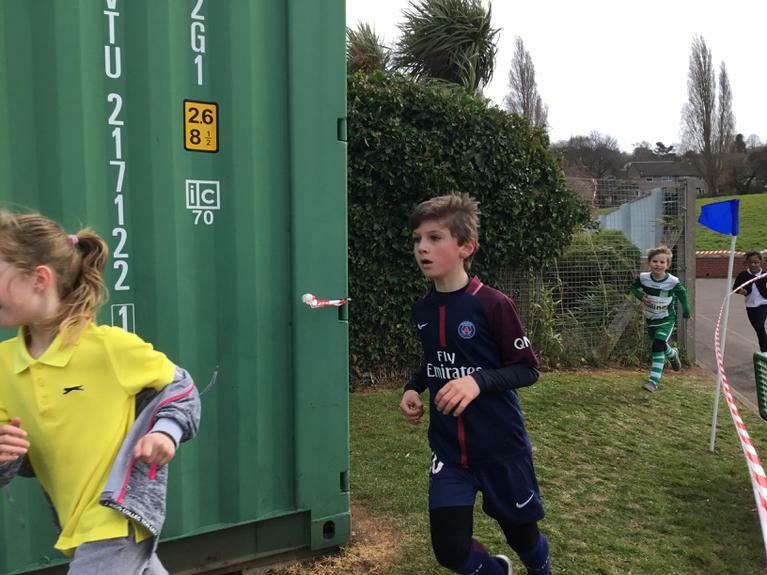 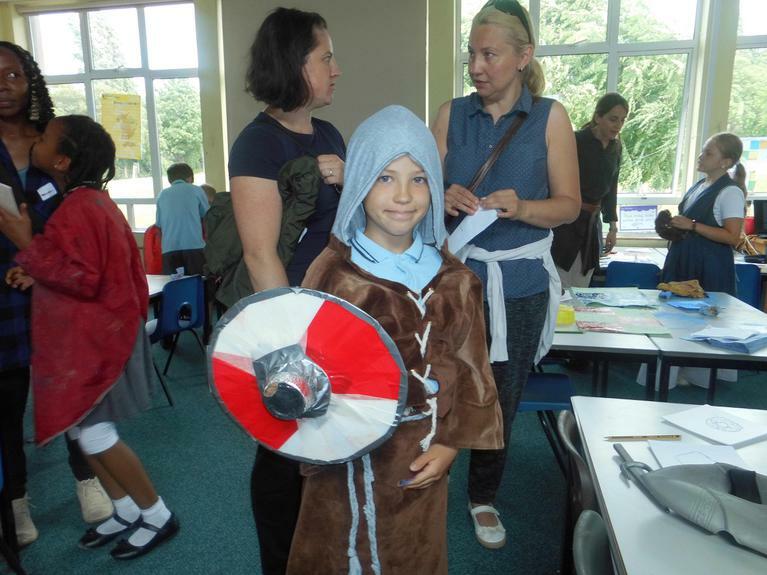 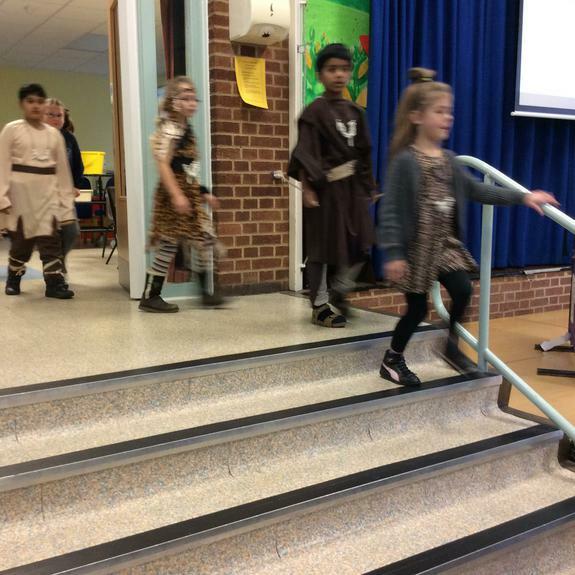 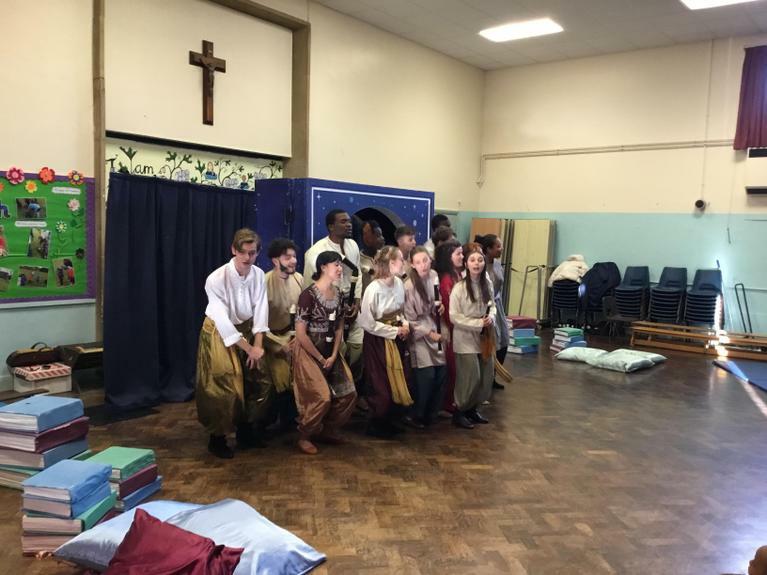 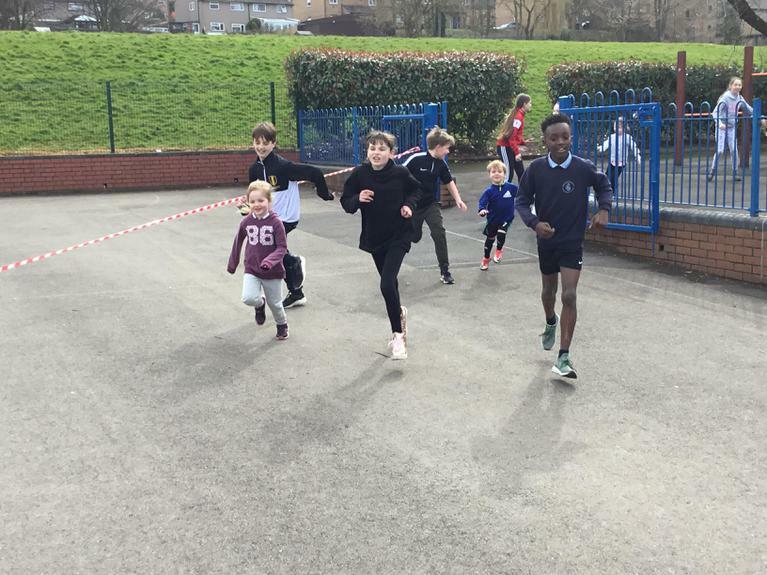 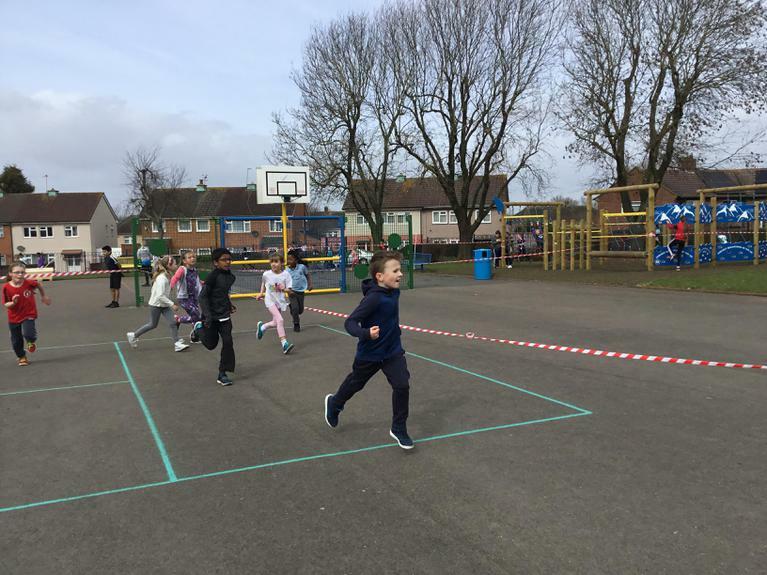 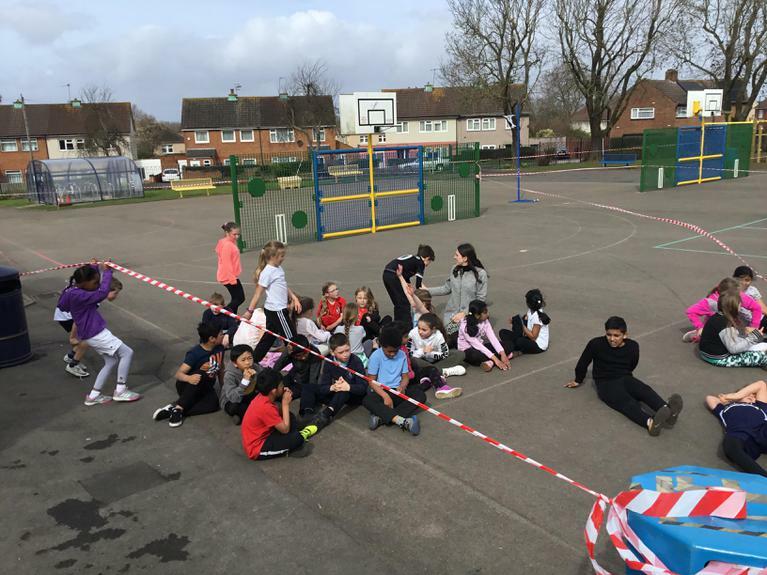 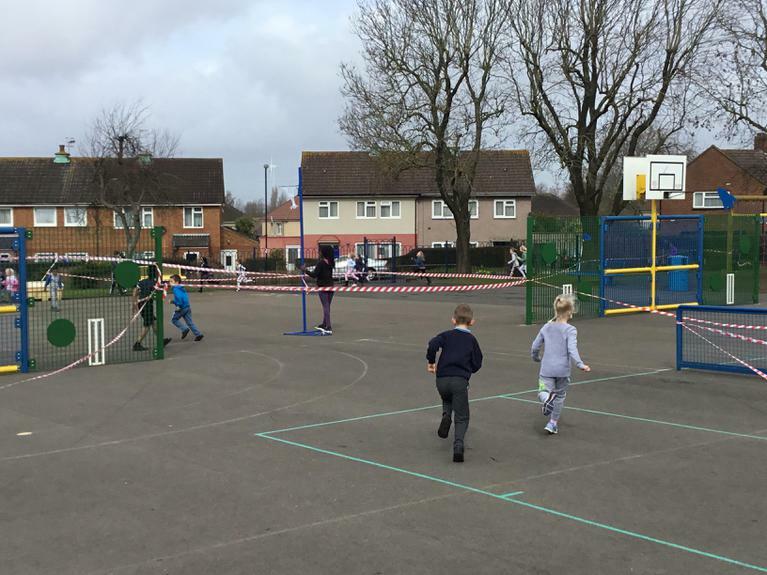 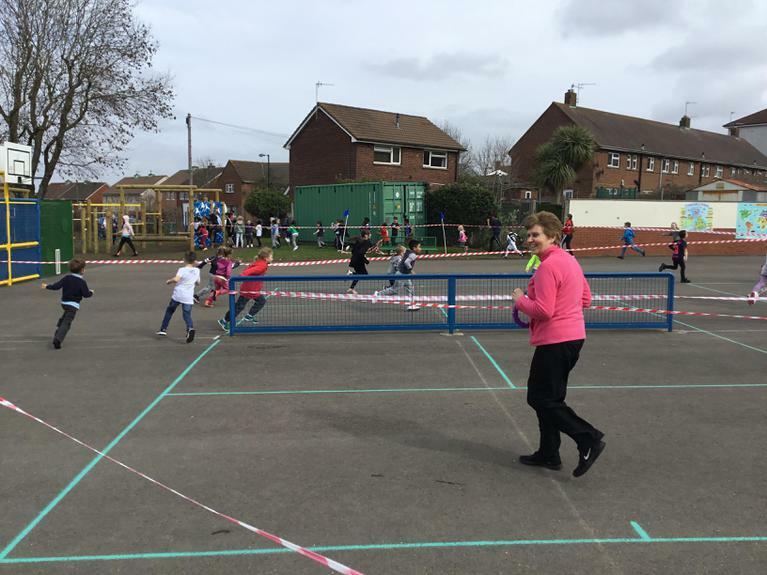 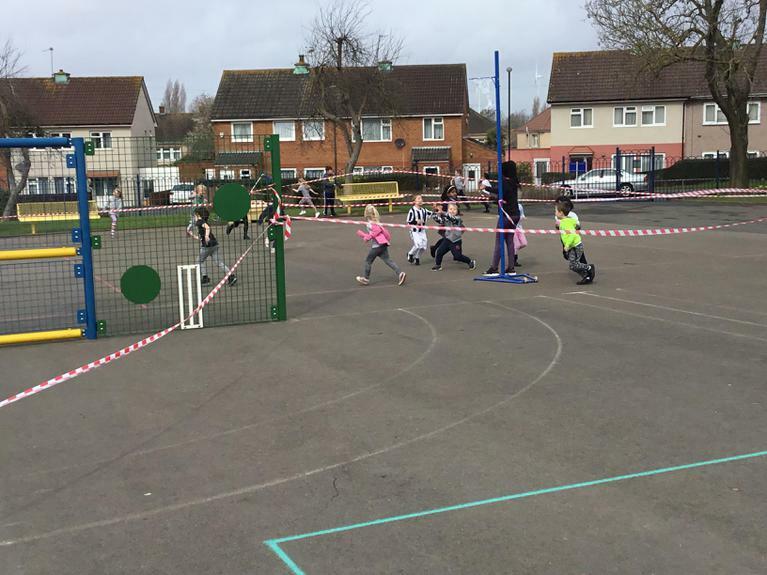 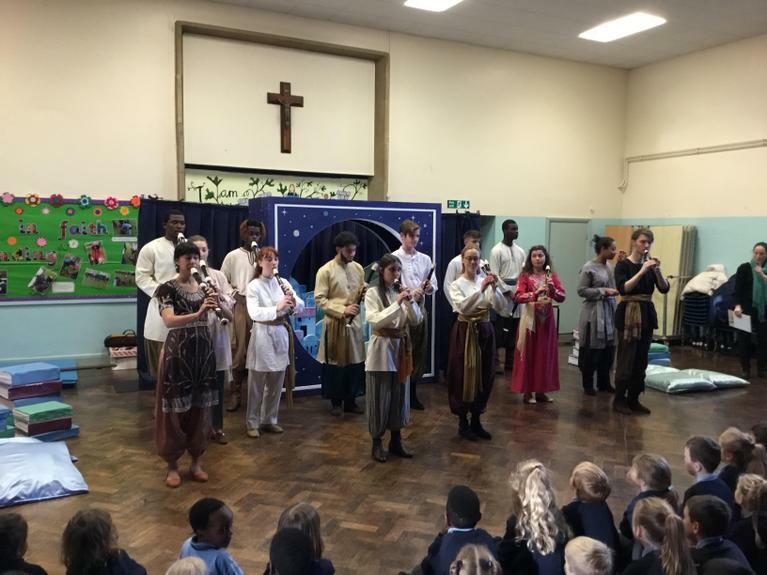 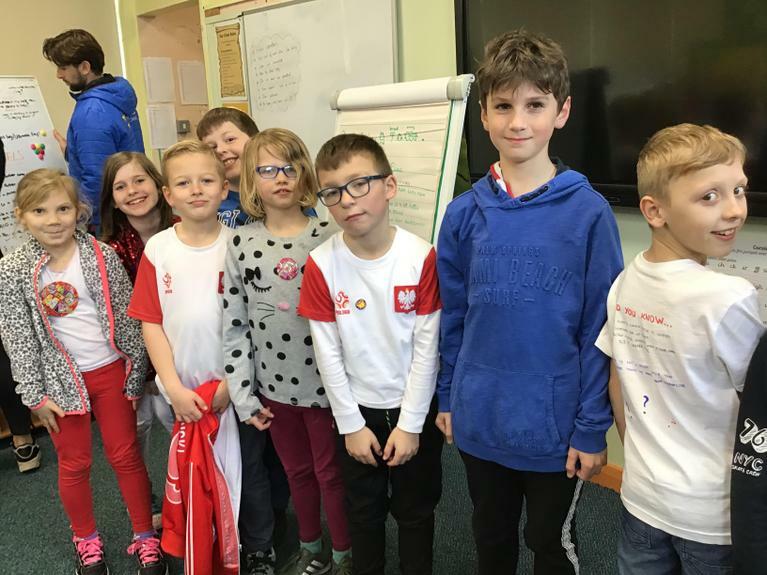 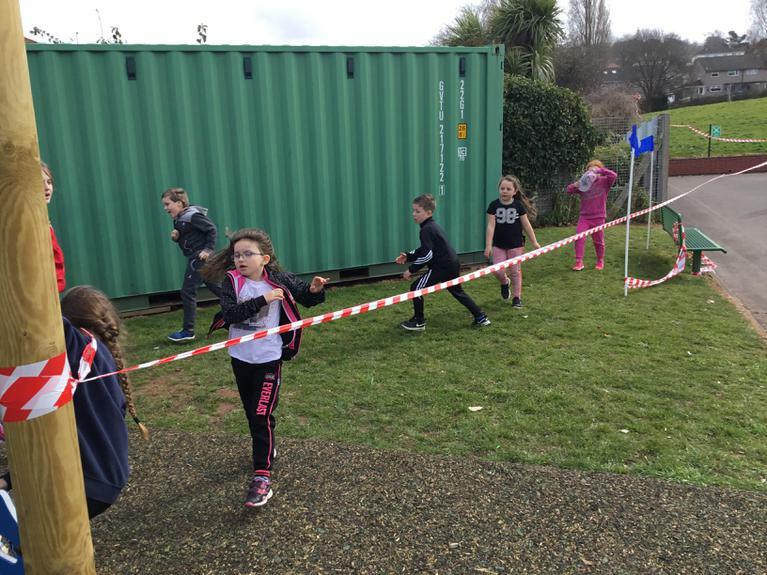 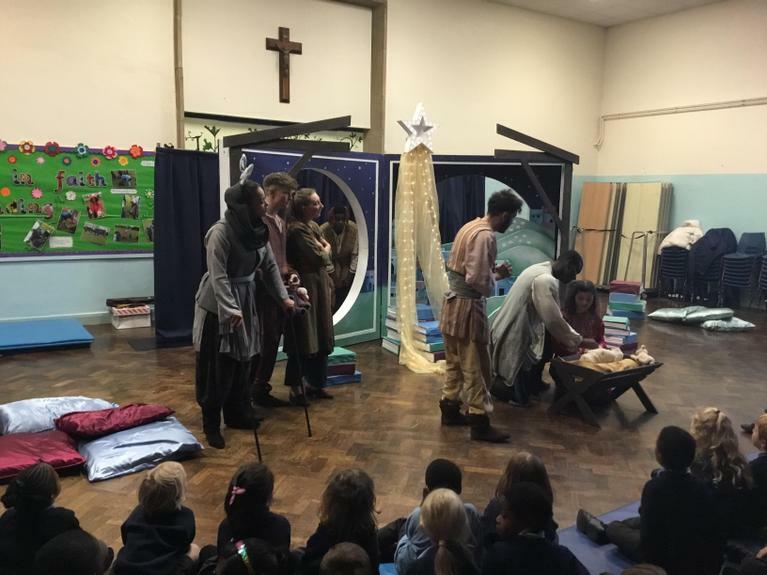 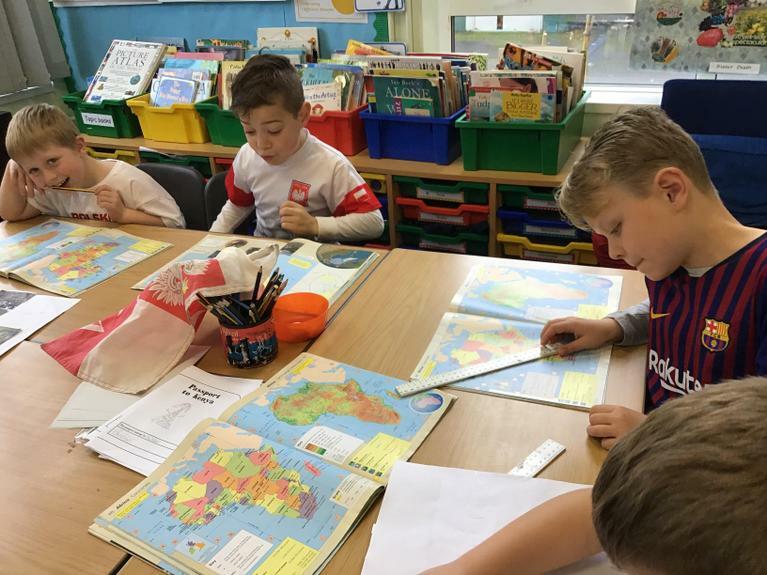 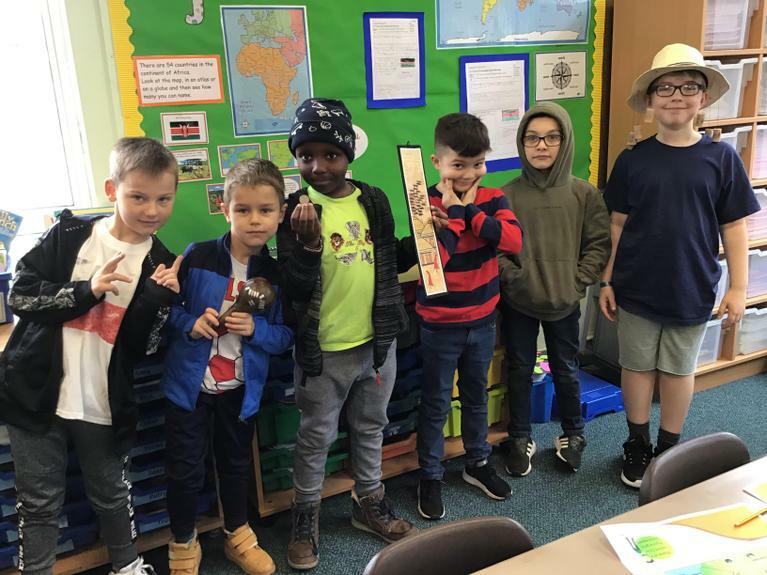 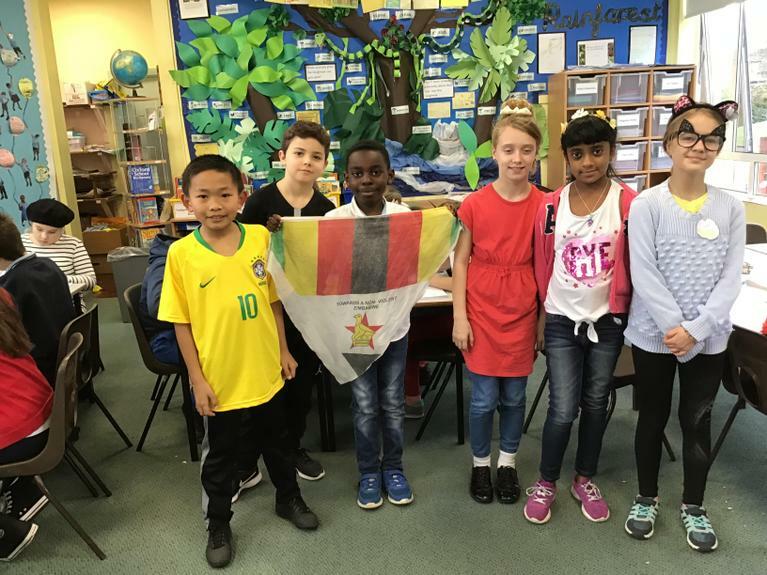 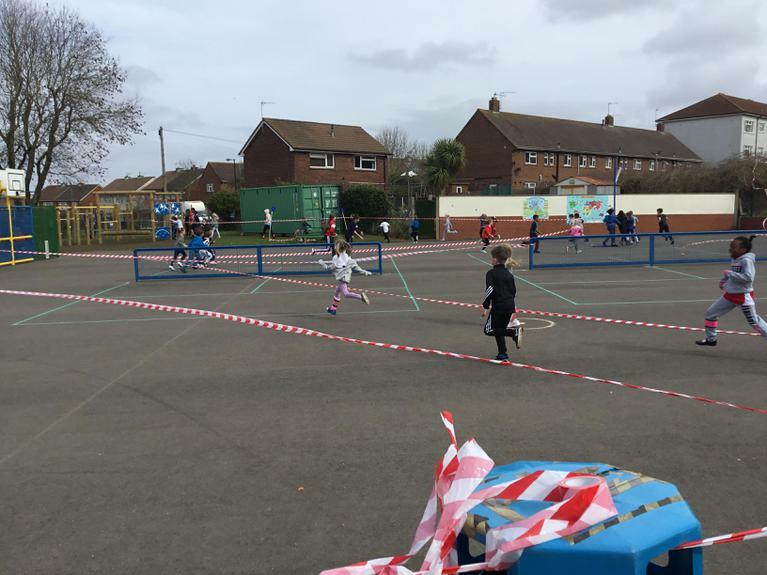 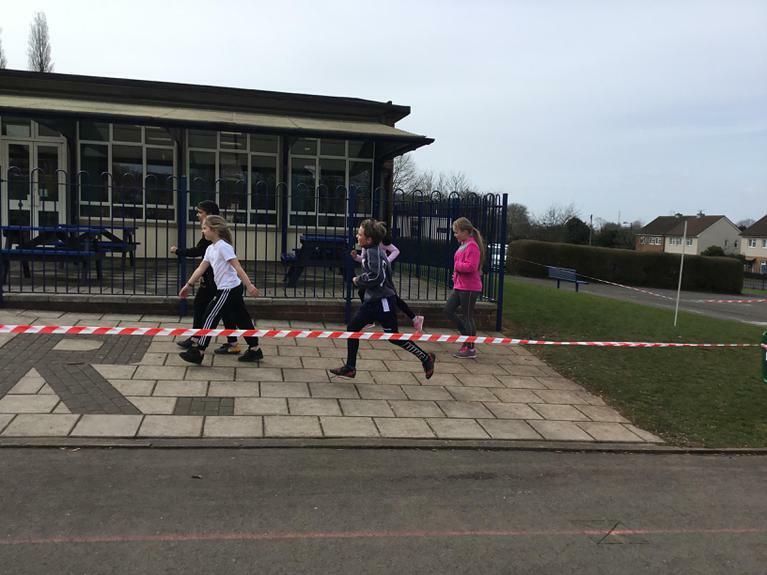 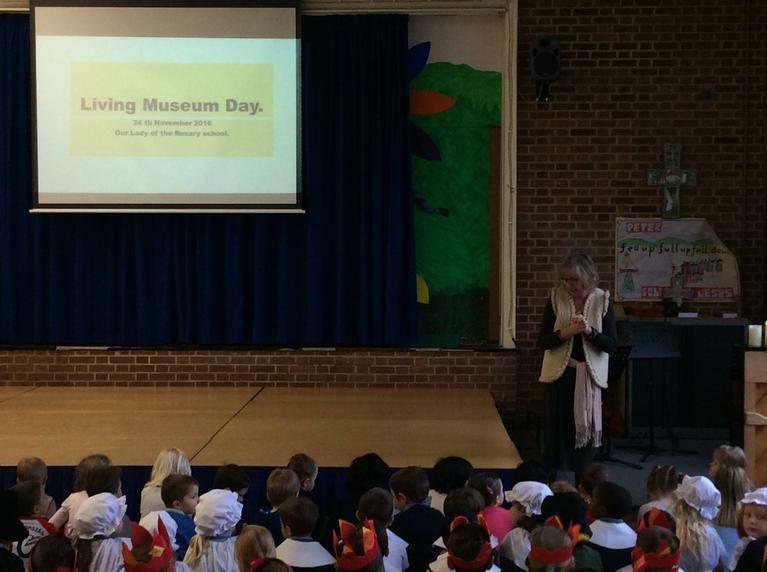 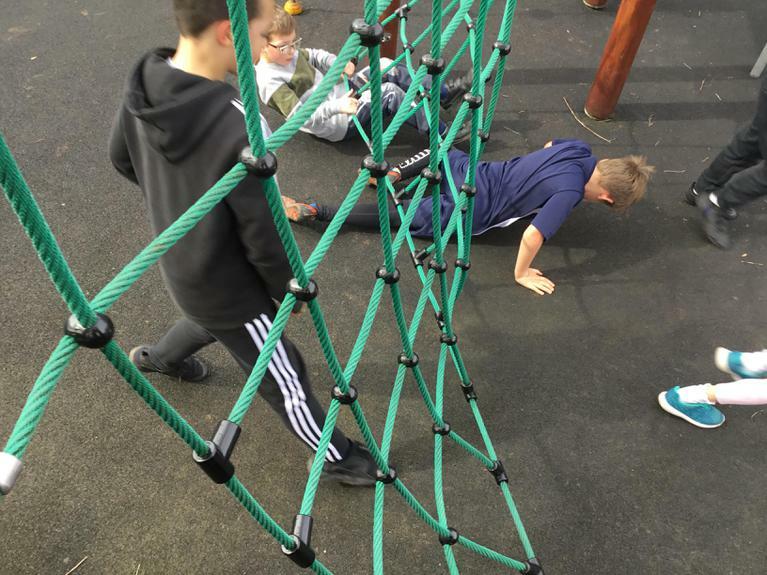 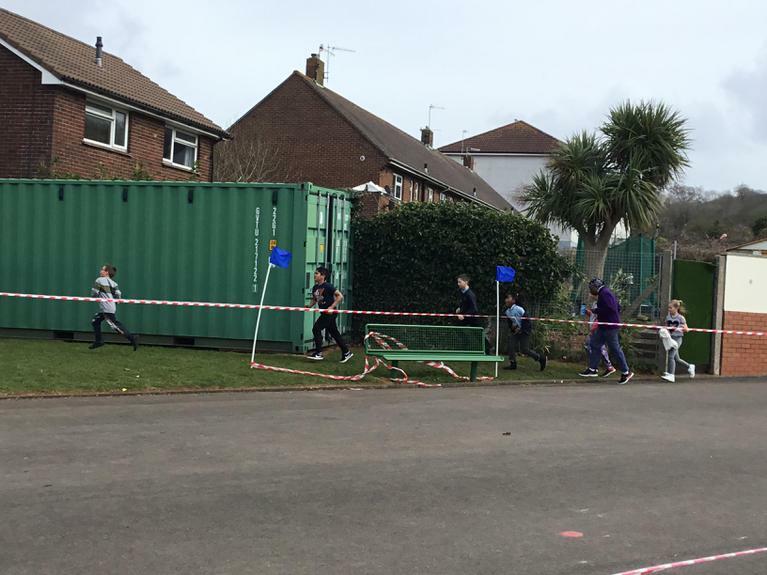 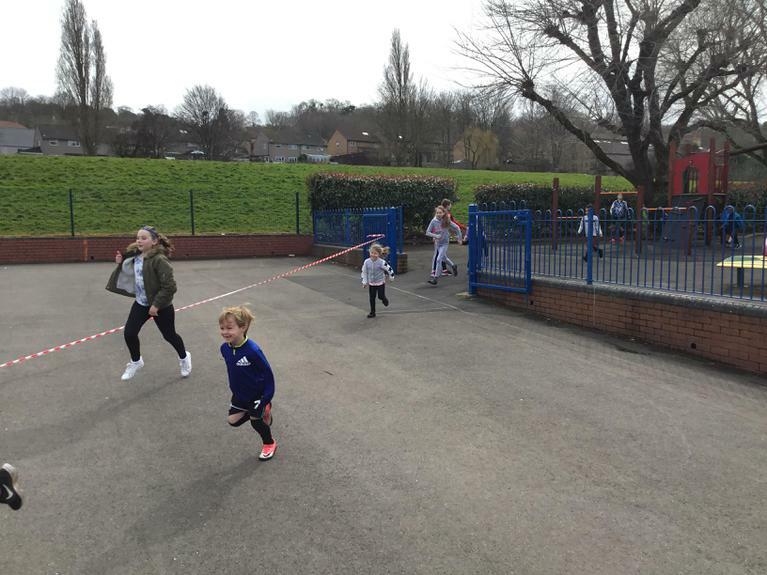 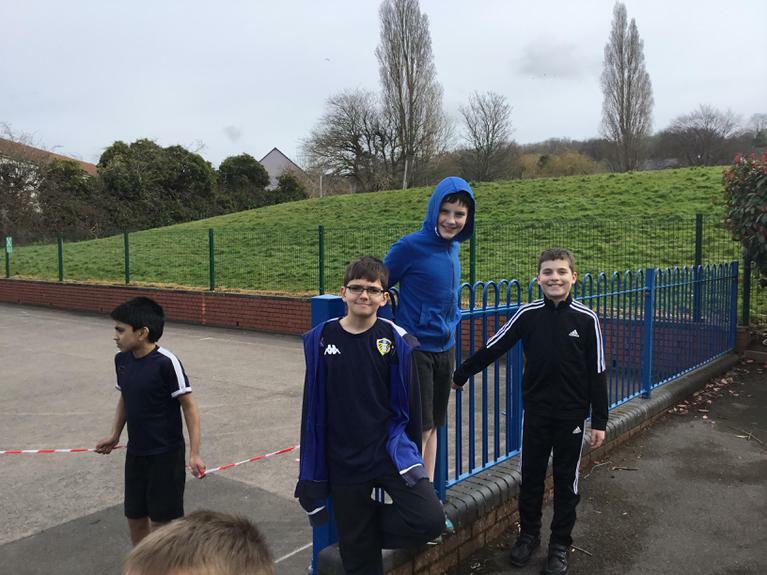 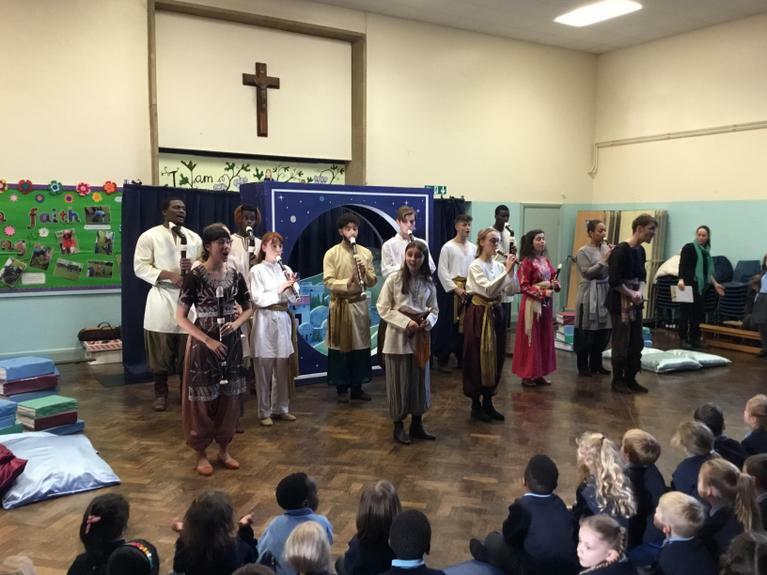 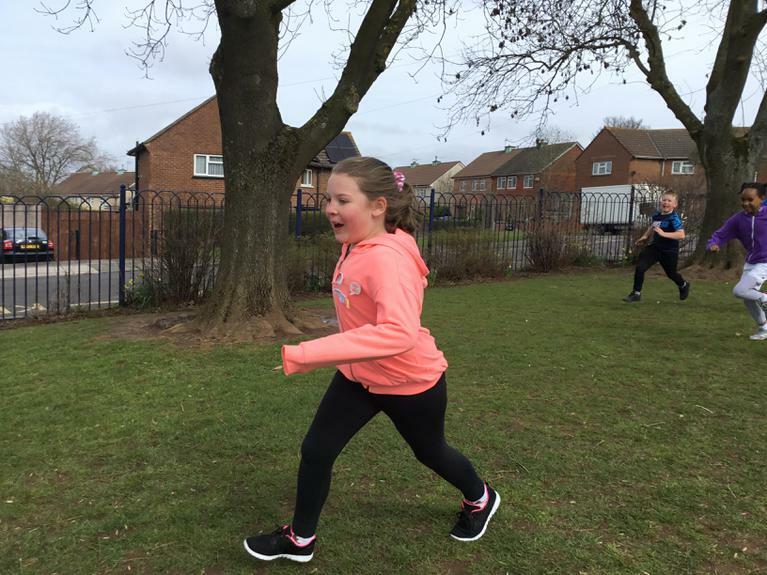 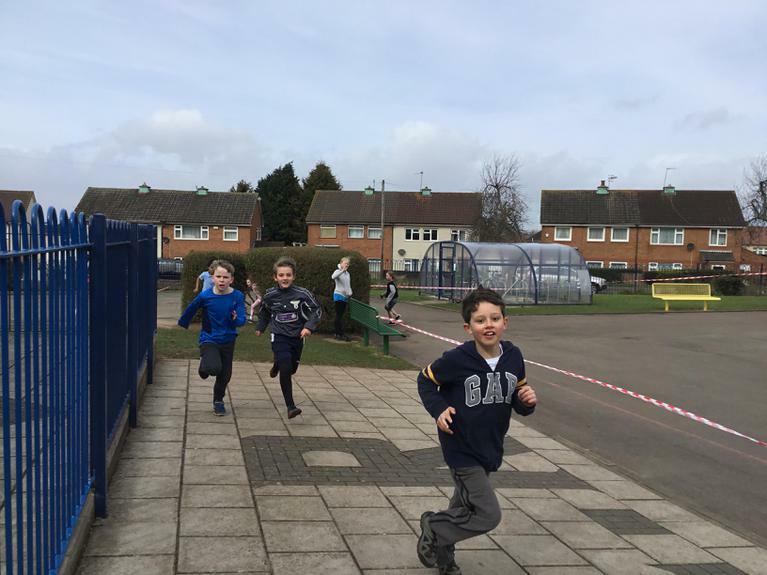 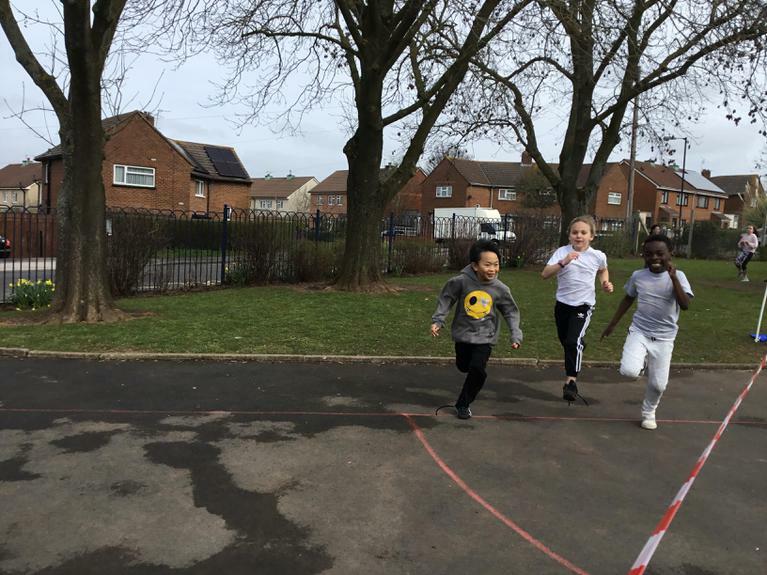 Throughout the day children took part in history based activities. 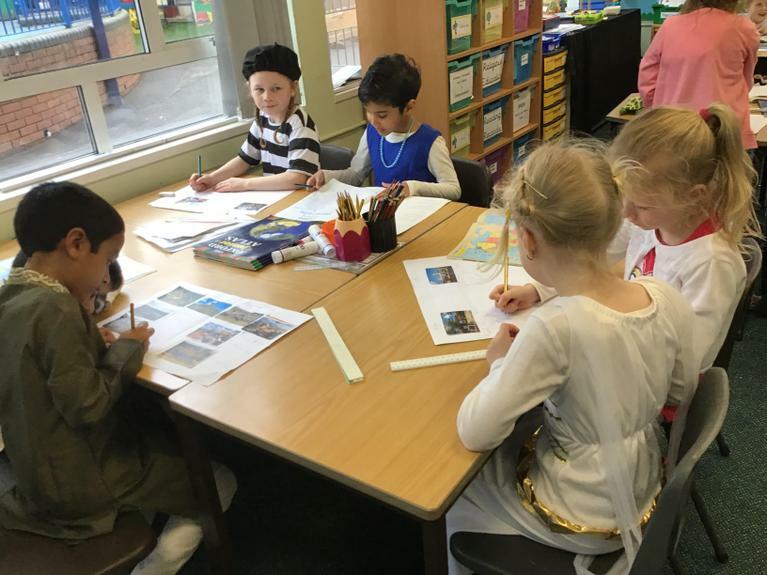 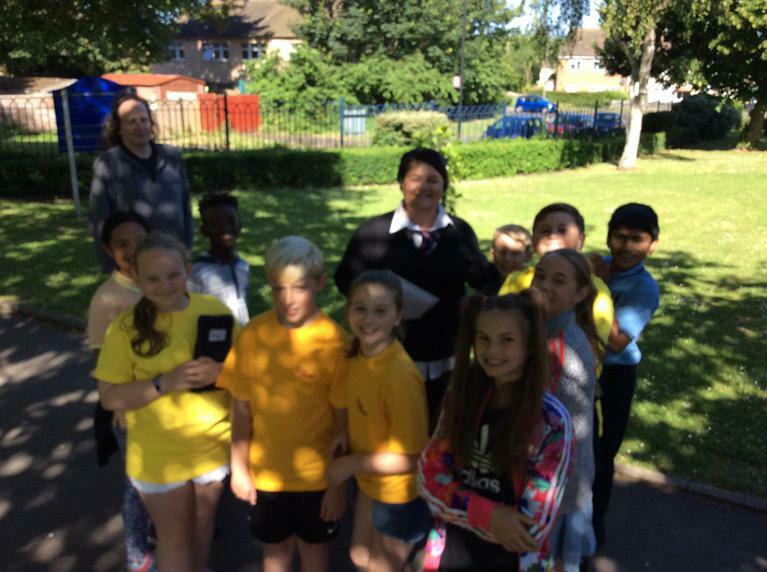 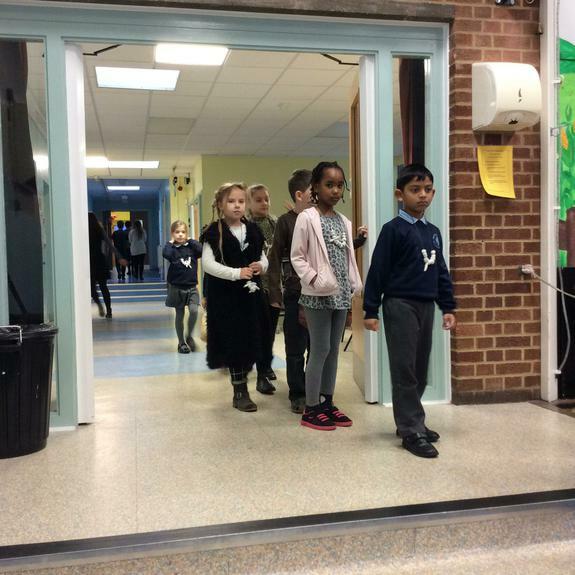 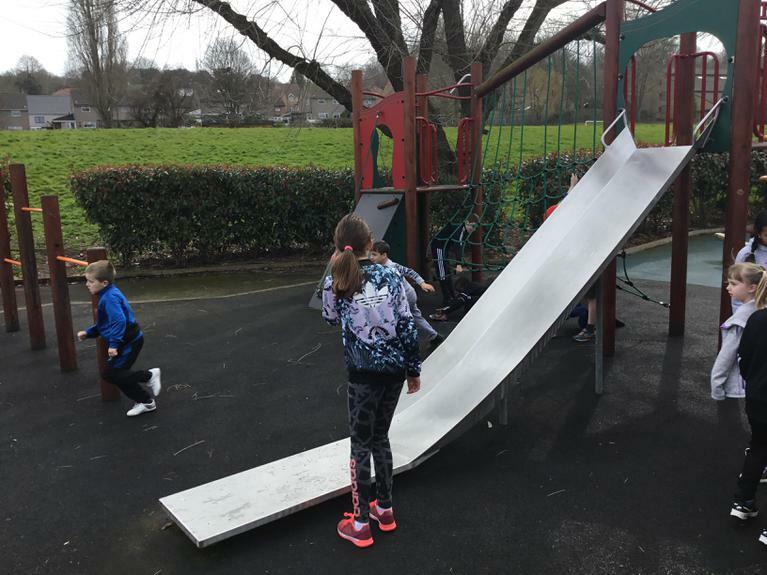 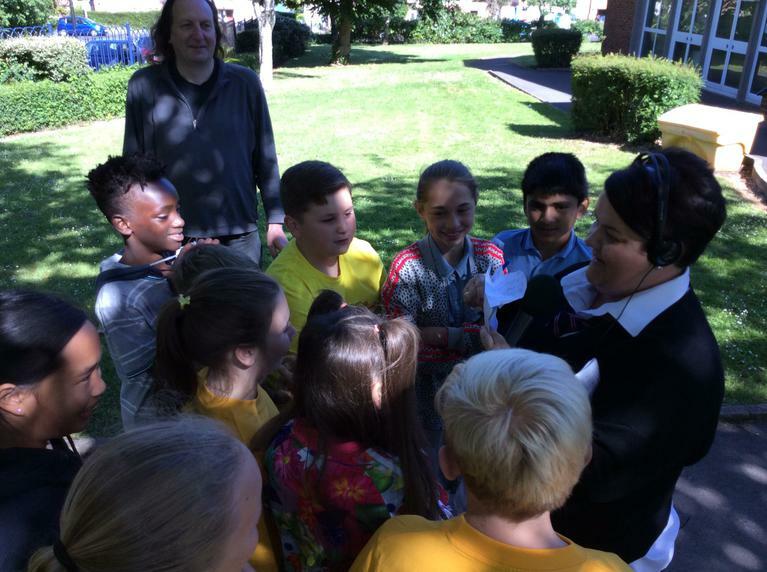 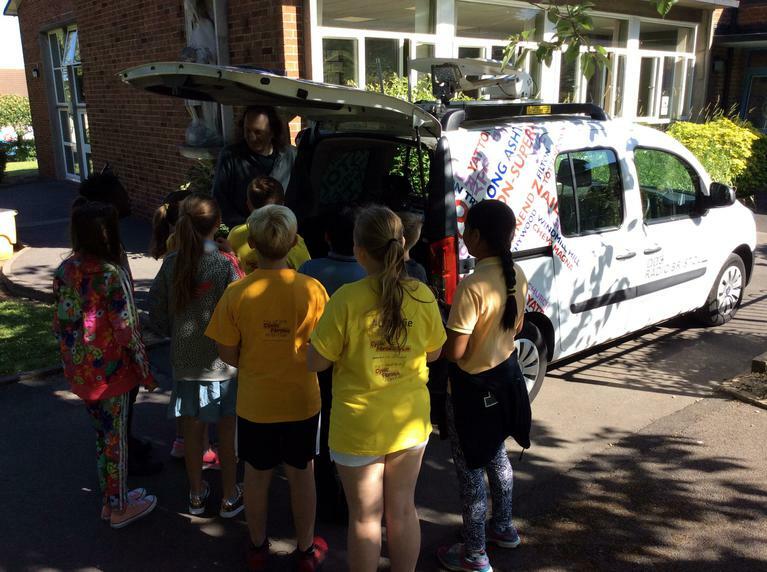 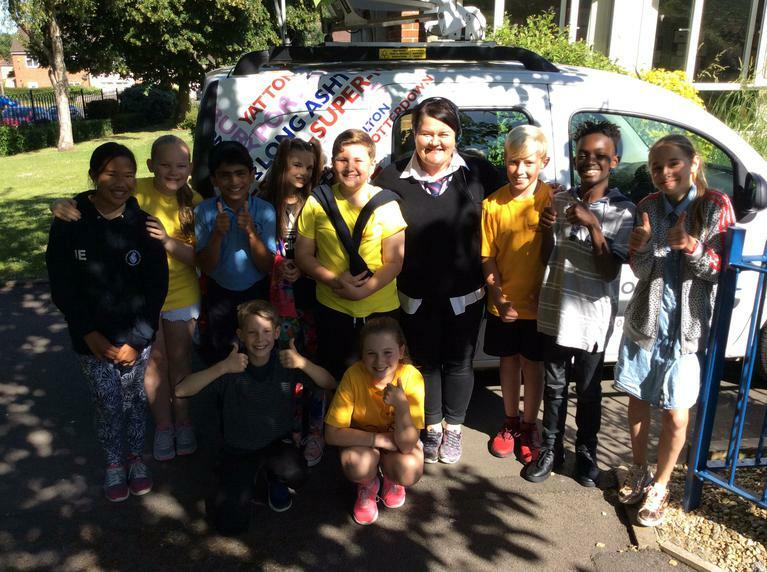 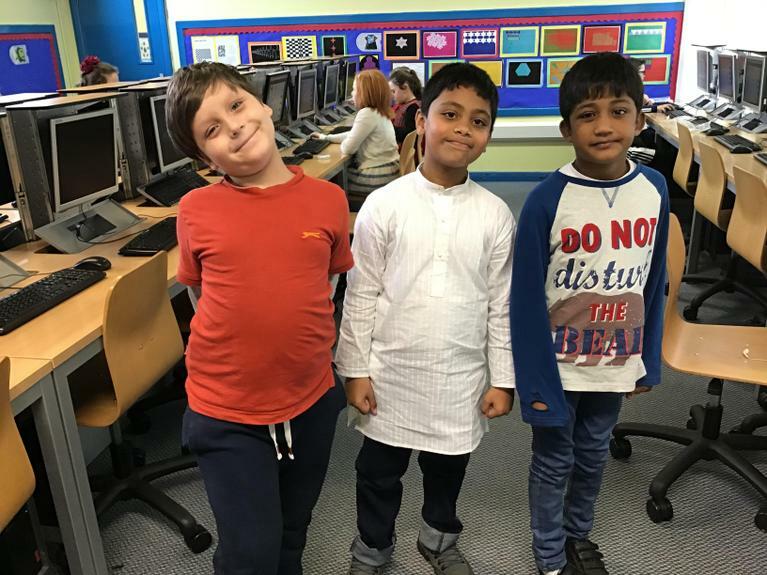 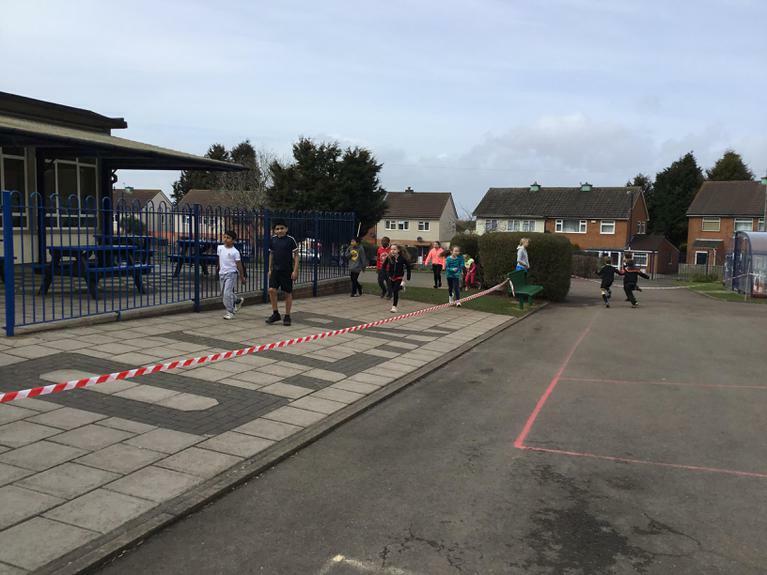 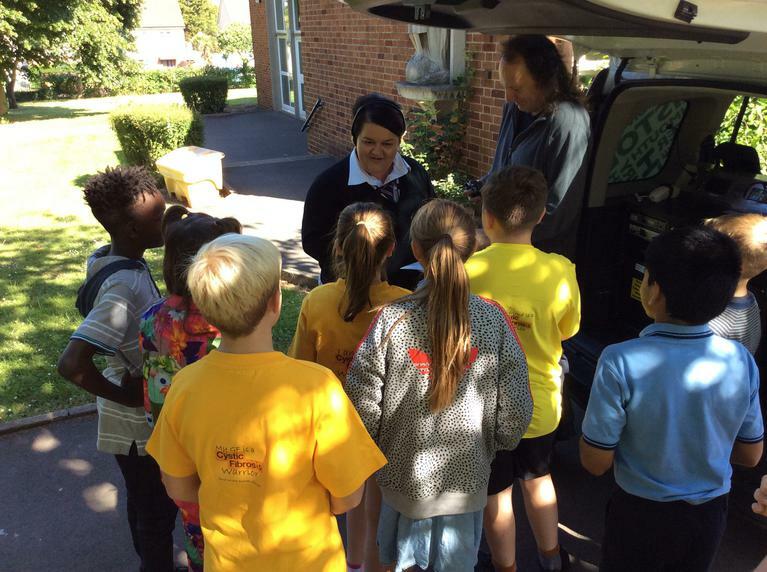 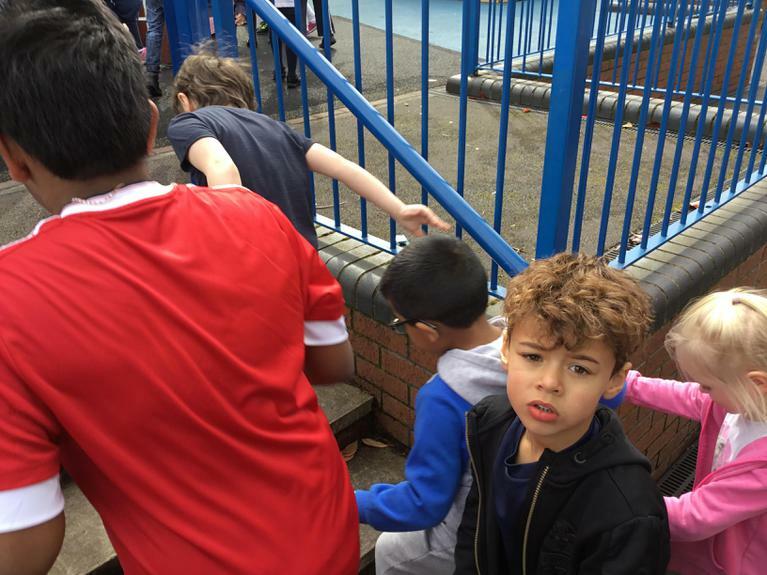 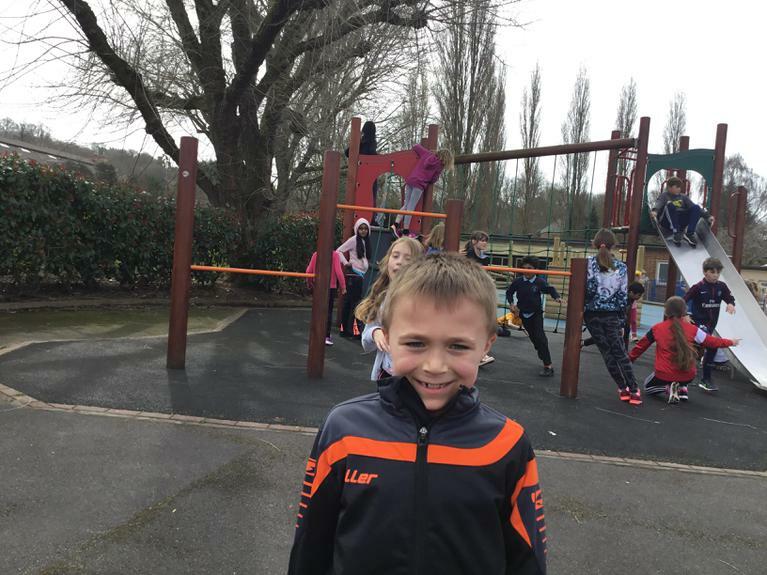 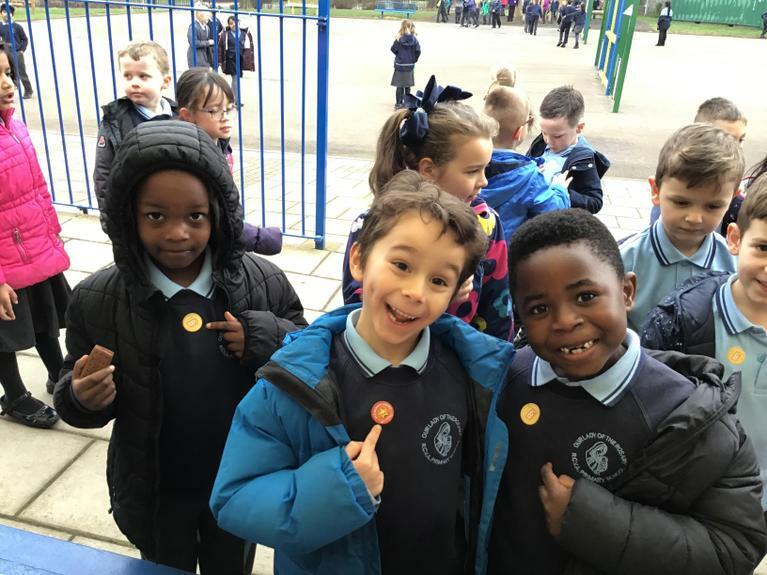 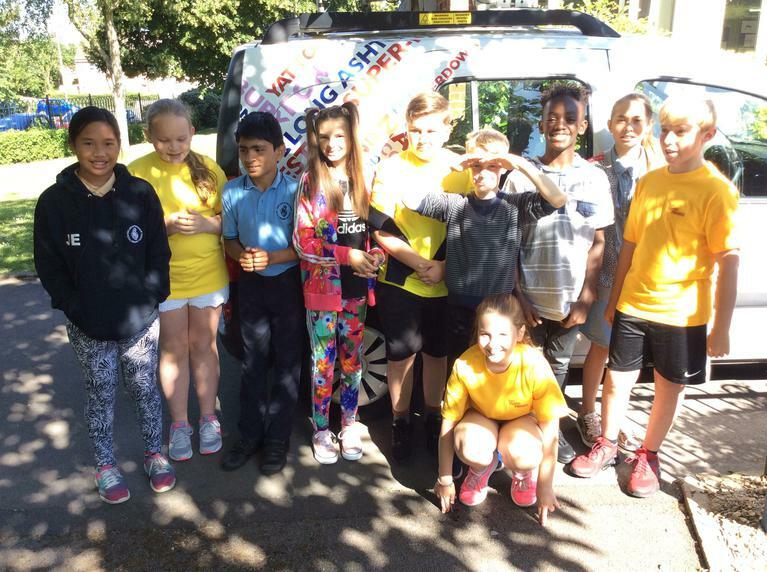 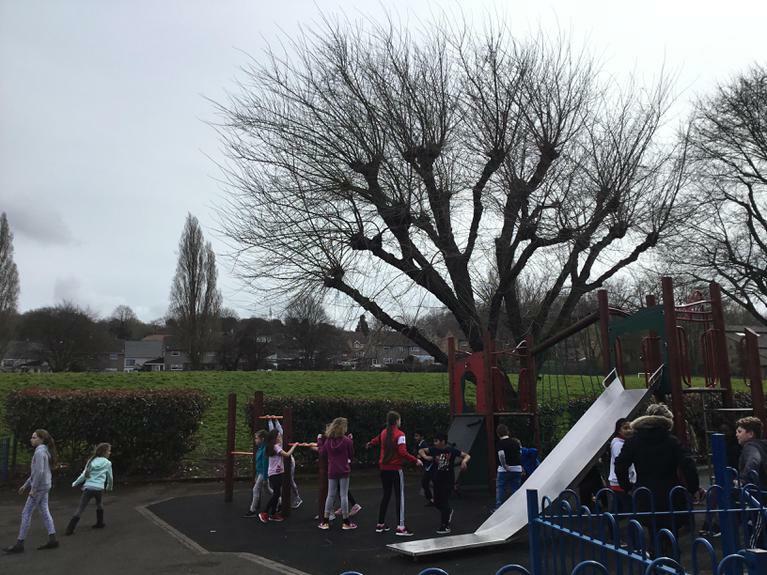 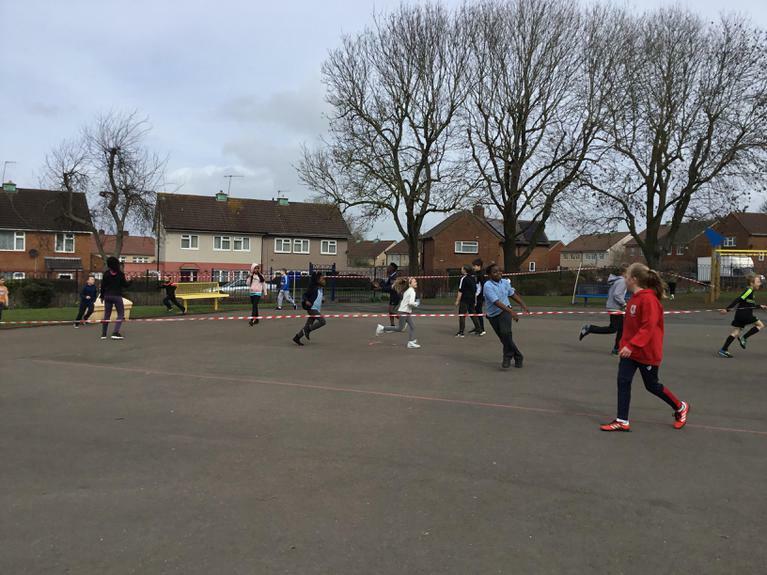 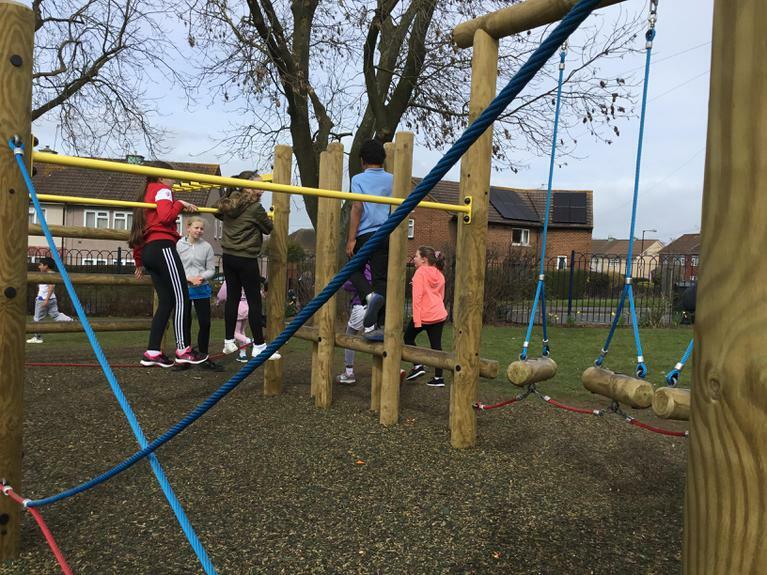 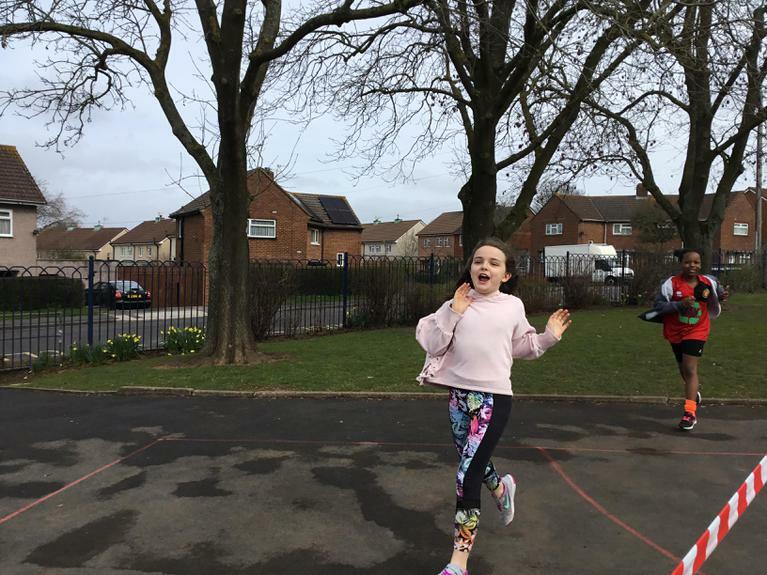 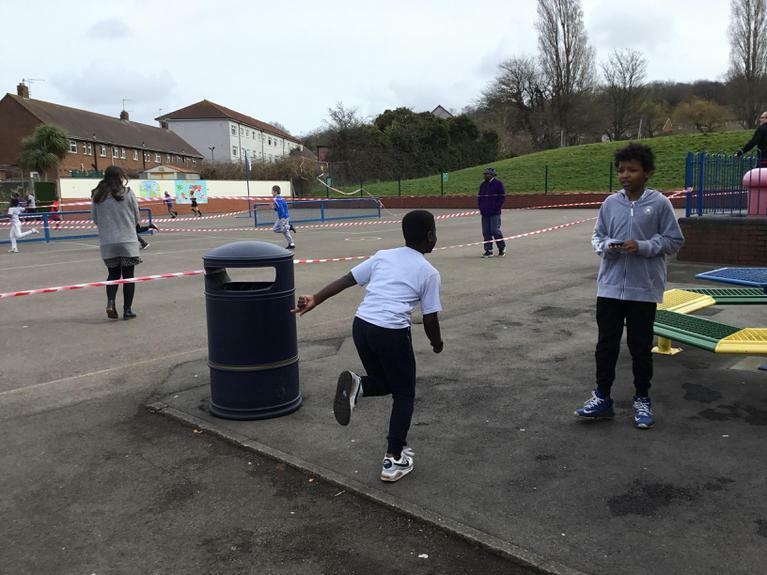 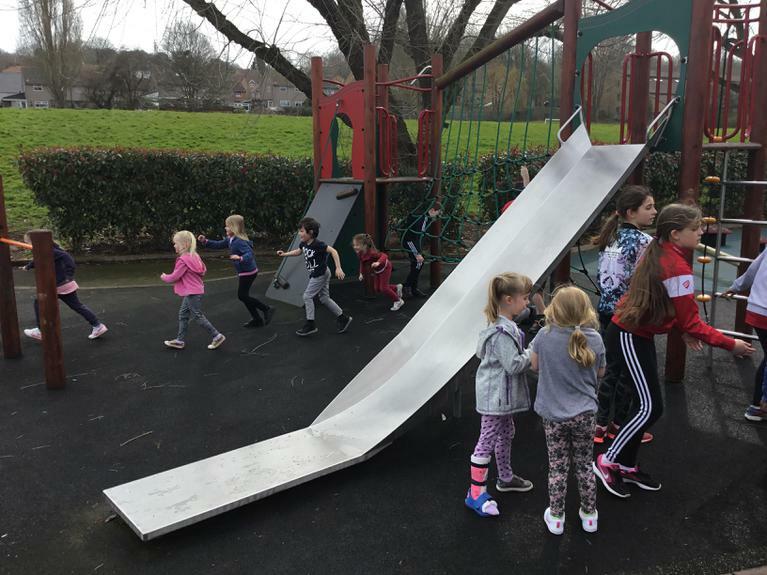 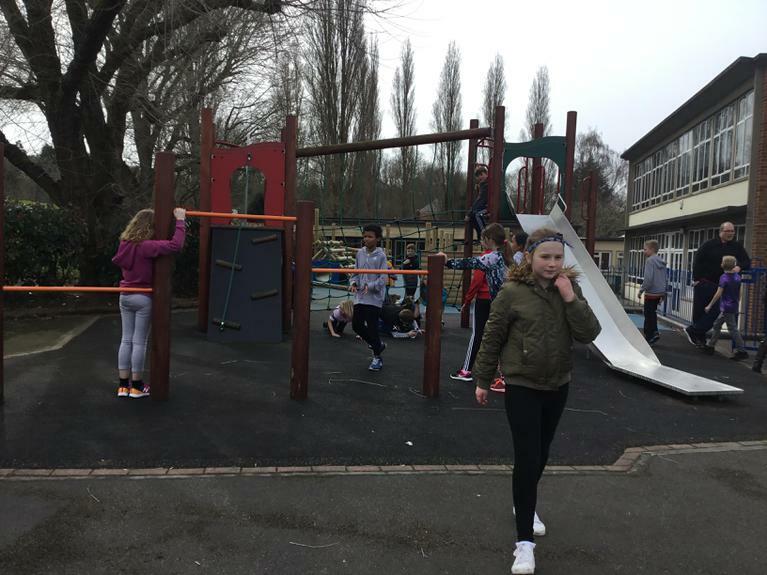 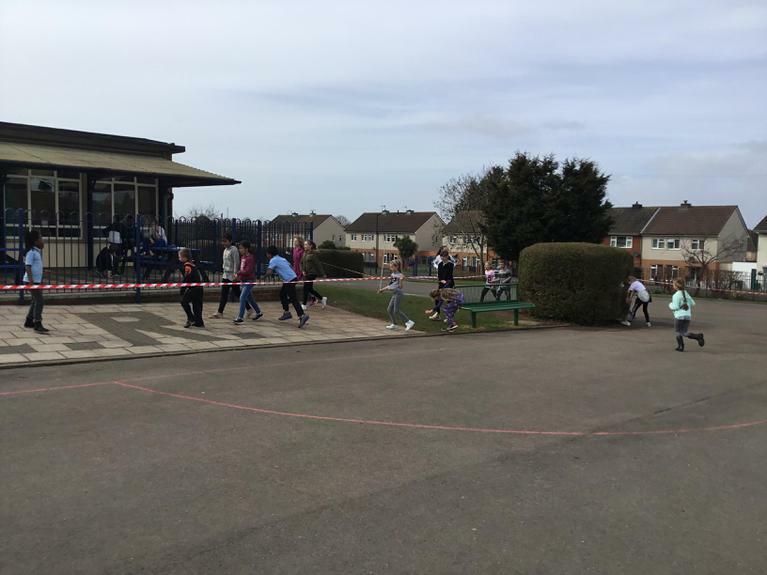 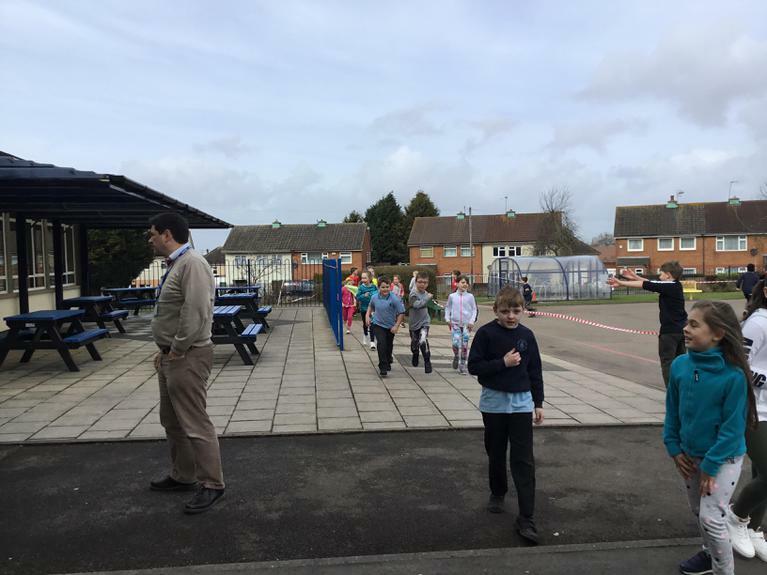 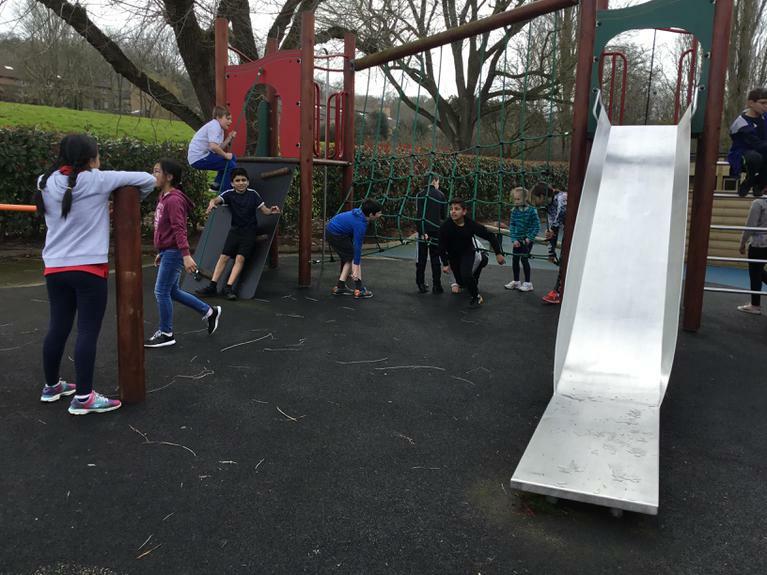 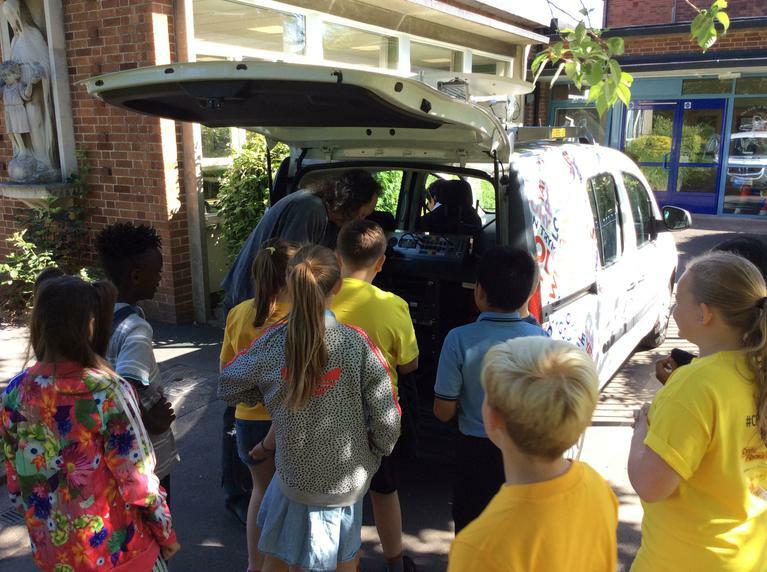 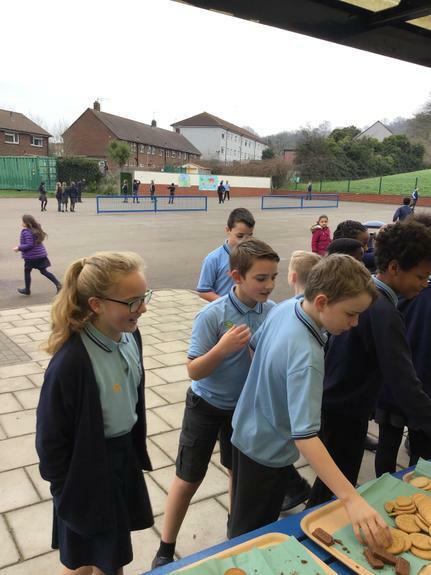 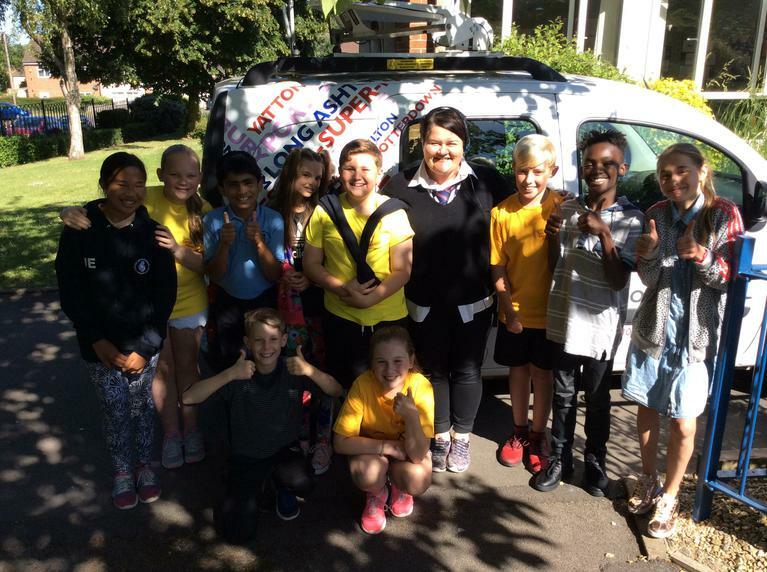 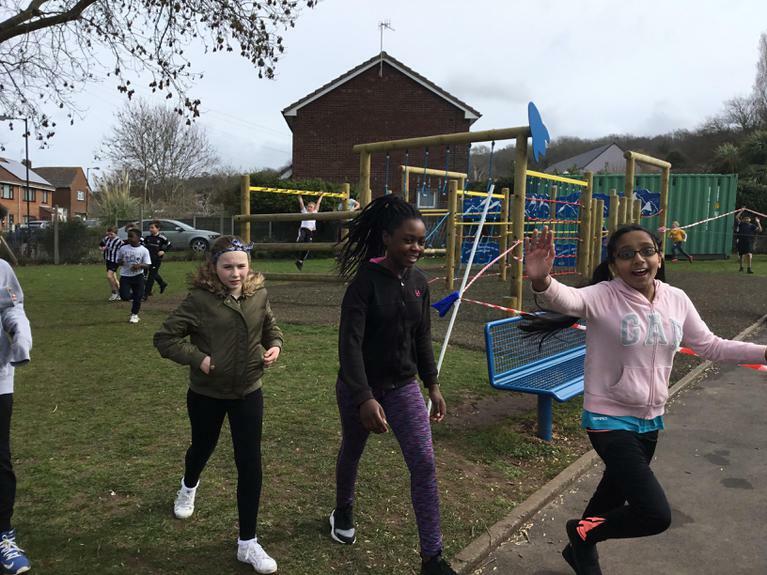 In the afternoon we welcomed parents and carers to the school so that they could visit each class and explore the History of Lawrence Weston and Bristol too. 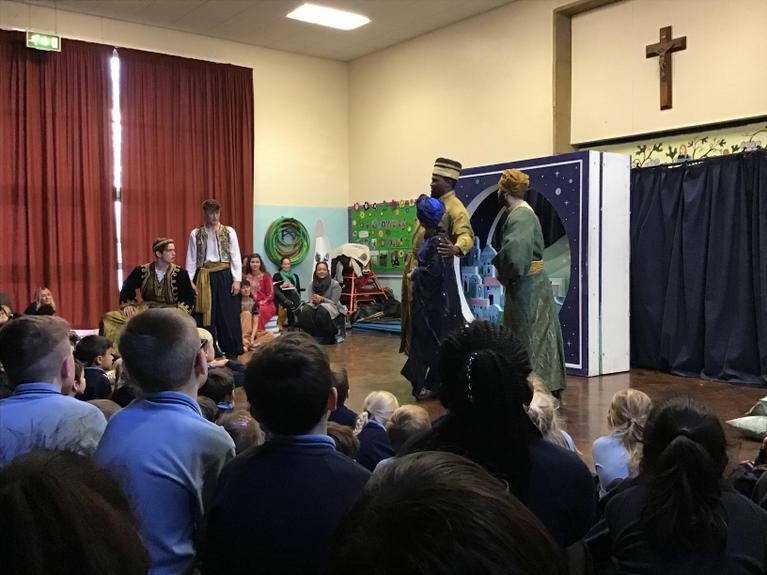 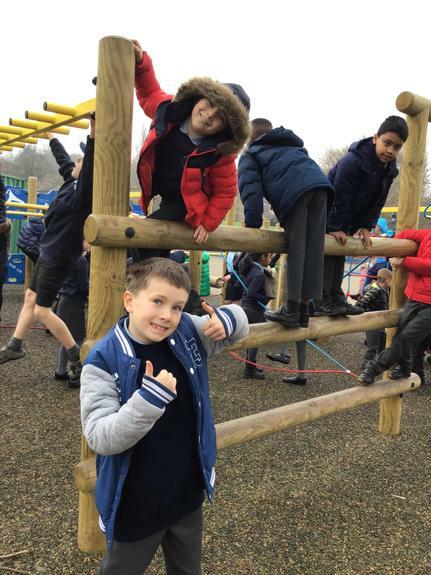 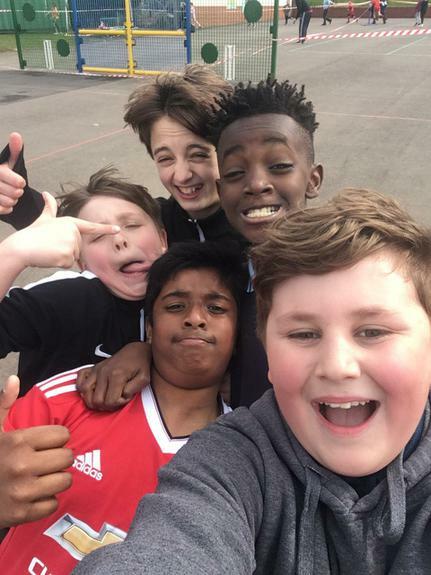 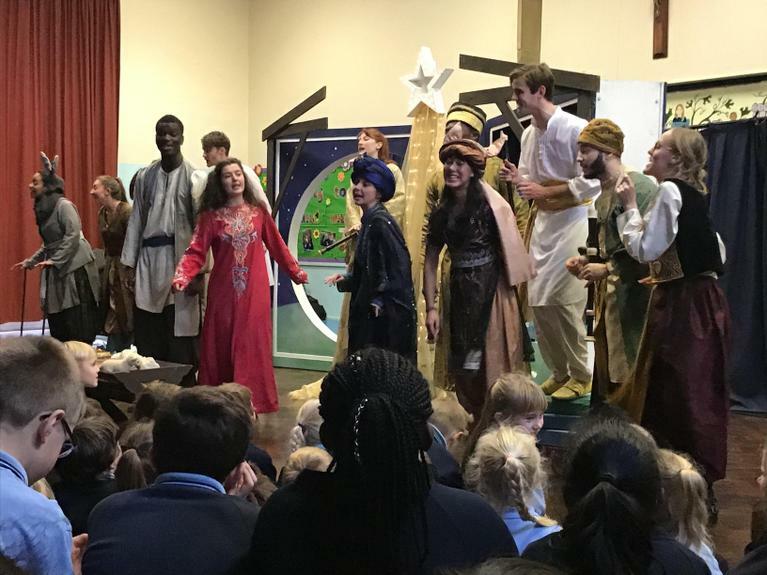 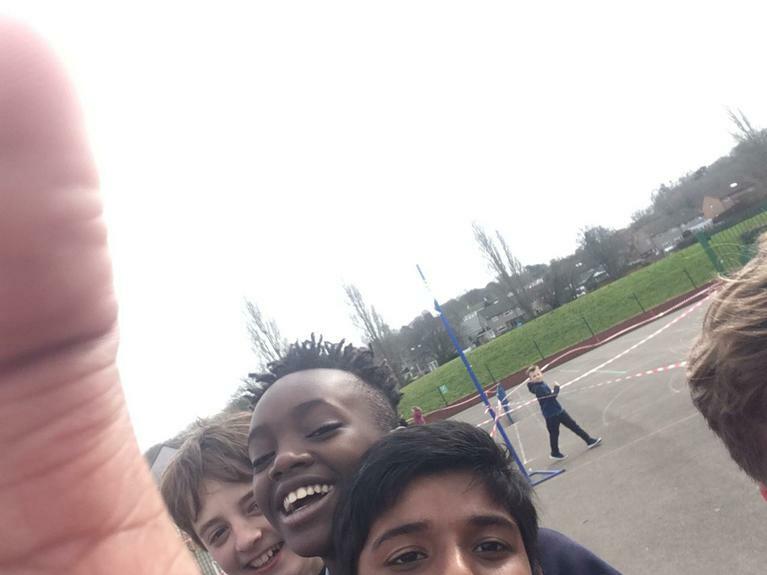 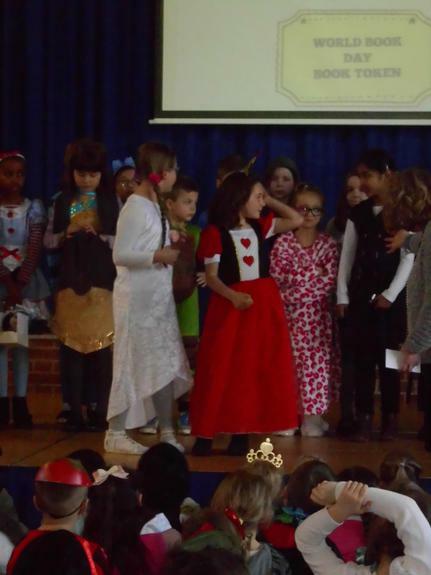 We received many lovely comments about the children and their work. 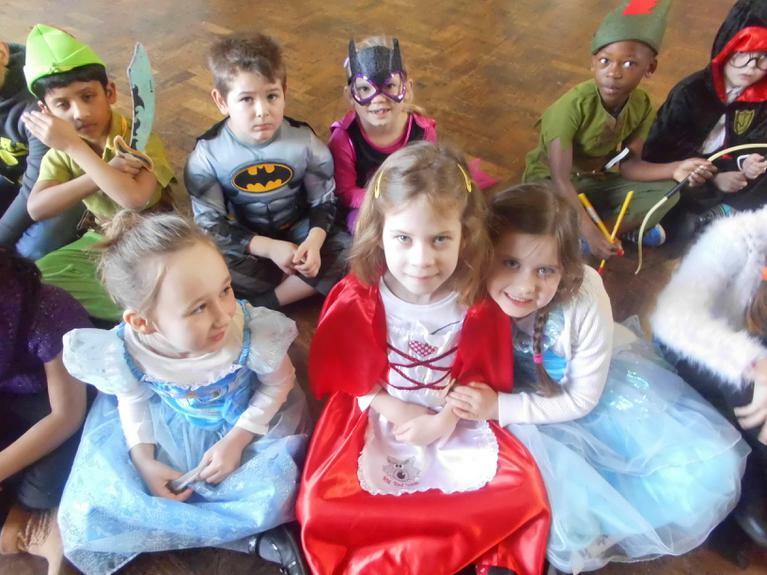 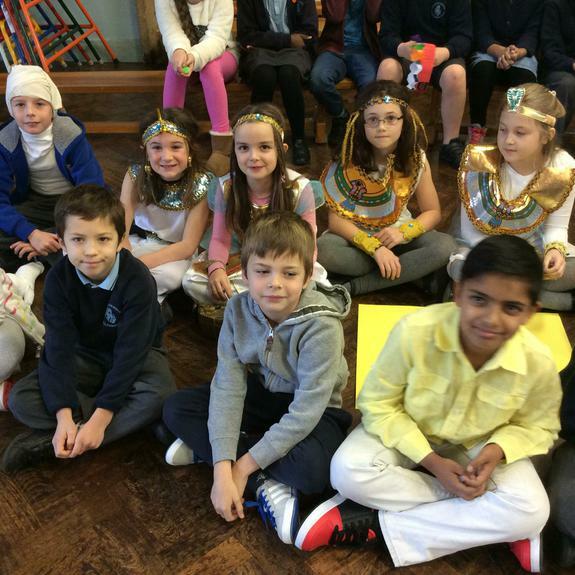 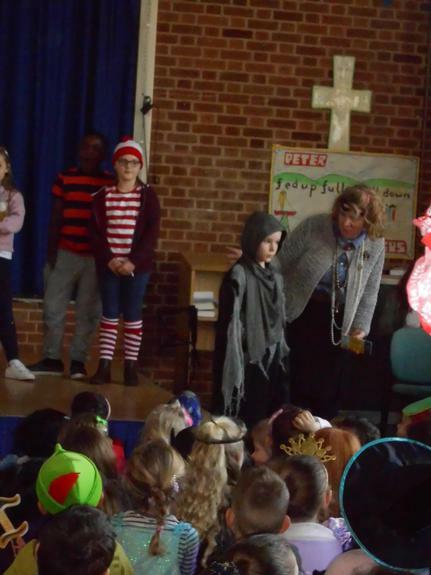 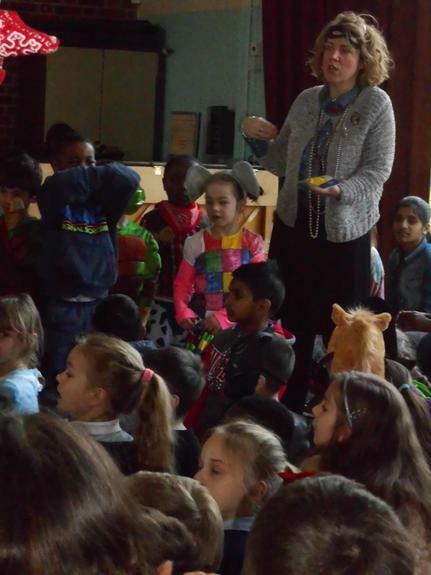 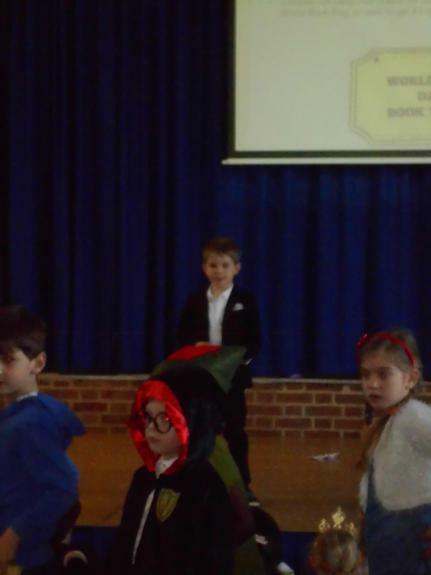 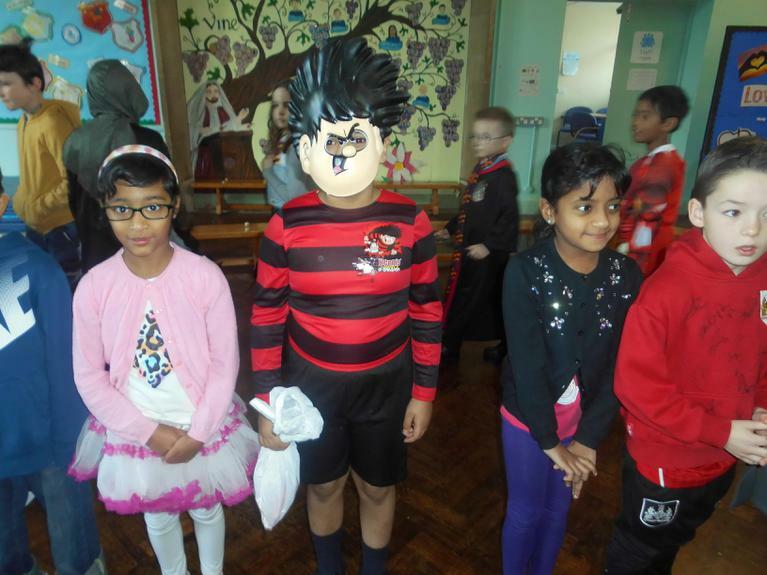 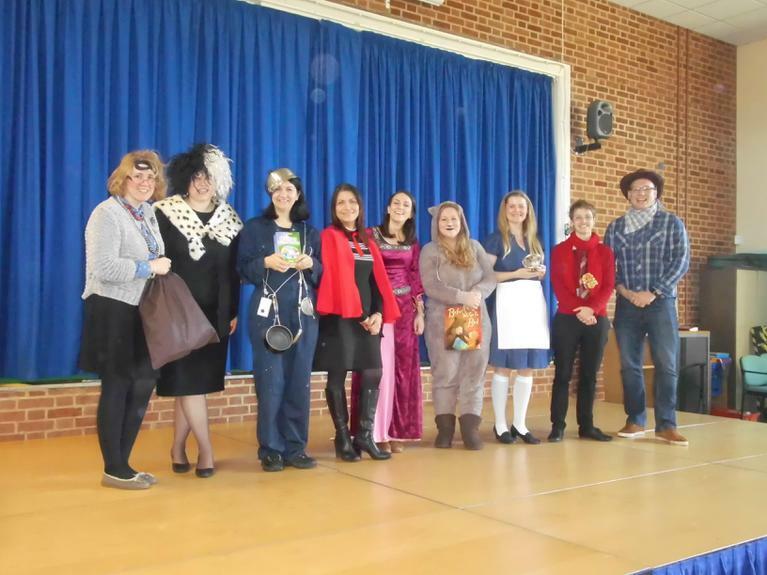 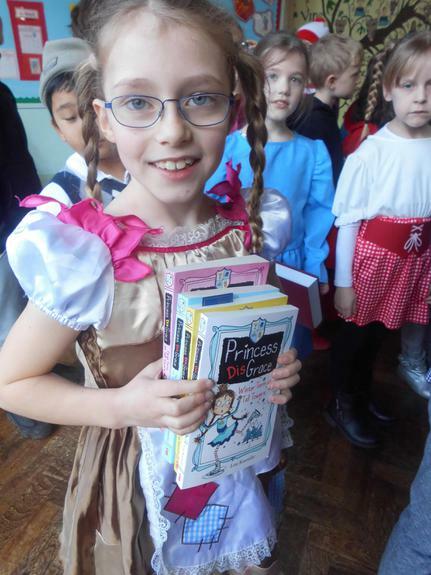 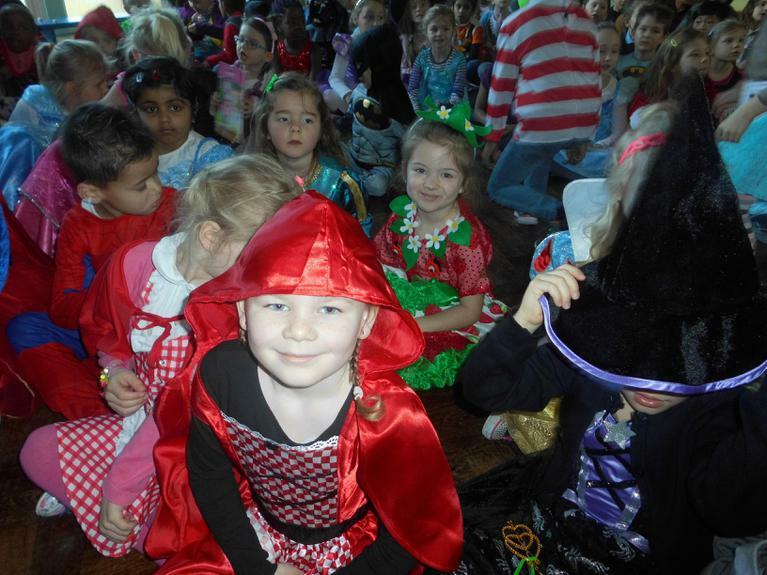 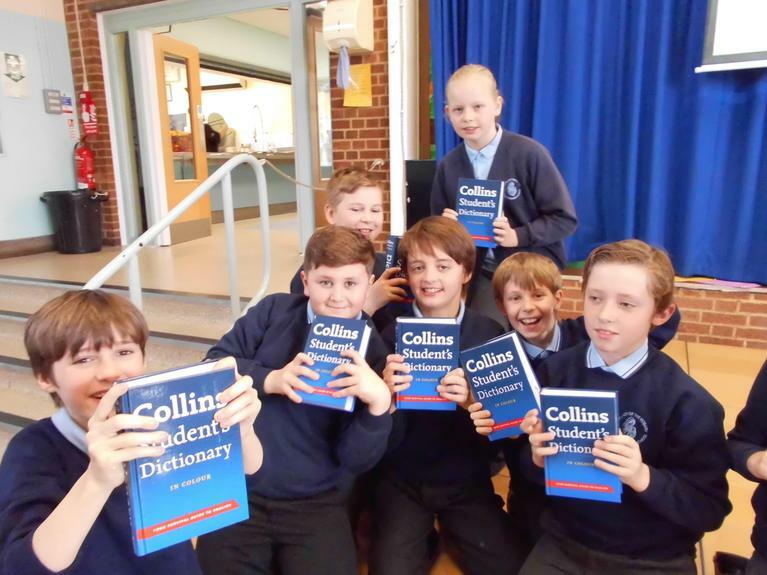 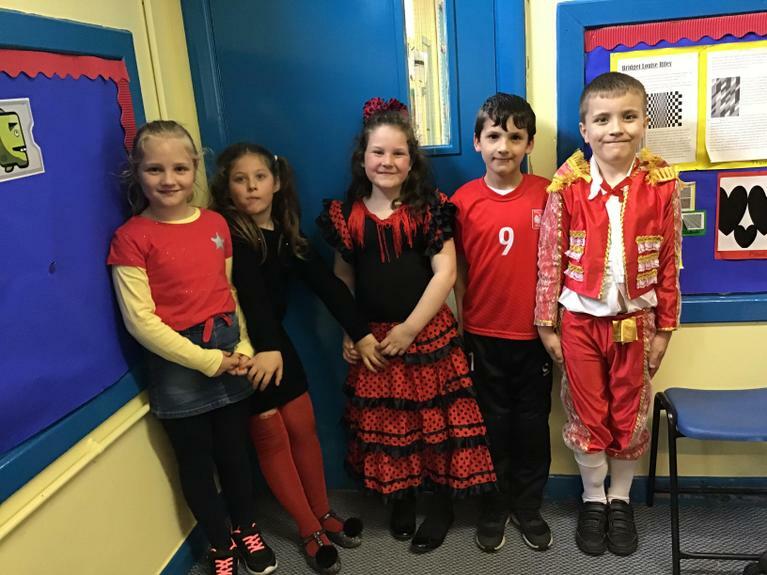 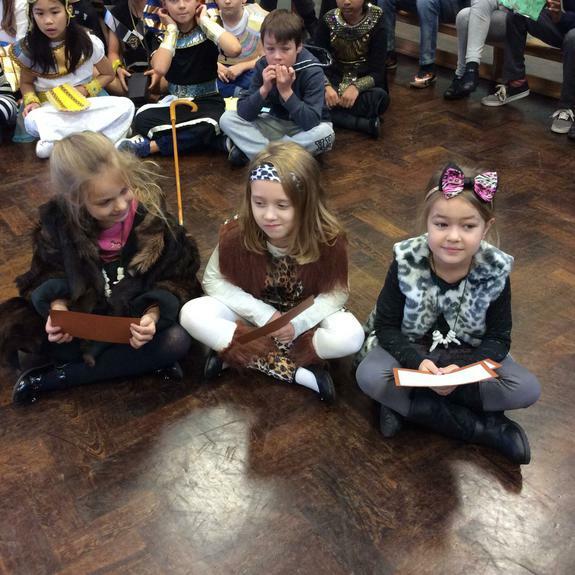 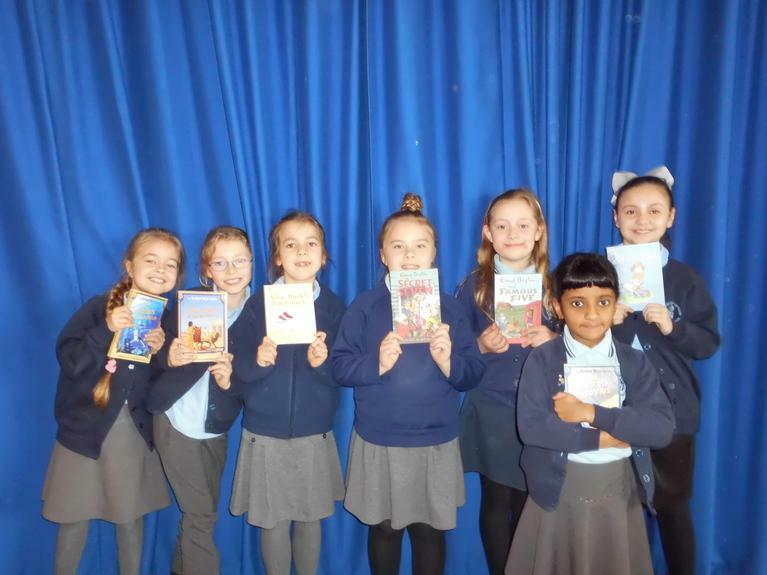 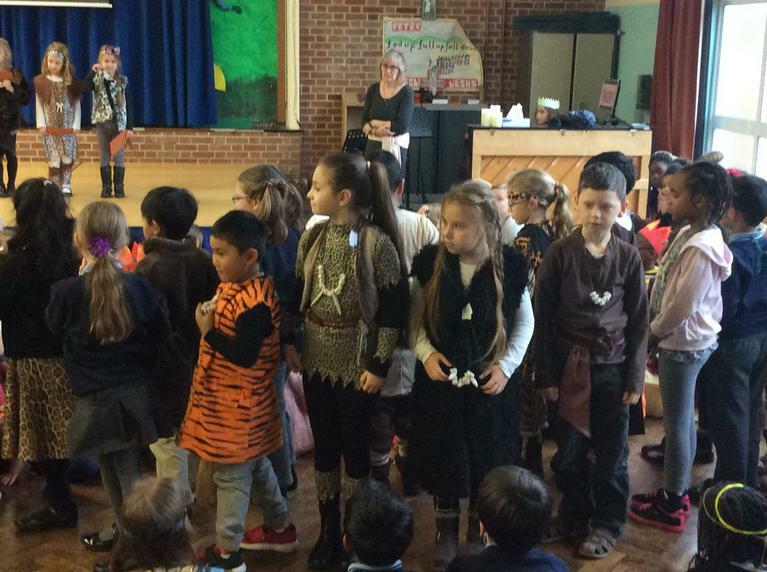 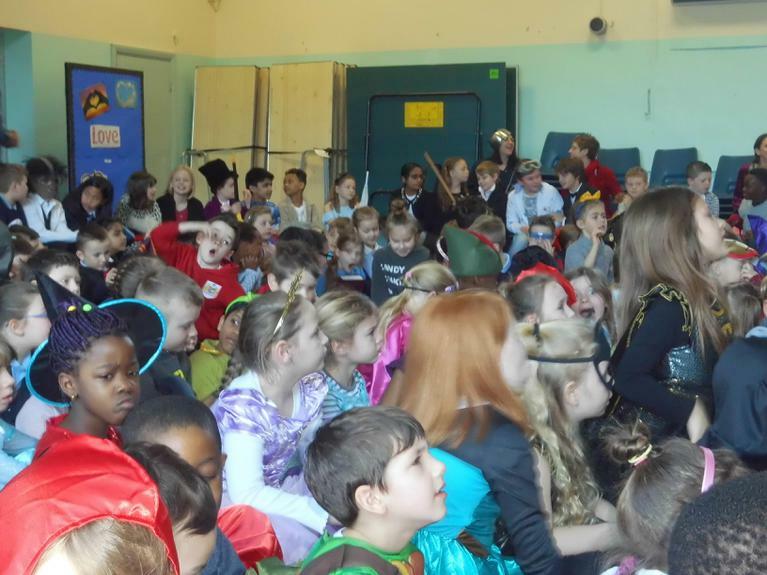 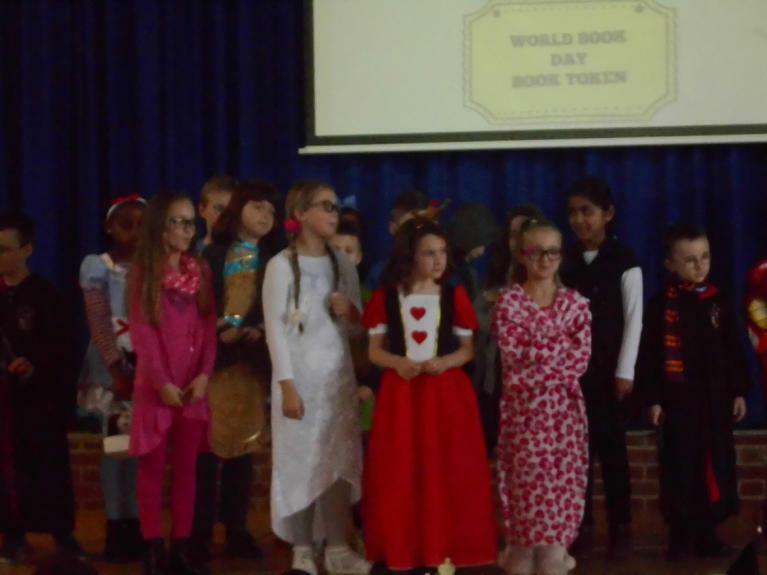 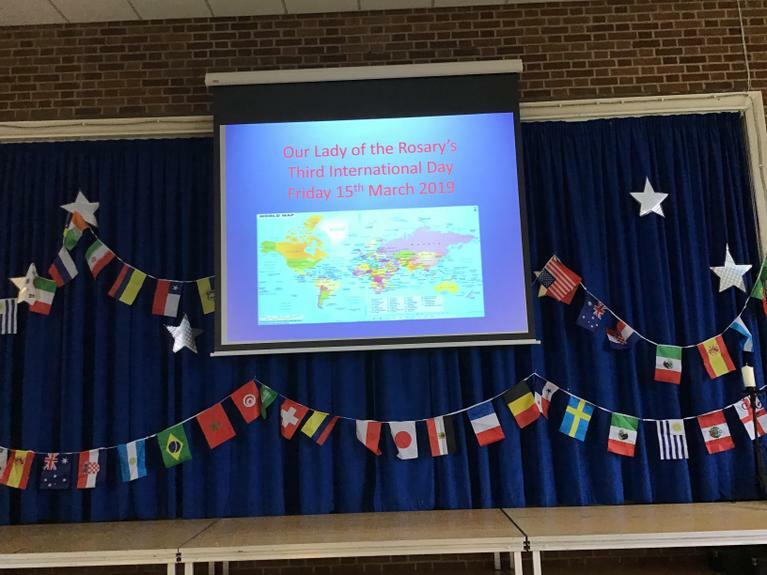 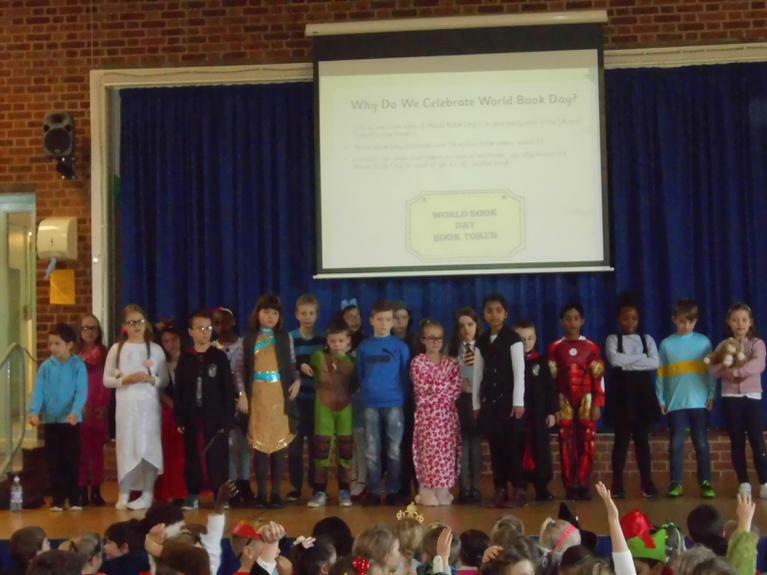 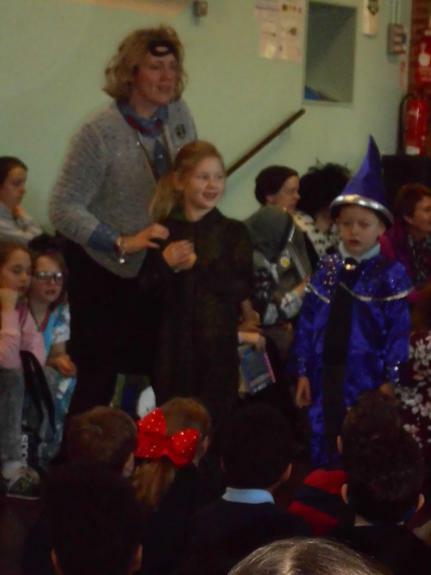 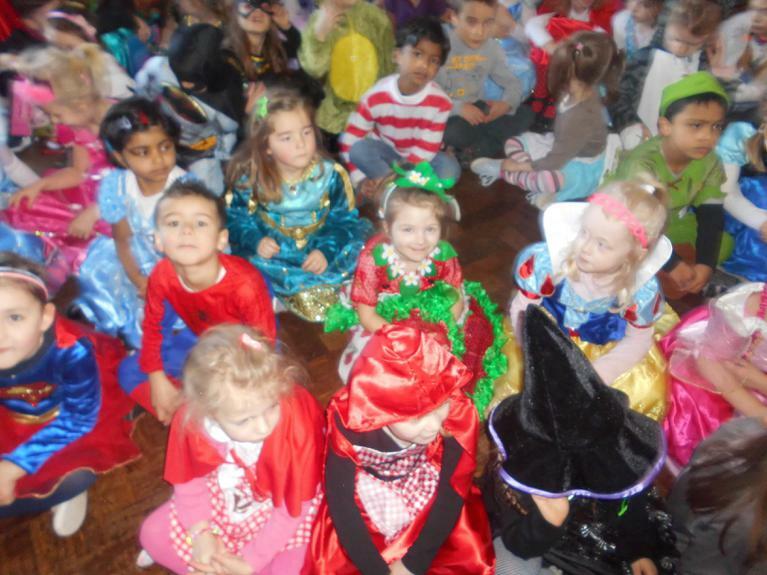 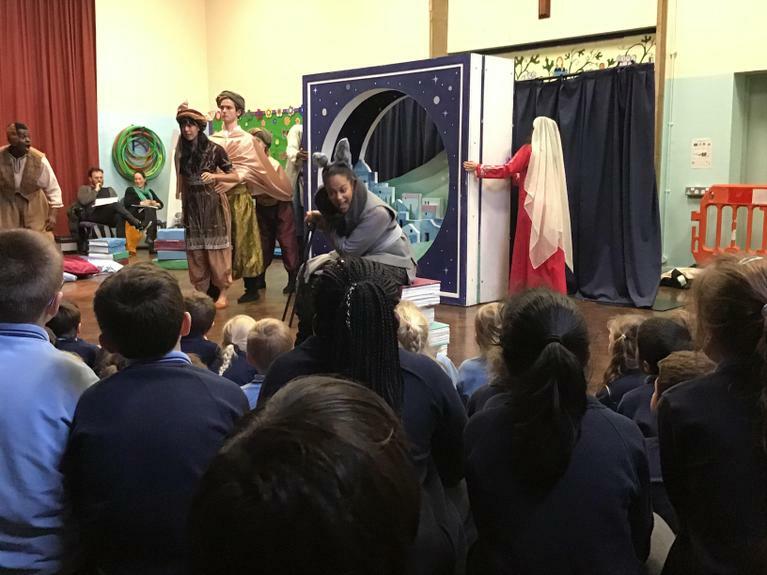 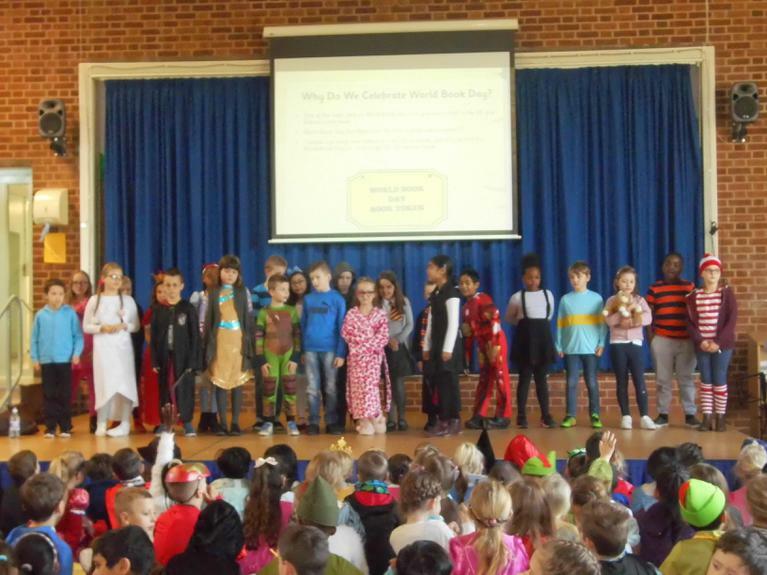 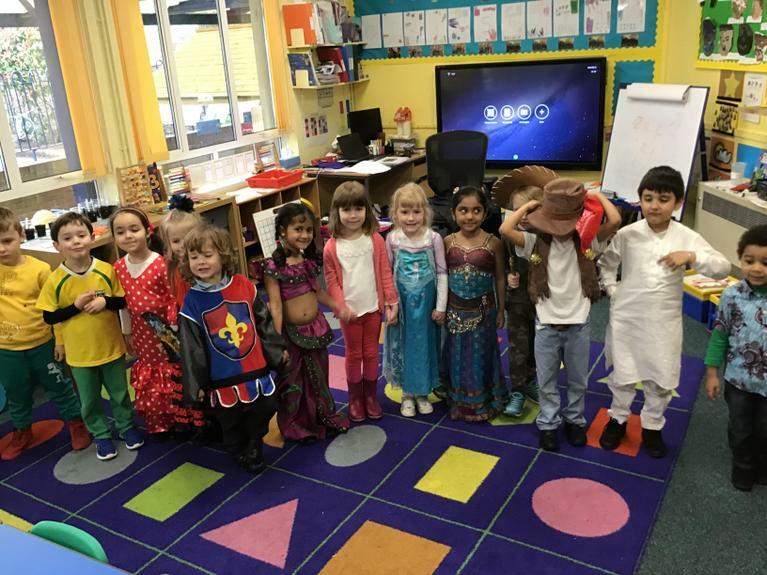 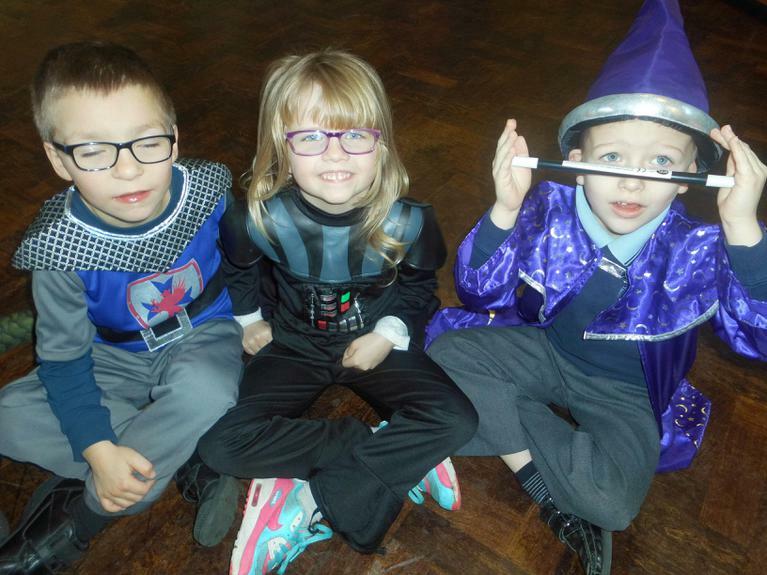 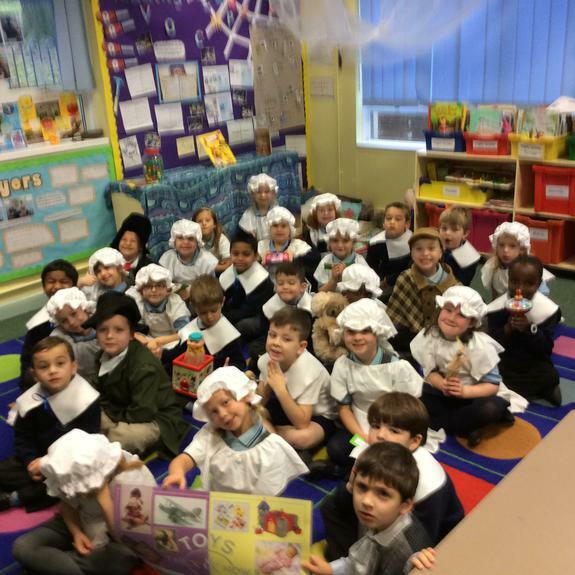 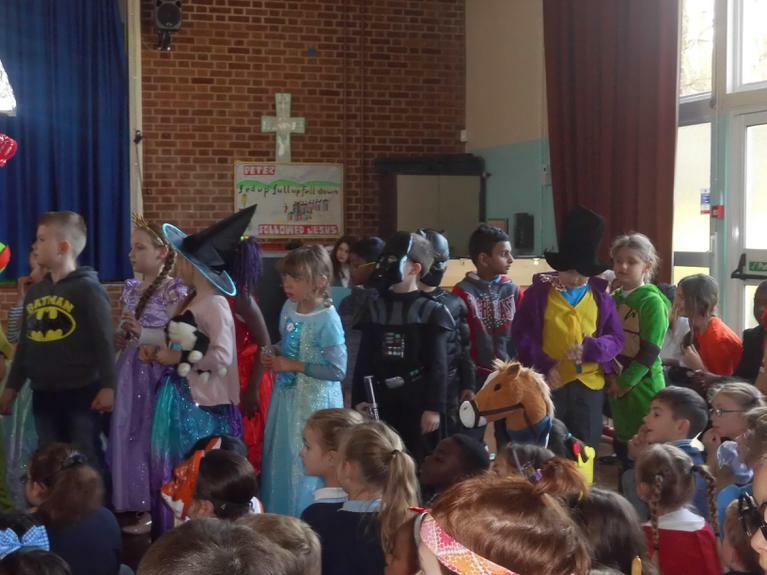 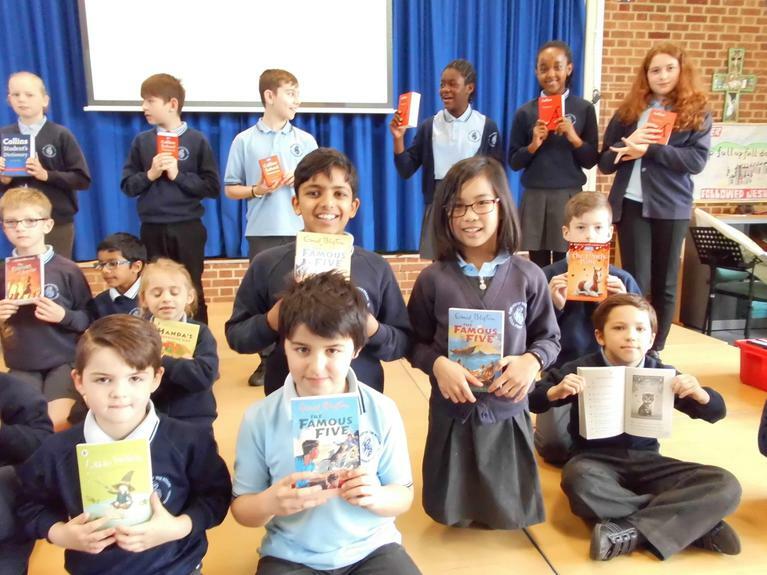 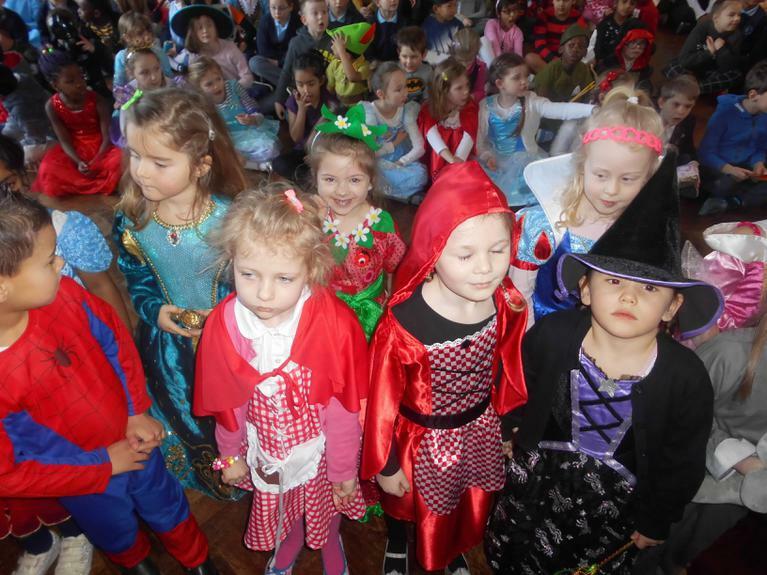 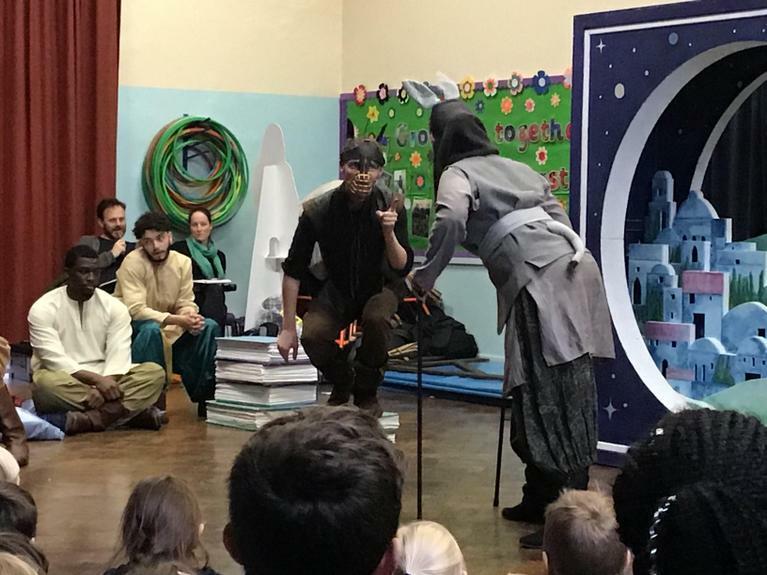 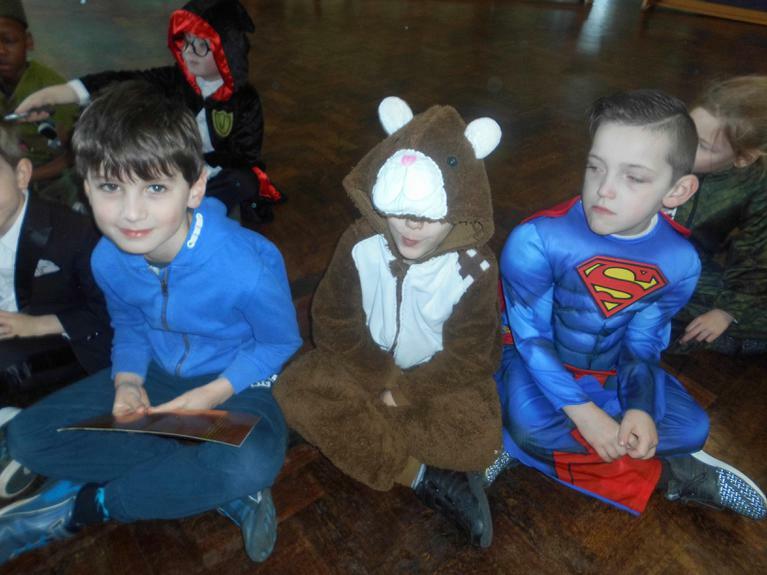 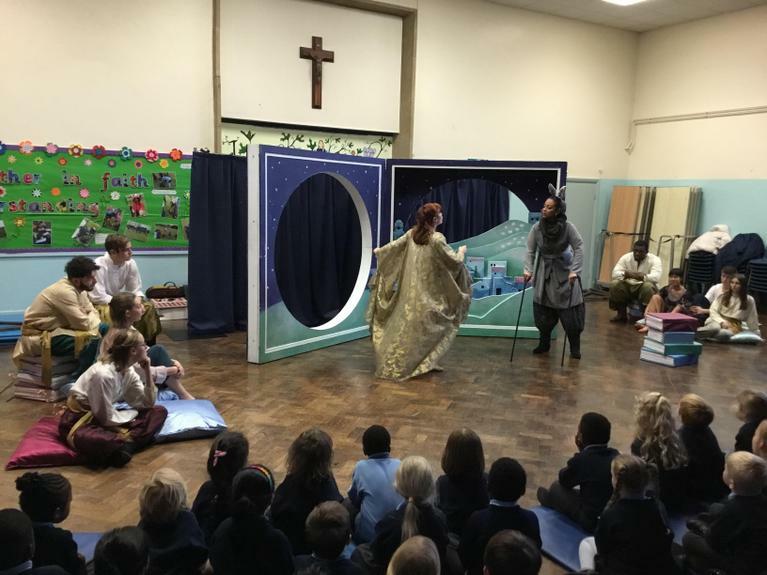 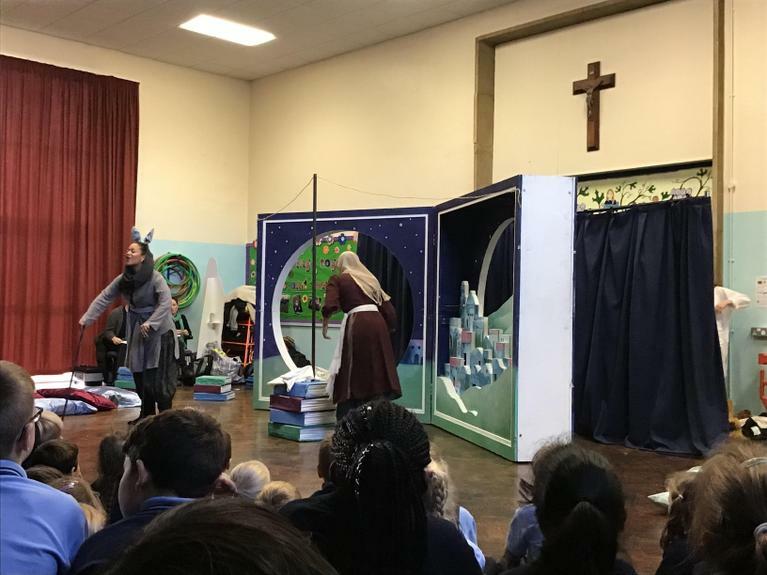 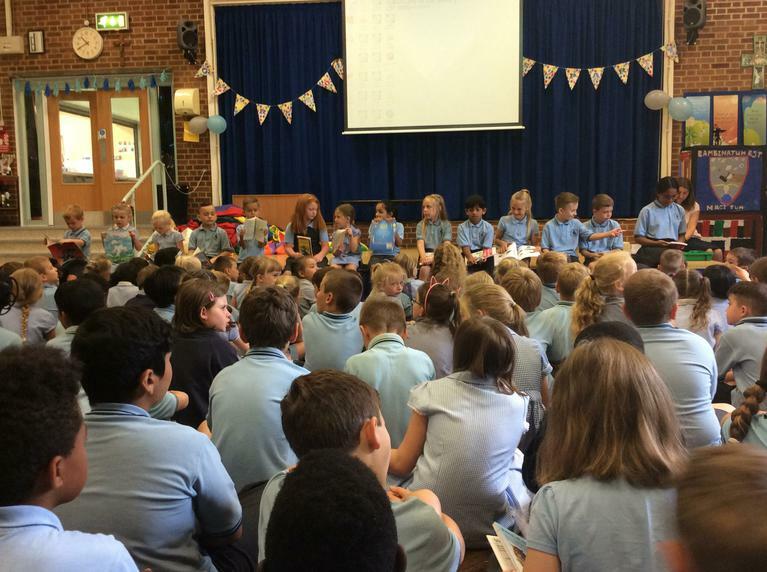 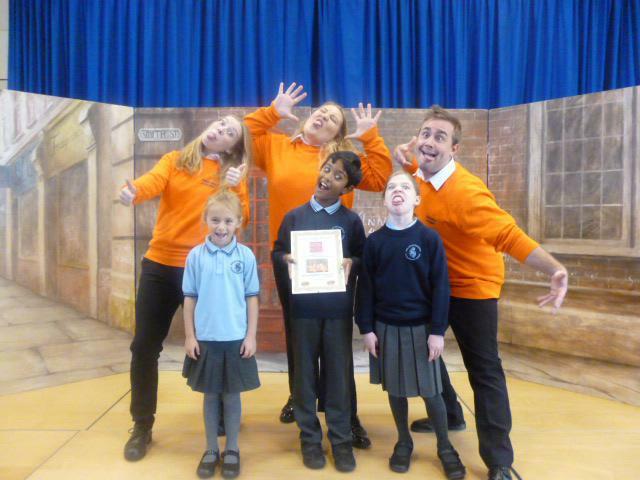 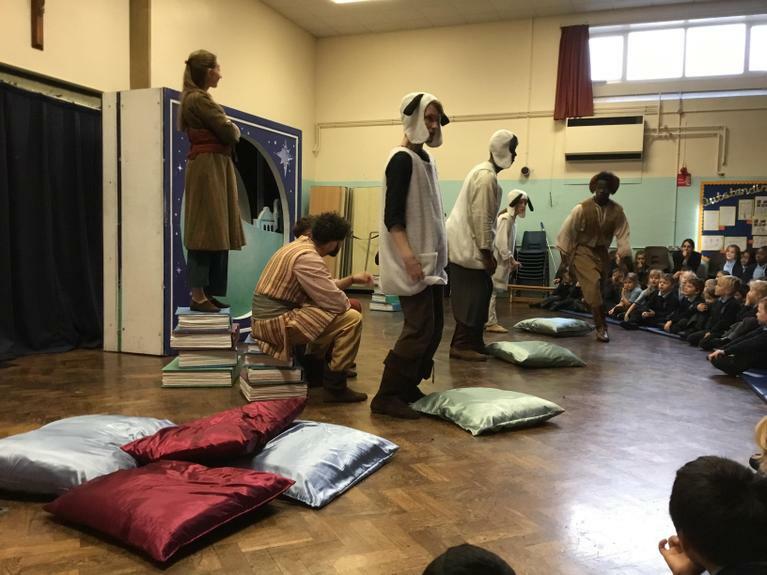 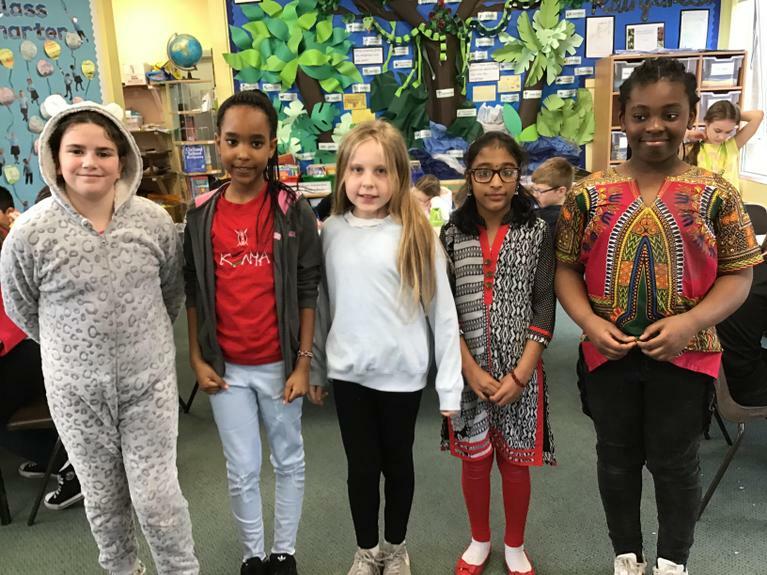 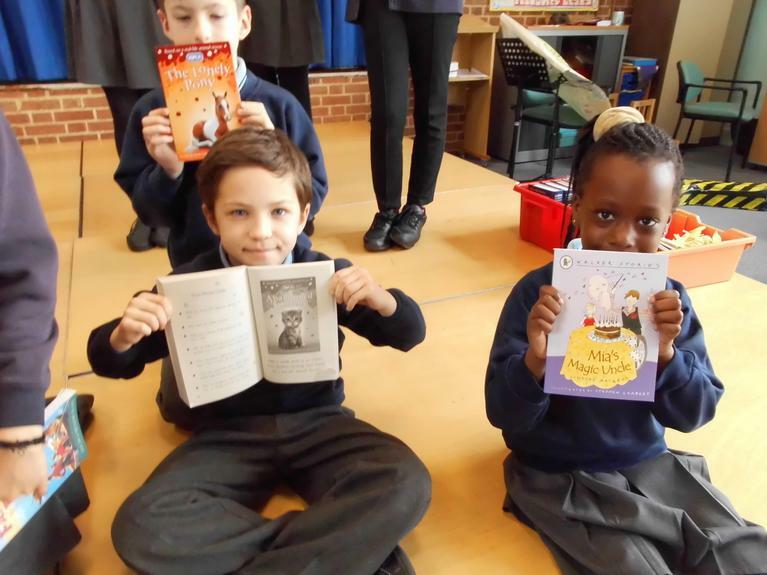 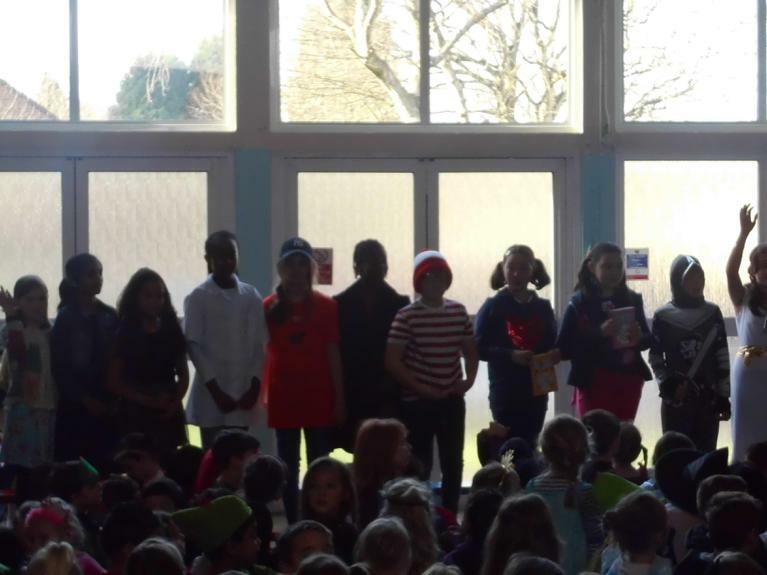 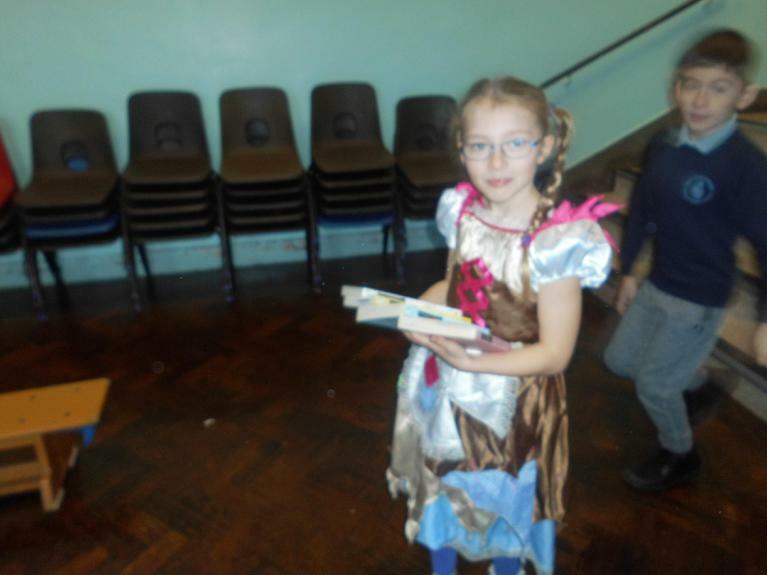 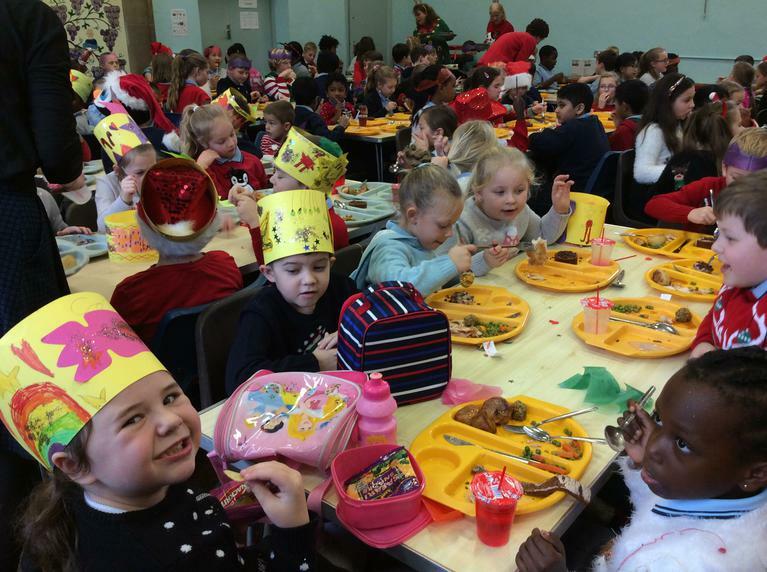 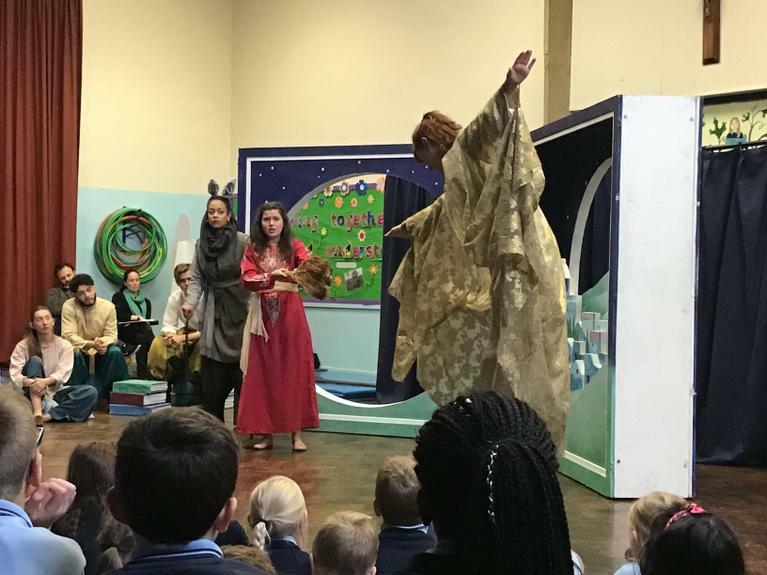 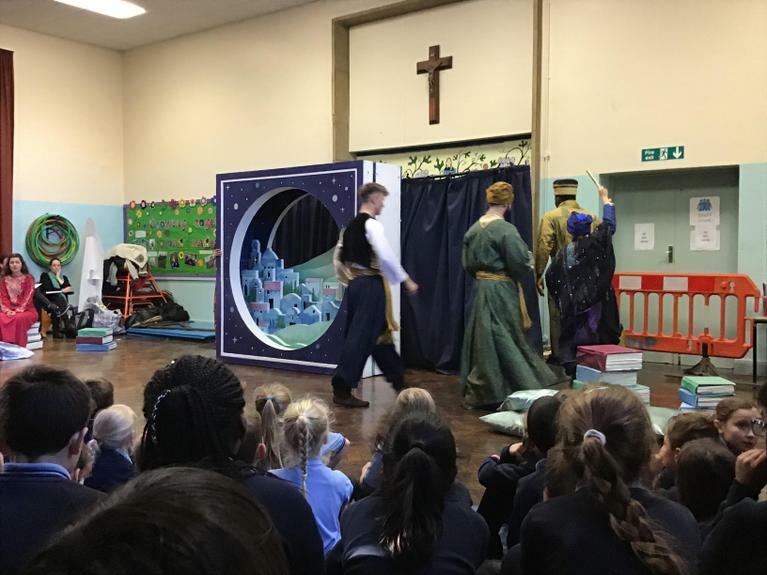 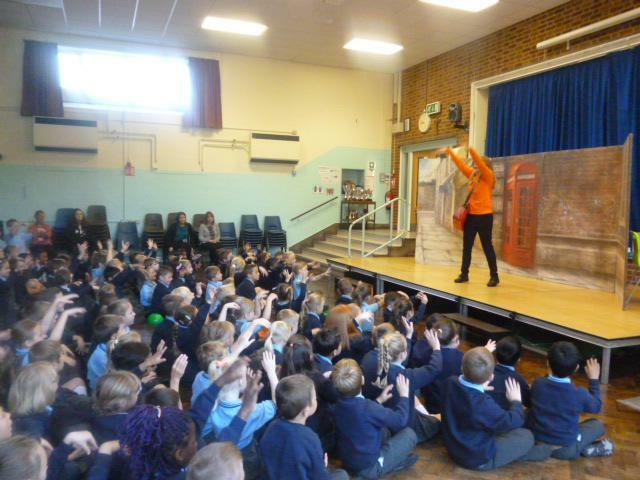 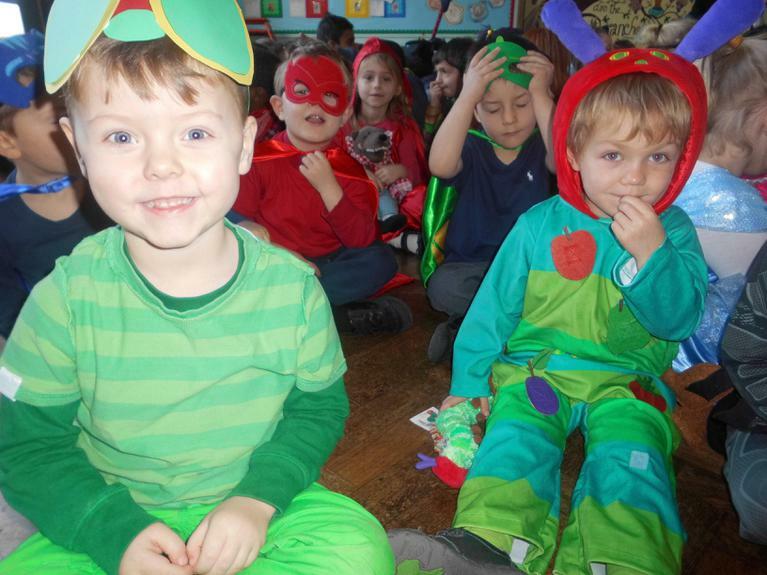 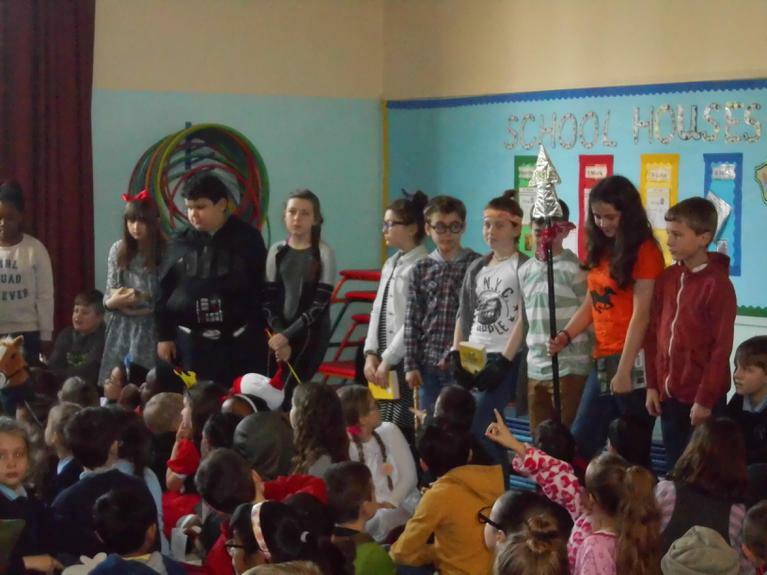 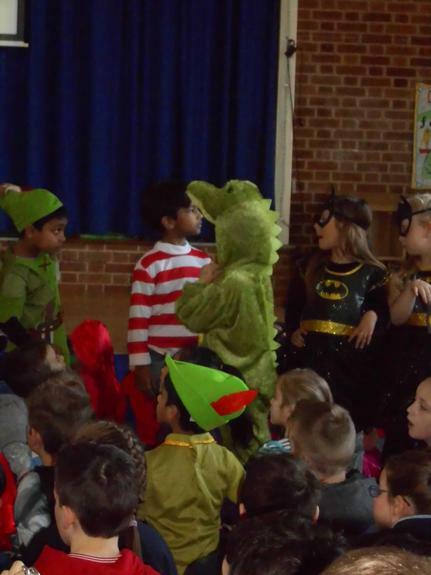 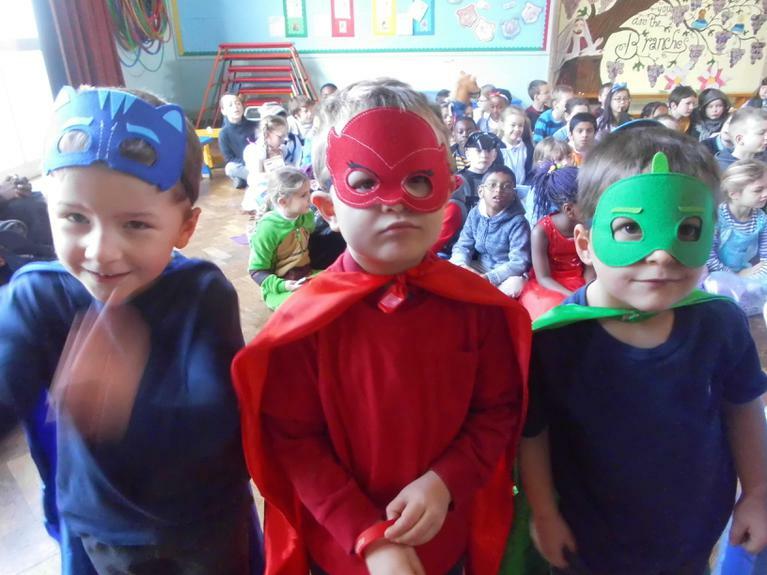 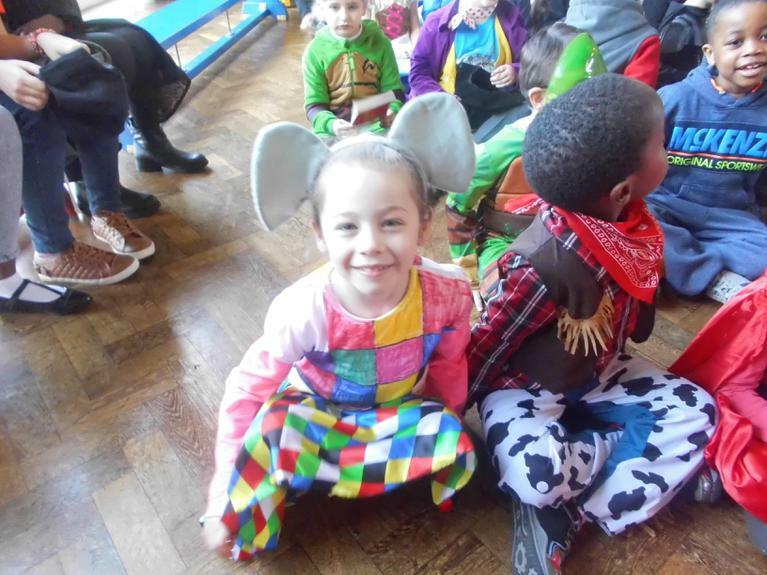 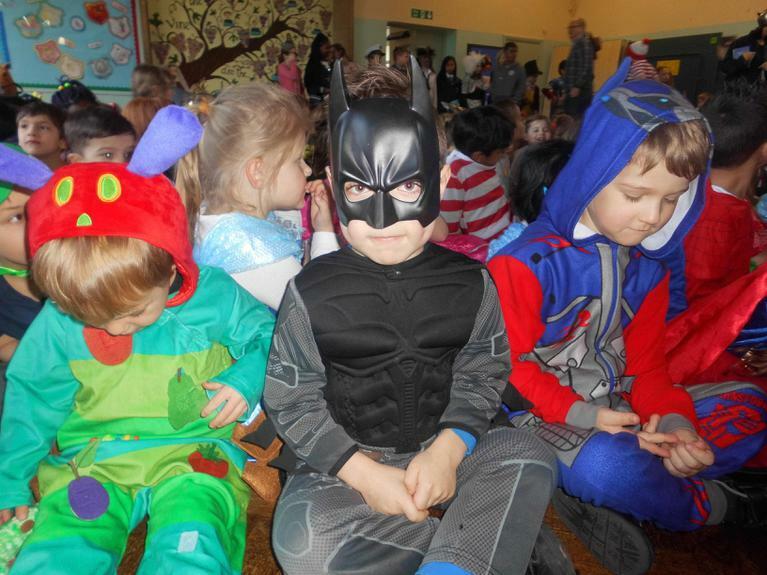 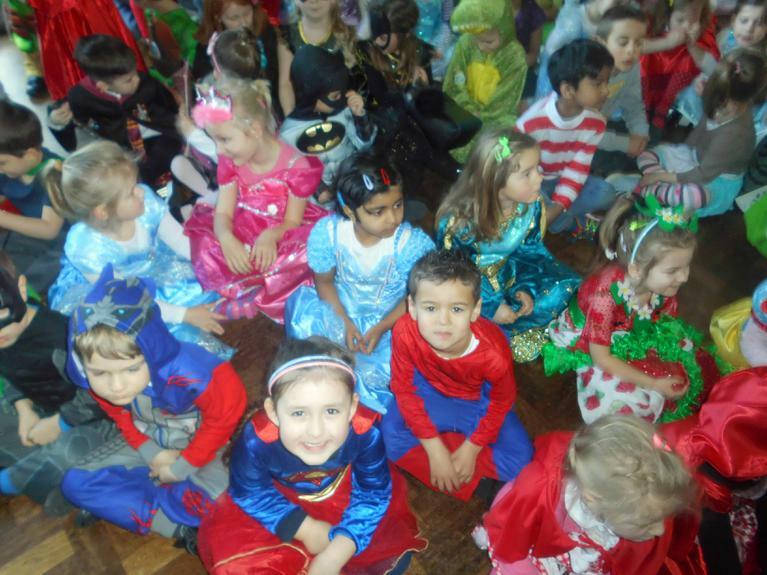 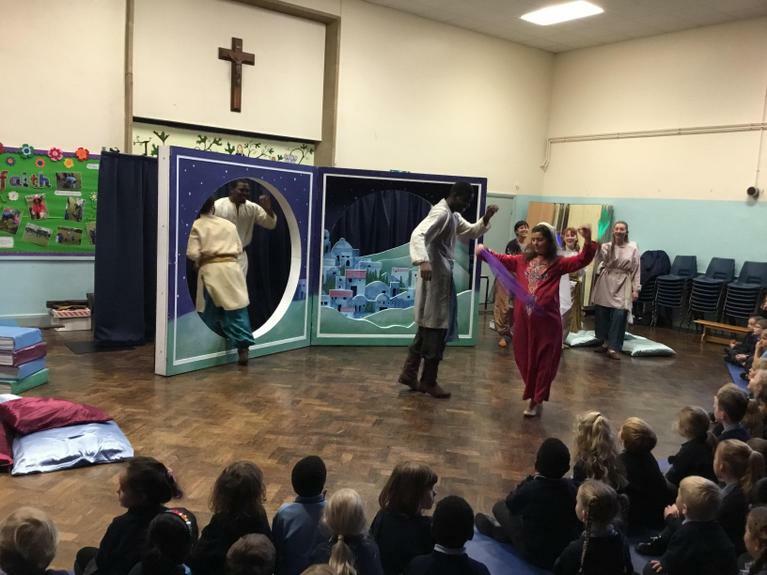 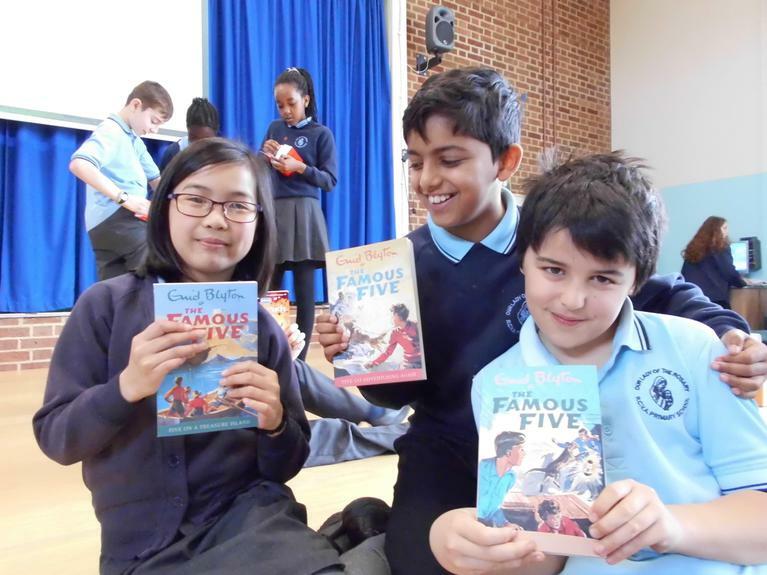 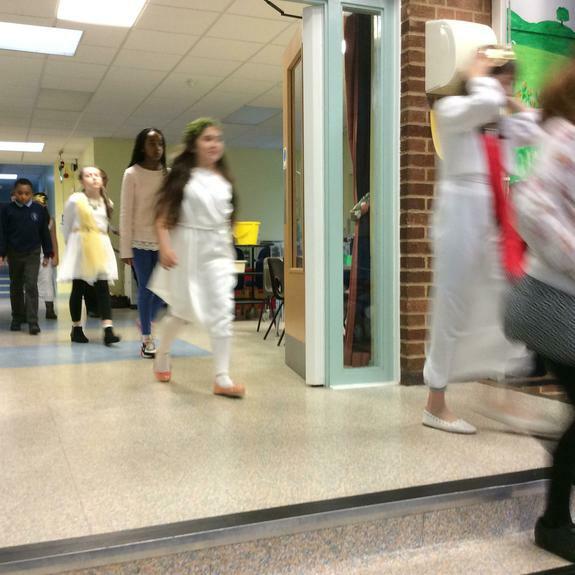 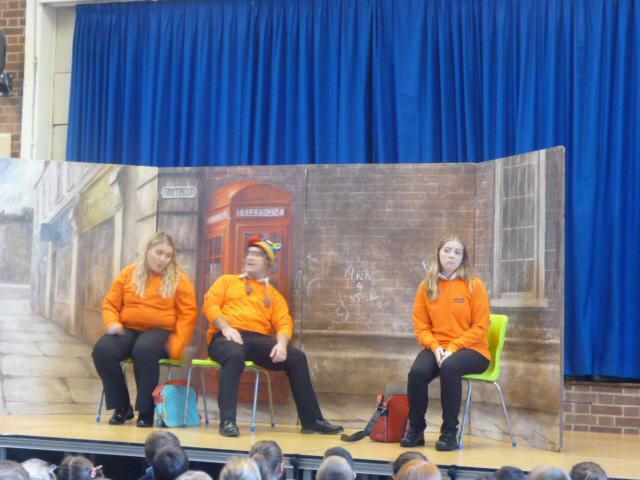 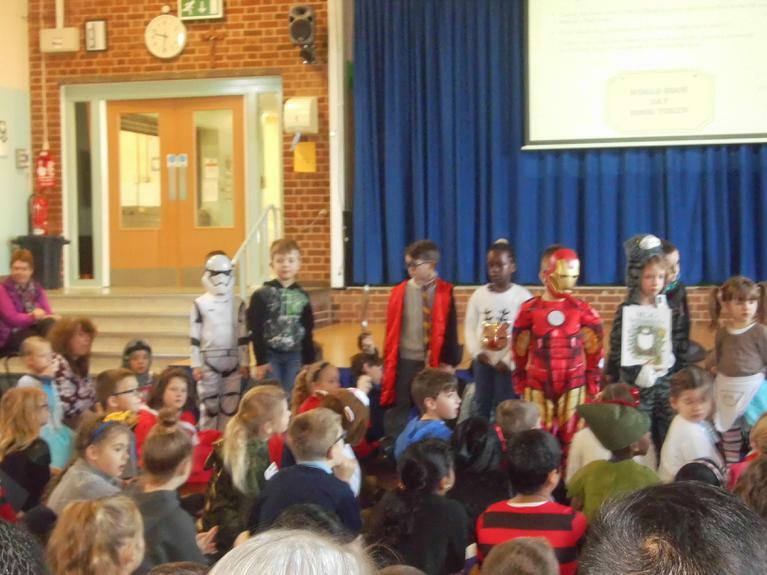 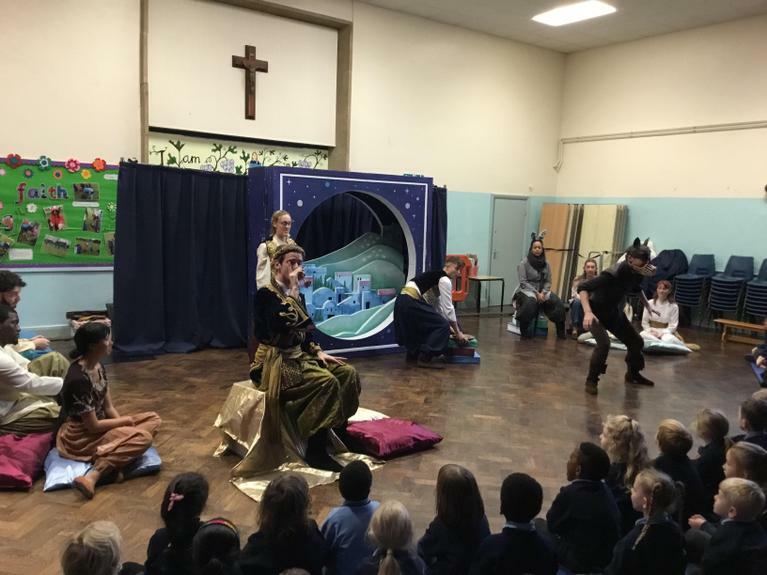 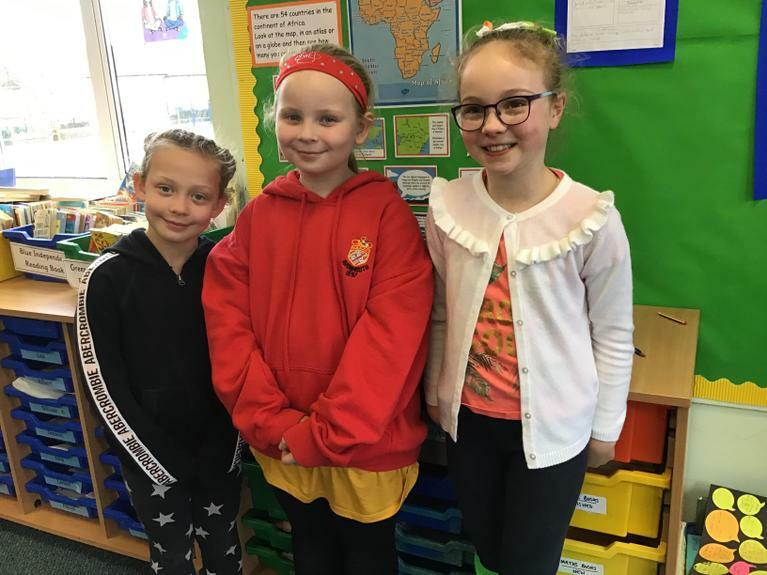 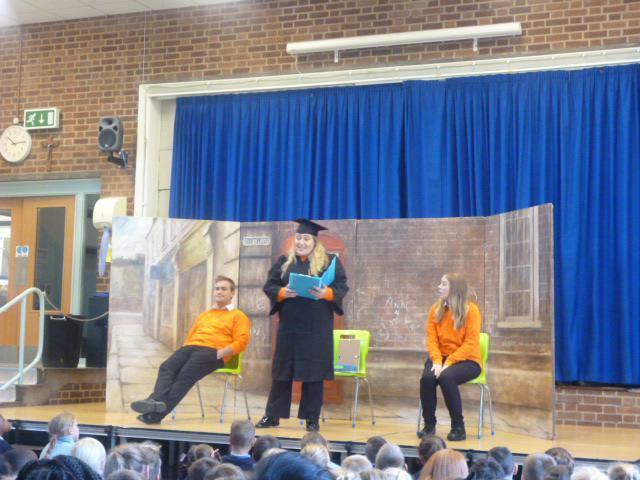 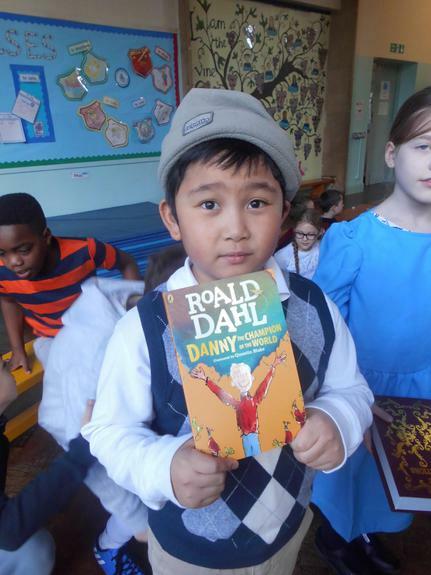 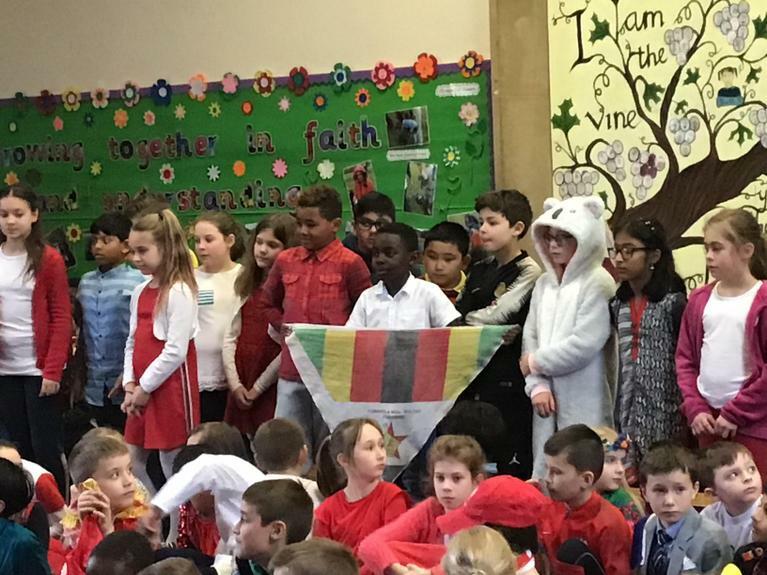 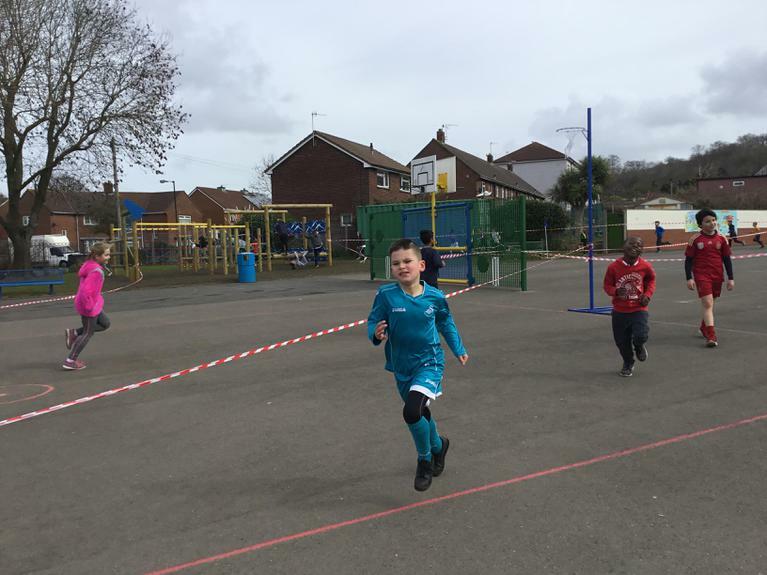 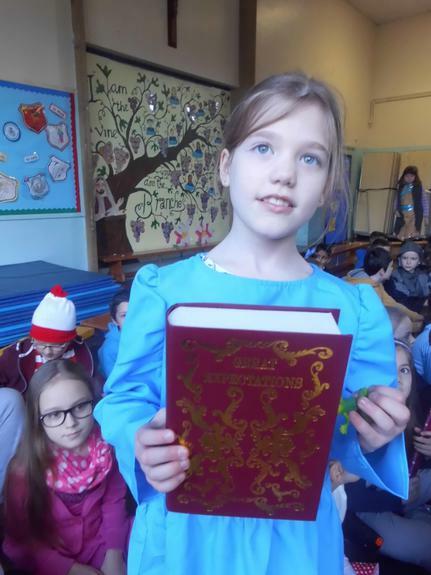 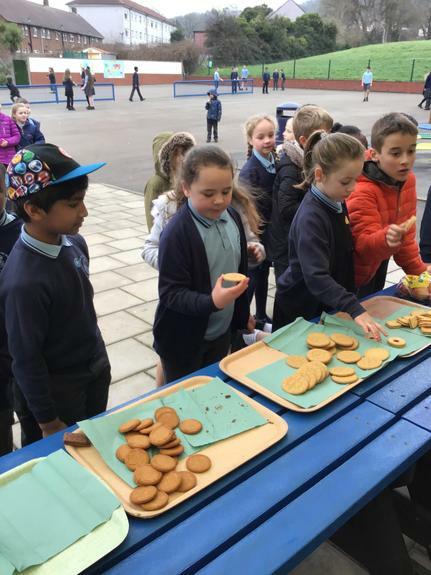 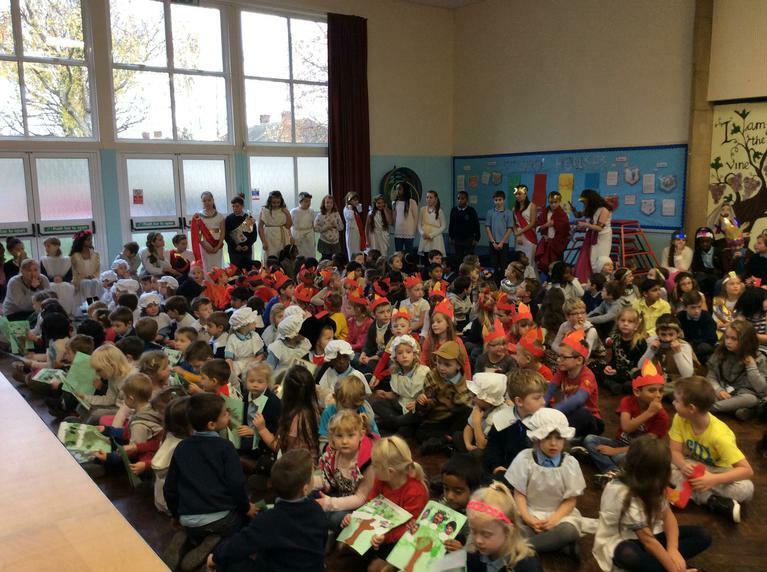 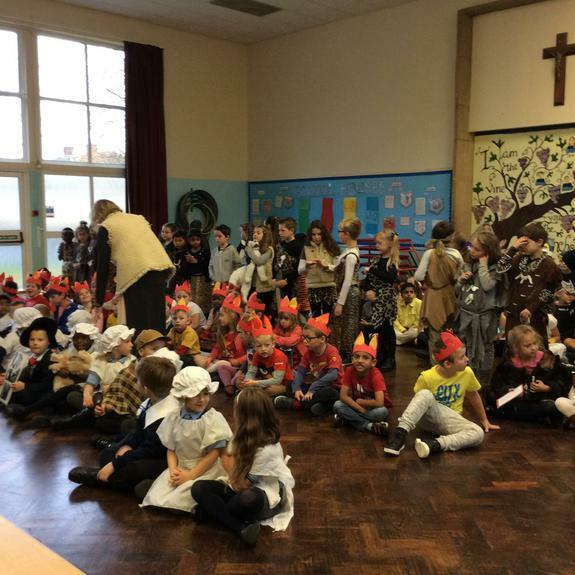 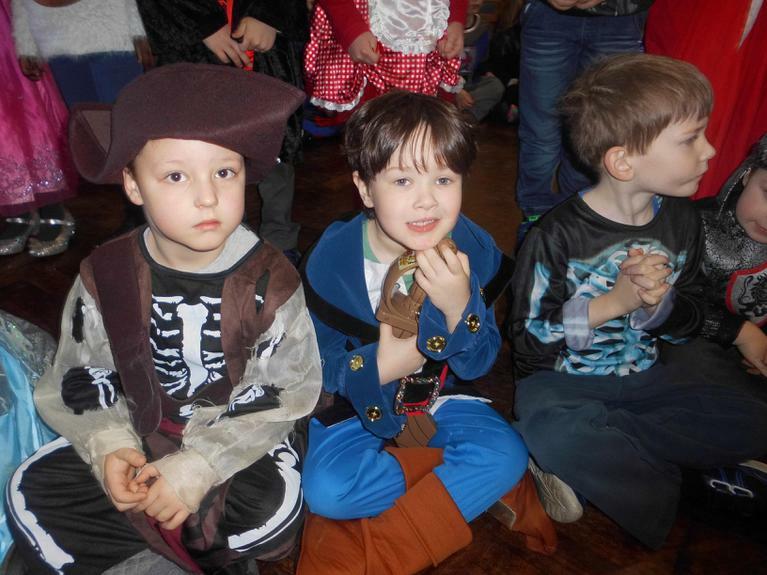 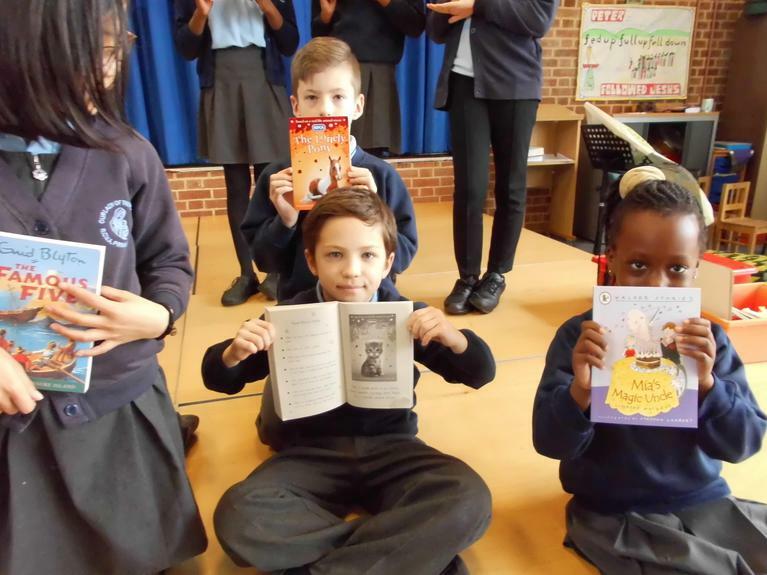 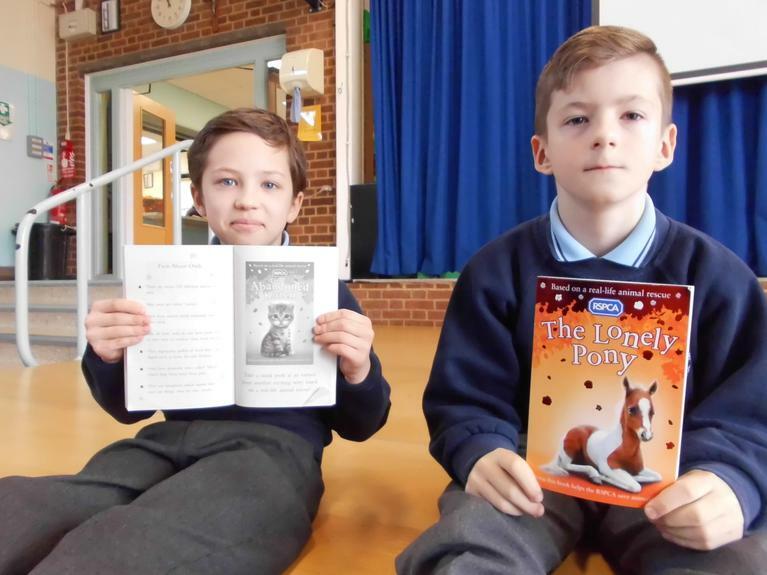 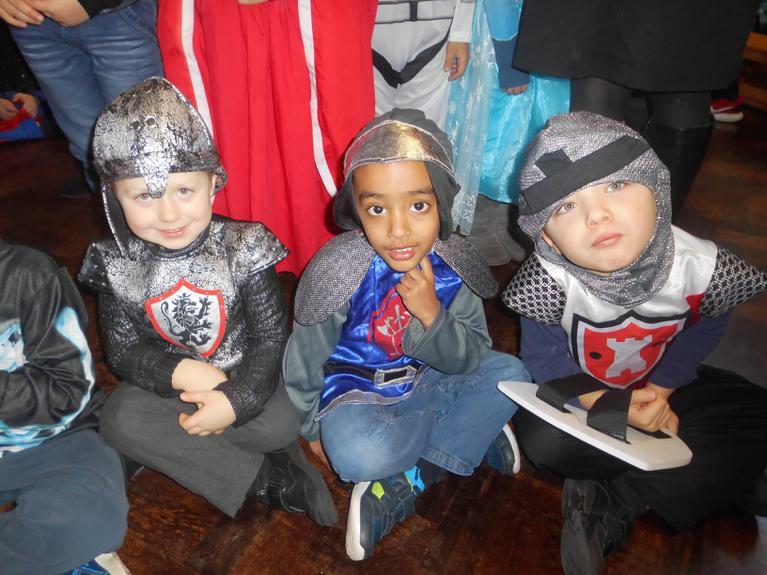 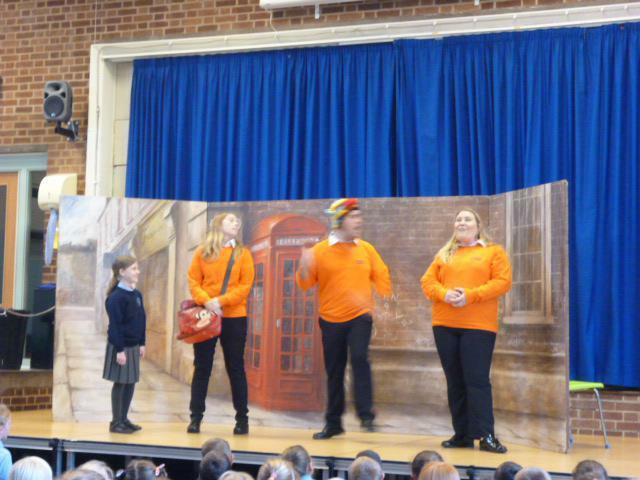 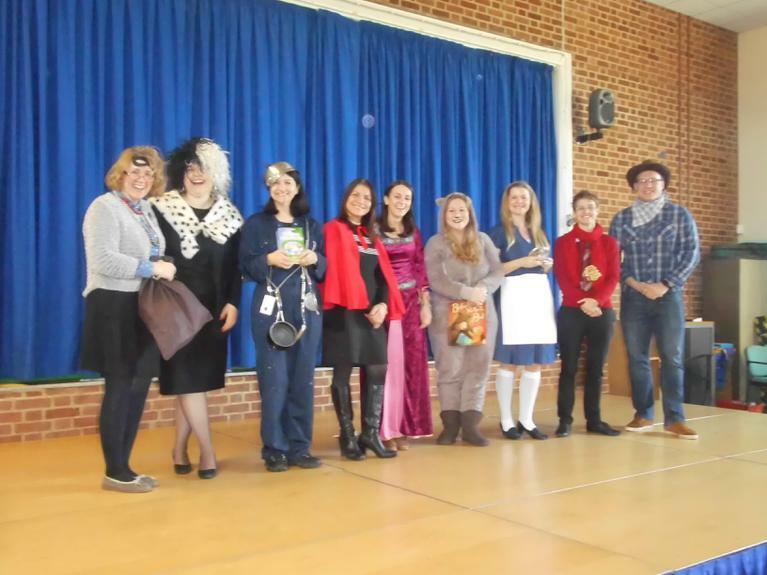 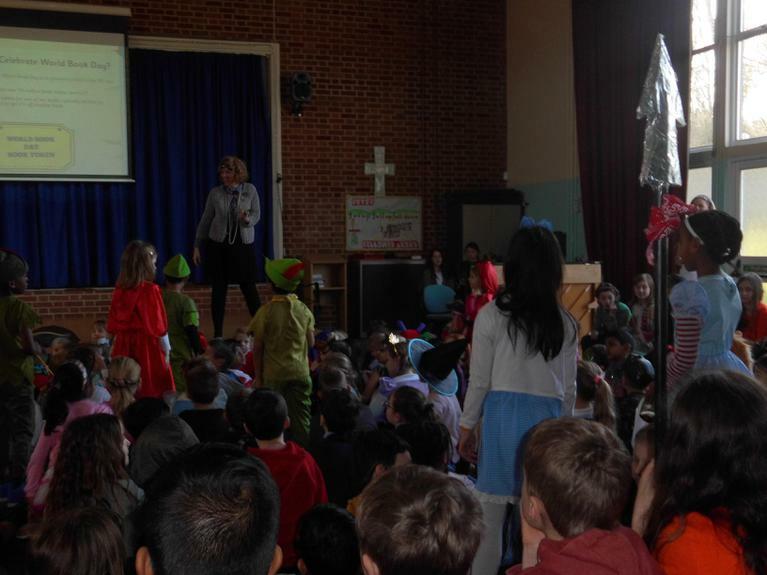 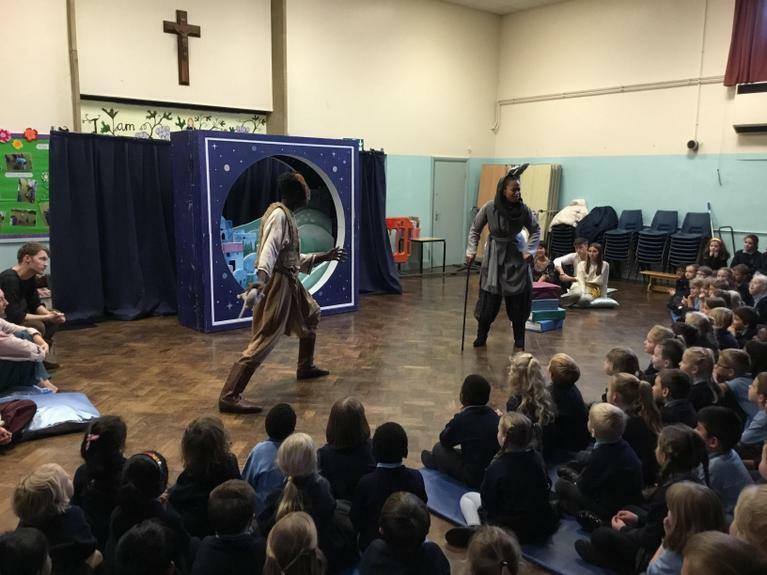 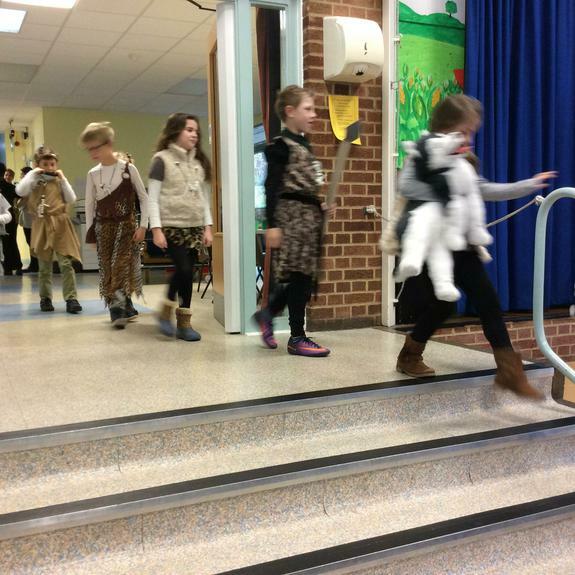 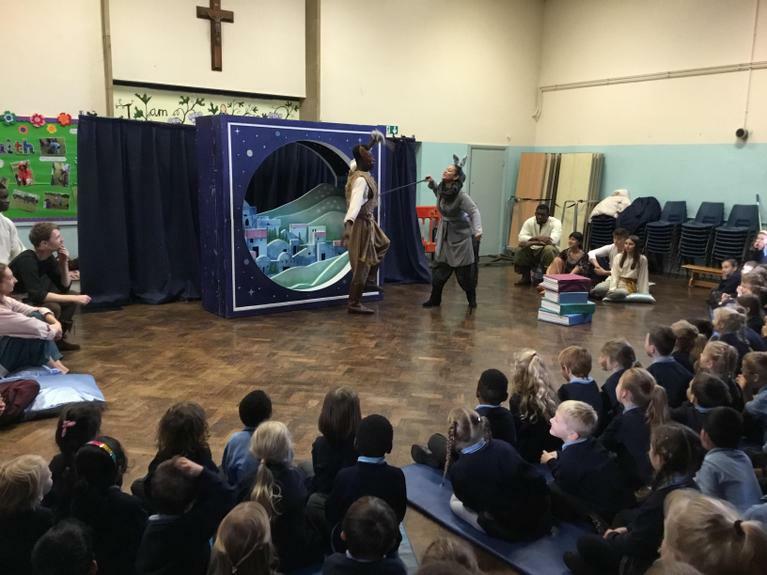 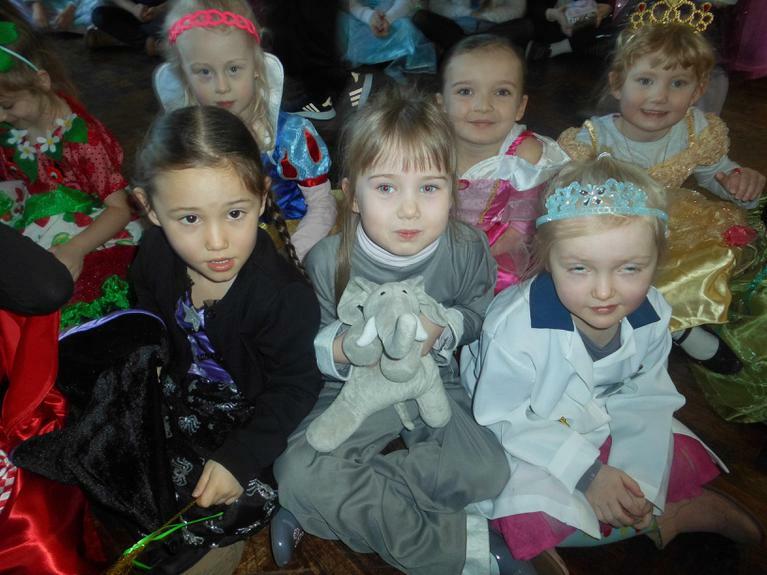 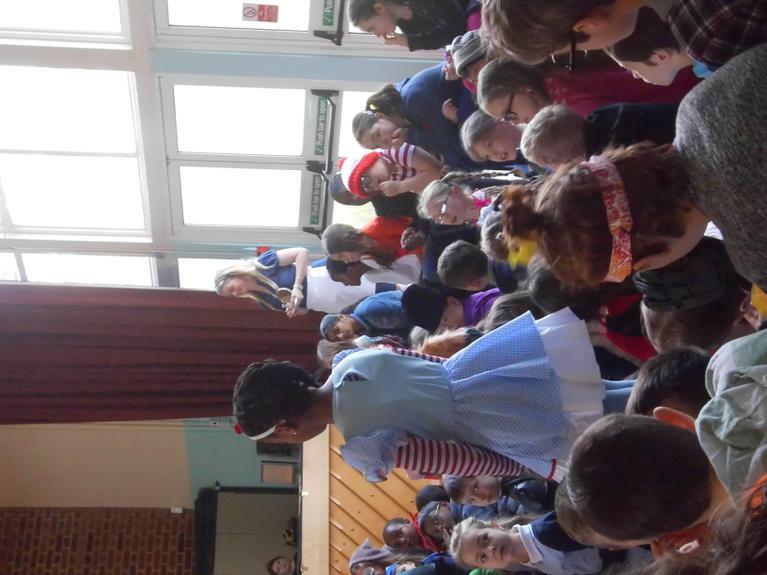 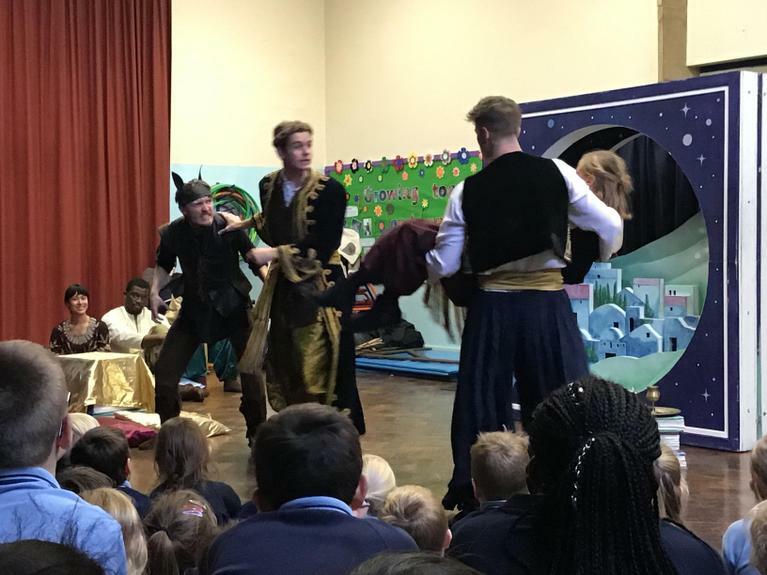 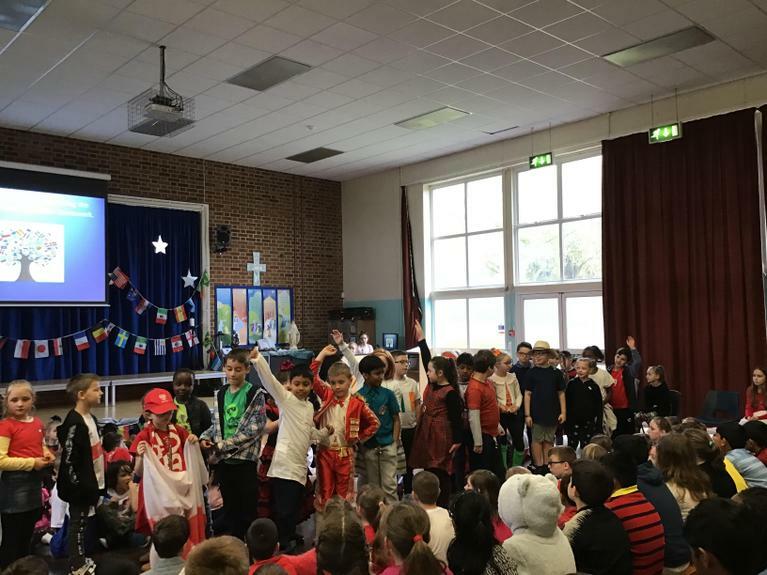 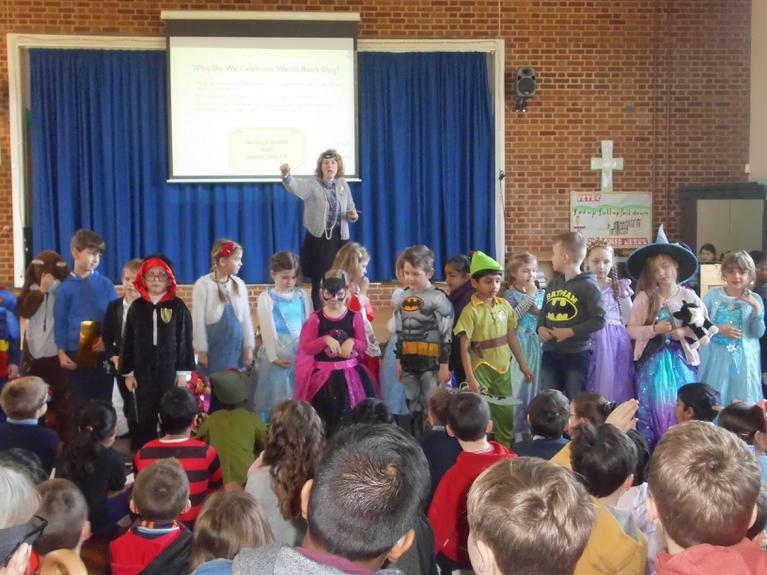 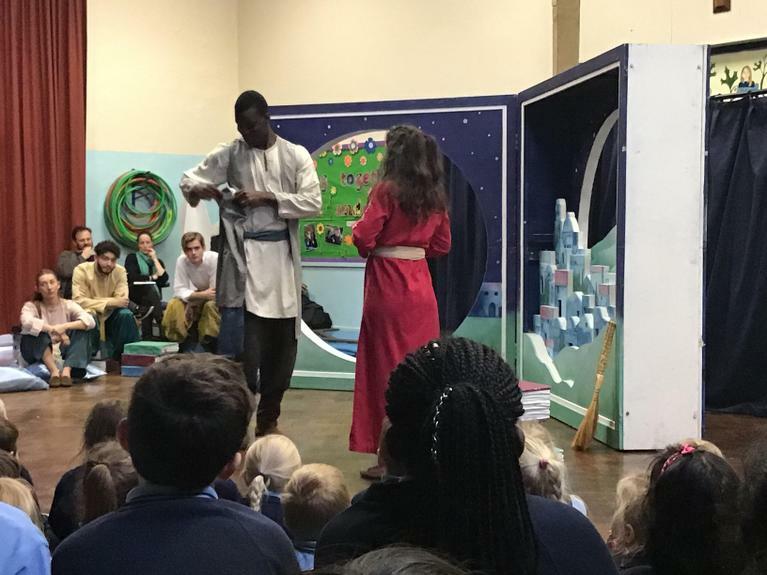 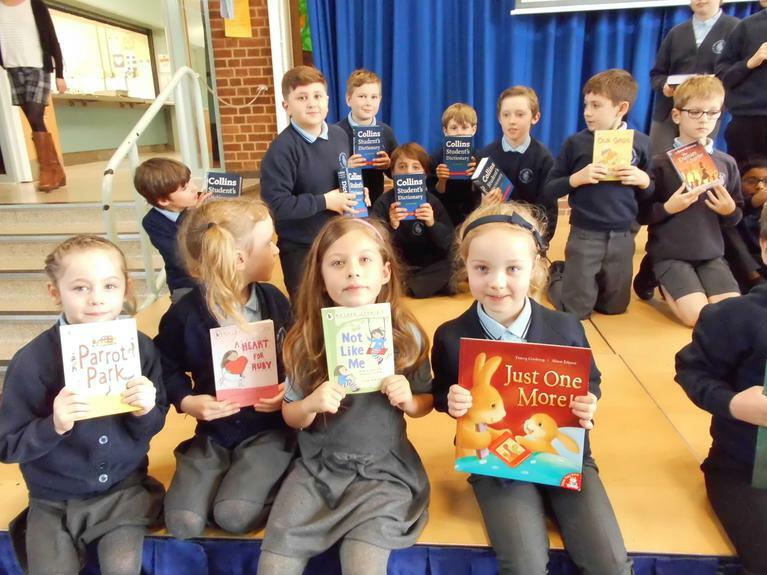 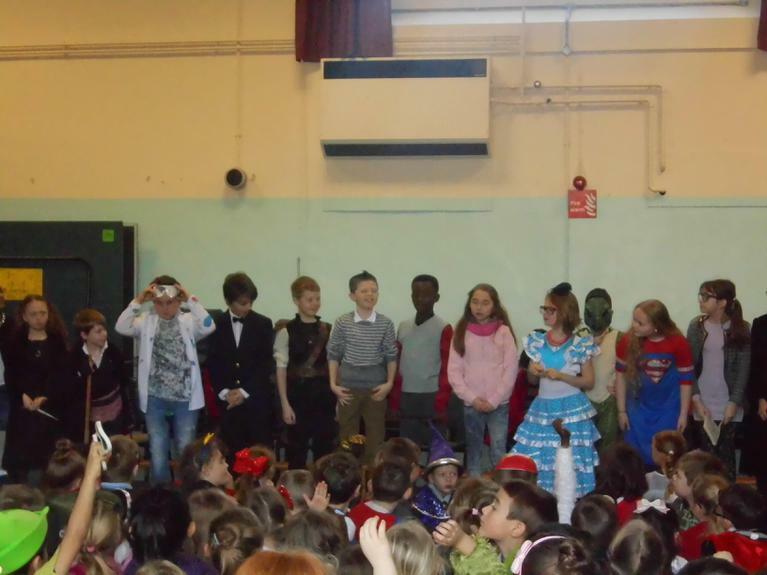 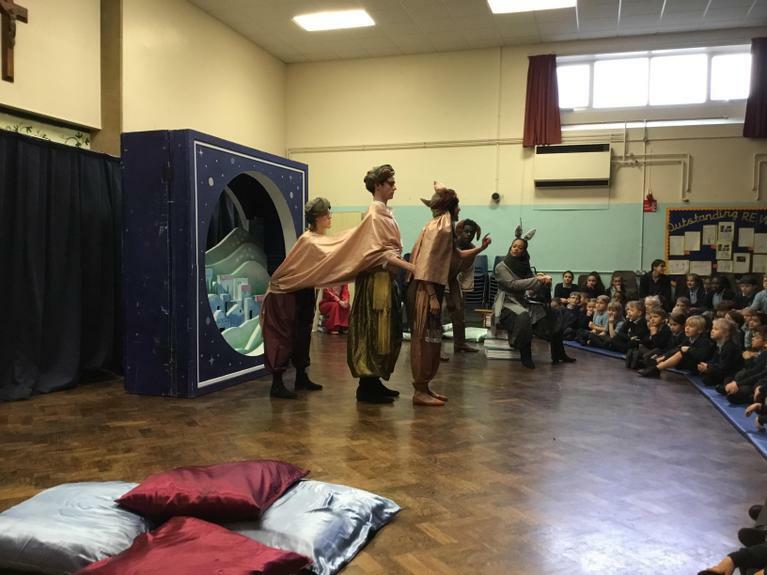 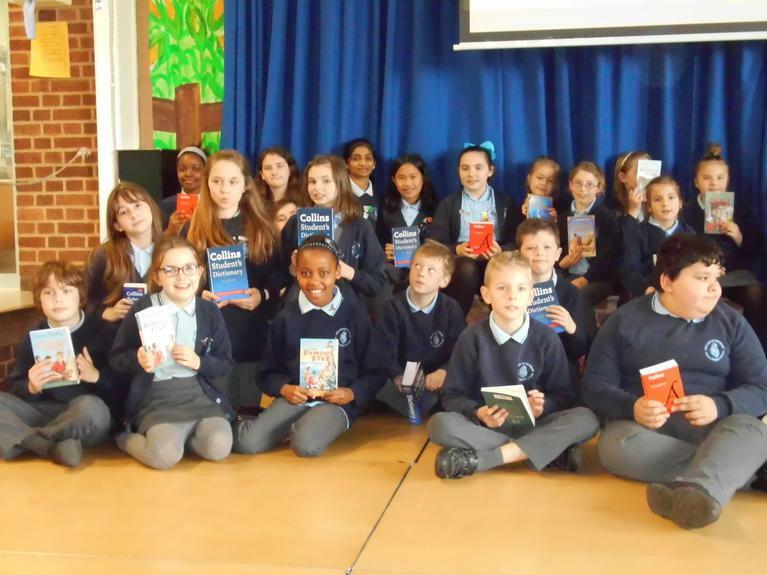 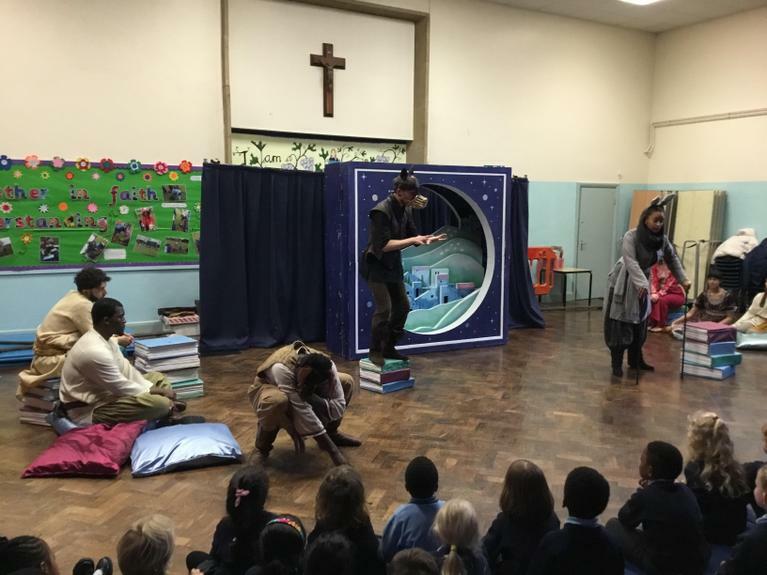 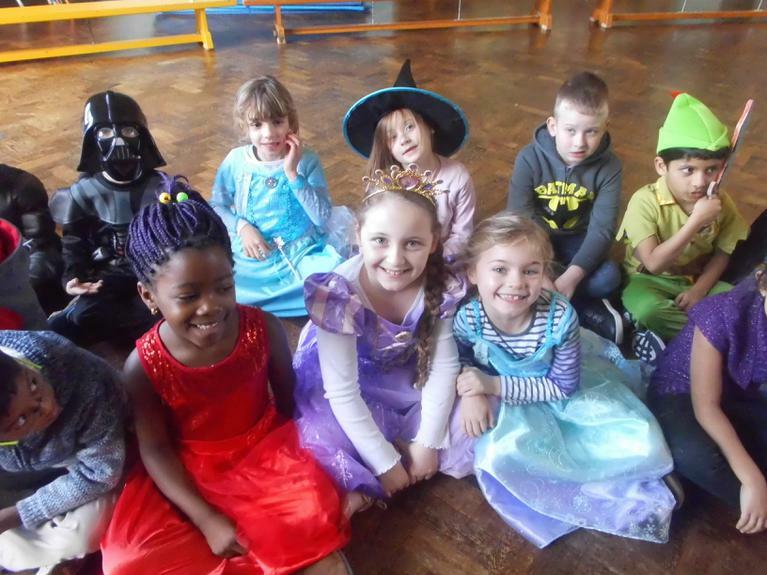 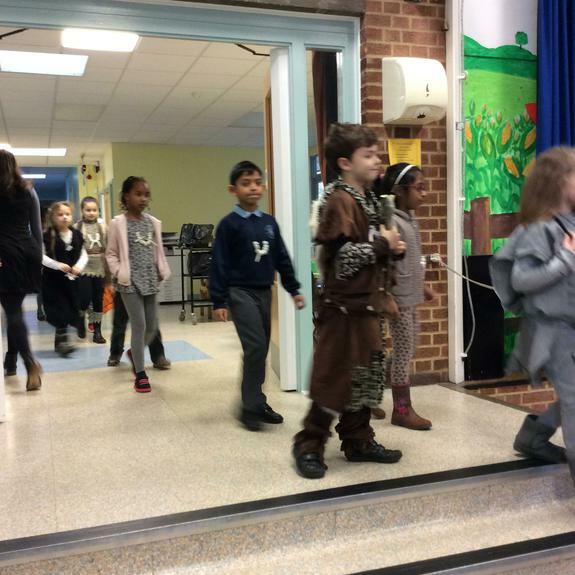 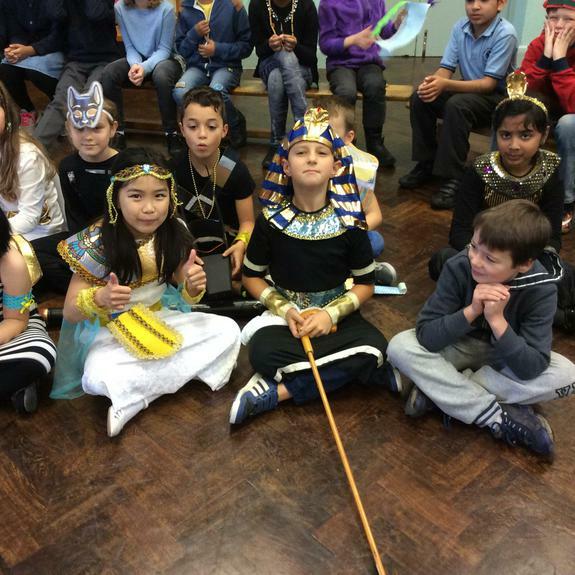 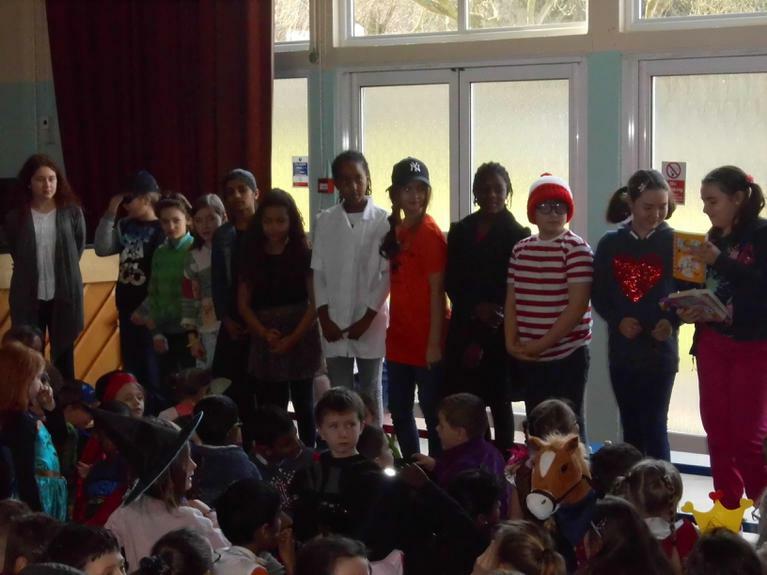 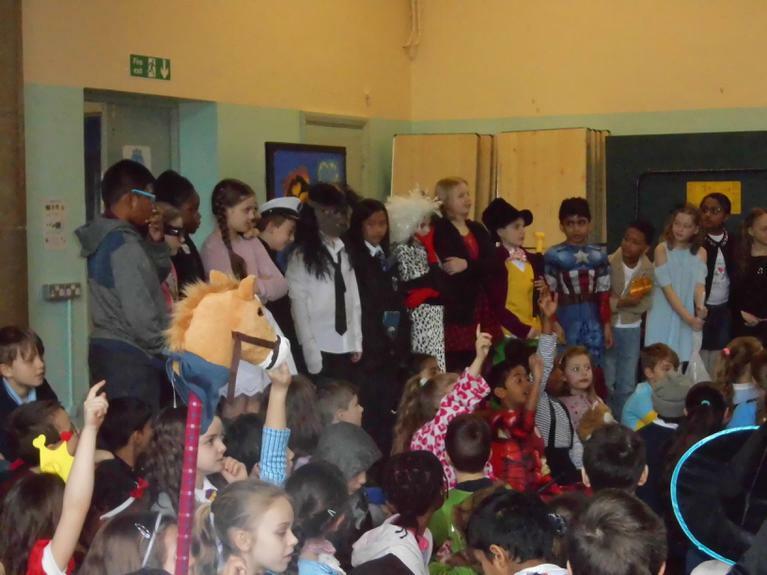 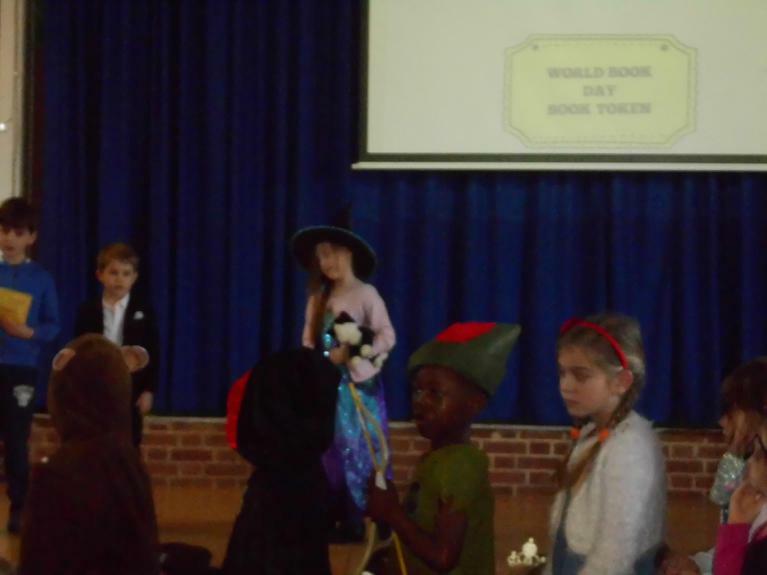 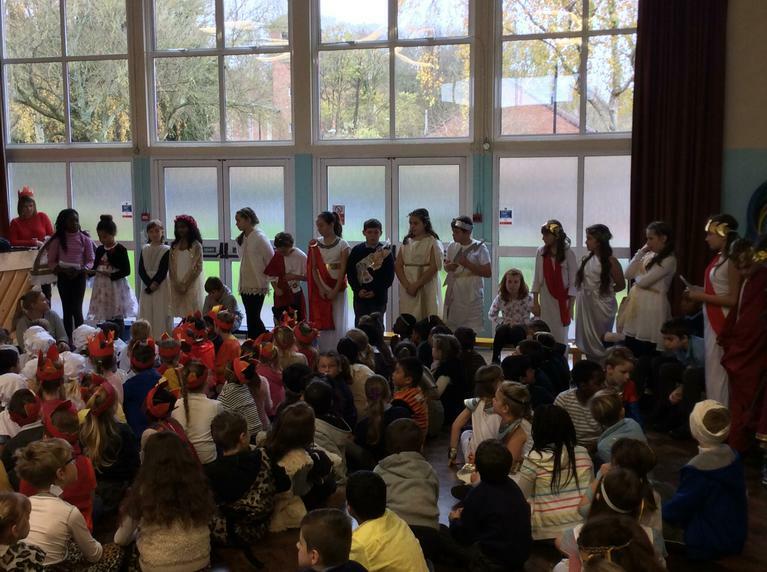 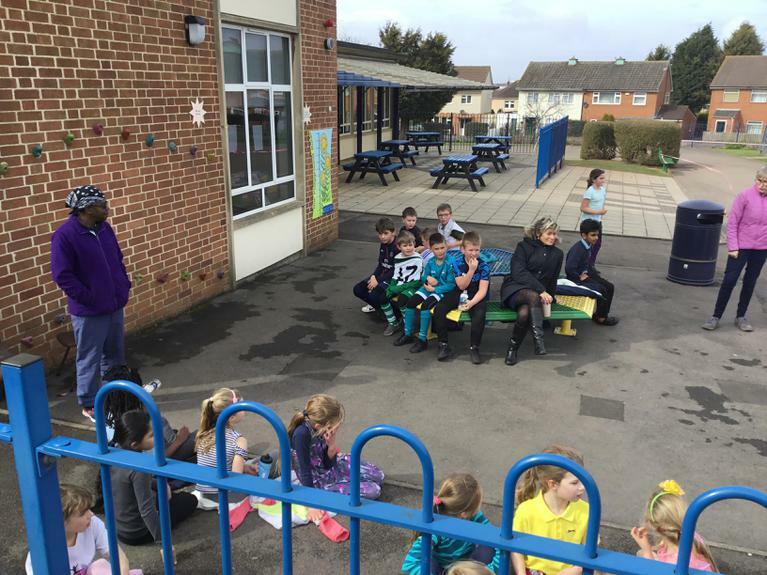 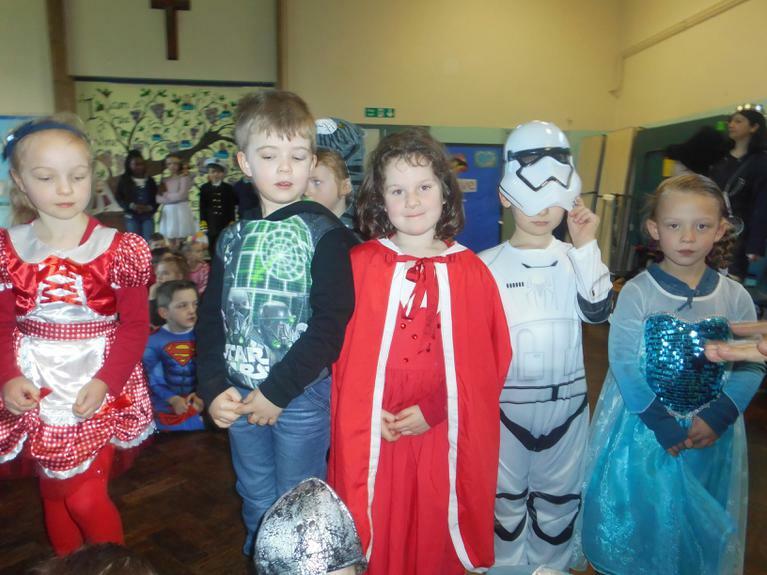 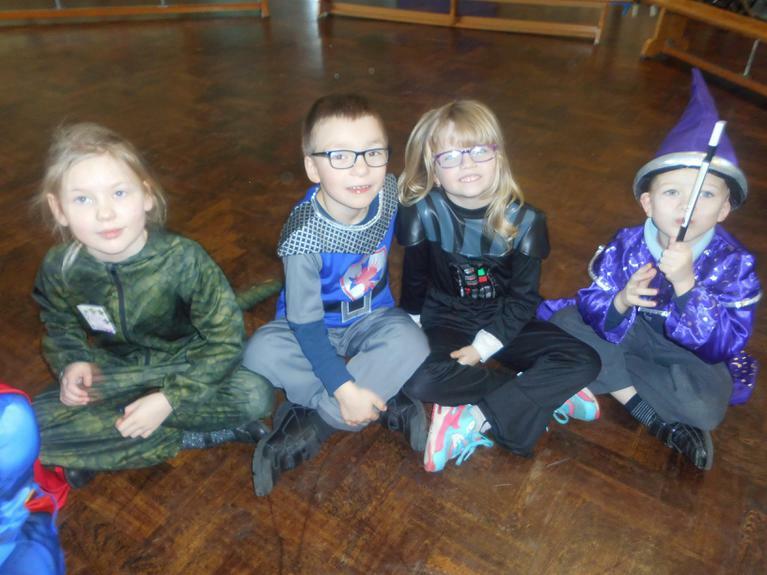 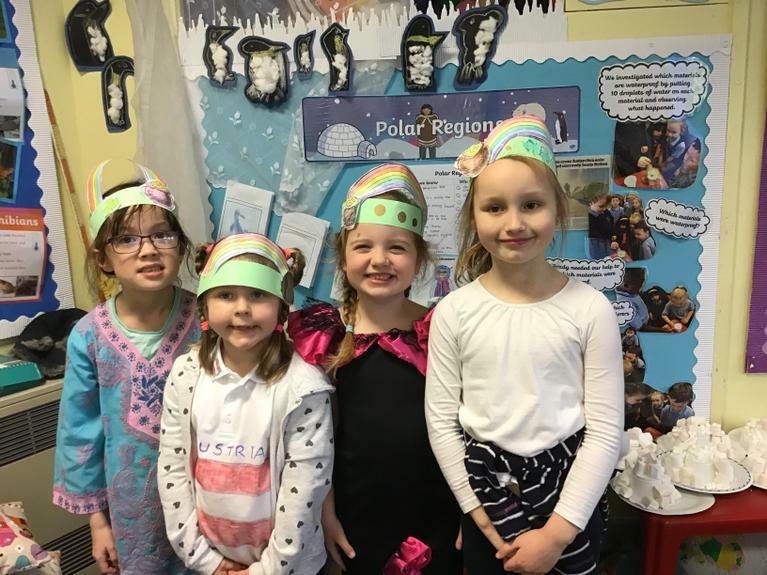 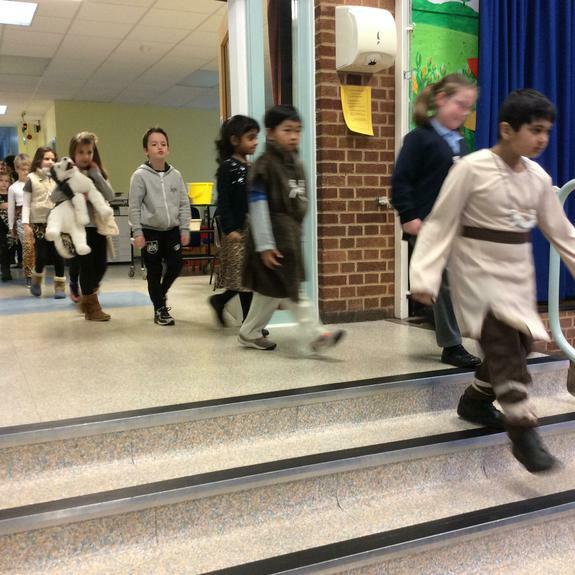 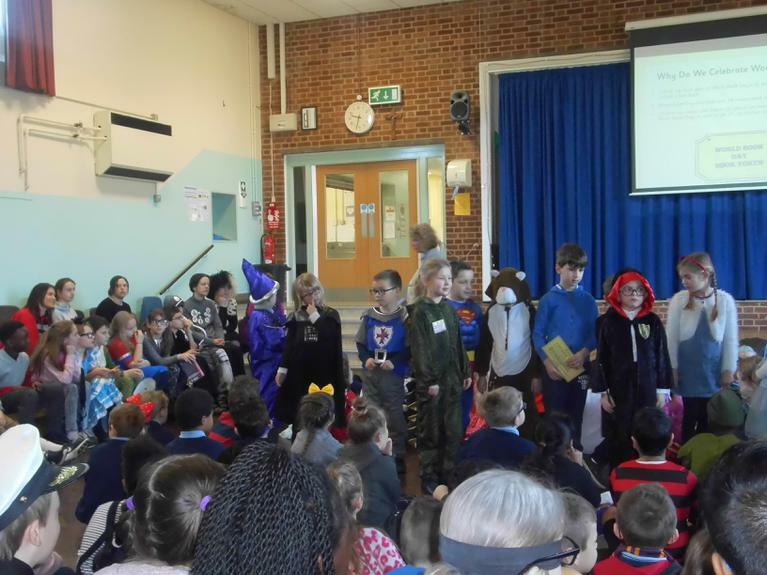 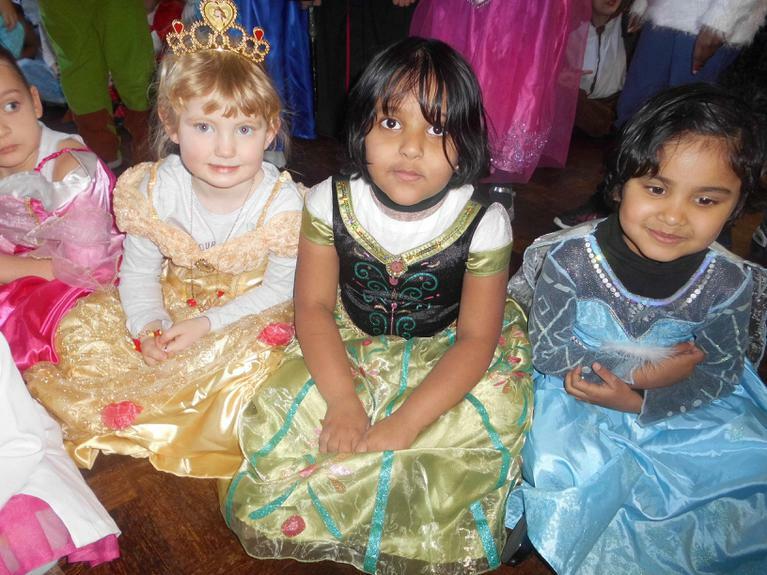 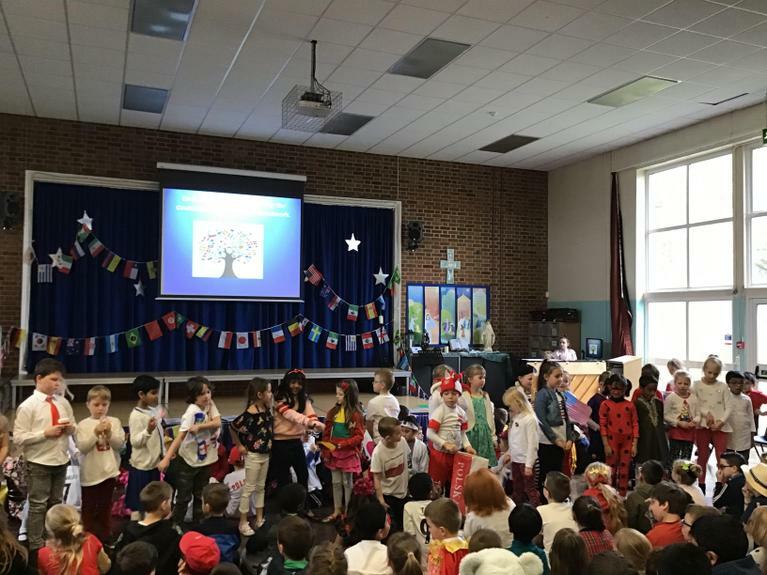 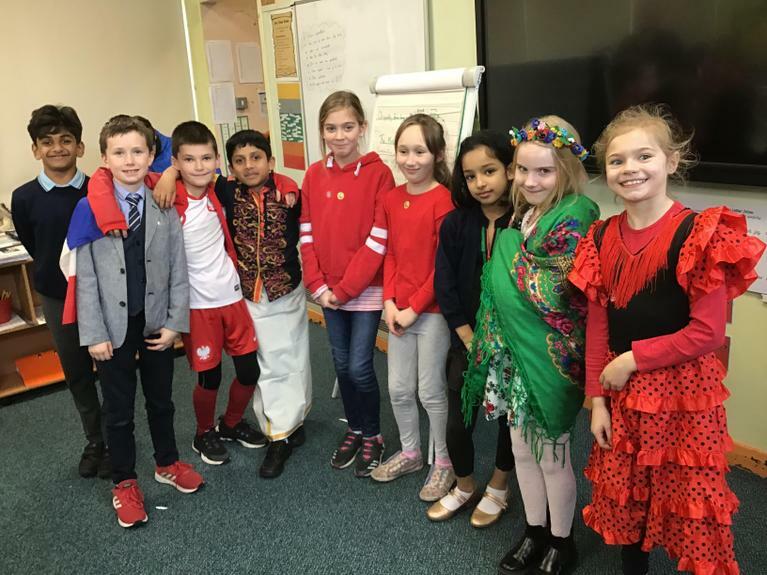 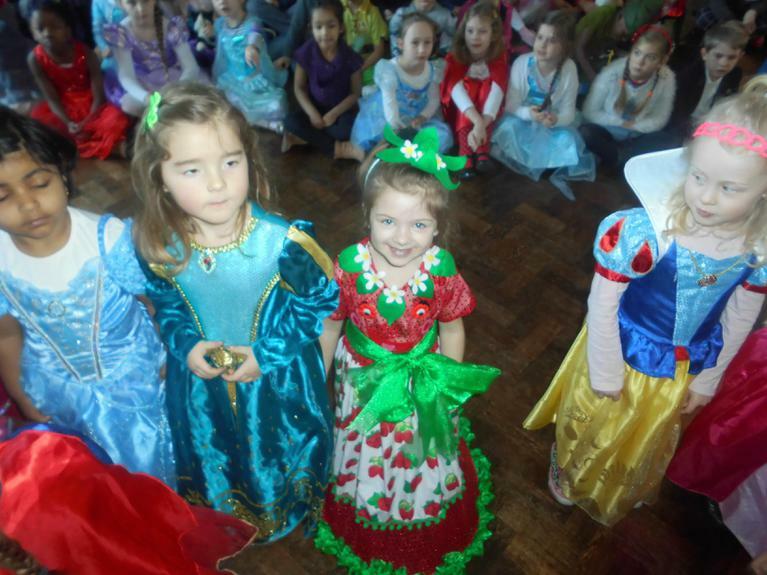 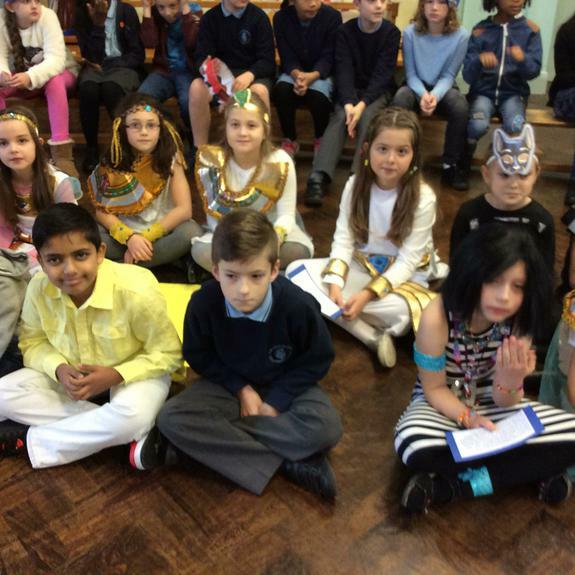 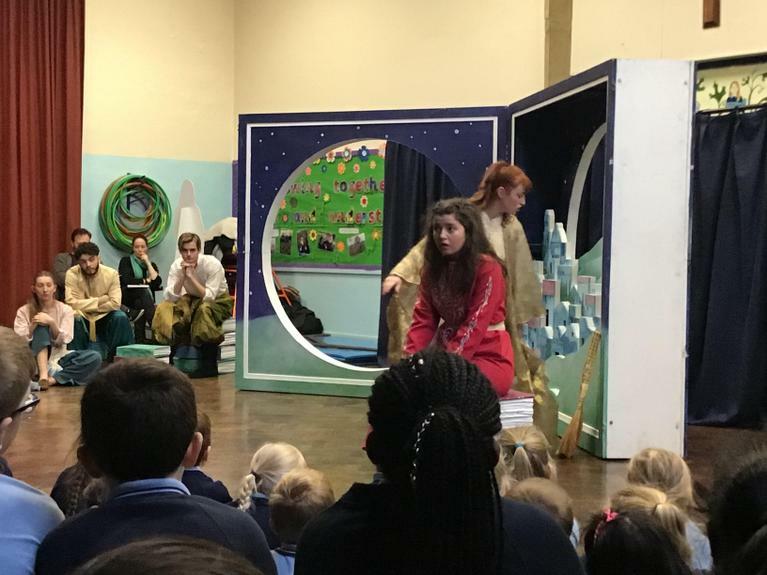 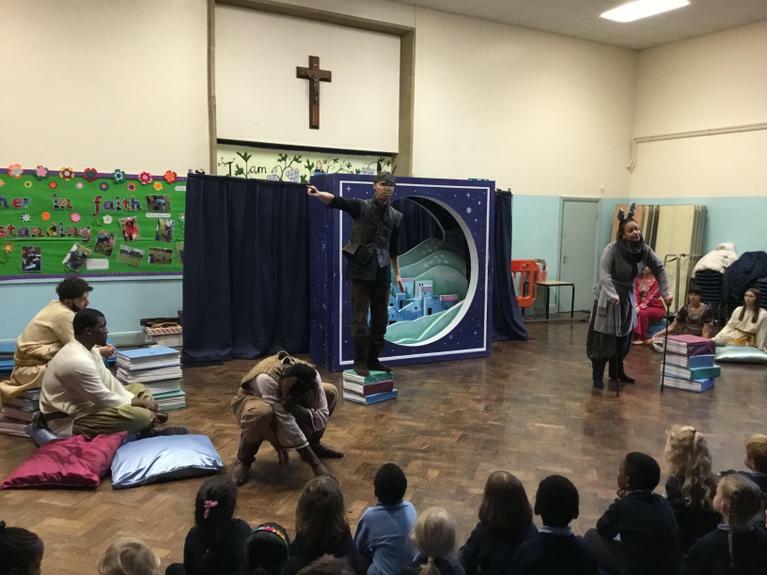 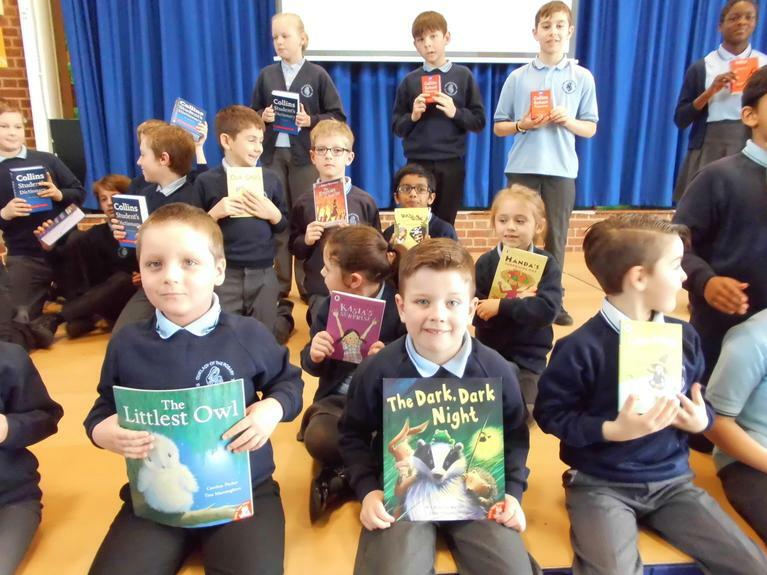 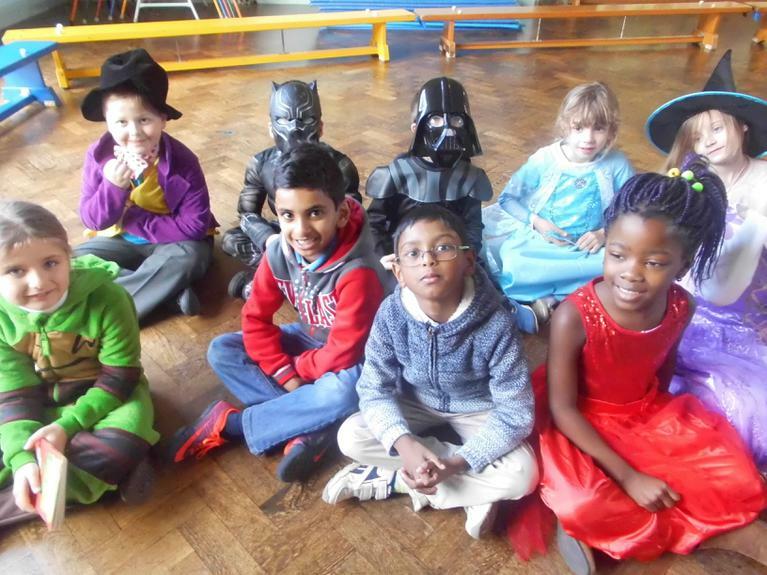 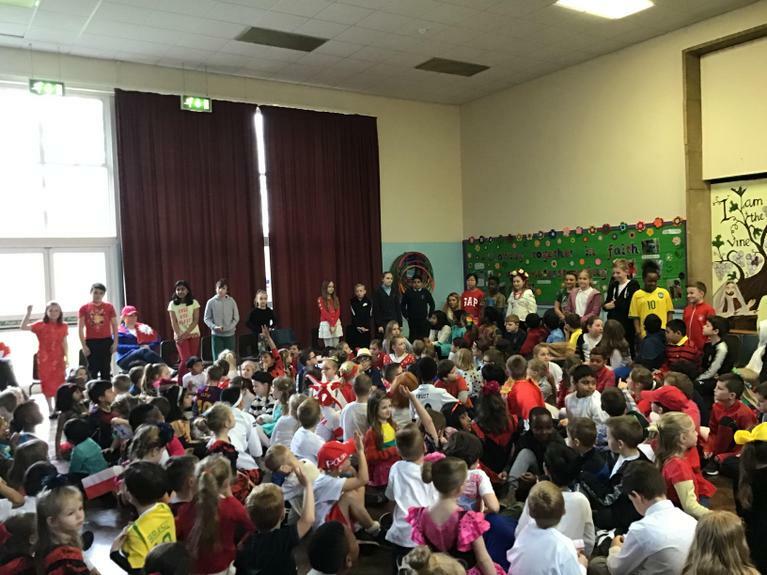 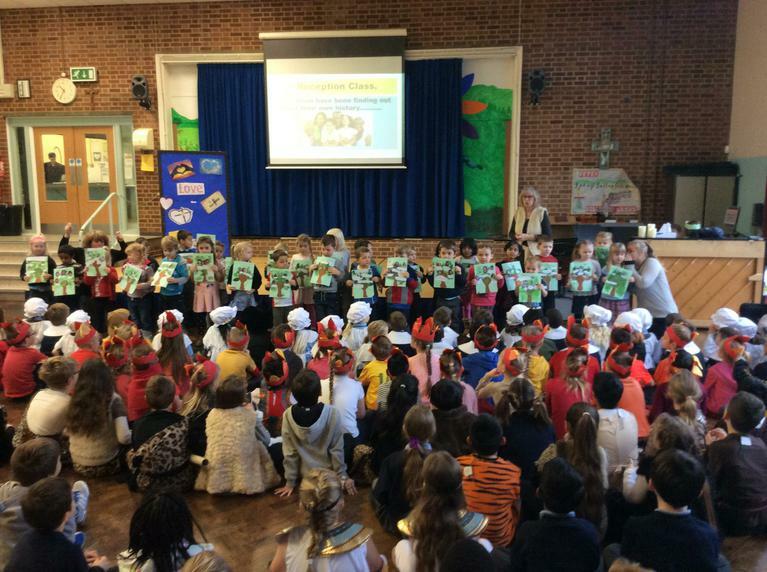 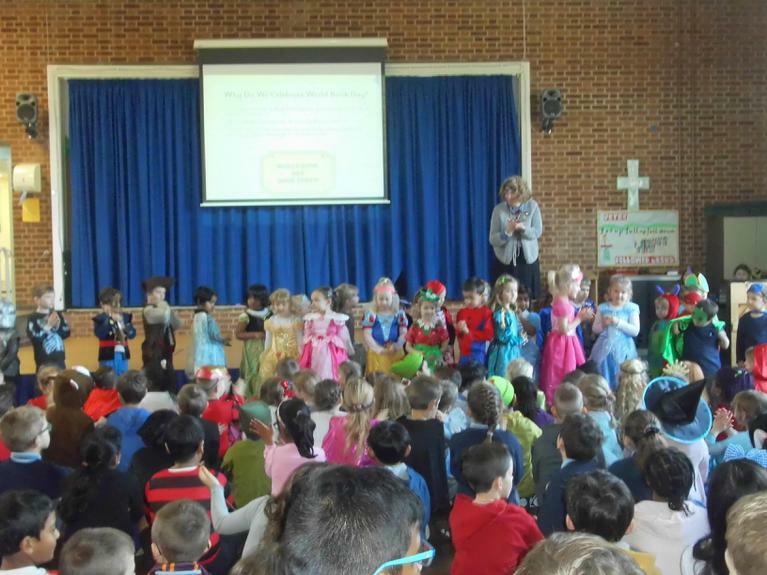 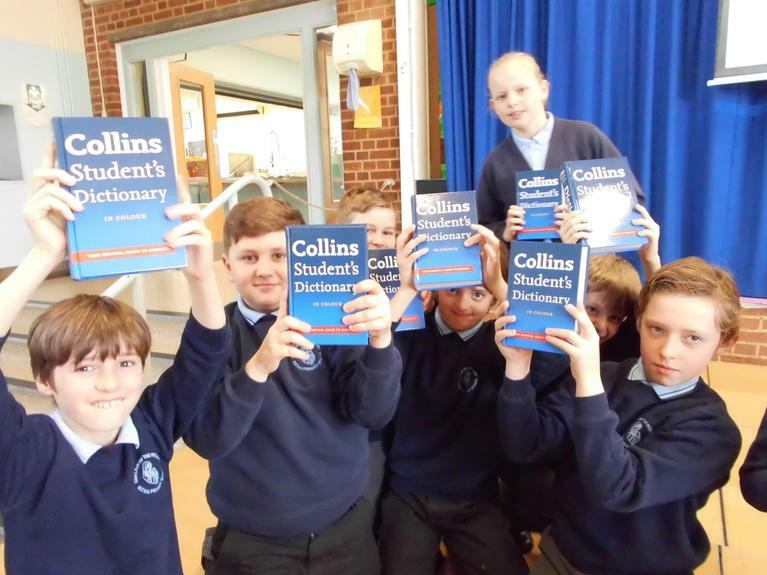 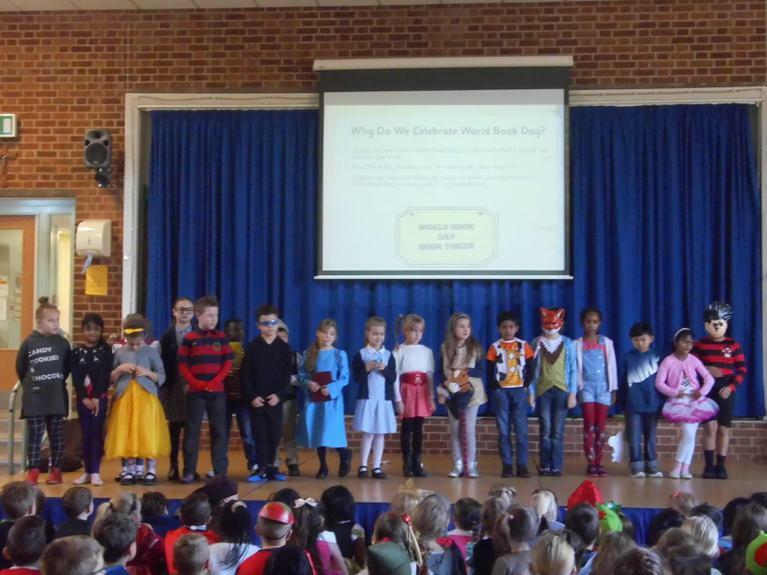 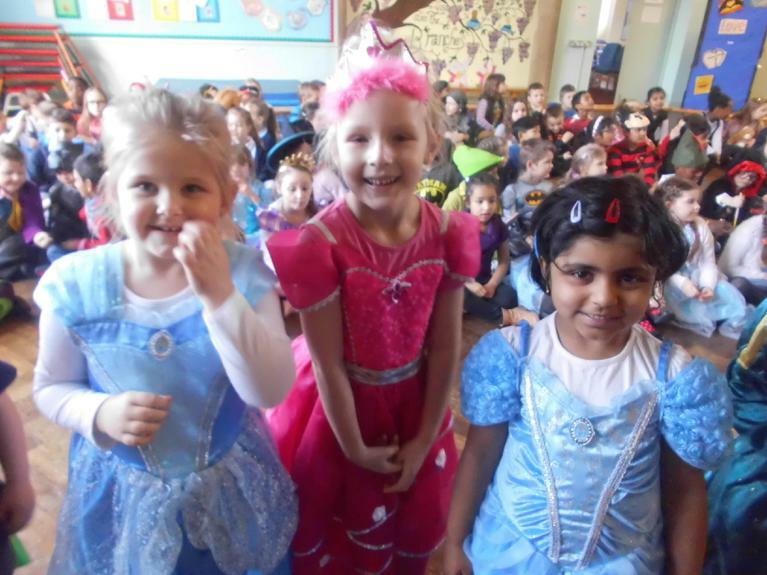 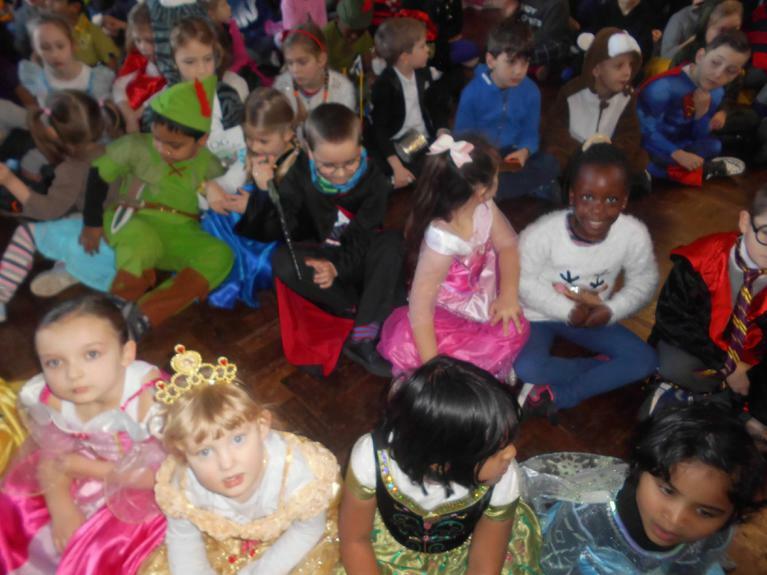 The whole school enjoyed celebrating World Book Day.